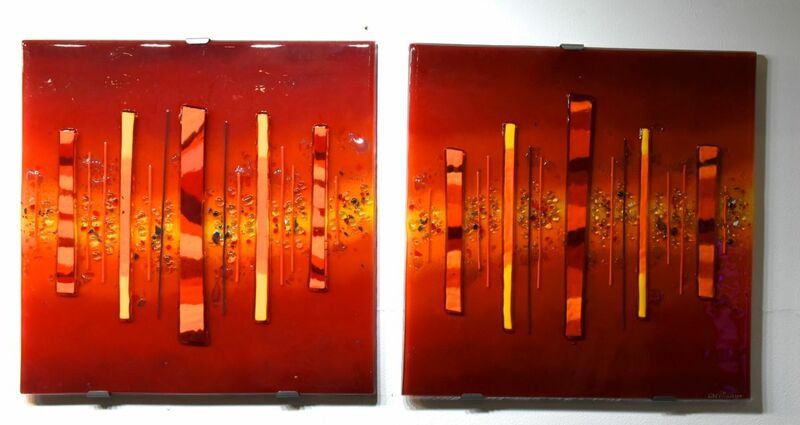 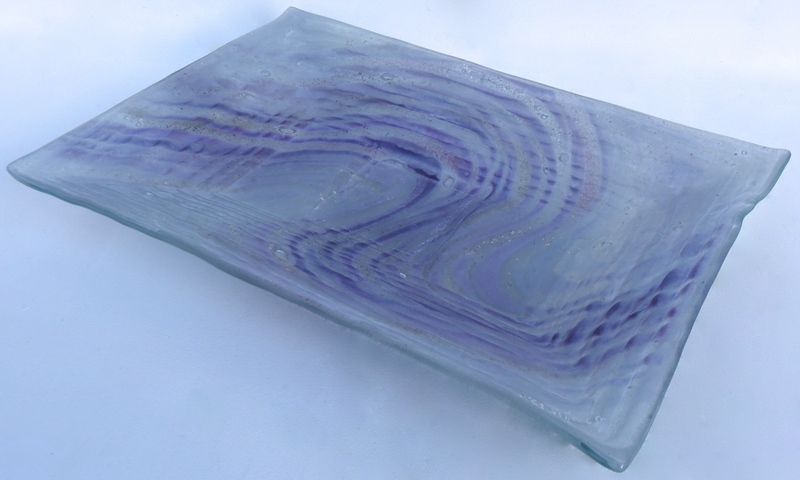 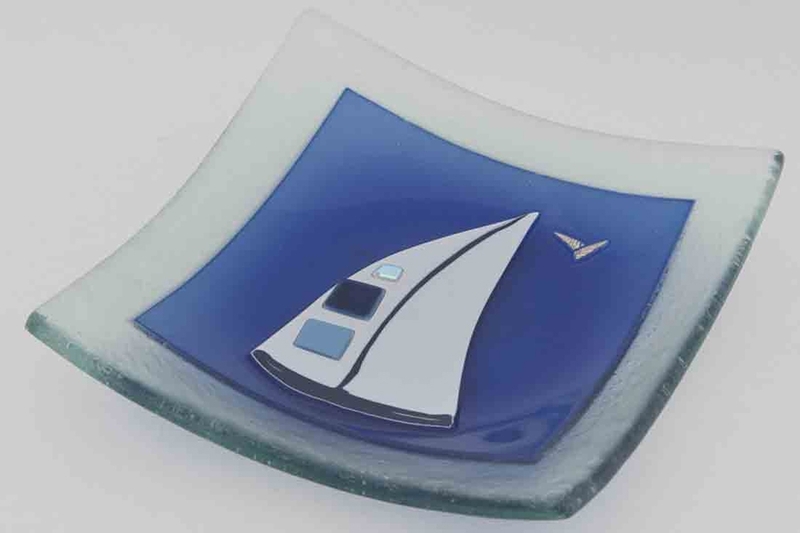 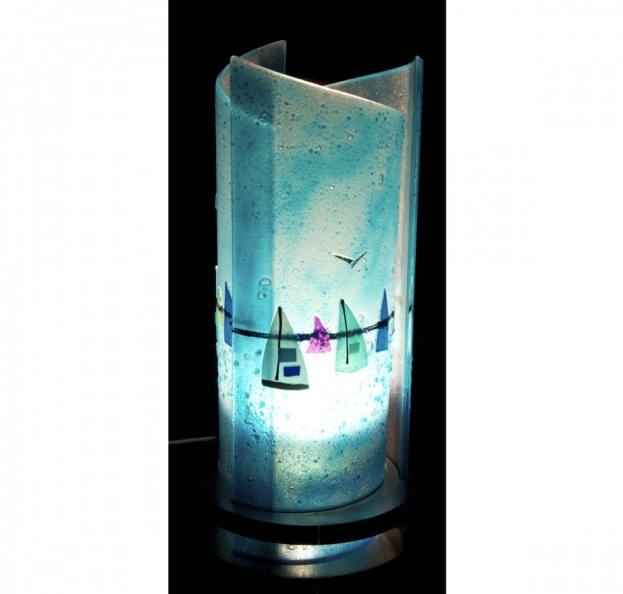 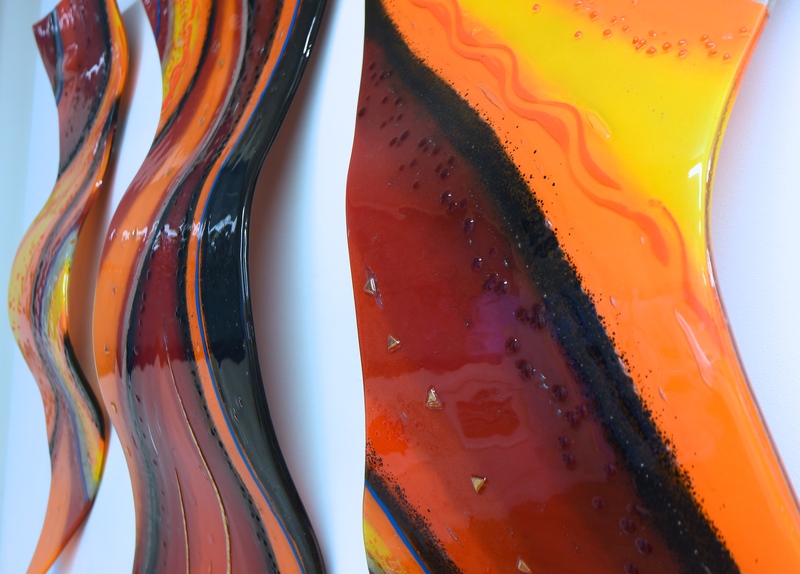 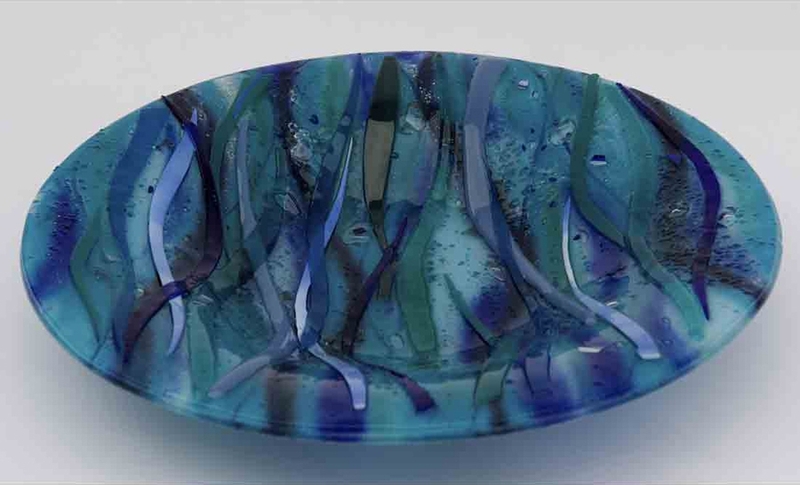 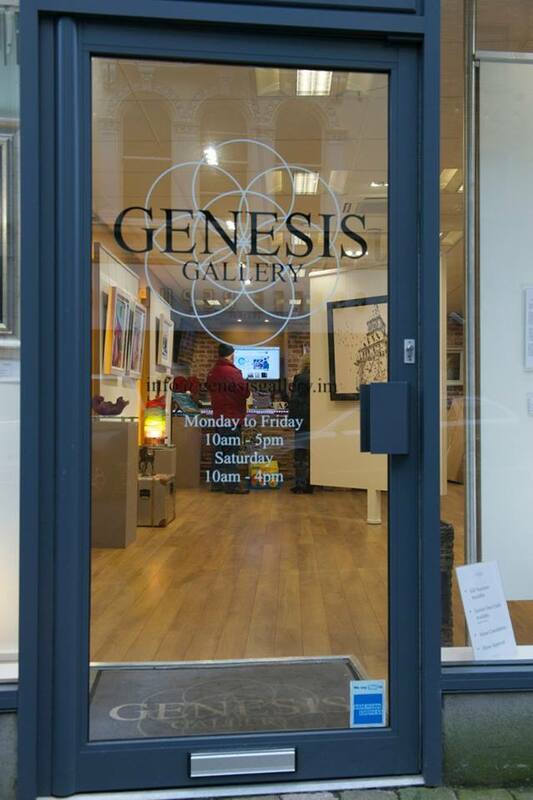 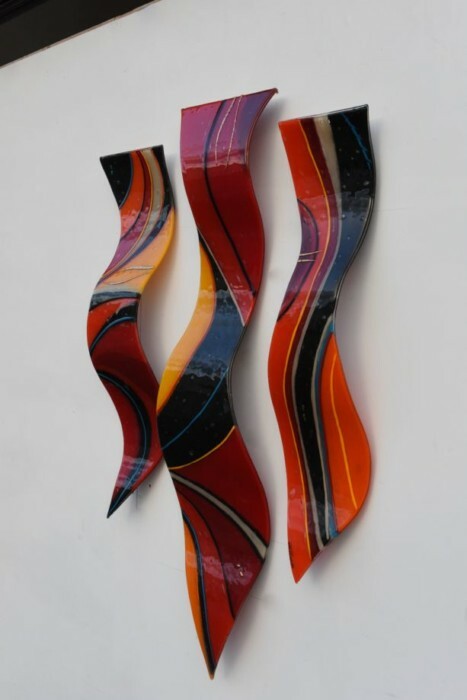 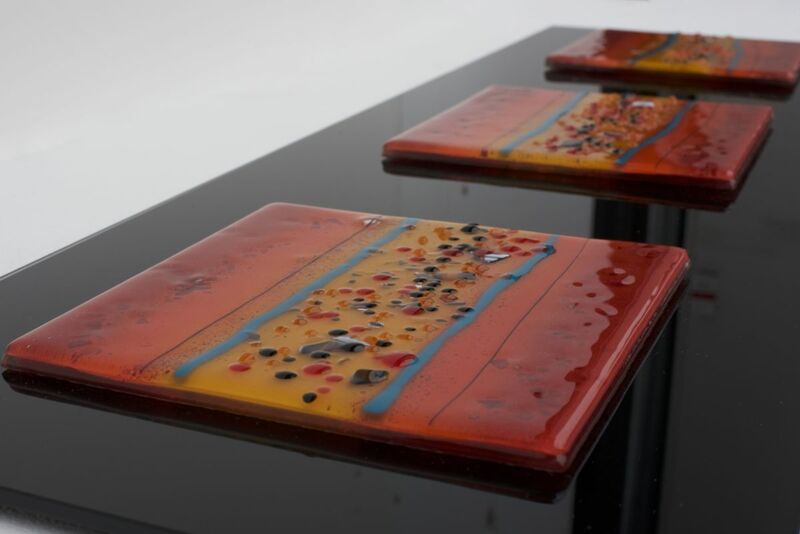 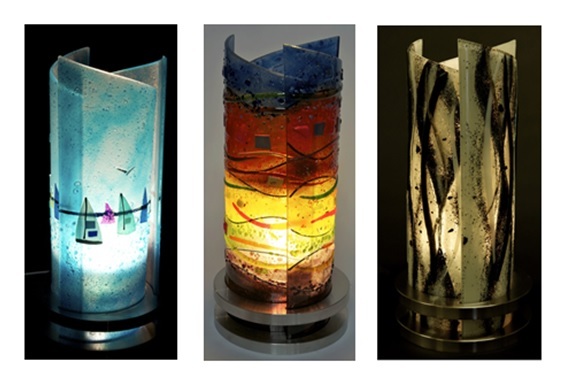 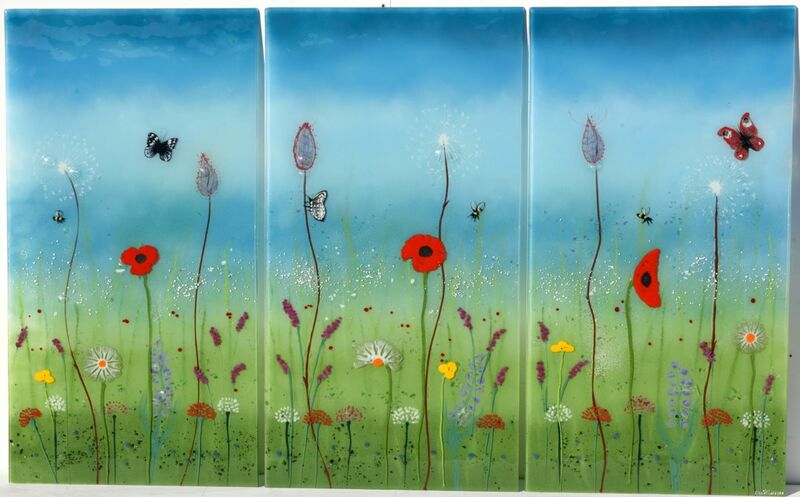 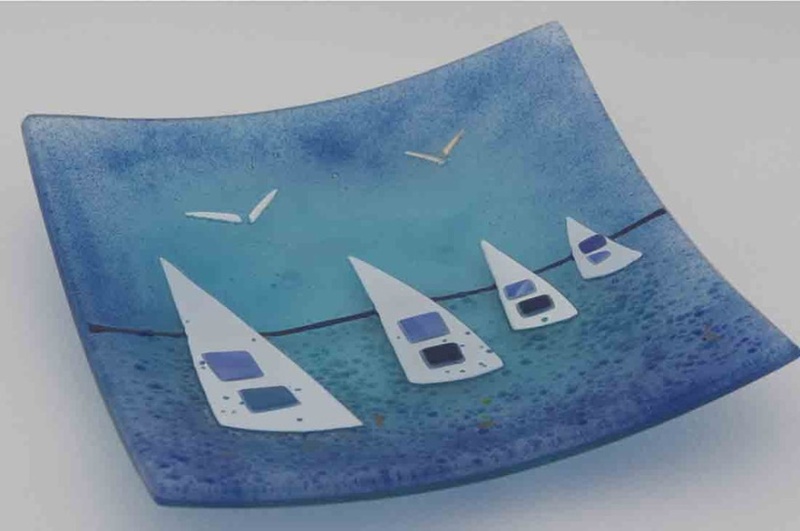 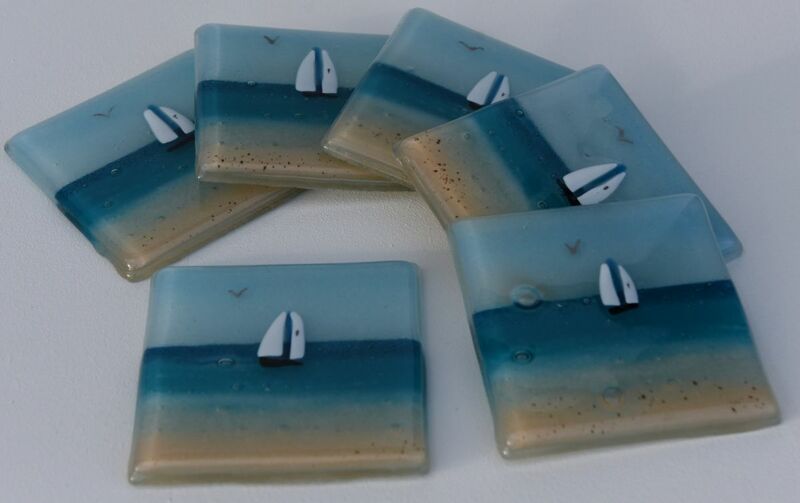 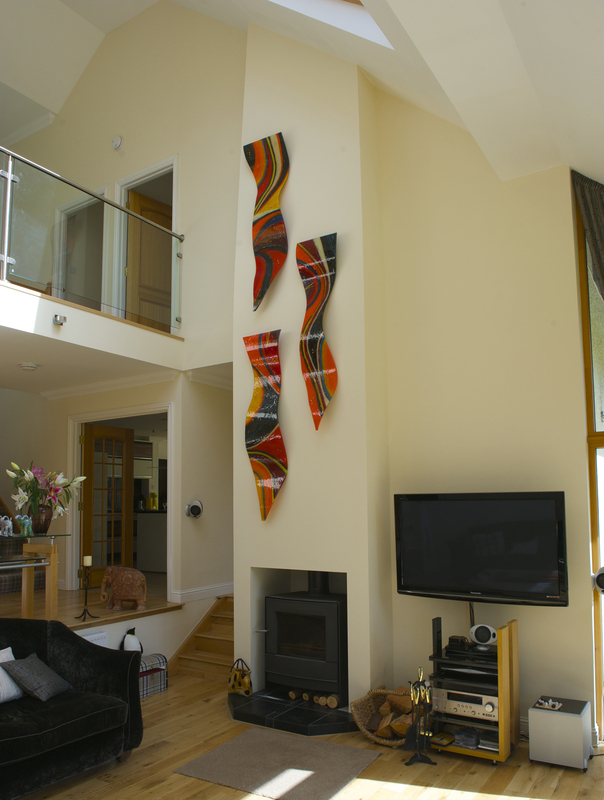 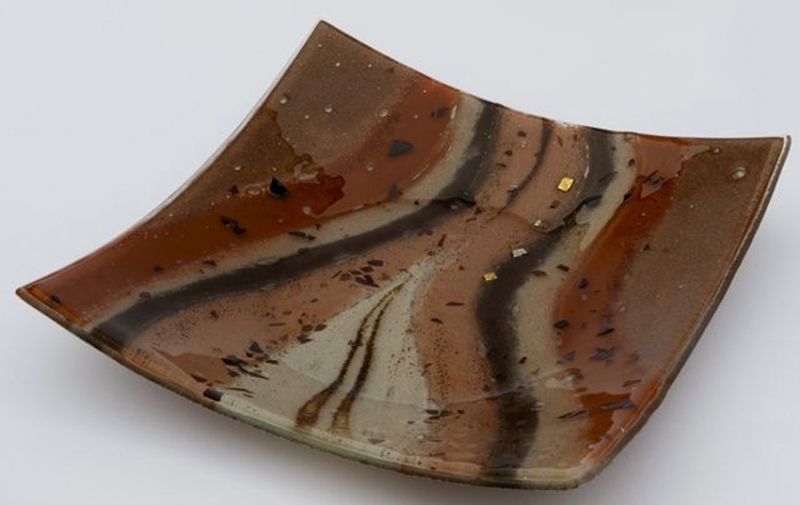 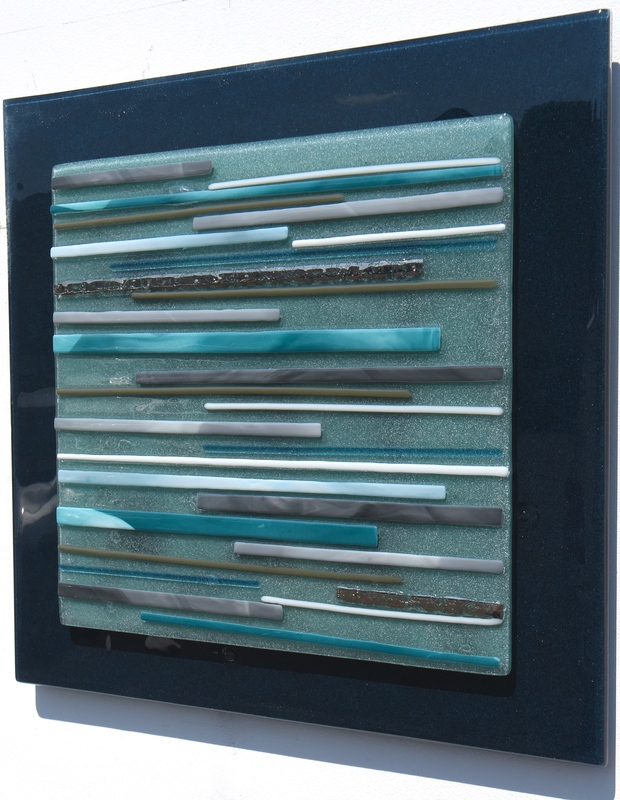 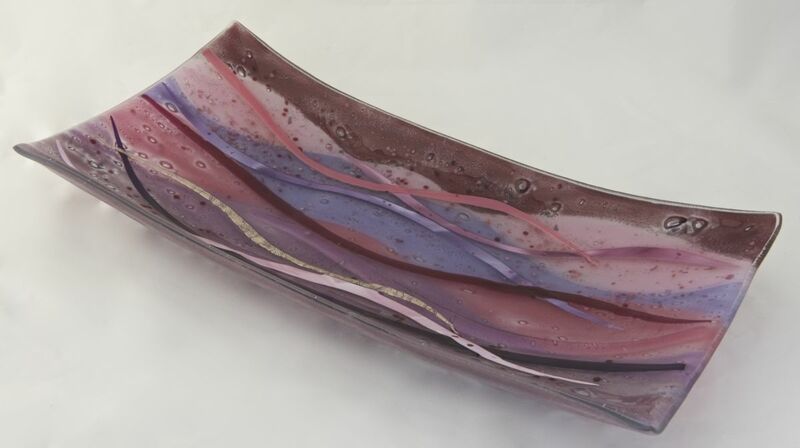 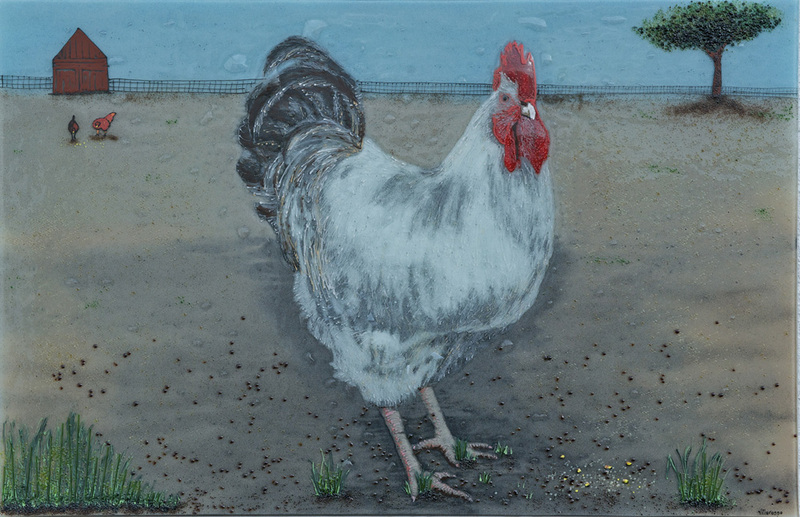 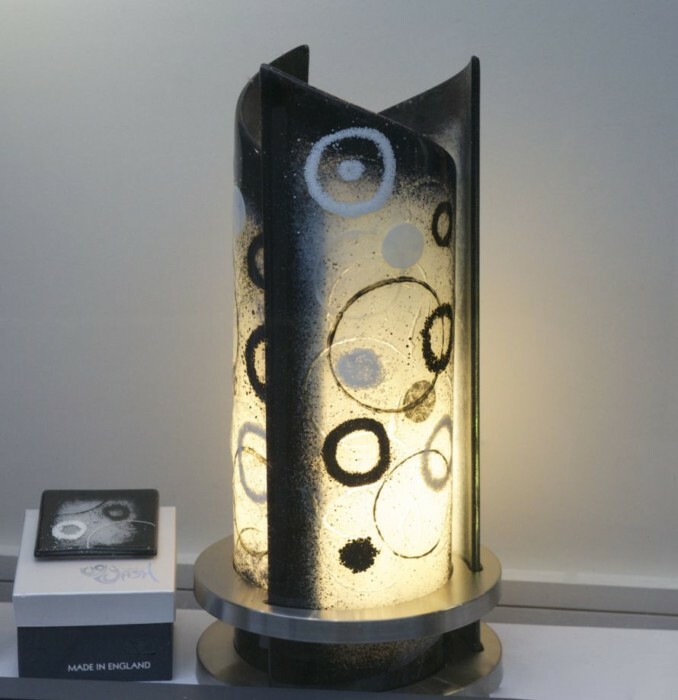 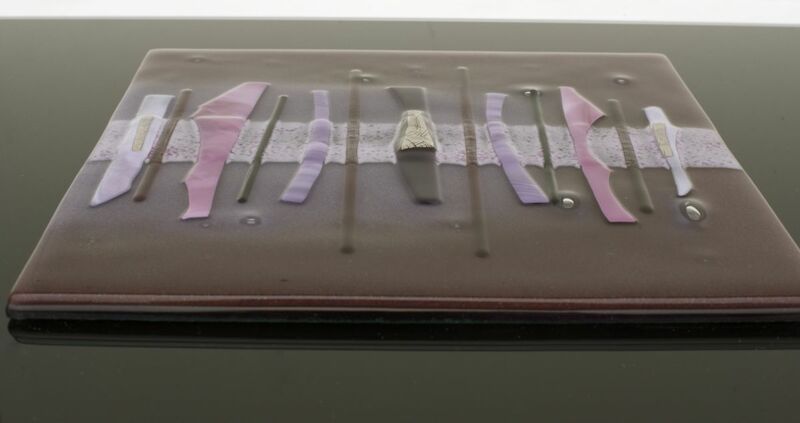 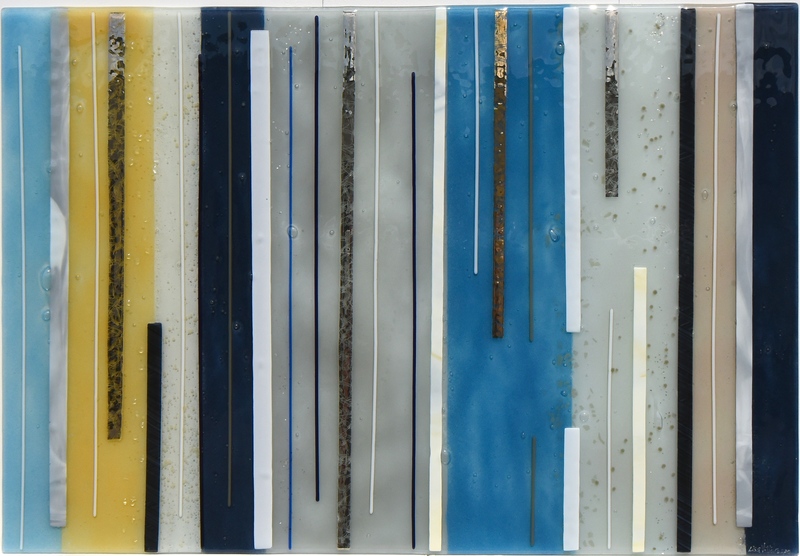 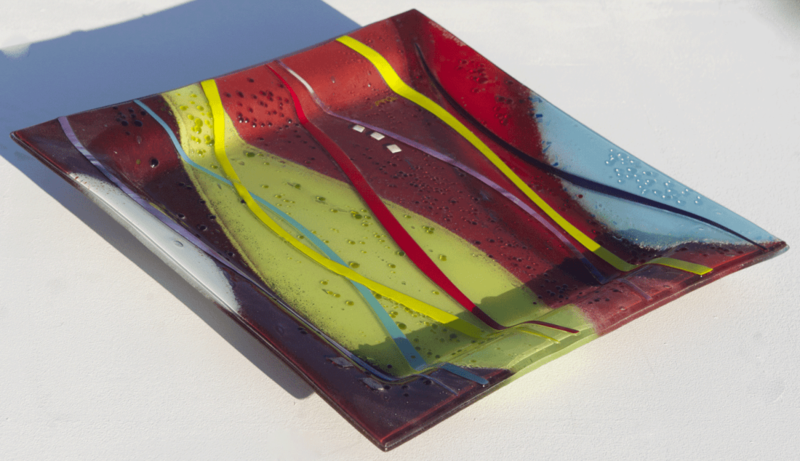 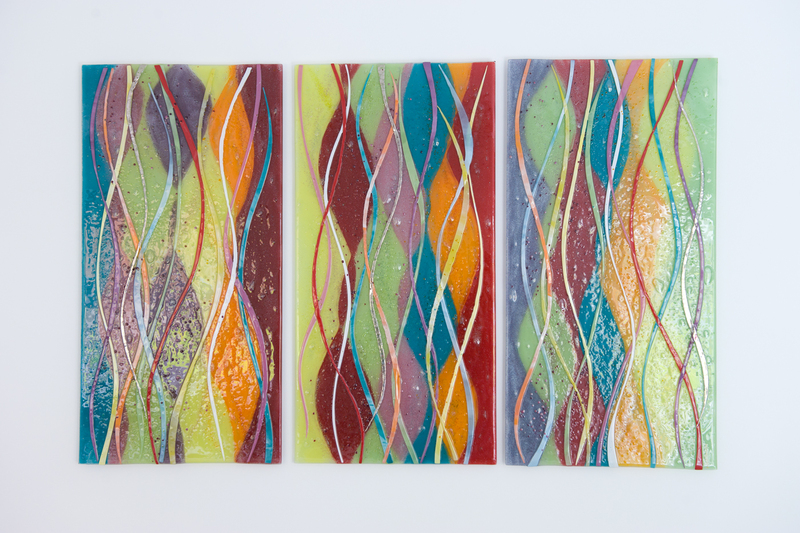 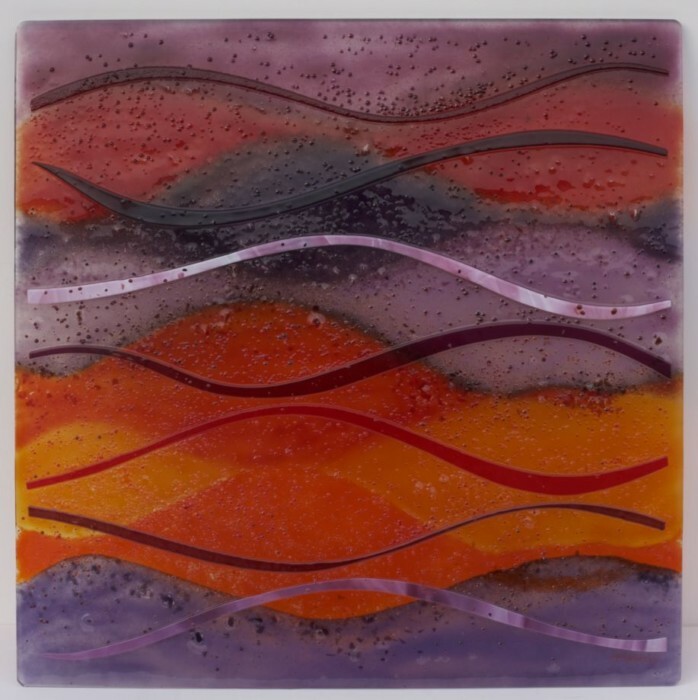 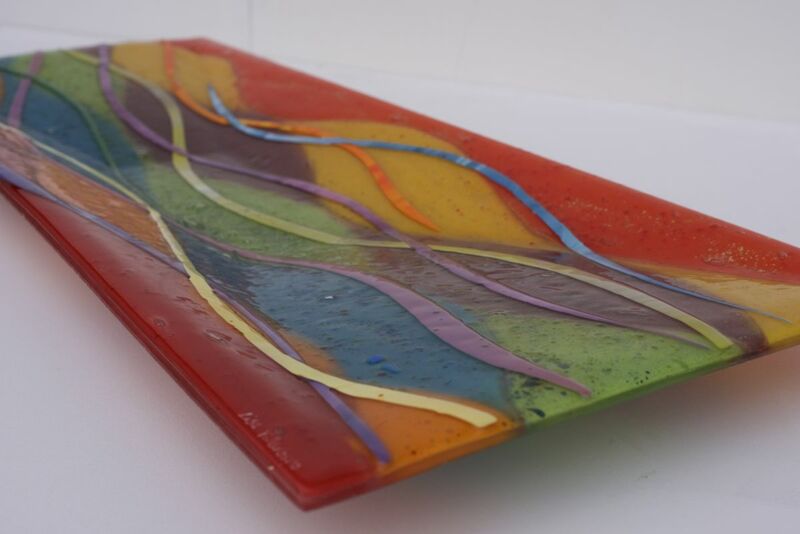 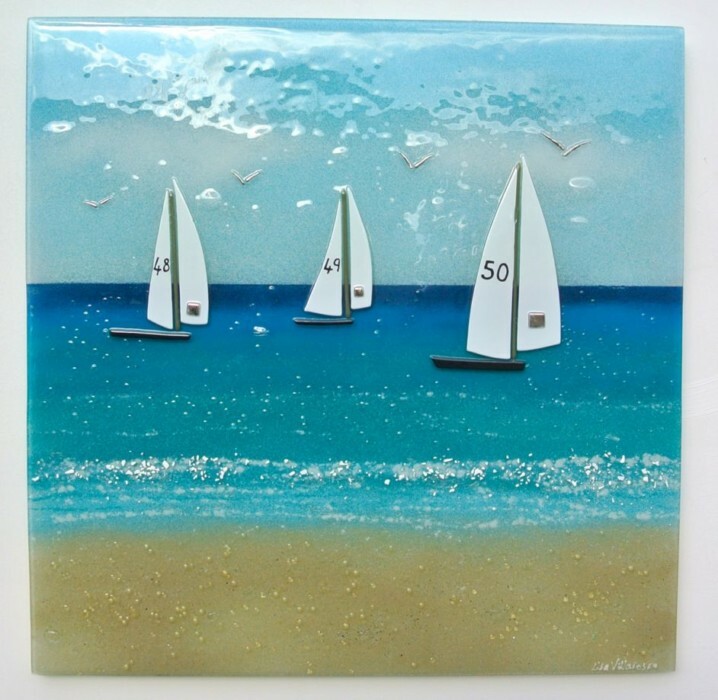 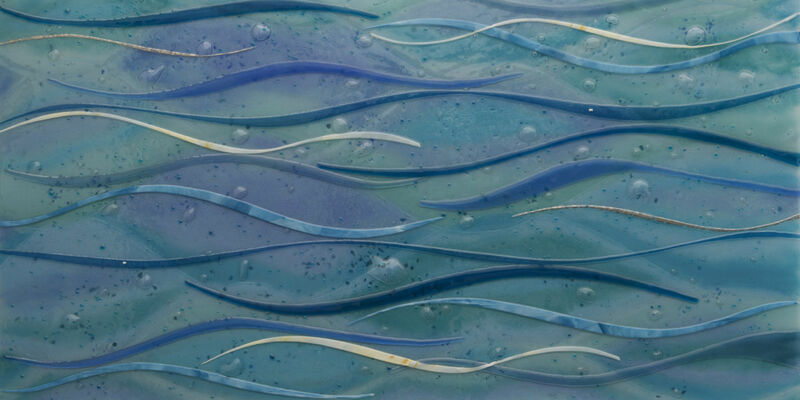 Here’s another recent work of ours, freshly emerged from the kiln and delivered across the country. 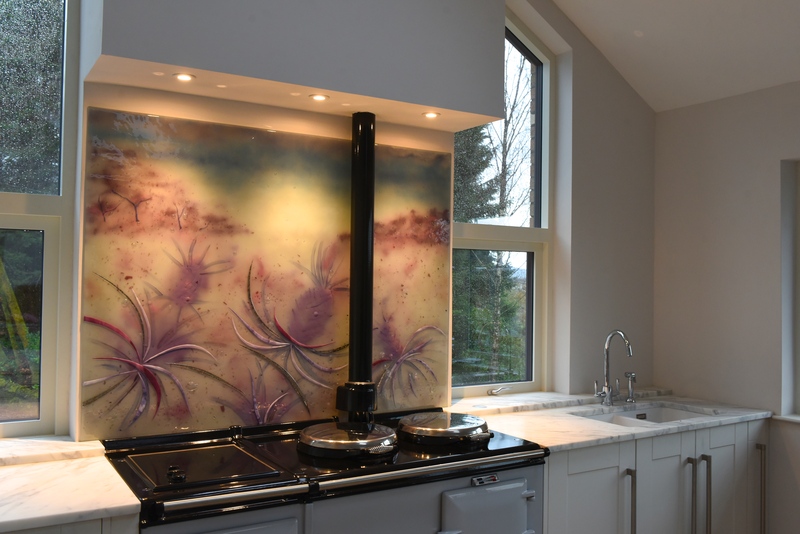 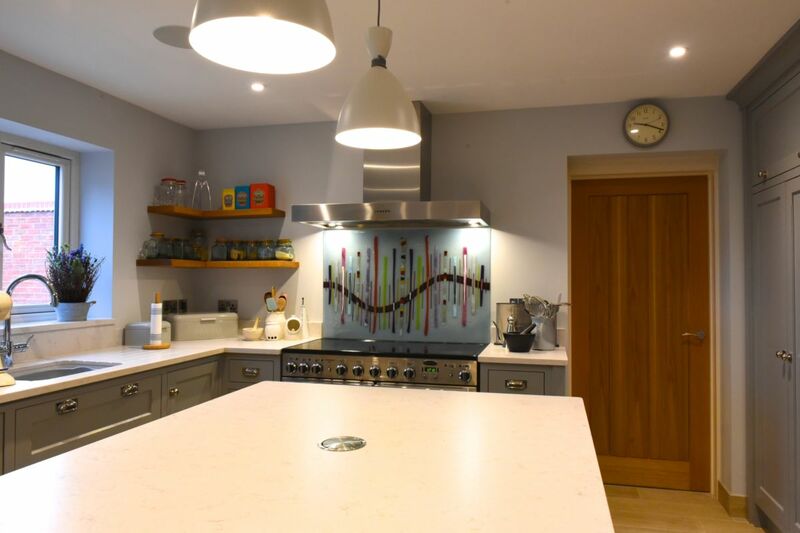 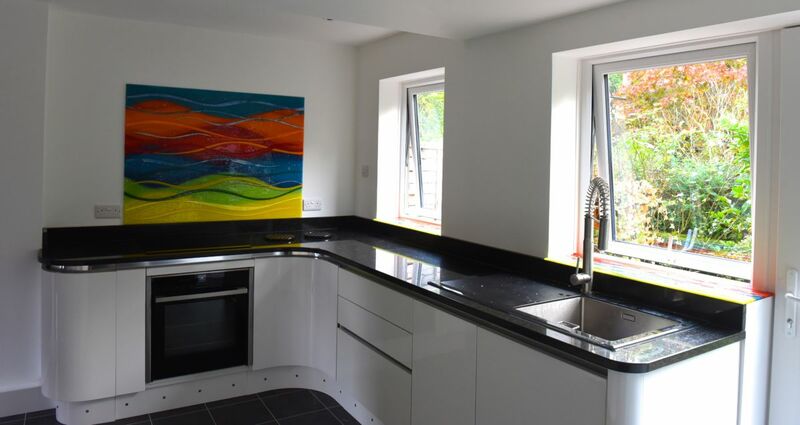 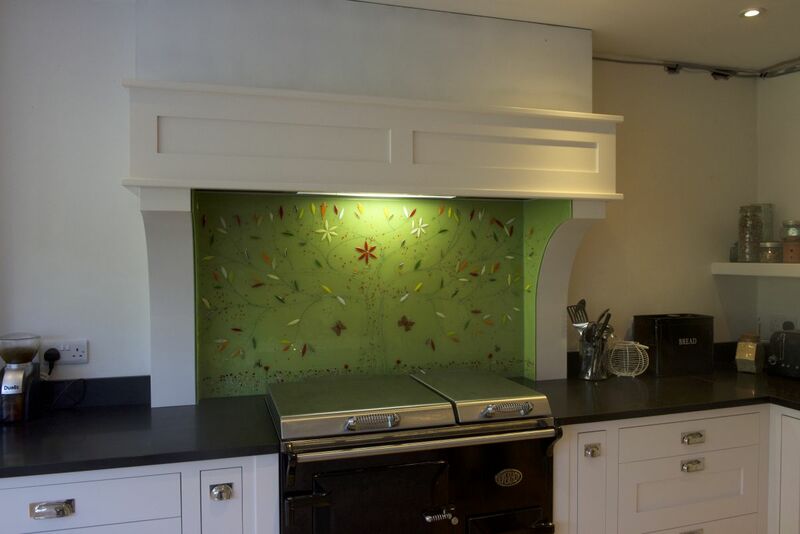 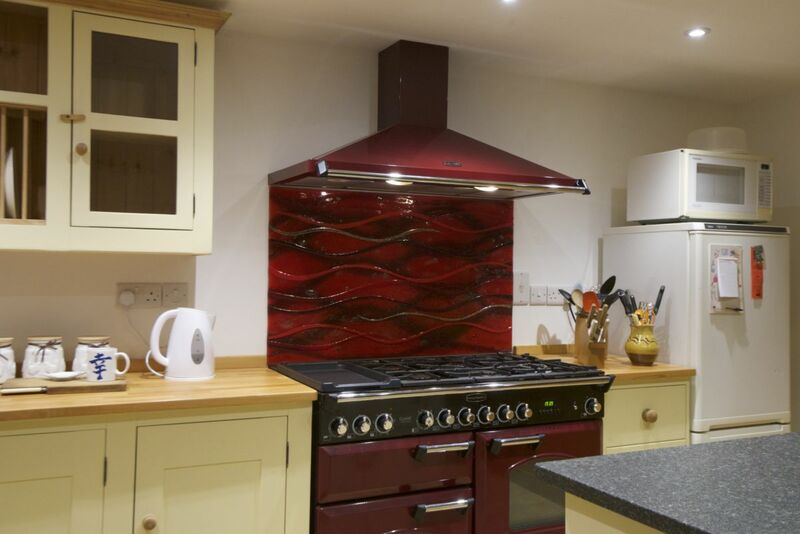 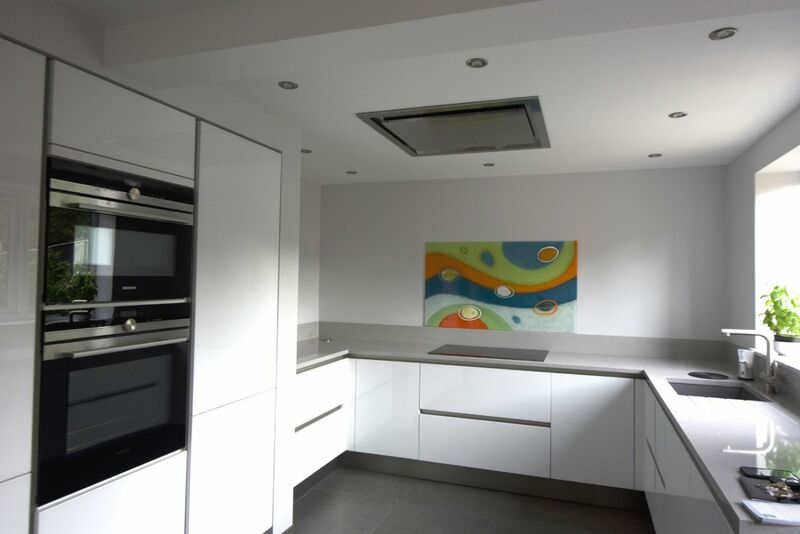 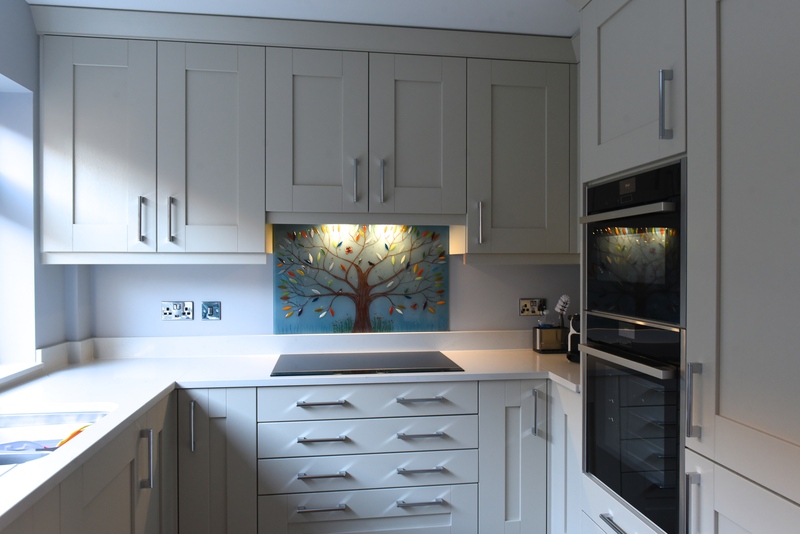 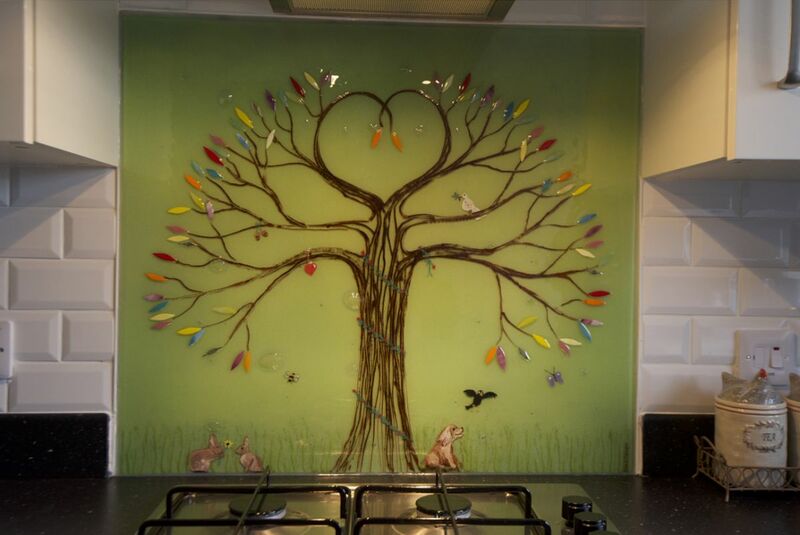 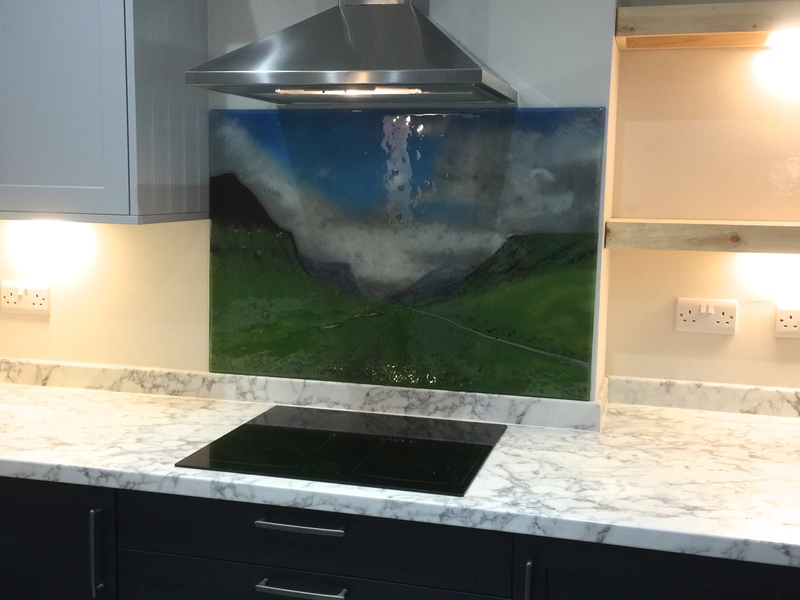 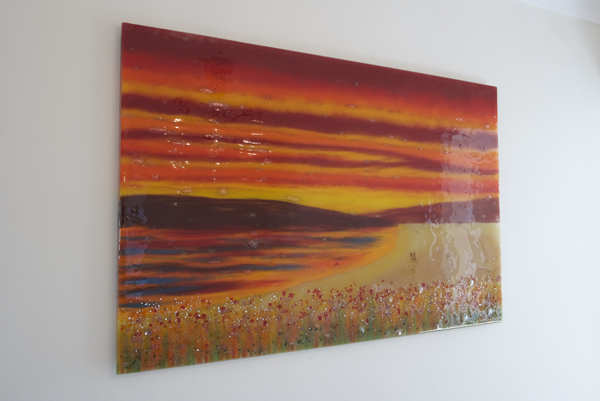 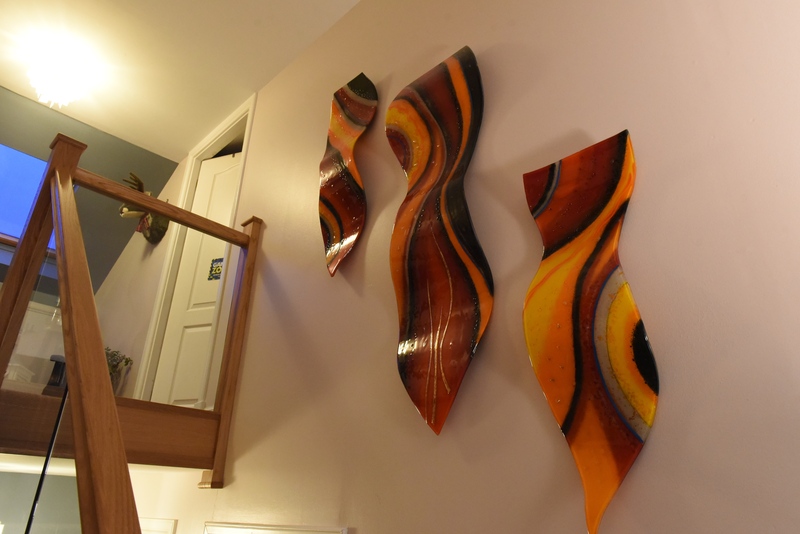 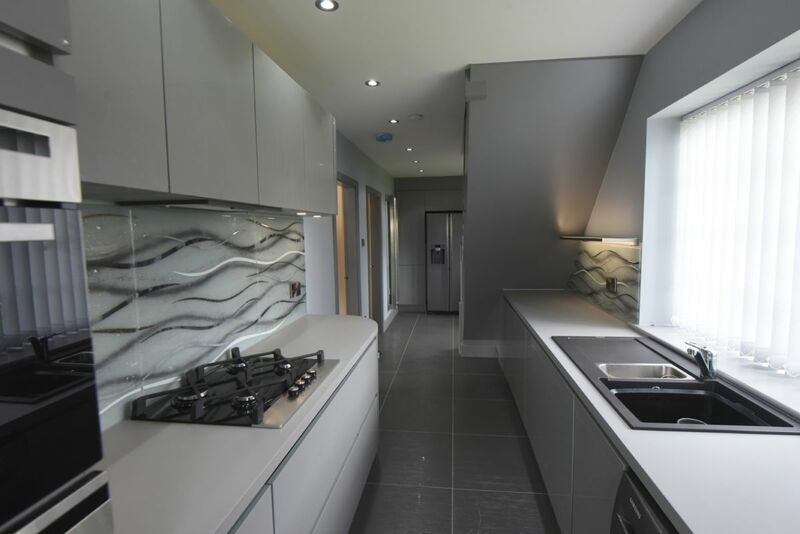 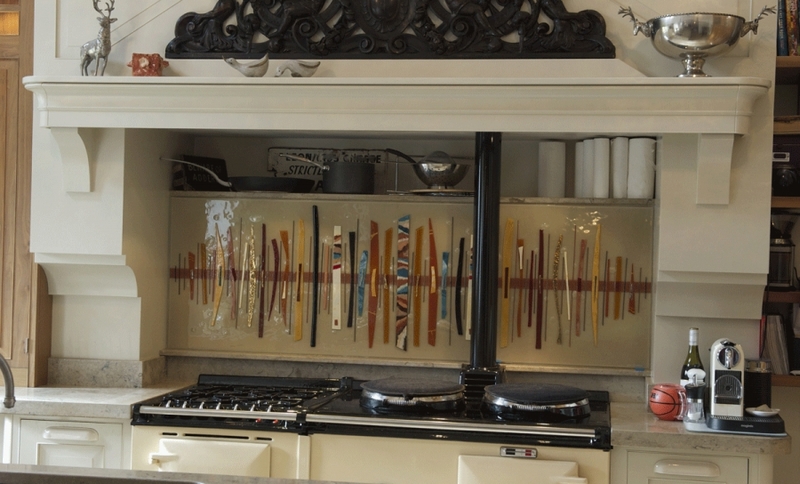 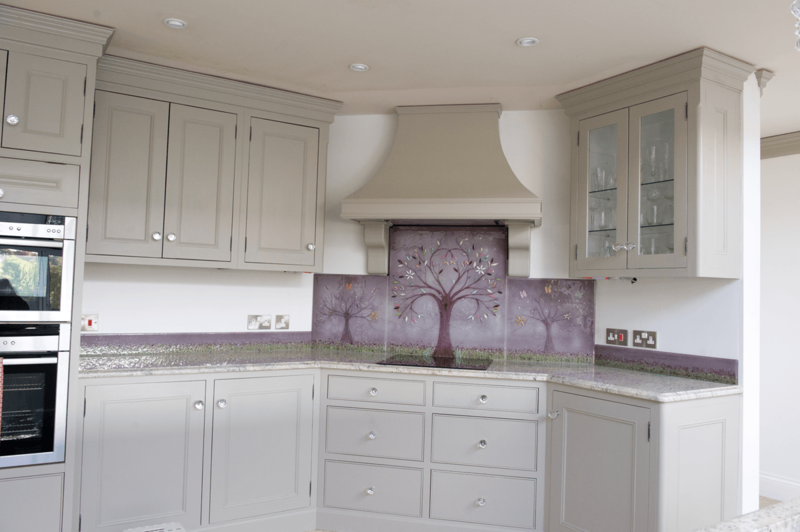 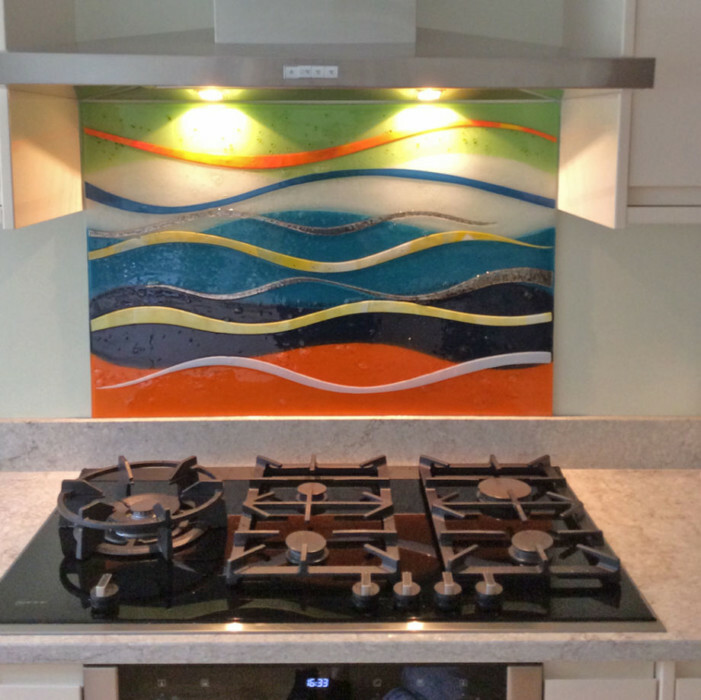 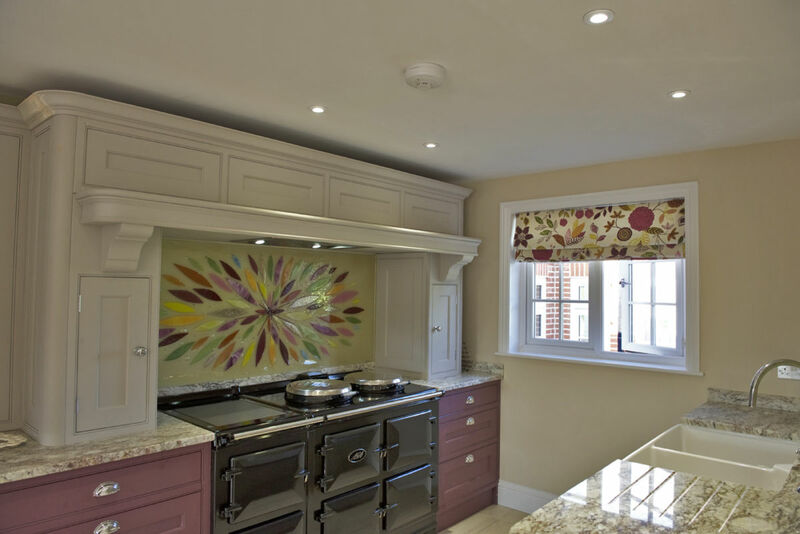 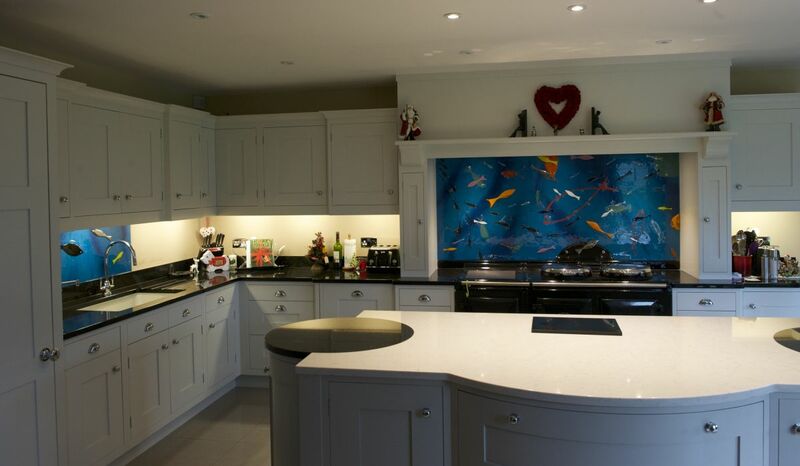 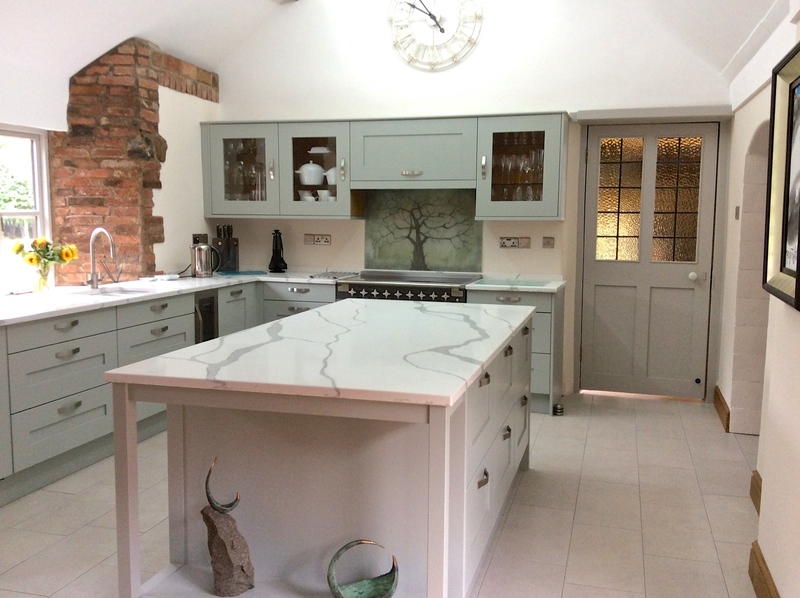 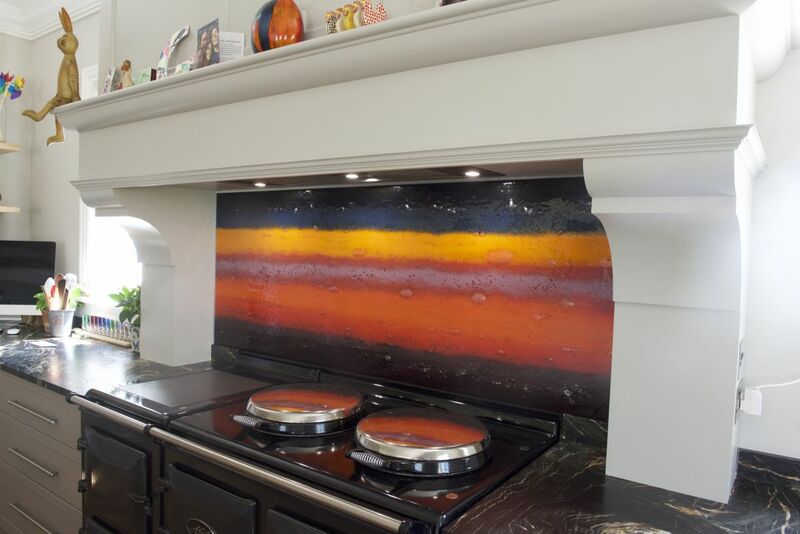 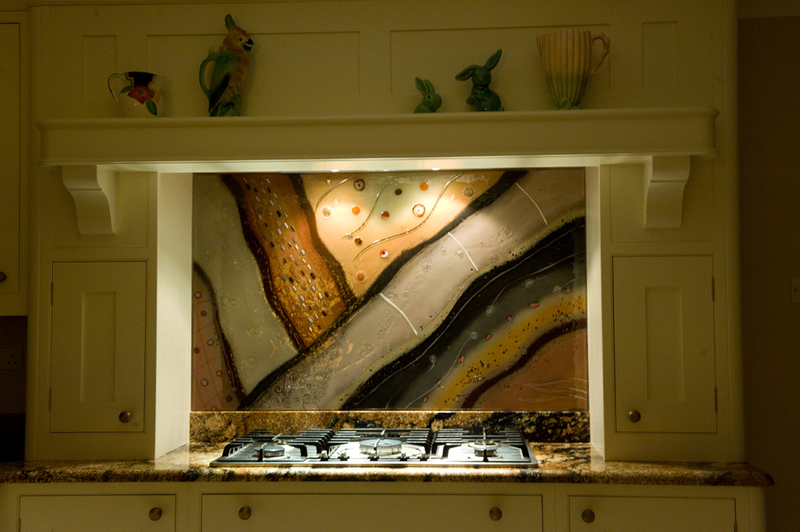 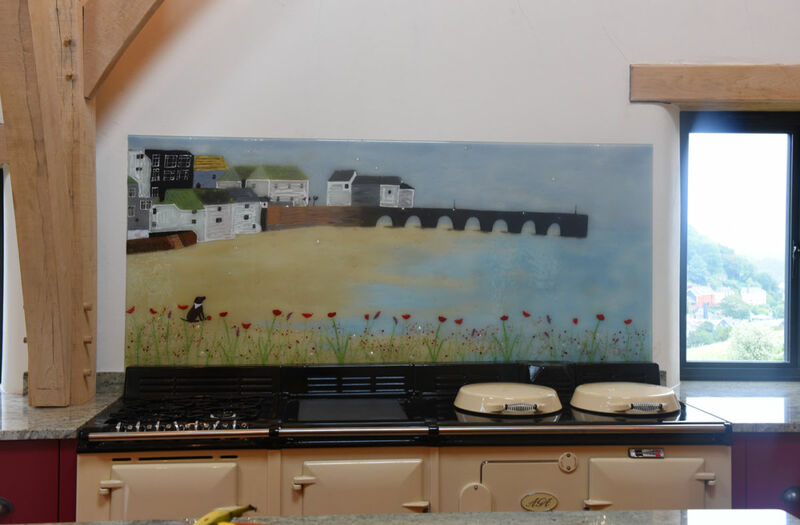 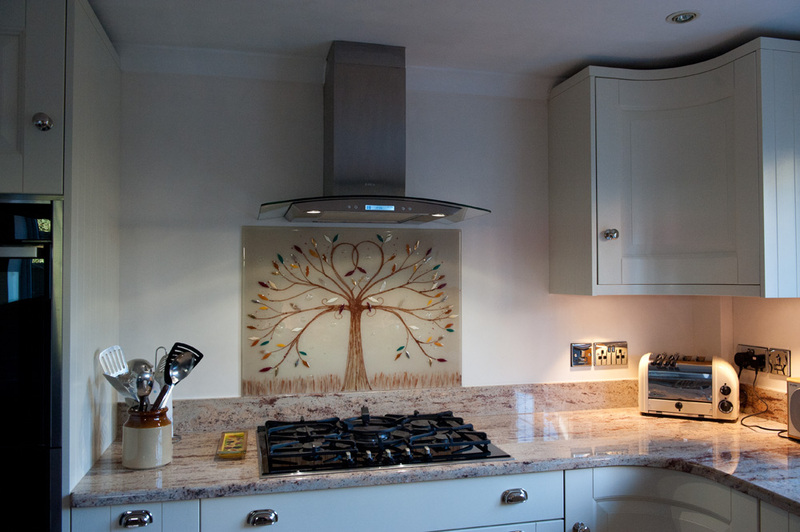 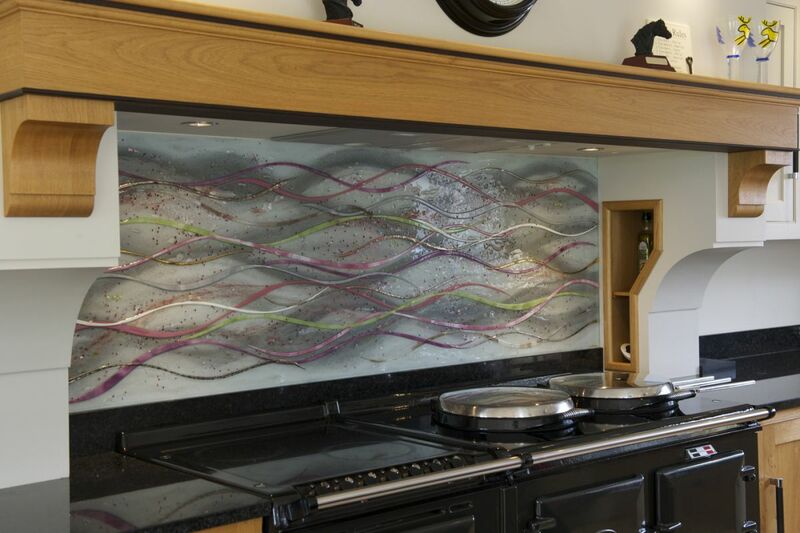 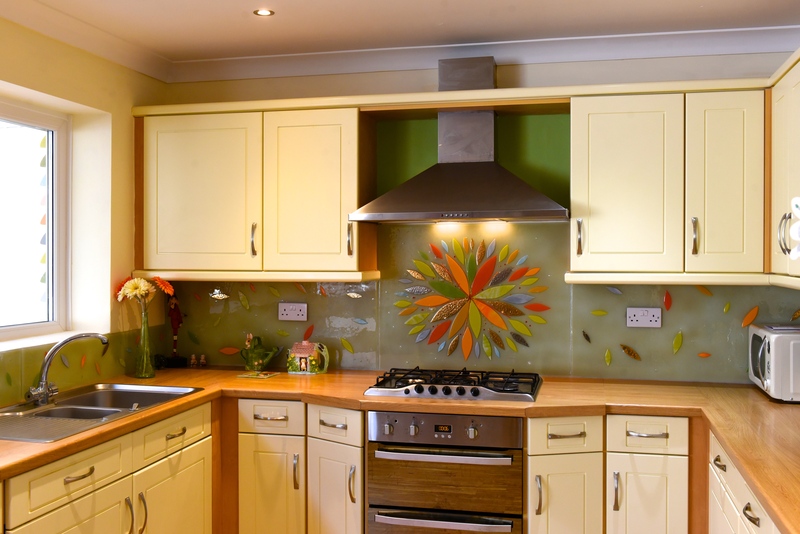 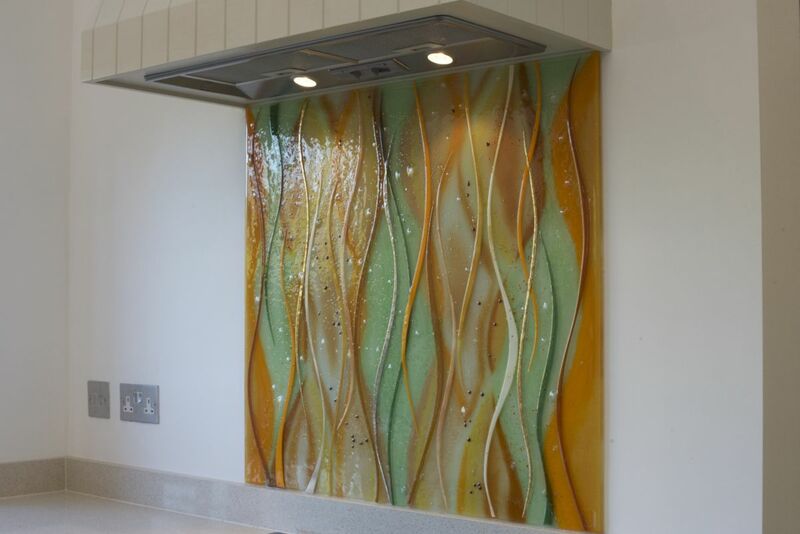 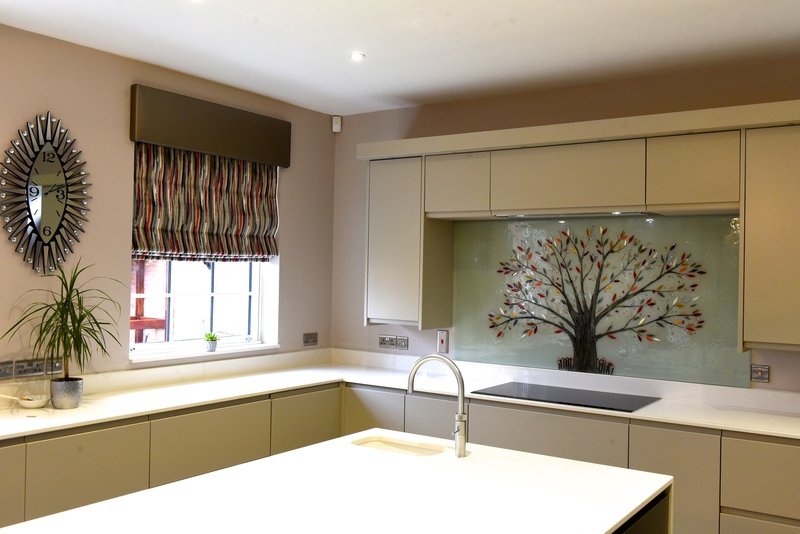 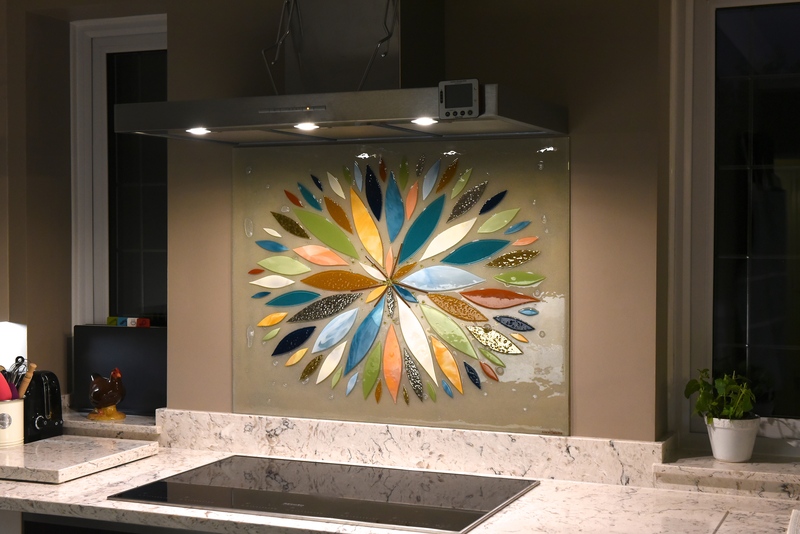 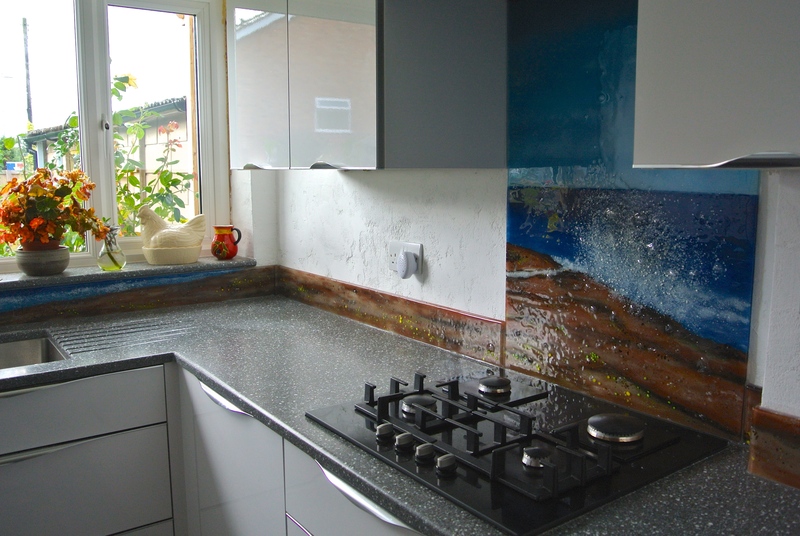 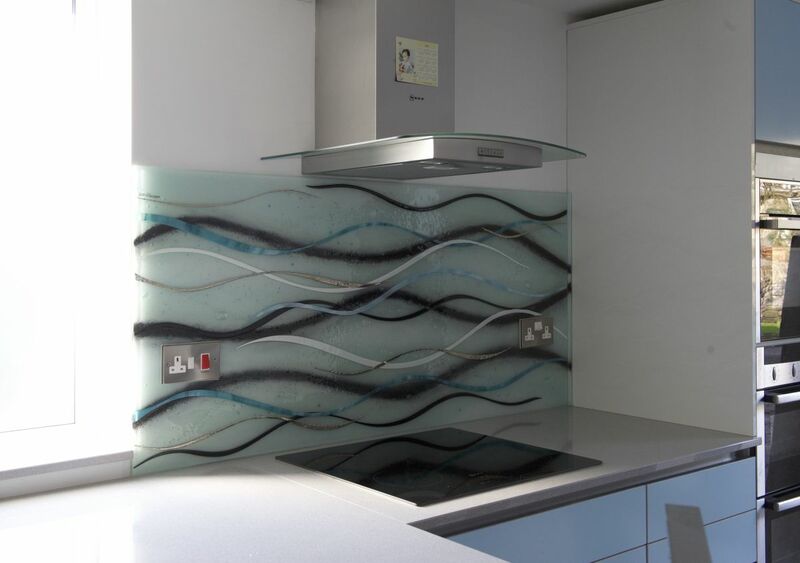 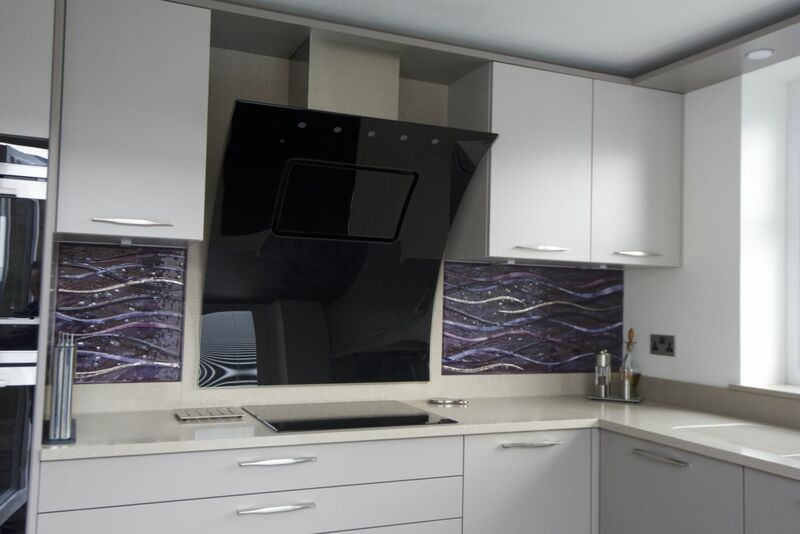 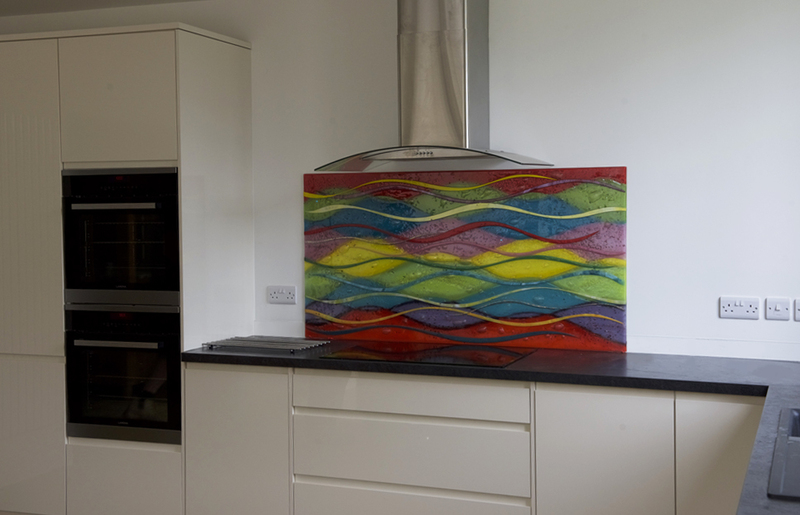 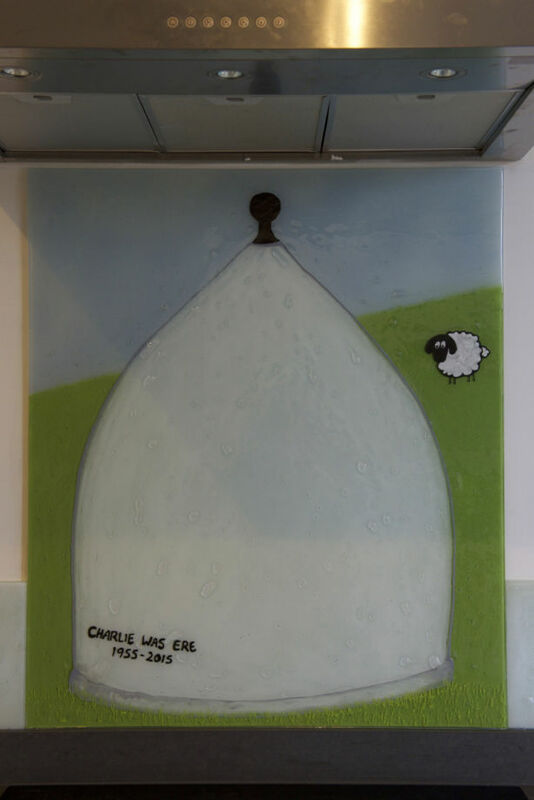 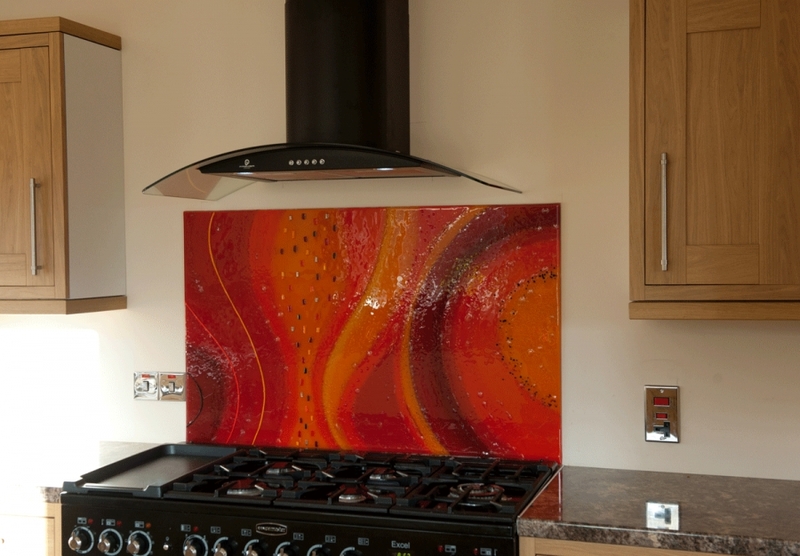 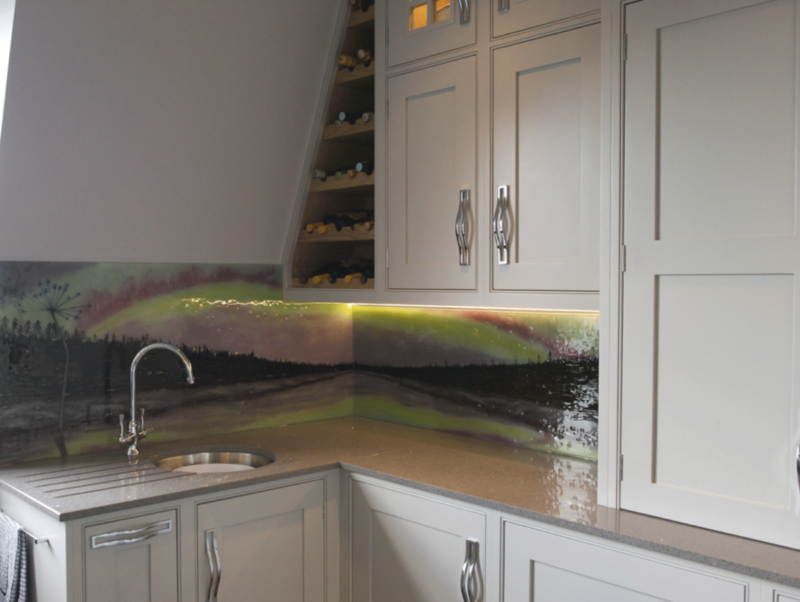 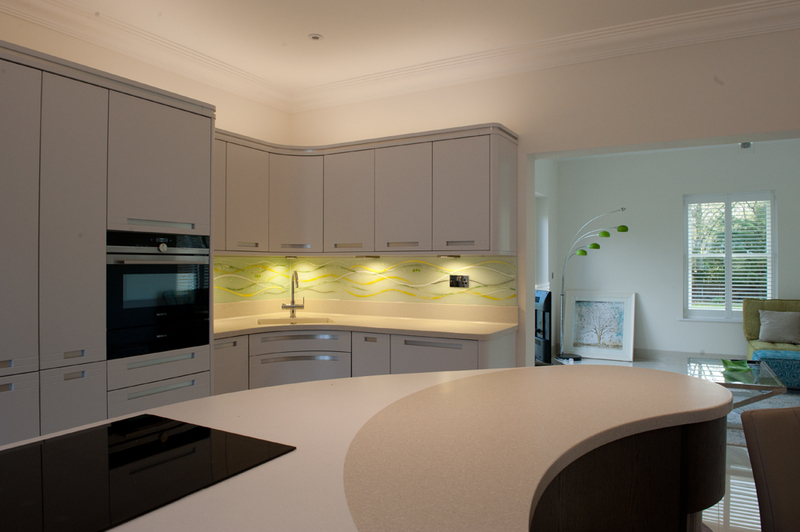 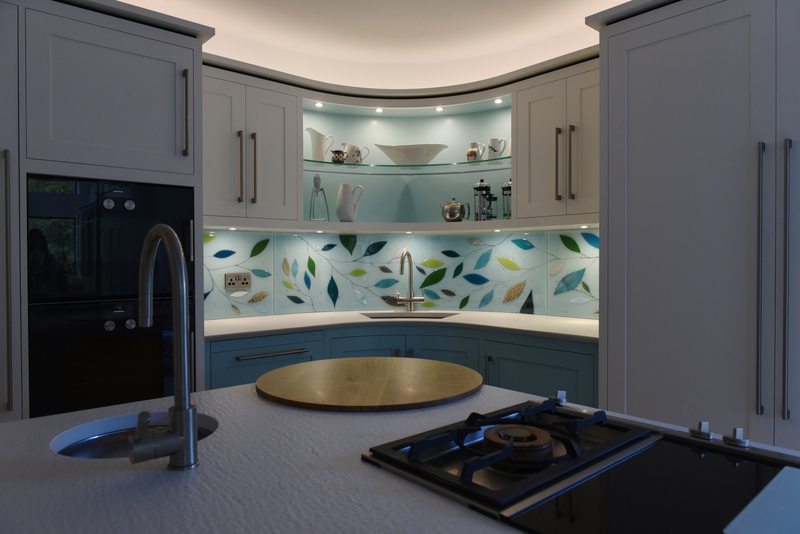 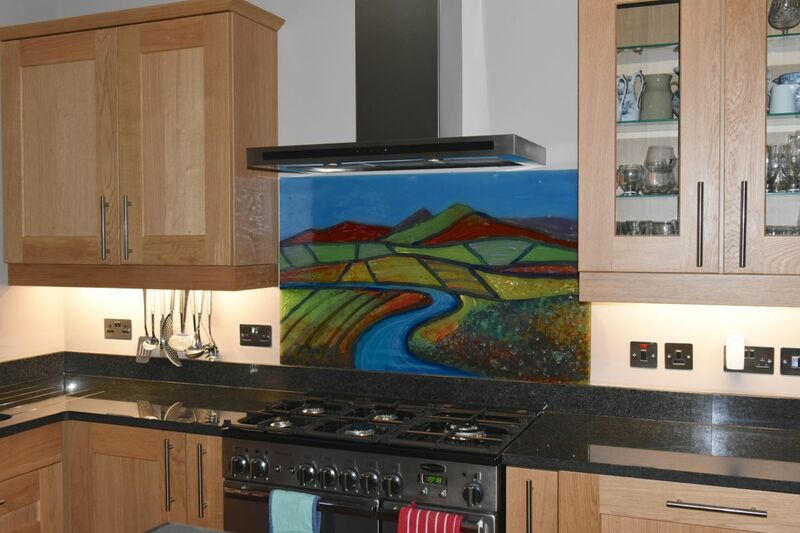 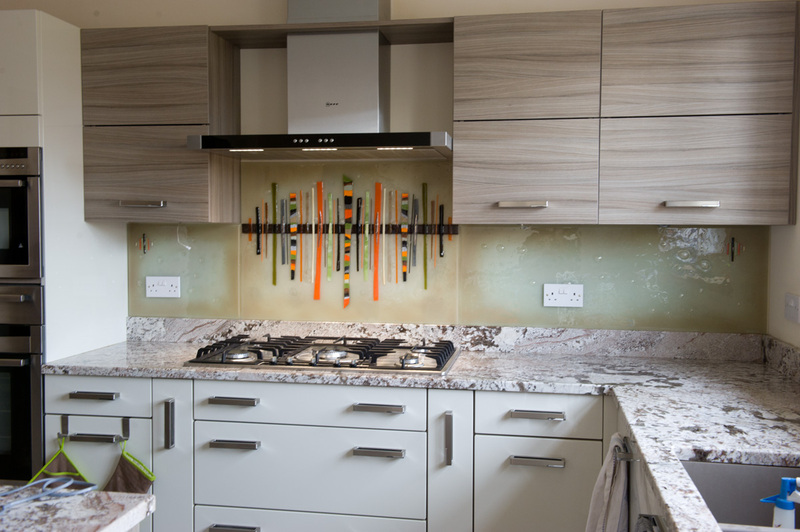 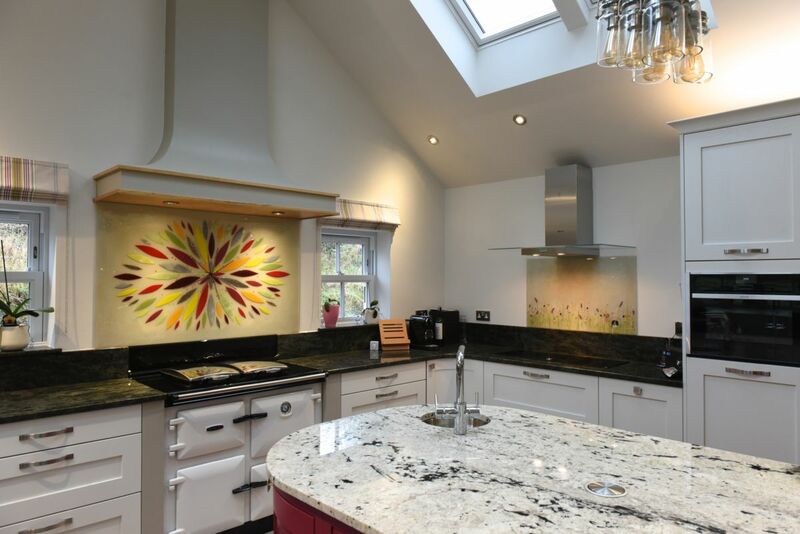 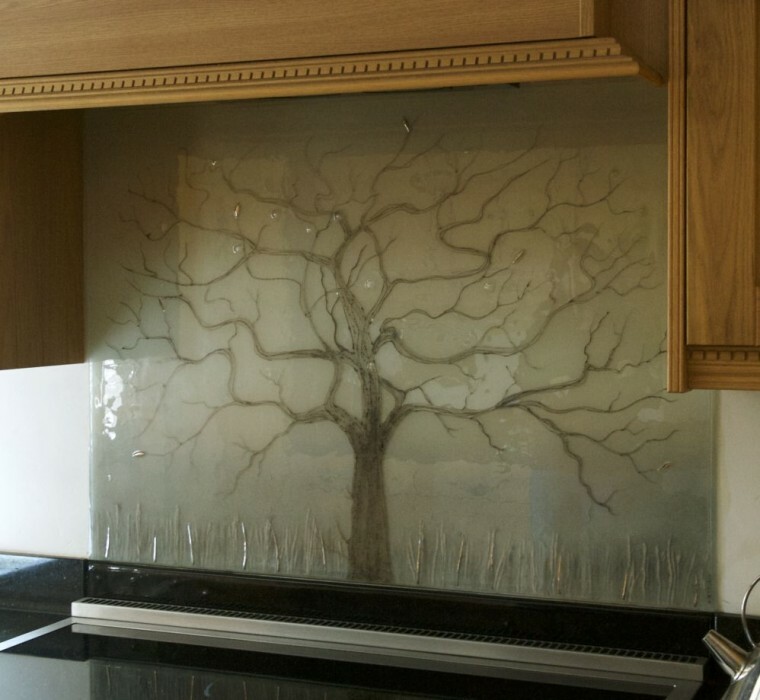 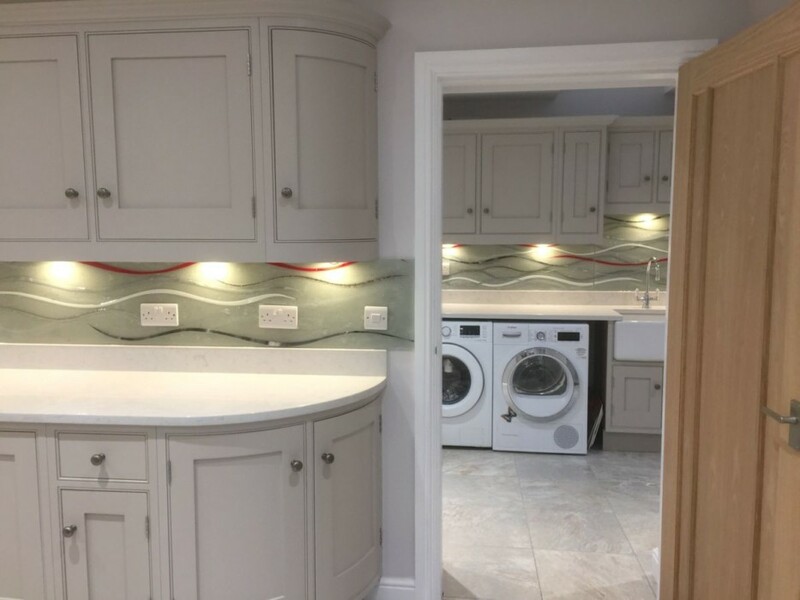 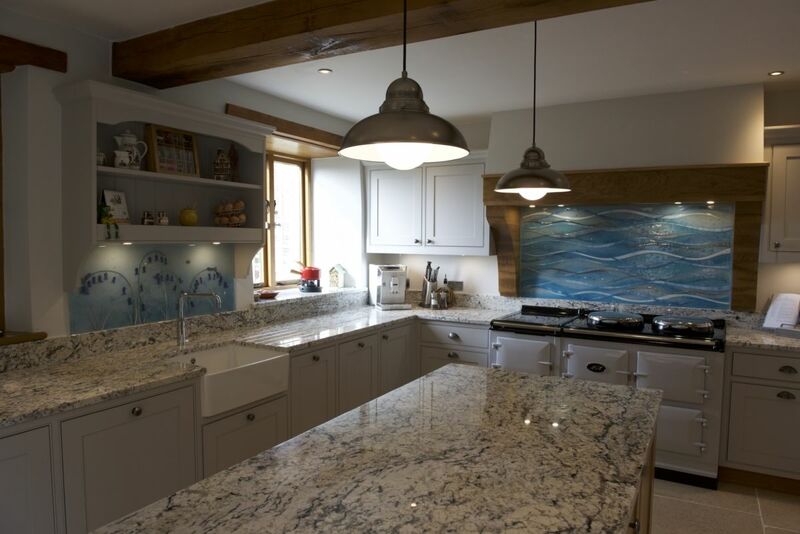 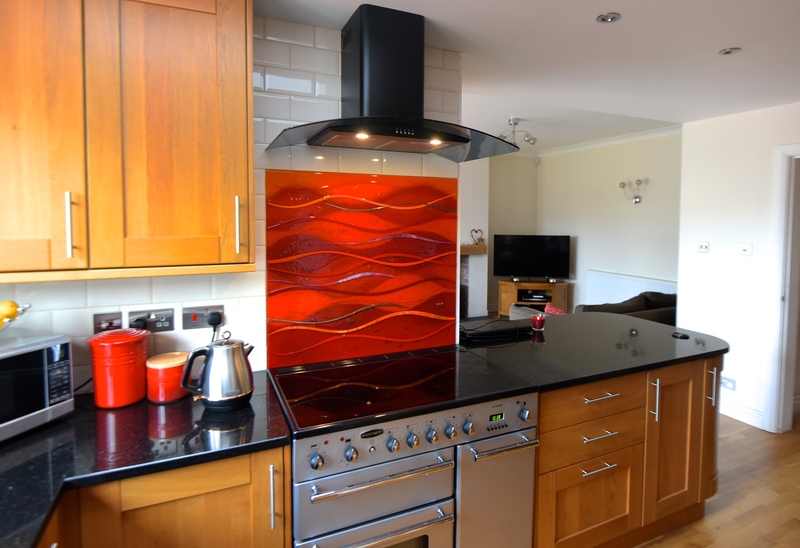 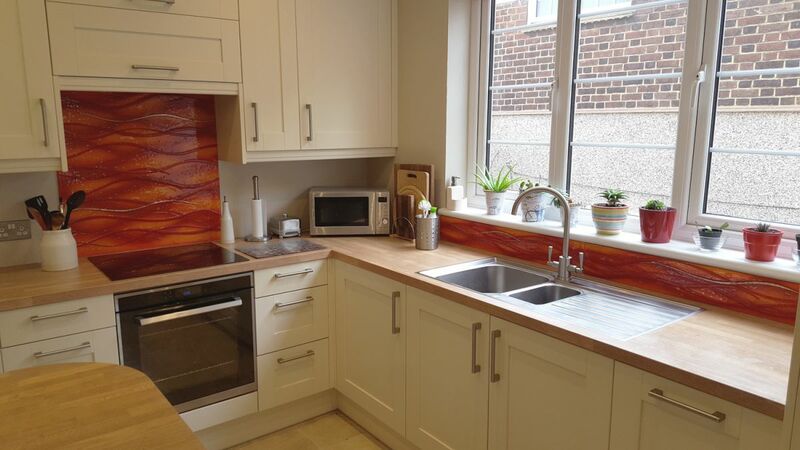 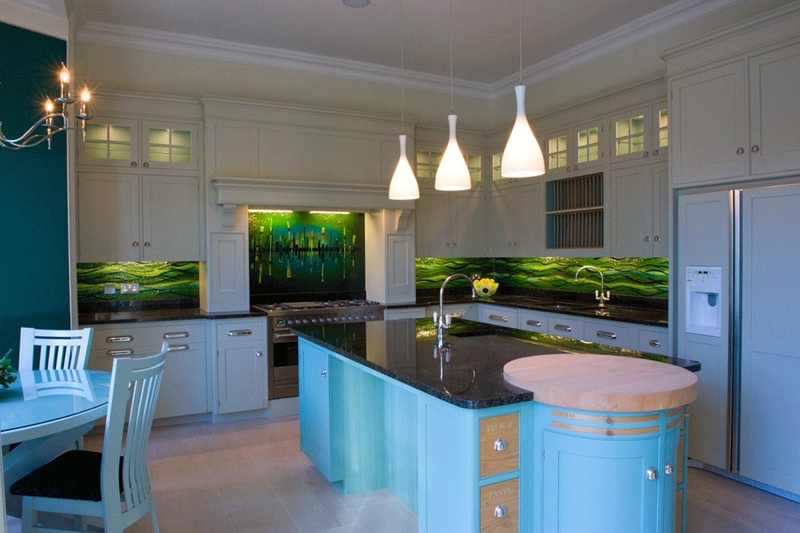 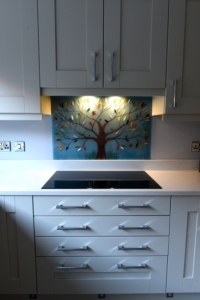 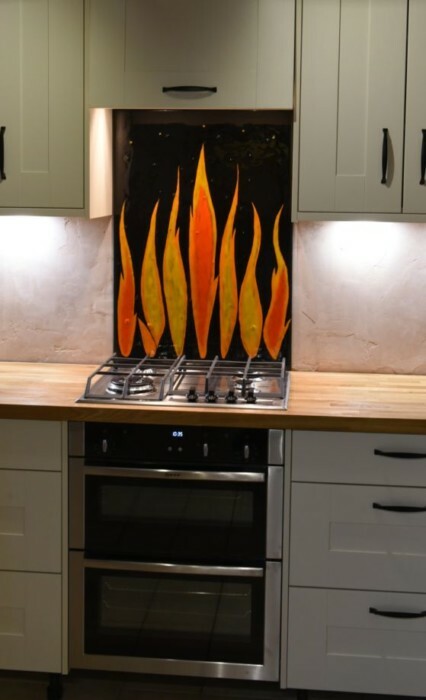 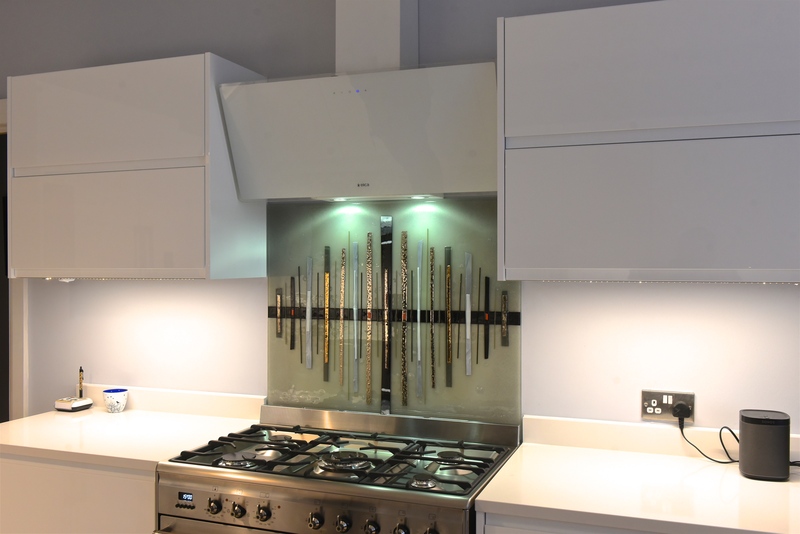 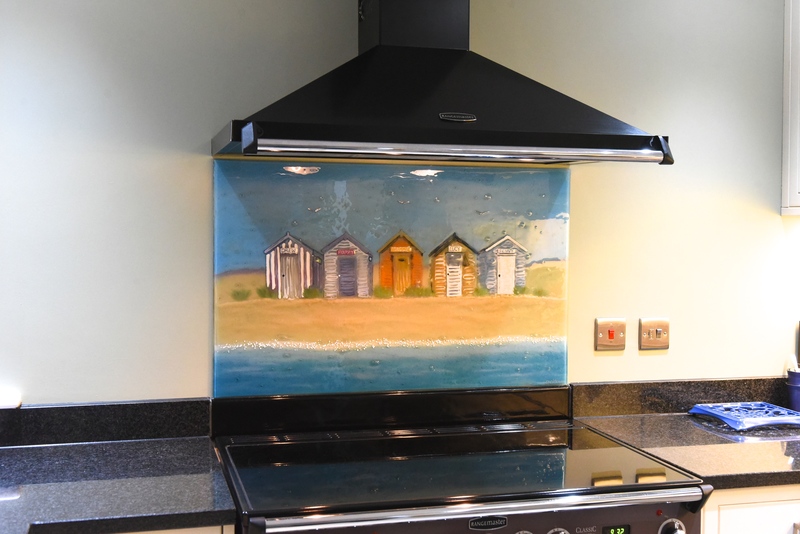 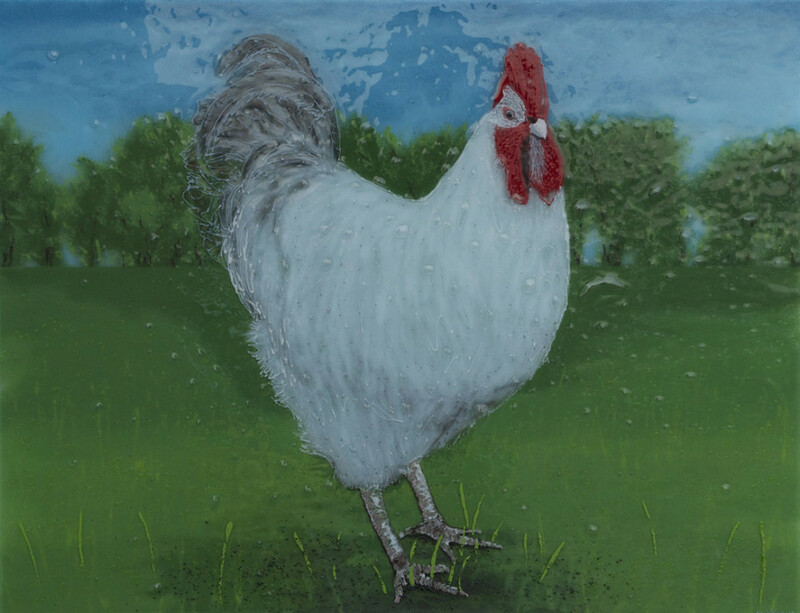 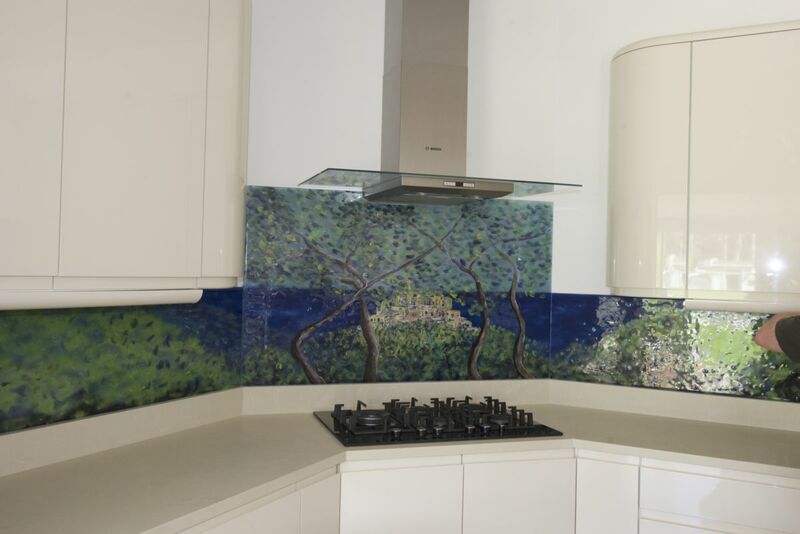 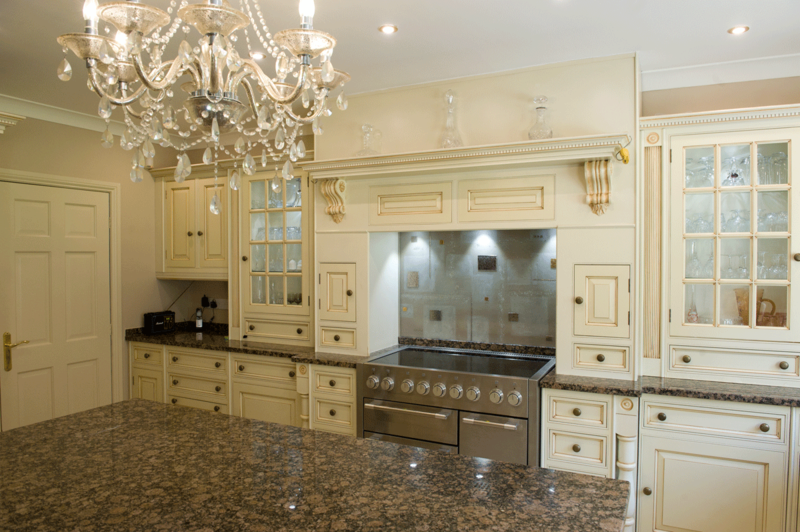 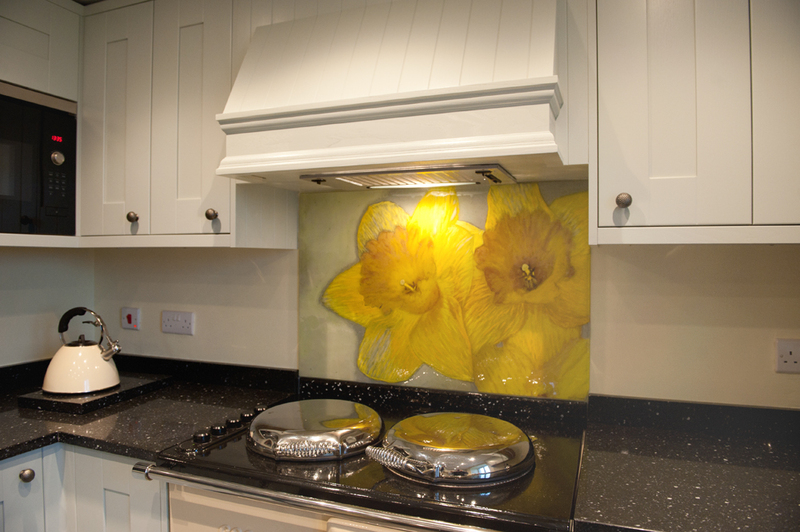 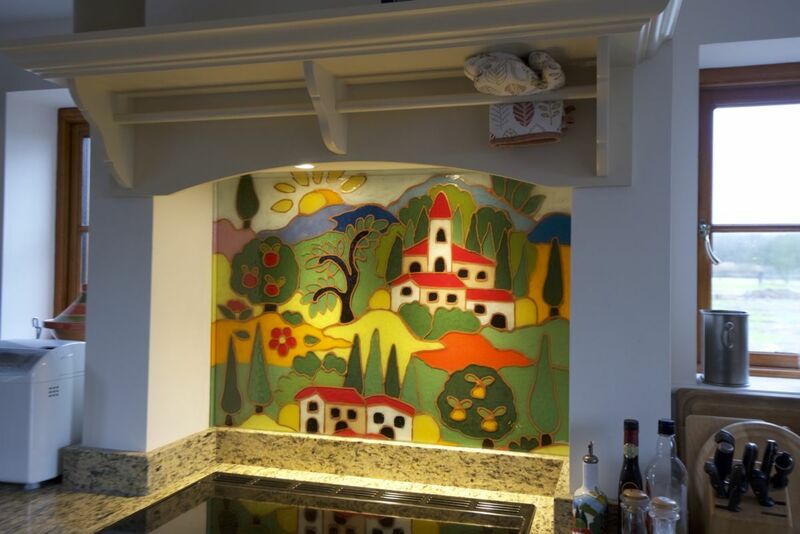 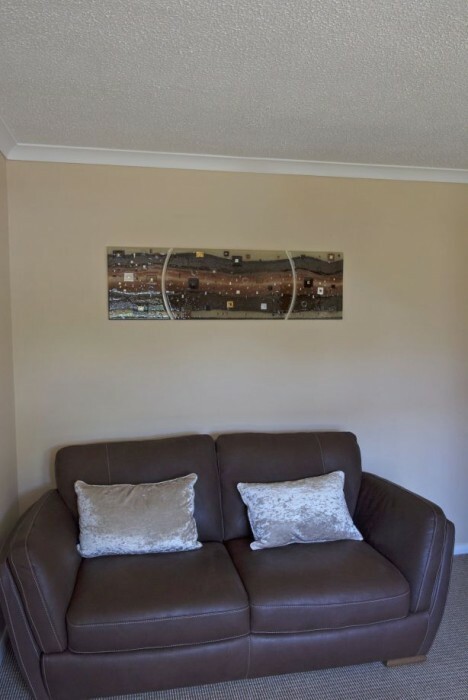 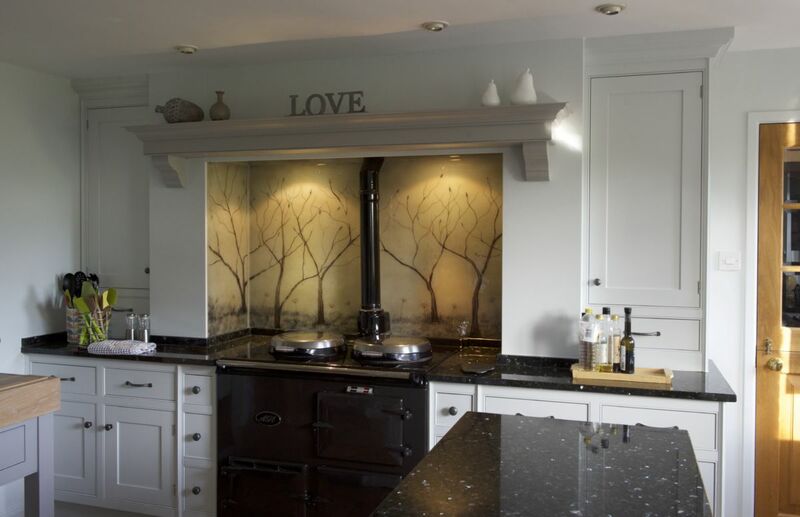 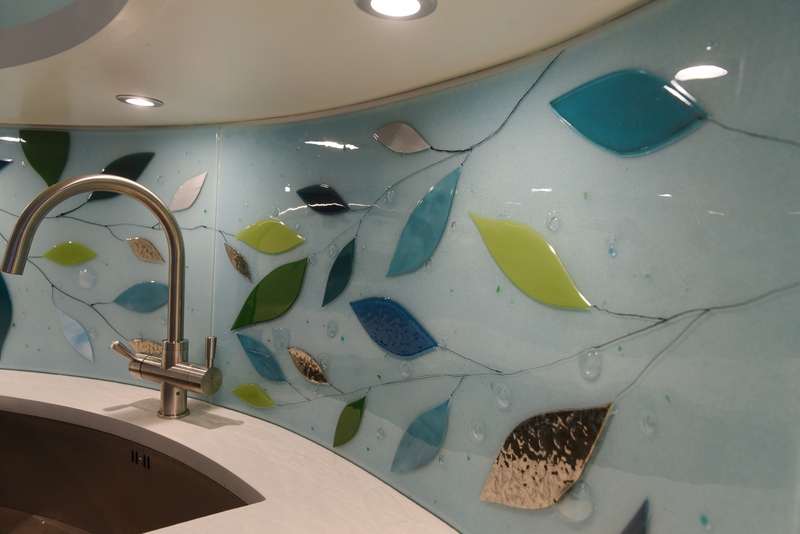 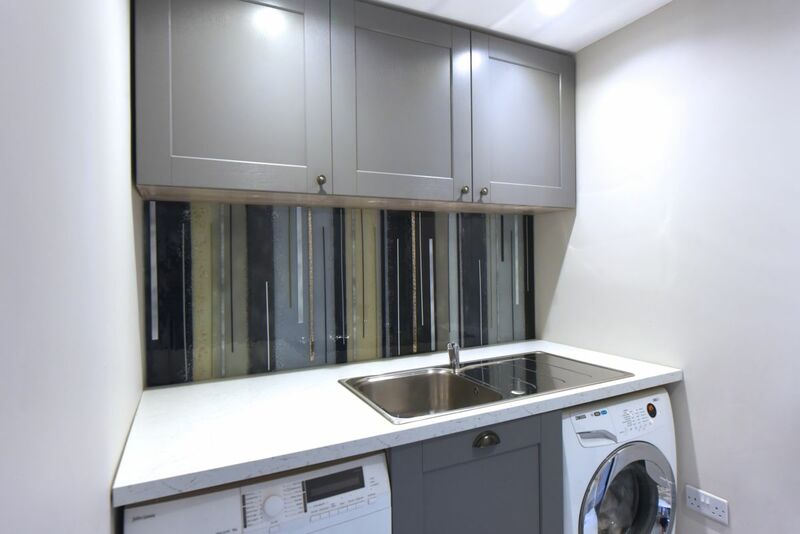 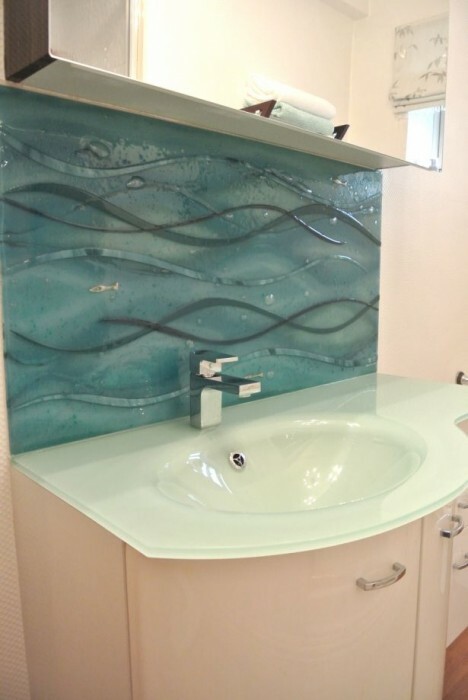 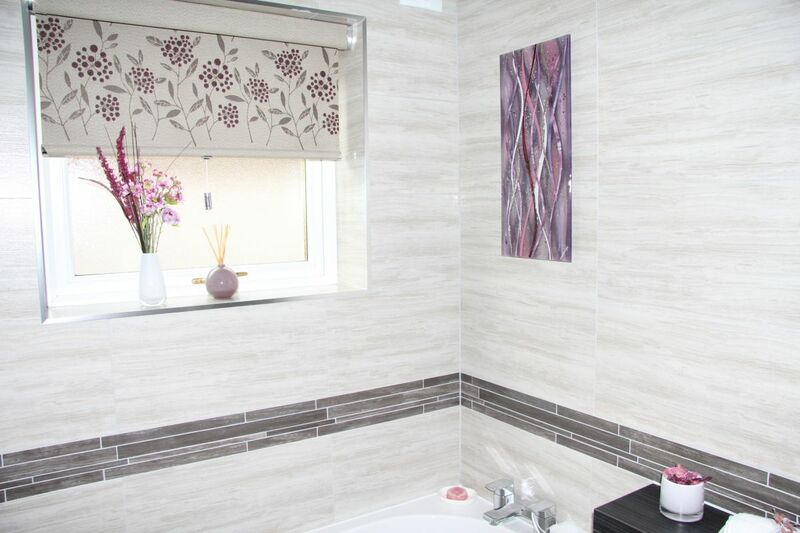 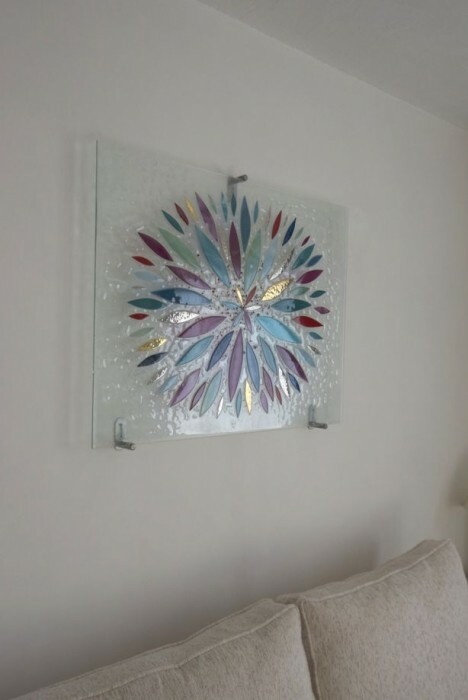 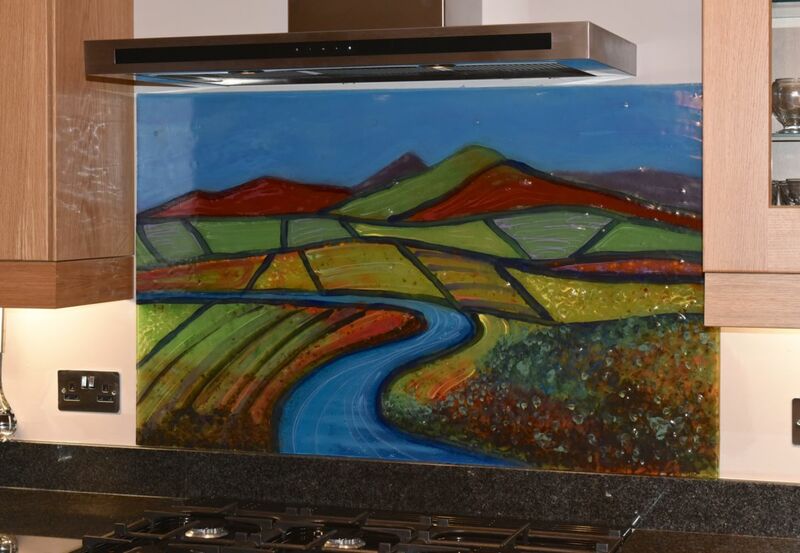 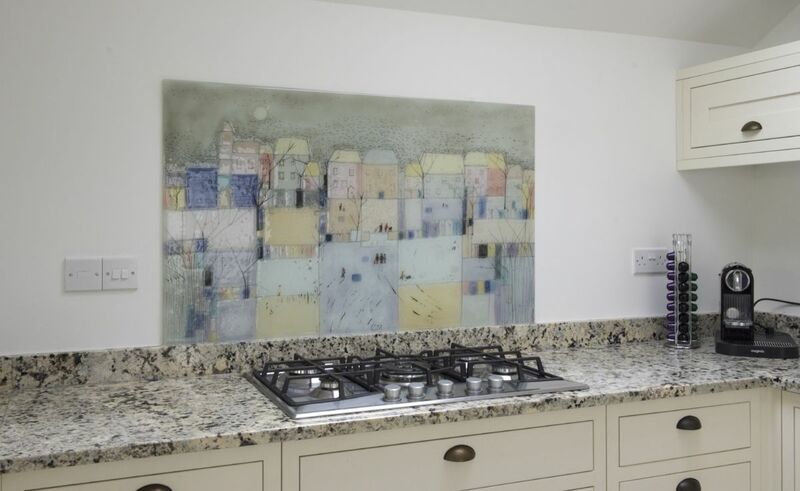 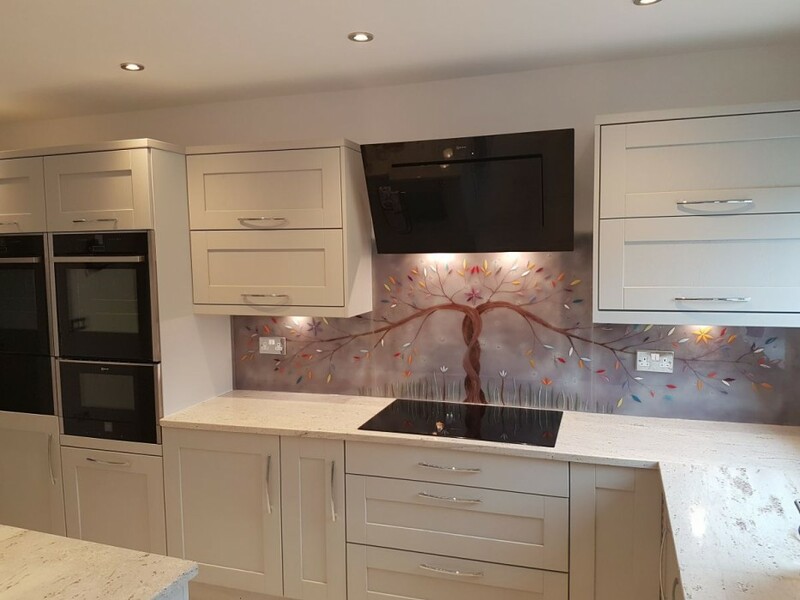 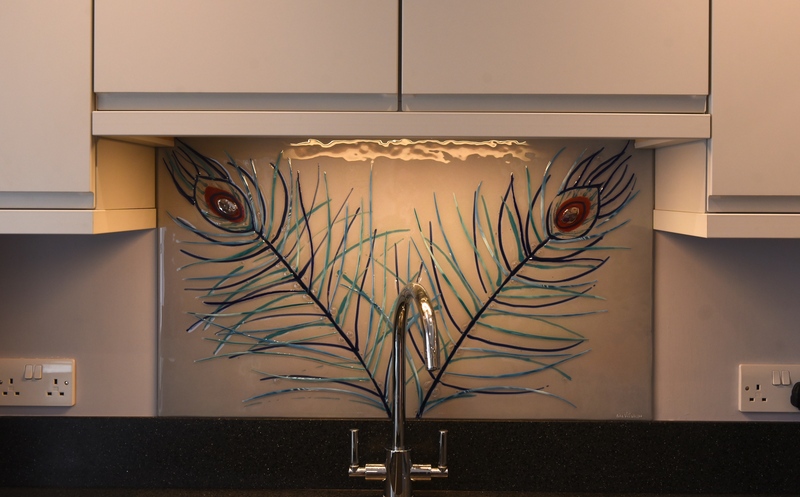 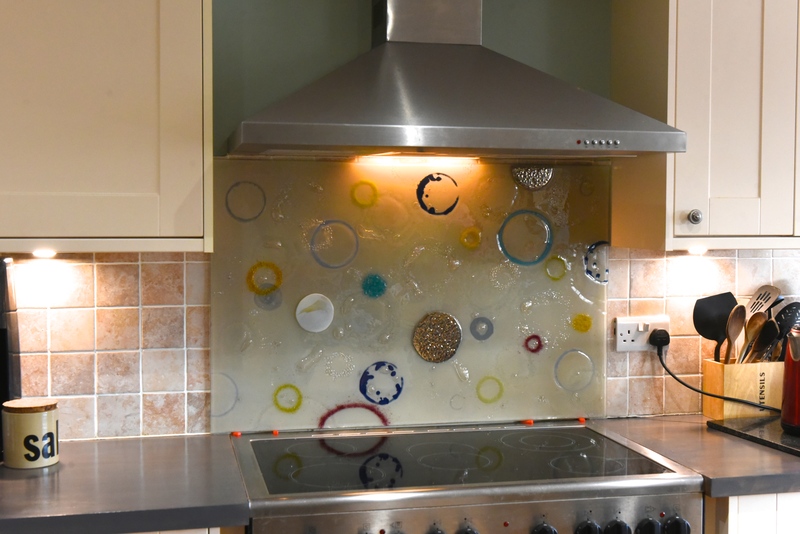 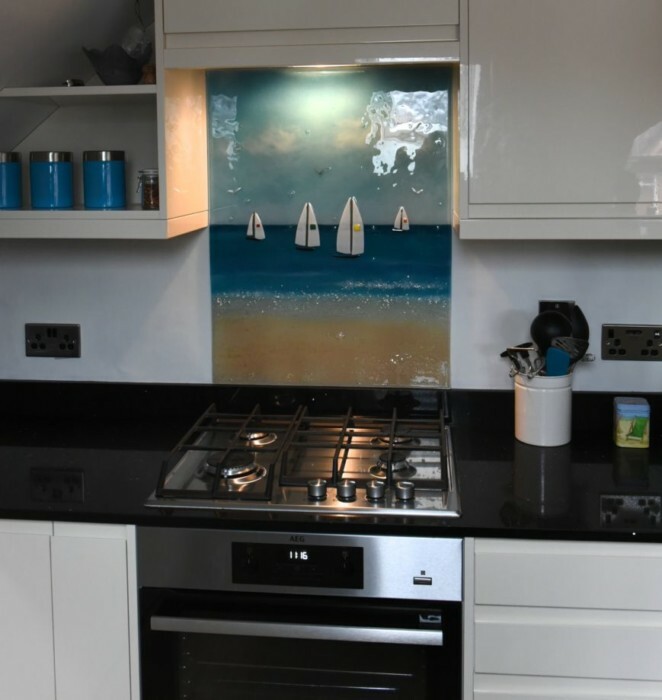 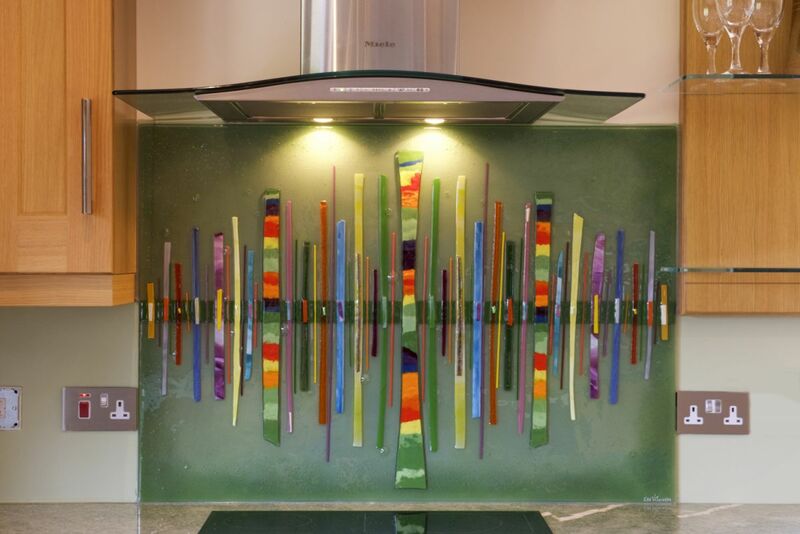 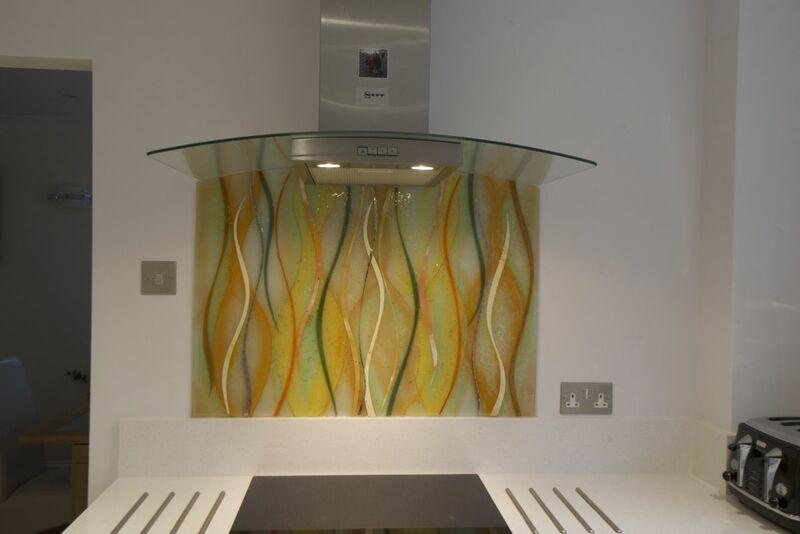 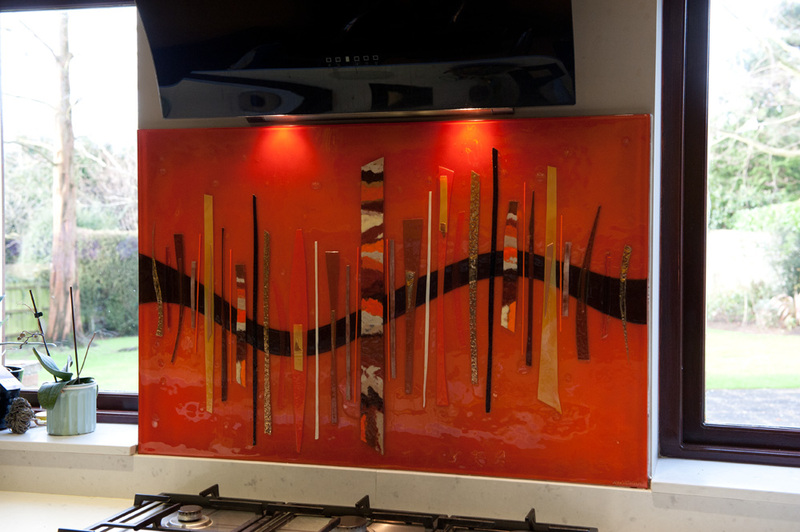 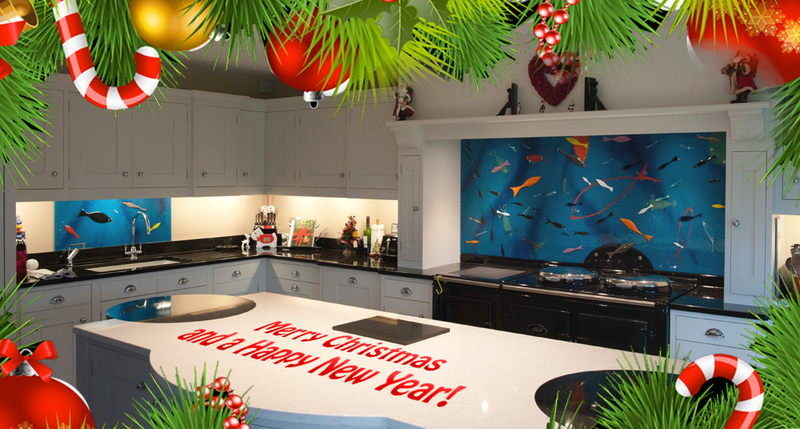 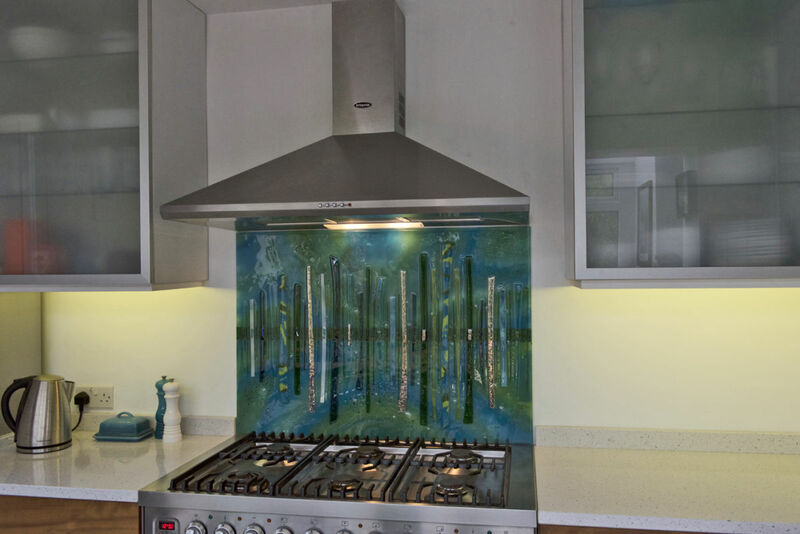 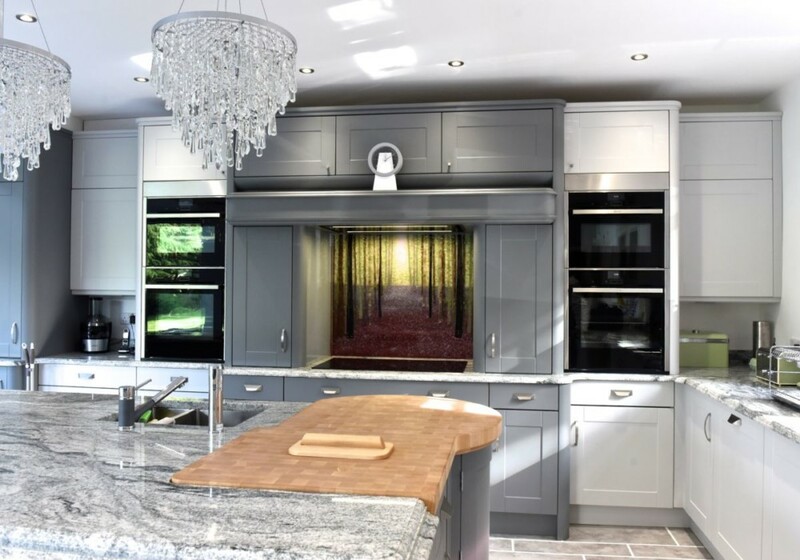 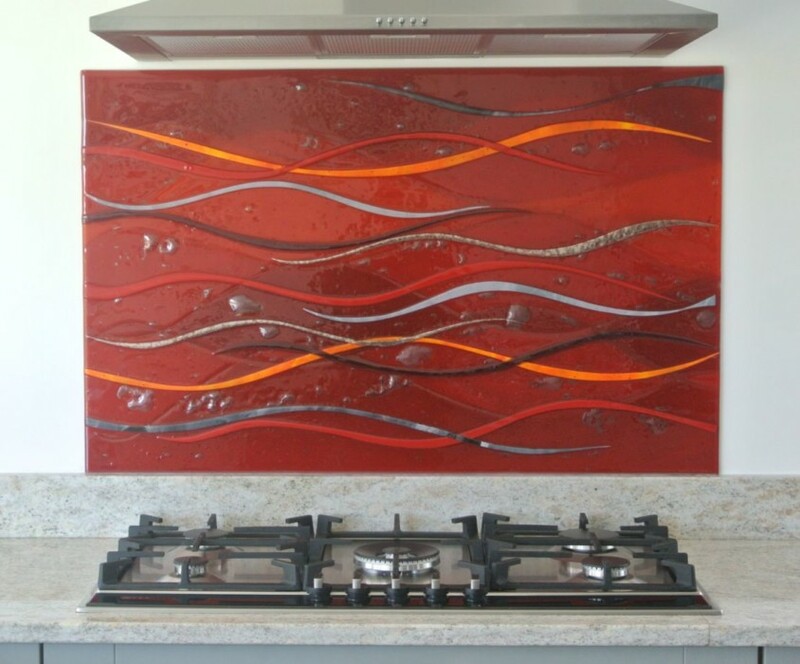 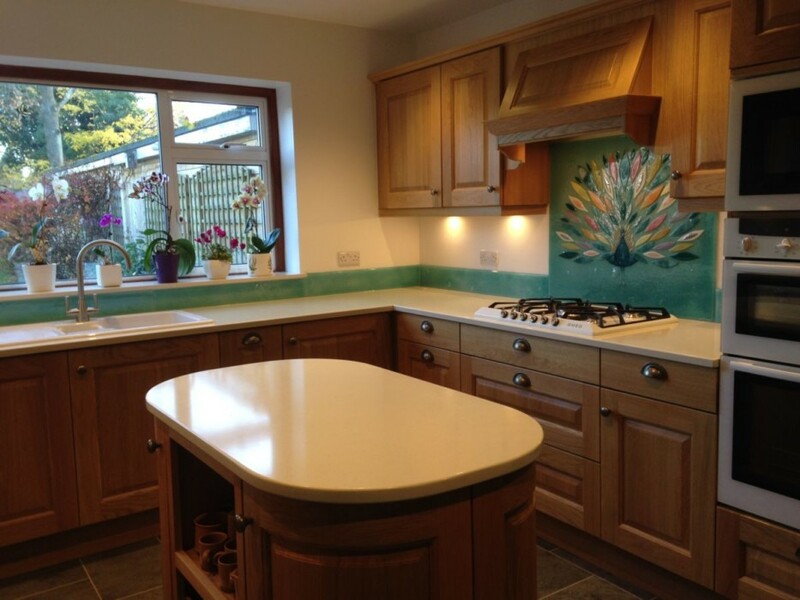 It is, of course, a beautiful handmade splashback that can now be found in a home in Stafford, and we’re just dying to show it off. 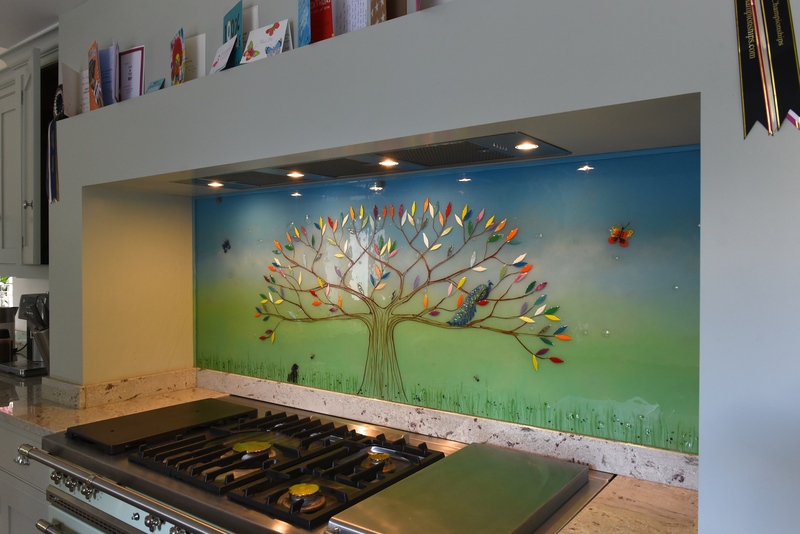 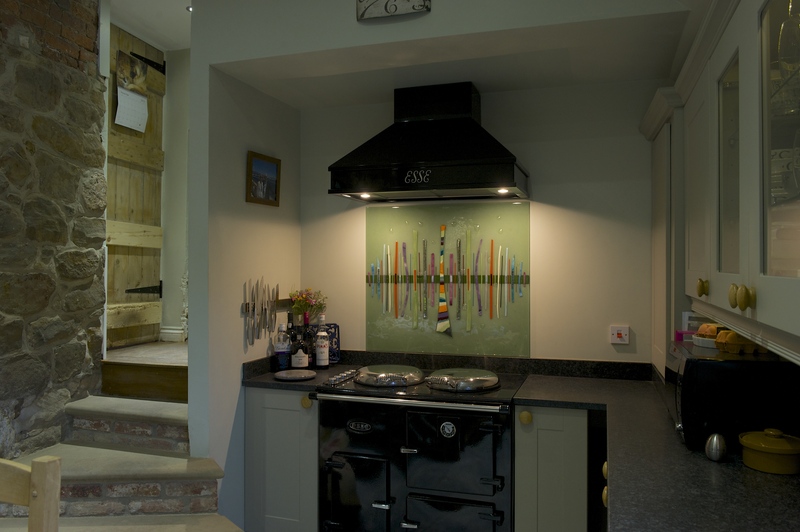 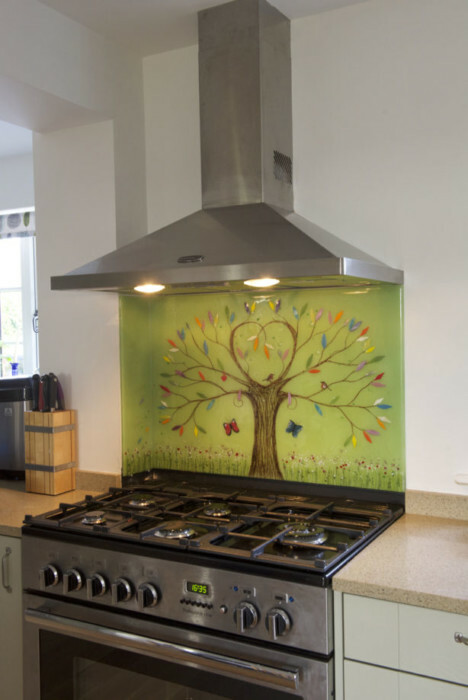 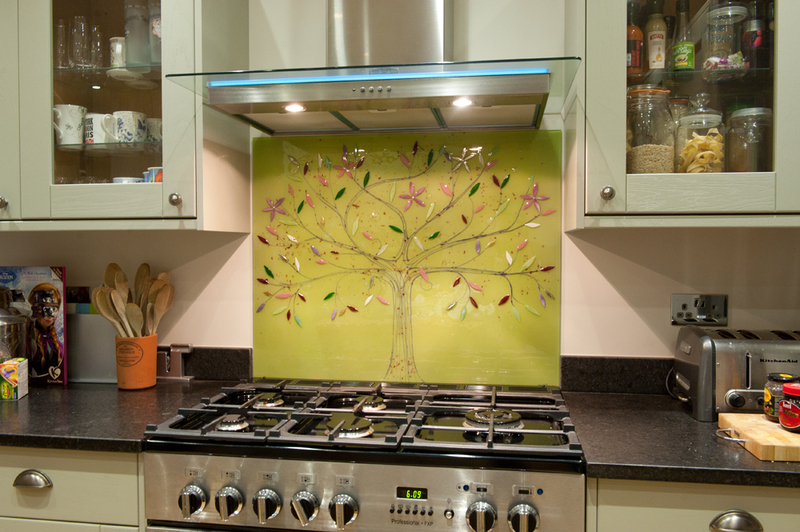 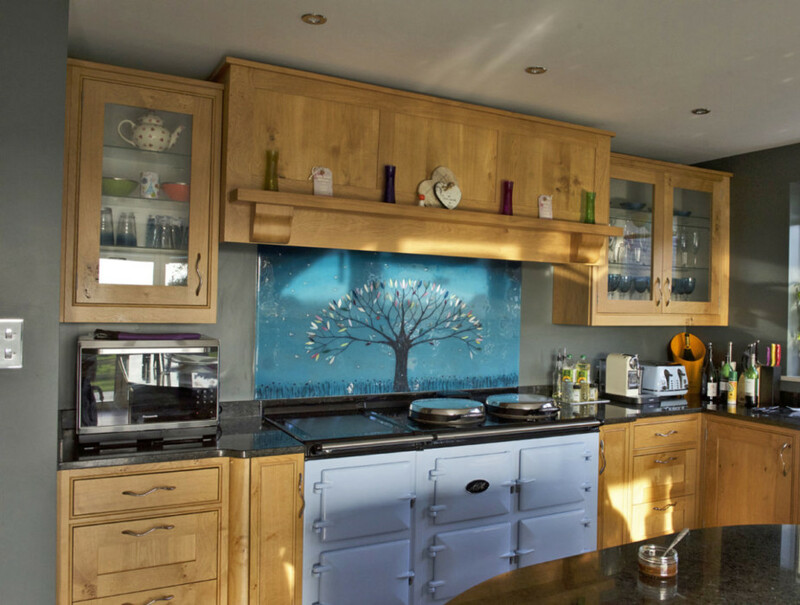 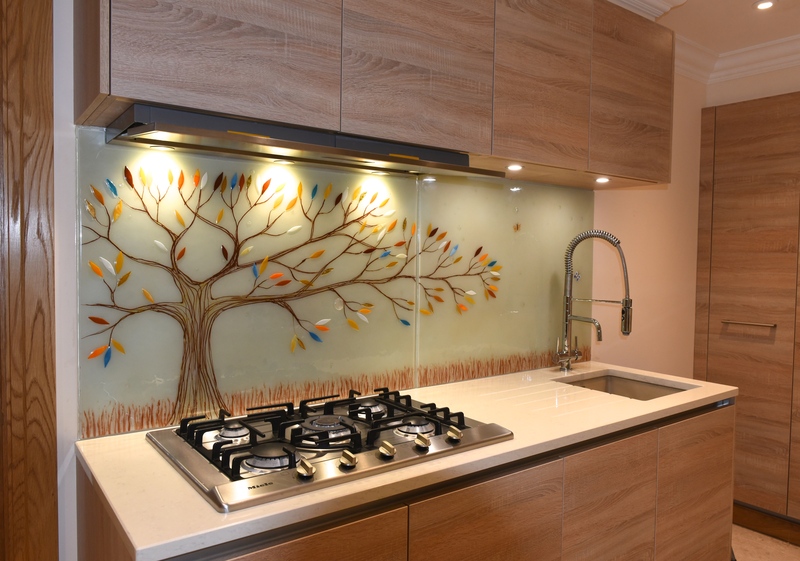 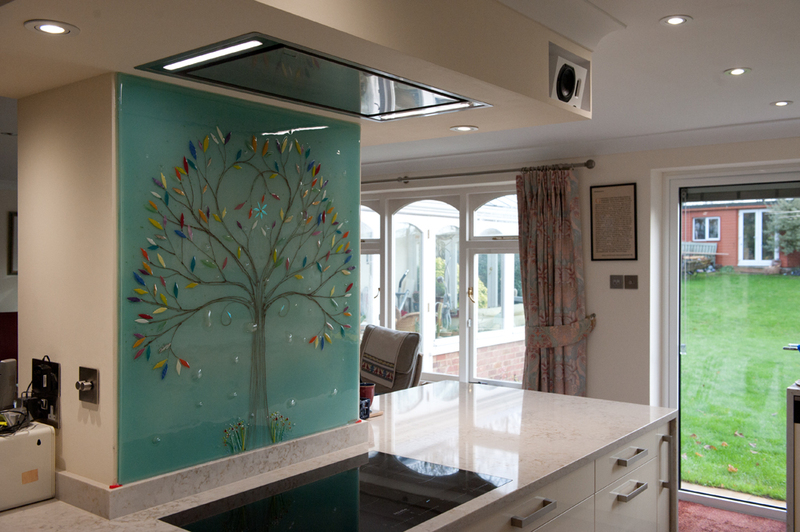 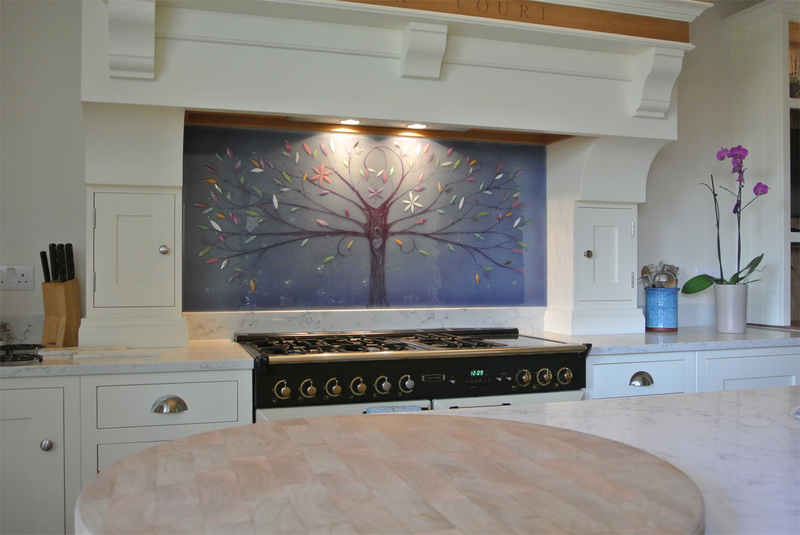 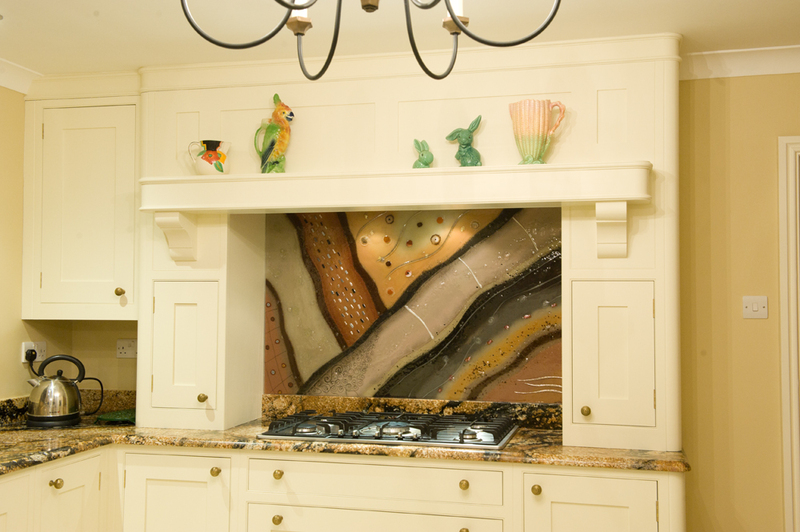 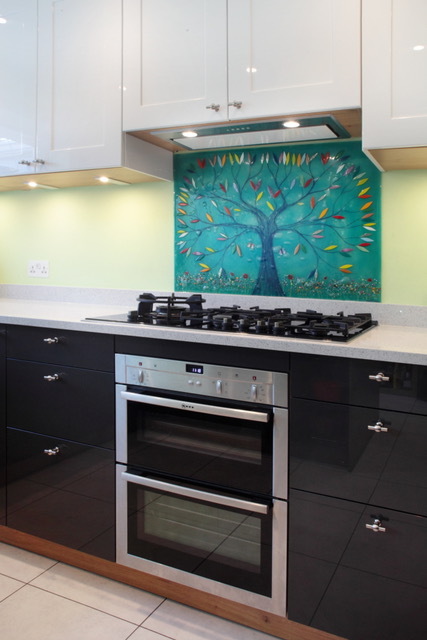 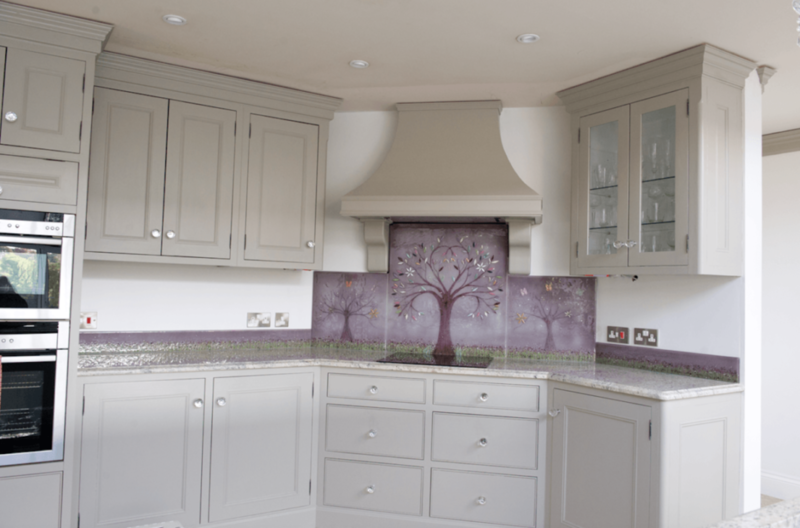 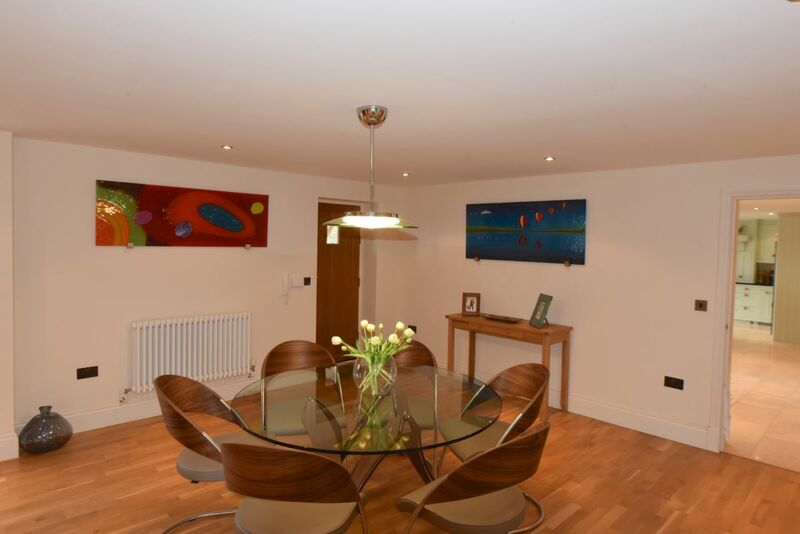 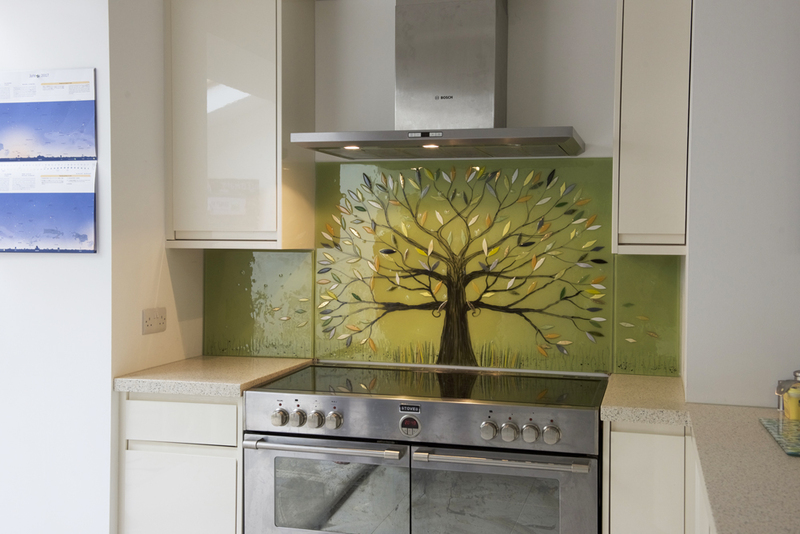 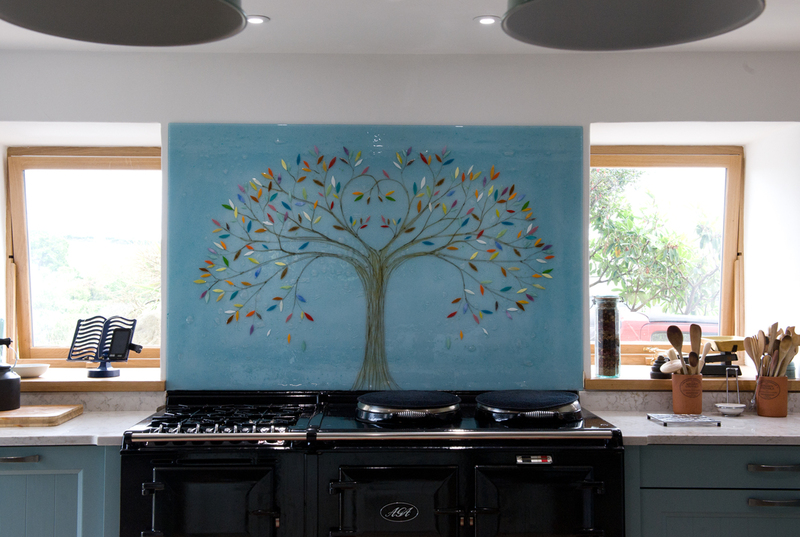 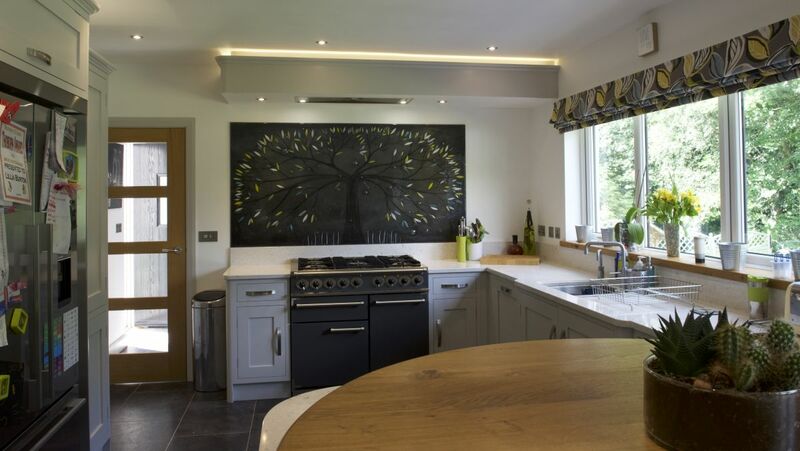 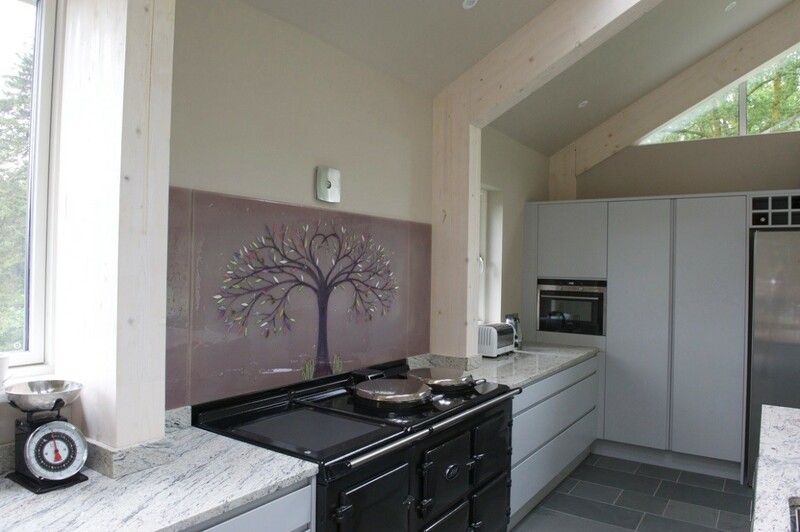 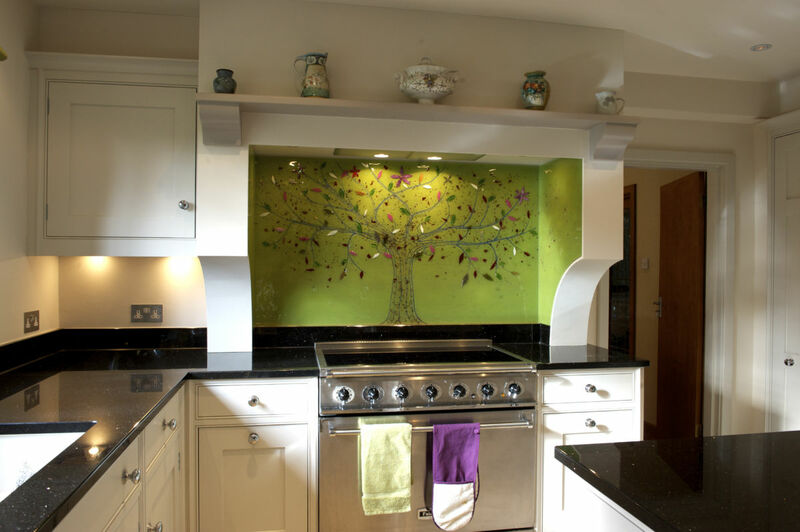 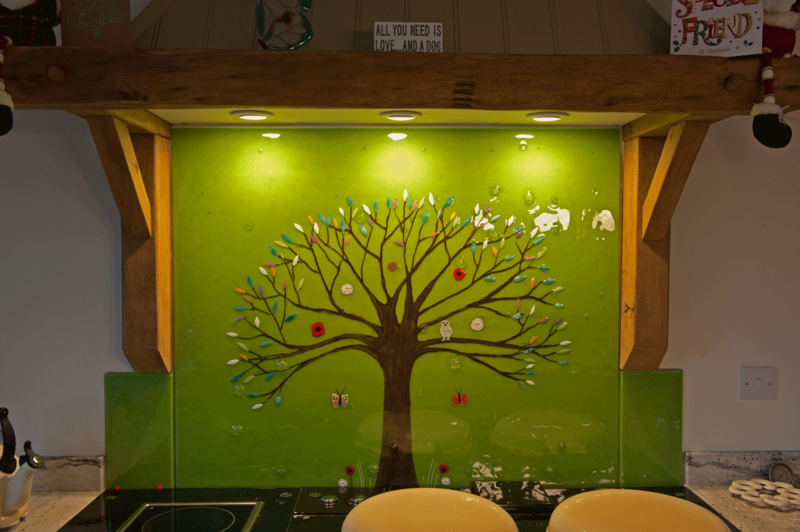 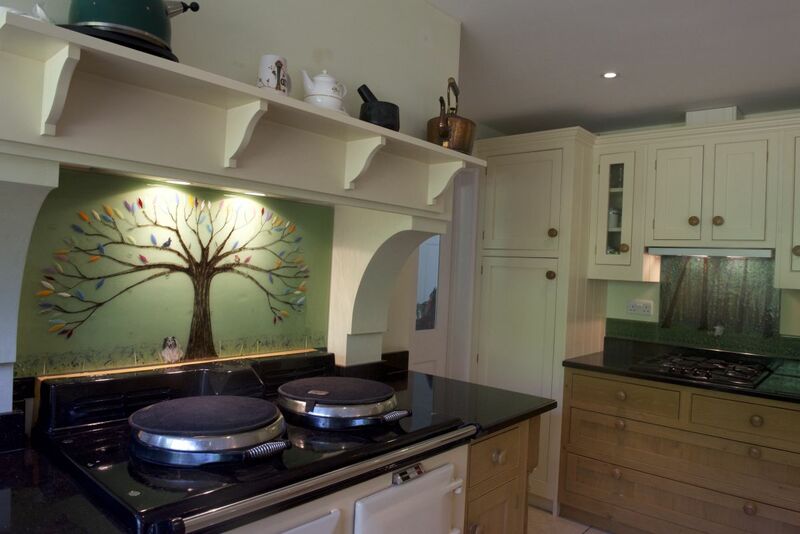 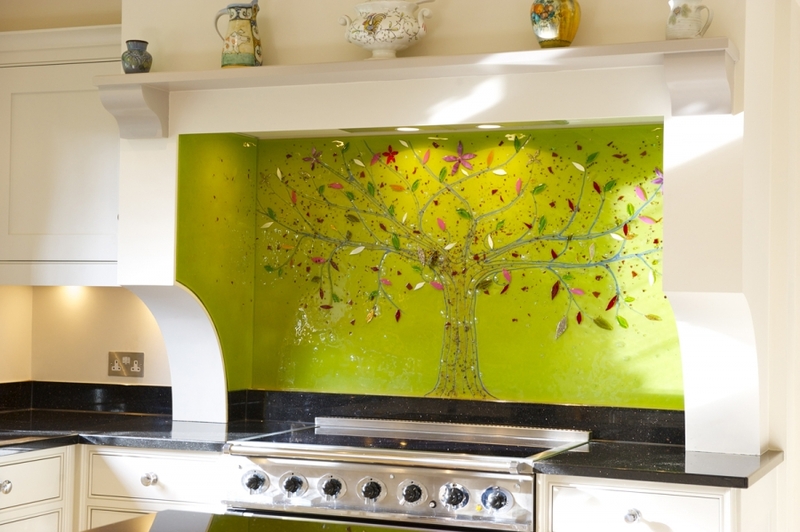 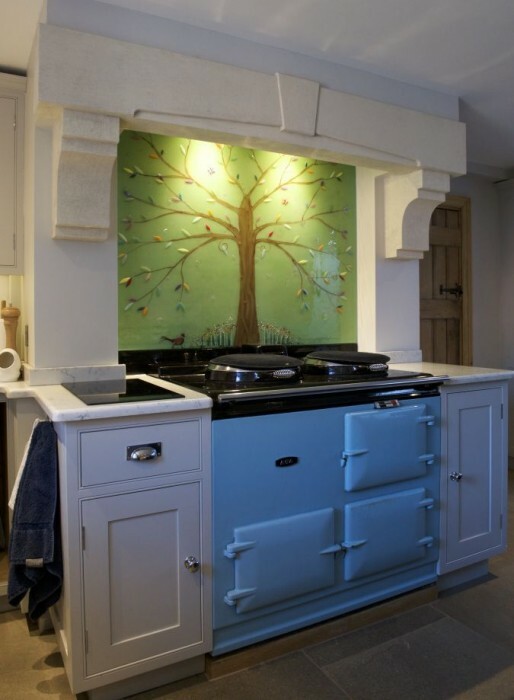 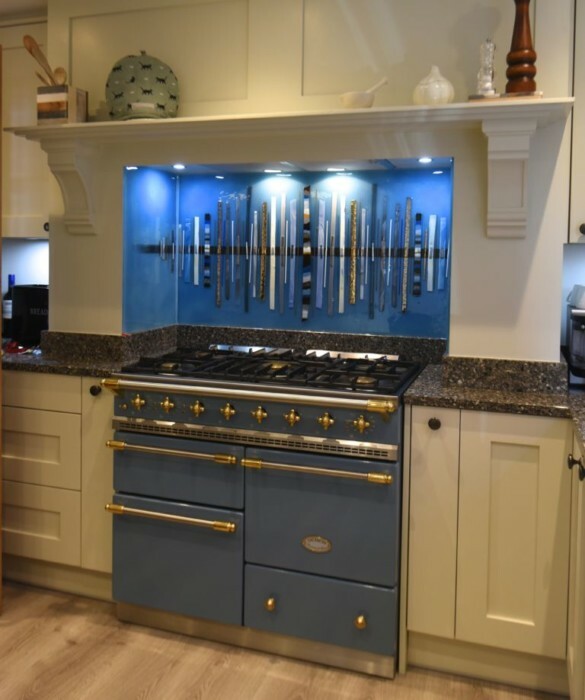 The design is a unique take on our classic Tree of Life, a style which definitely makes the most of the space behind the cooker. 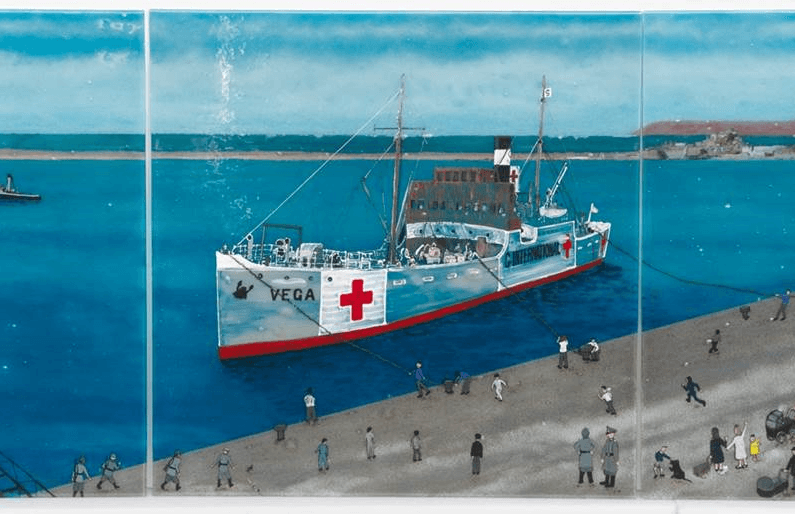 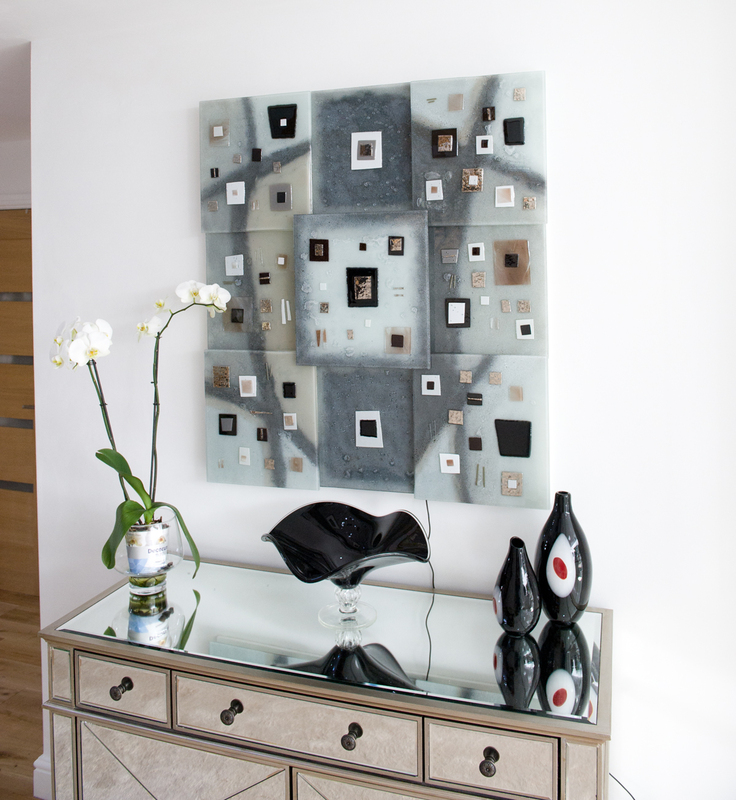 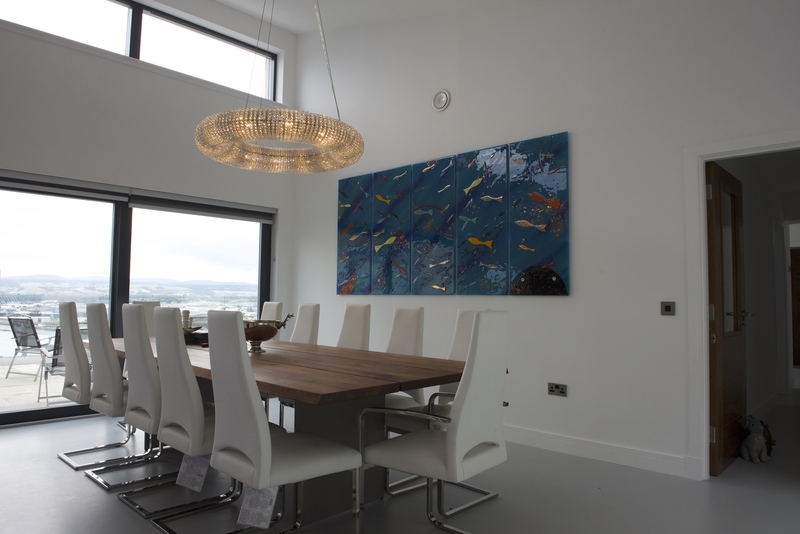 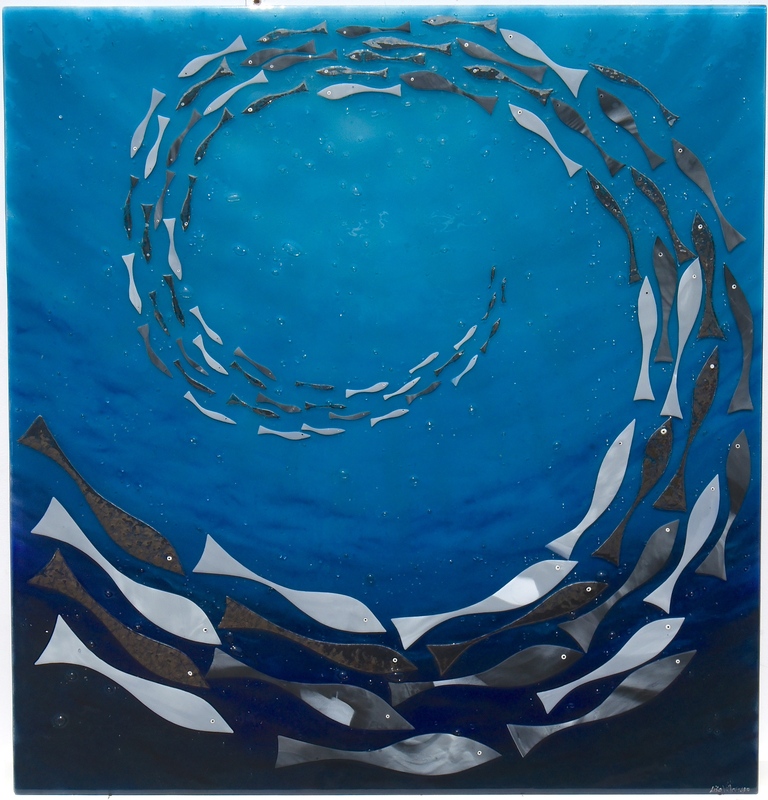 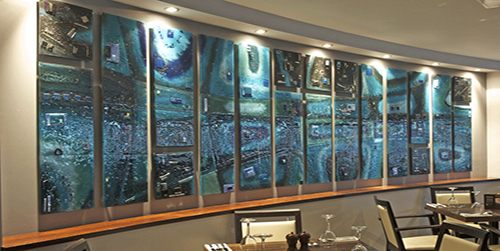 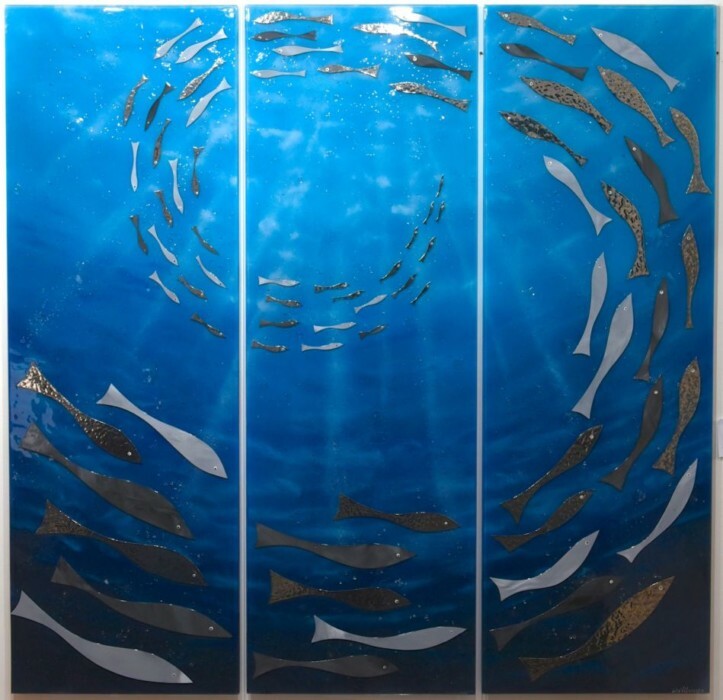 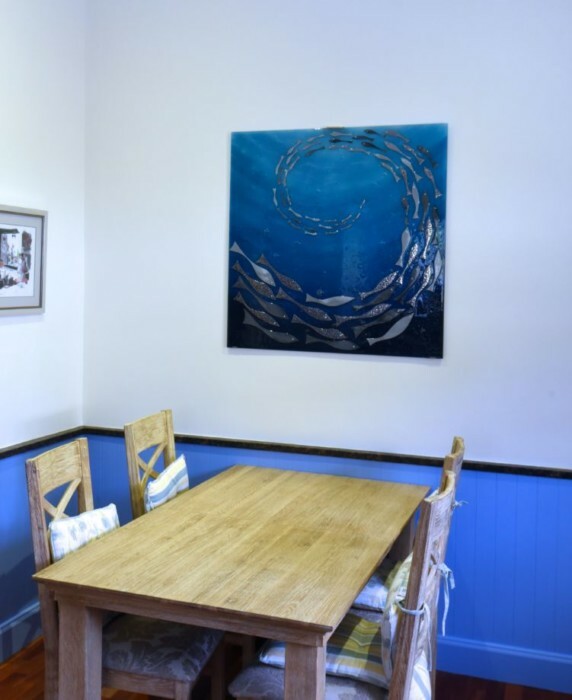 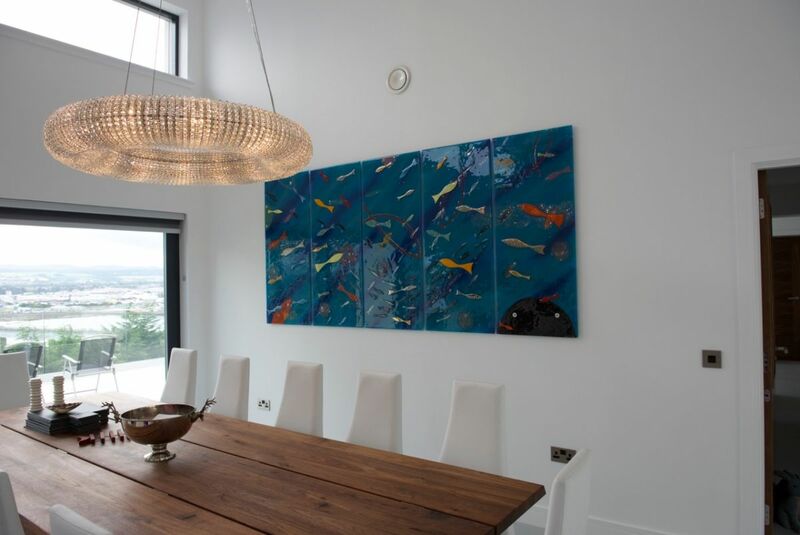 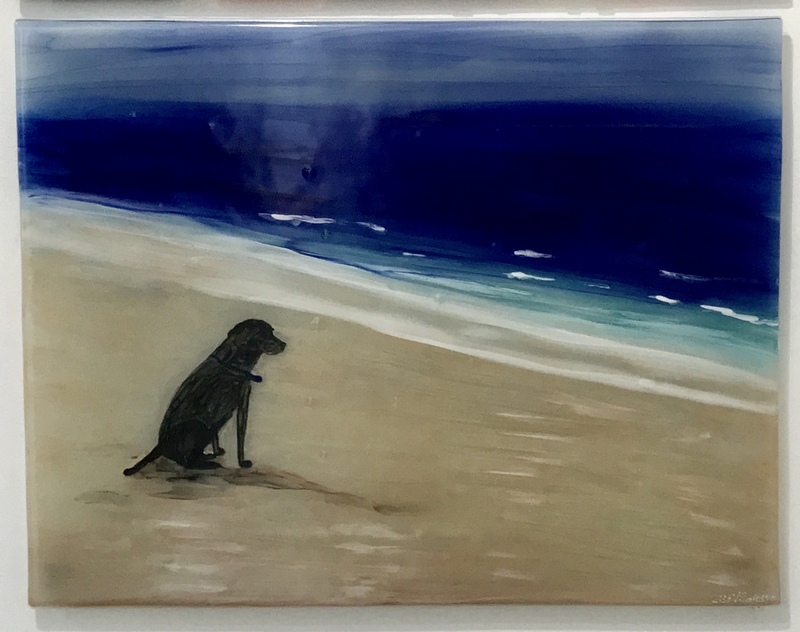 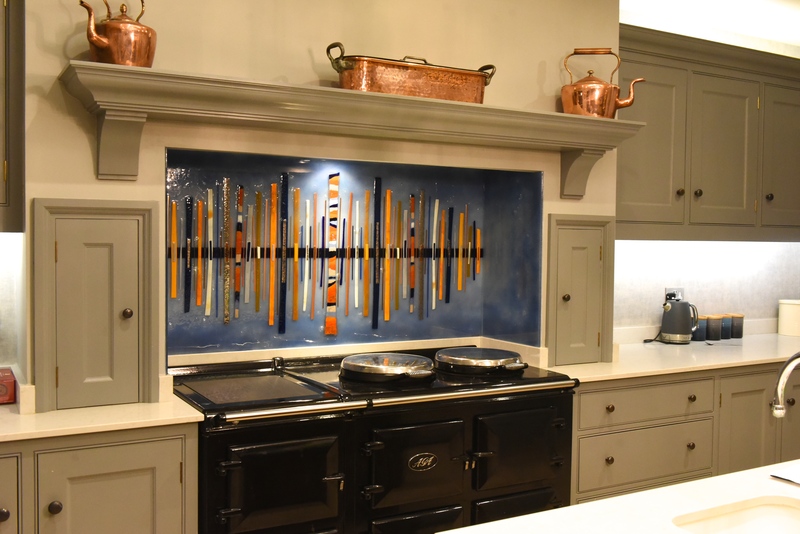 The background is a deep blue with multiple shades, making the piece instantly eye-catching and a true centrepiece worthy of all the attention it’s sure to be getting. 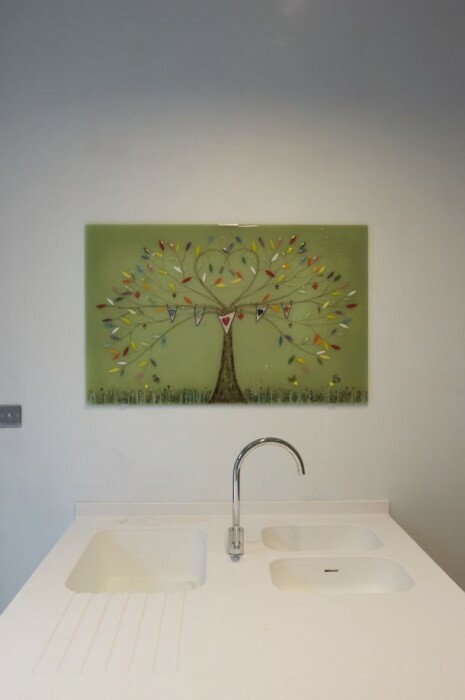 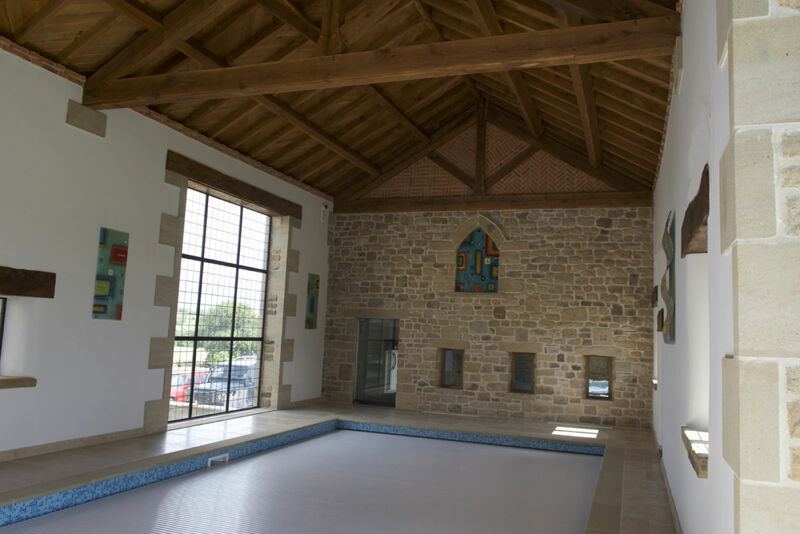 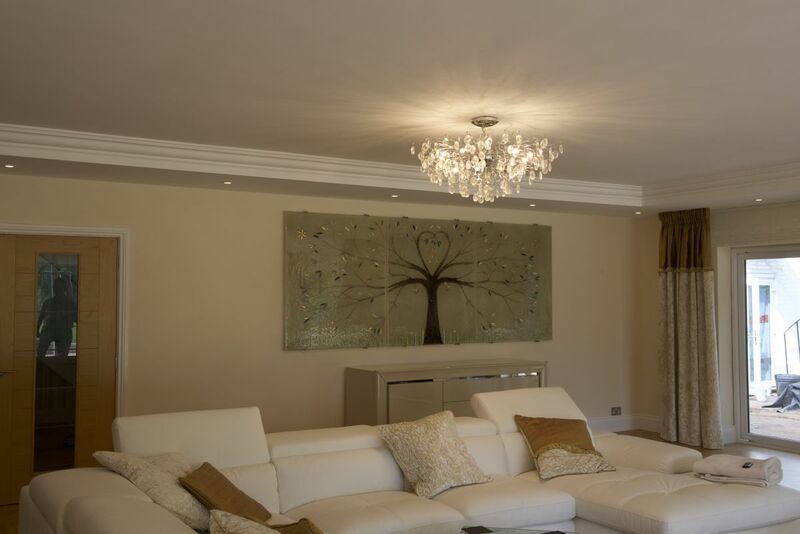 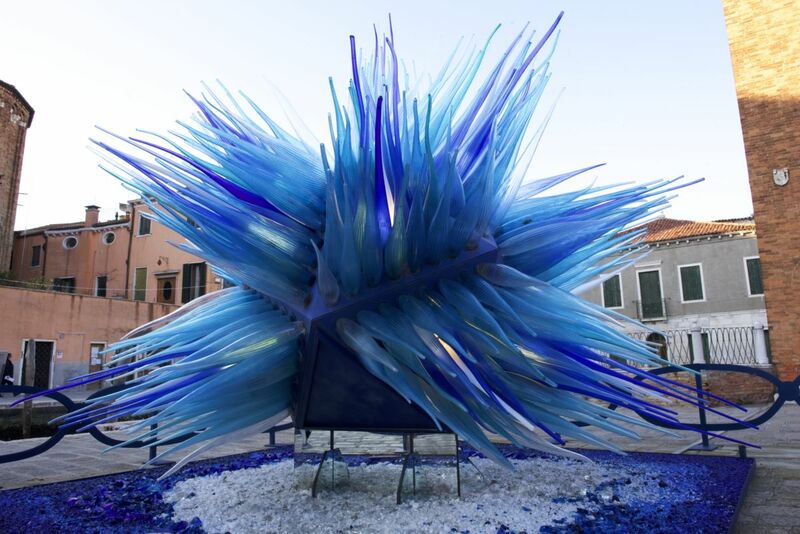 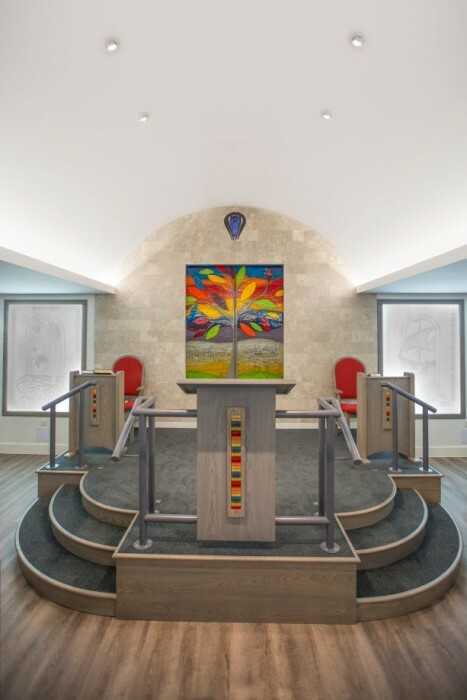 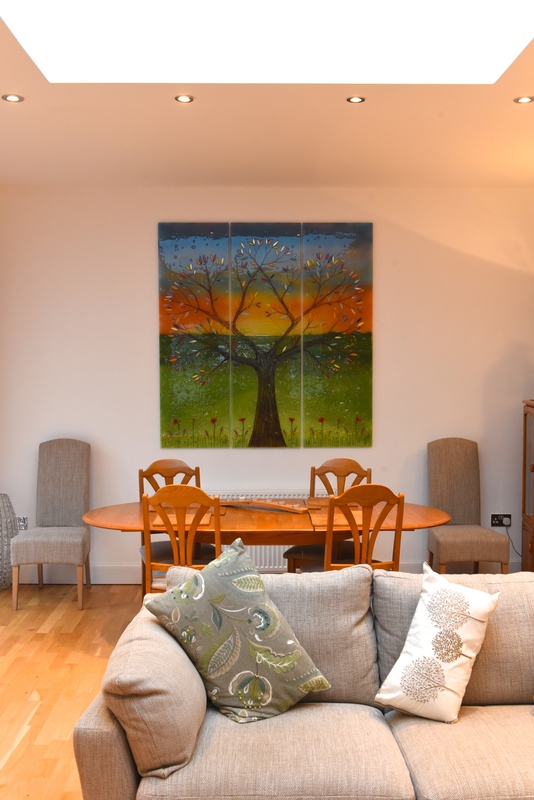 The tree itself is created in a very solid and bold style, standing out against the background and making itself known as the key element of the design. 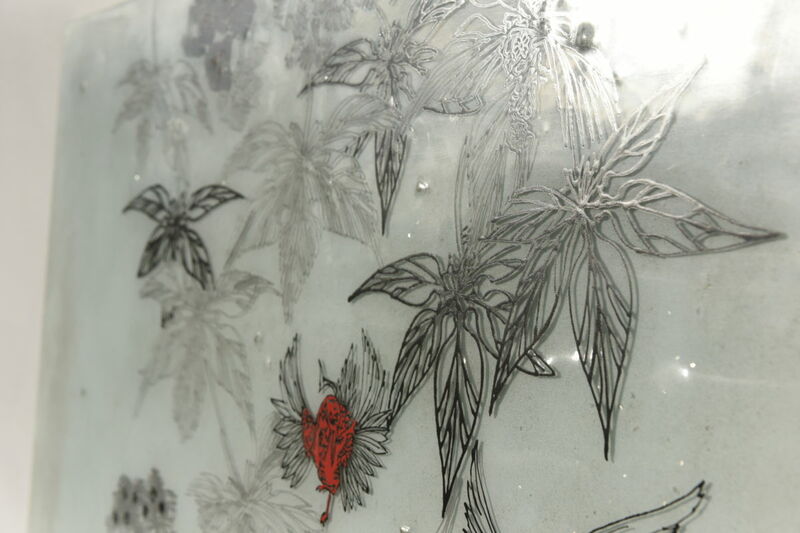 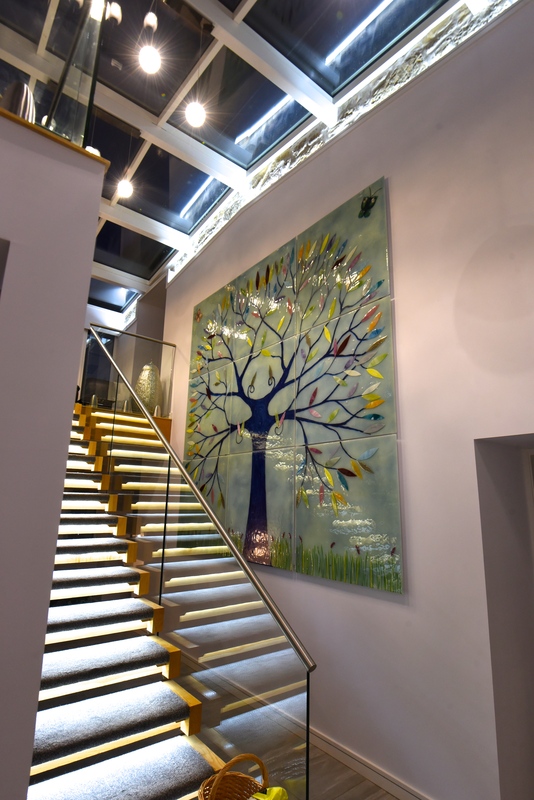 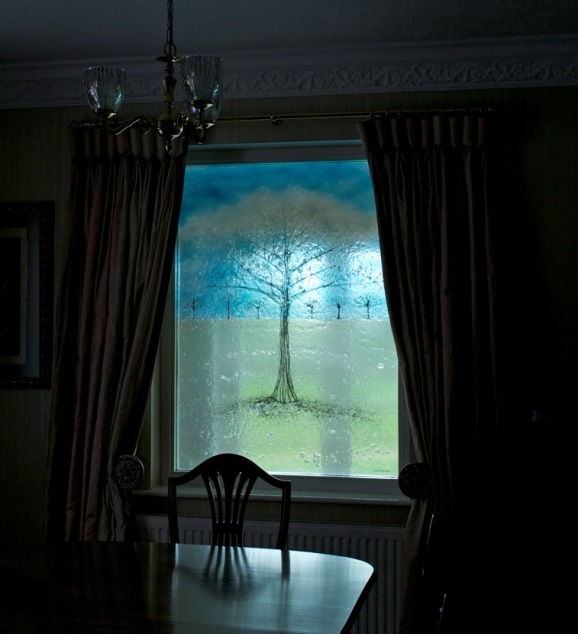 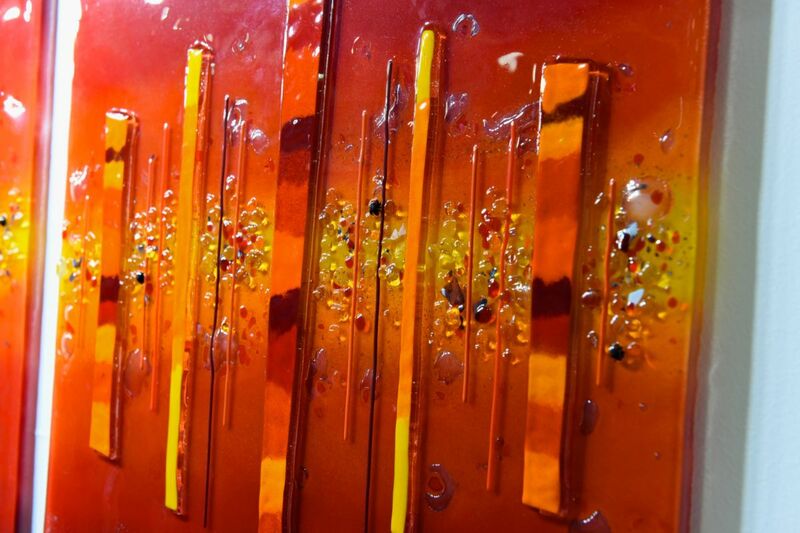 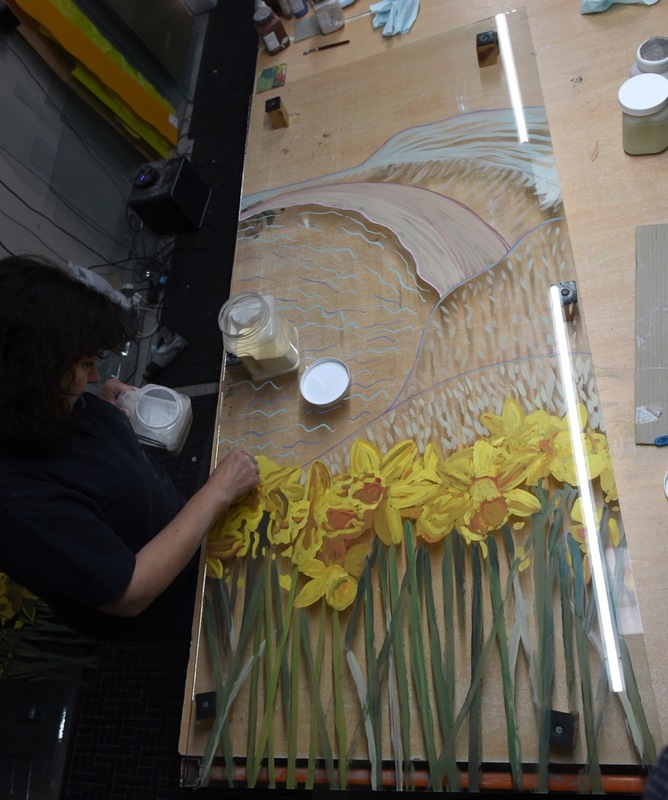 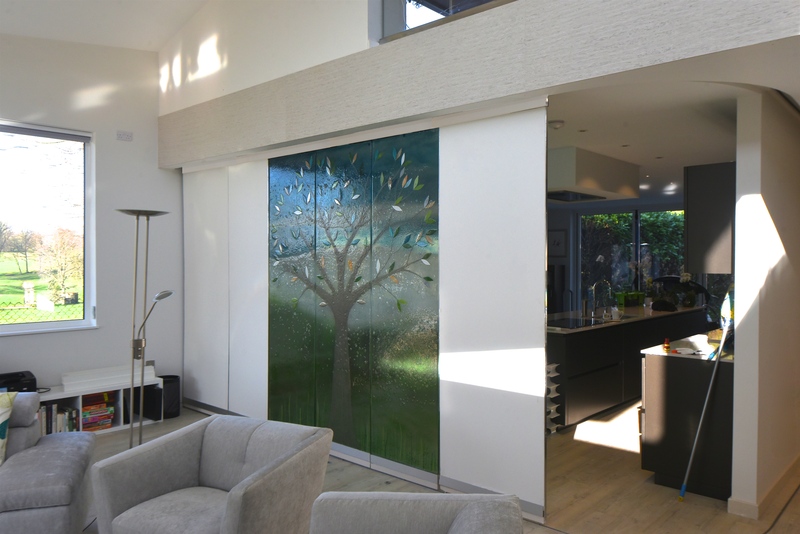 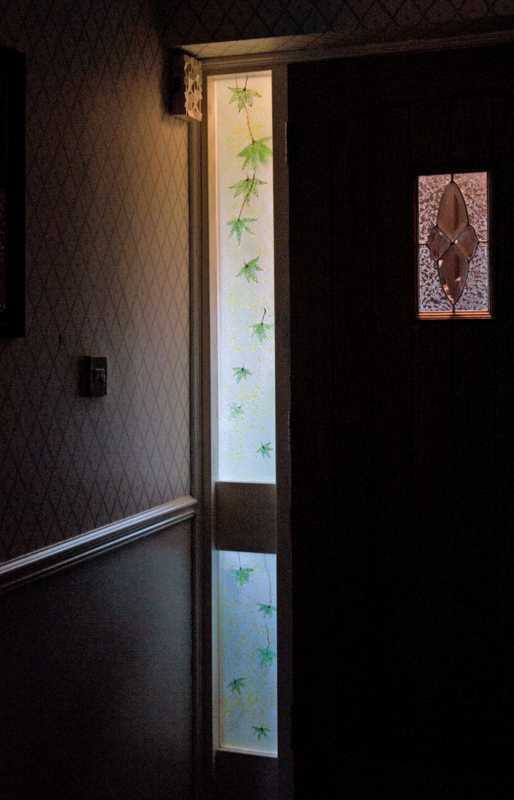 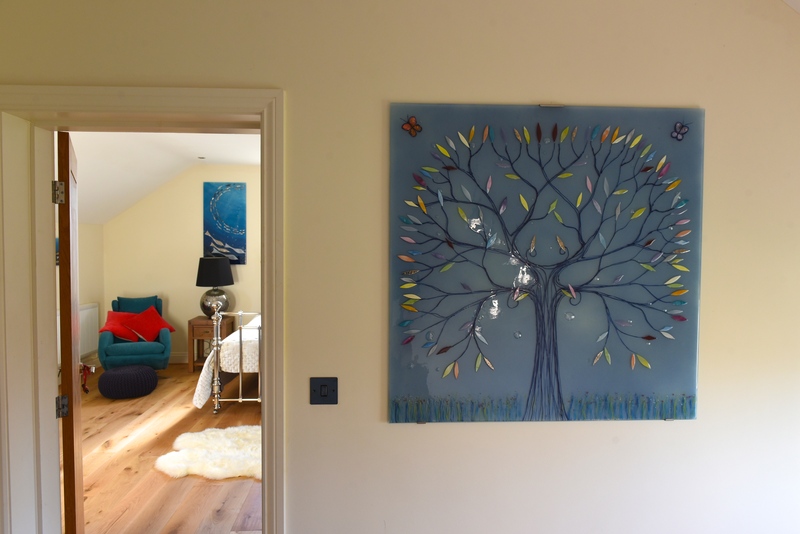 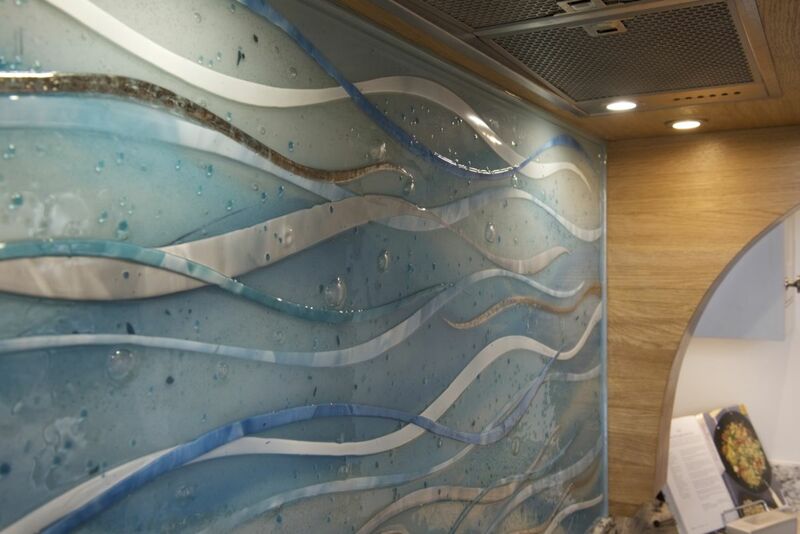 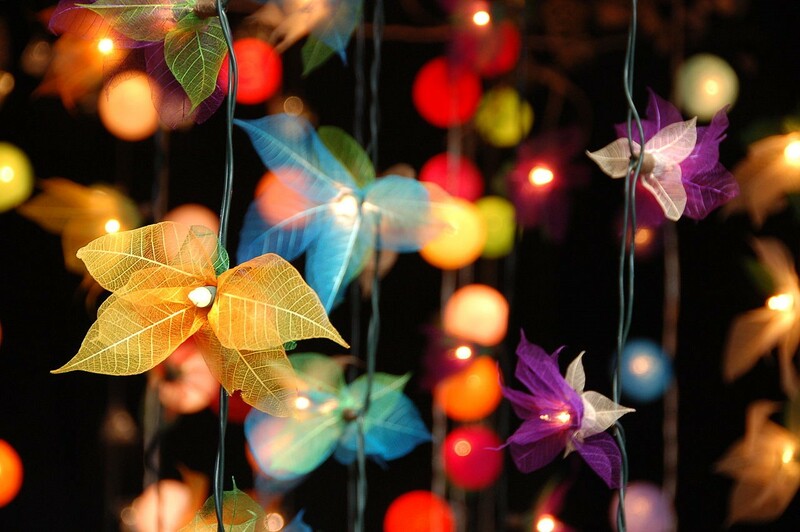 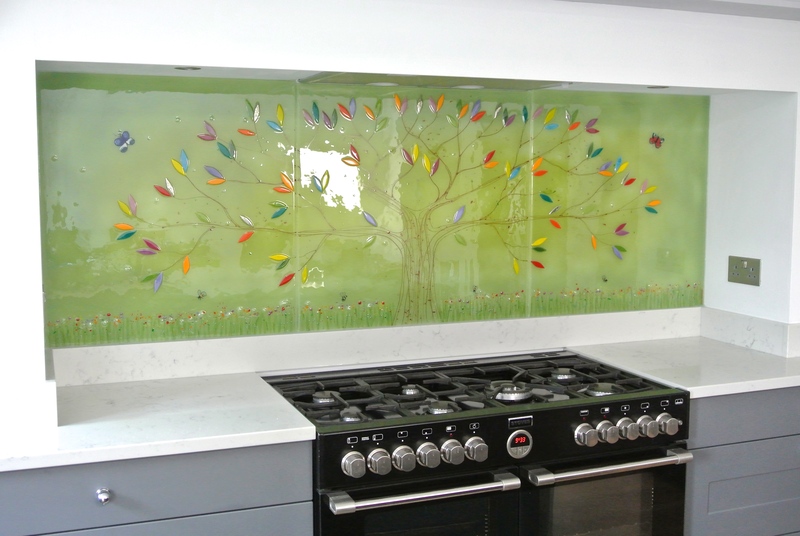 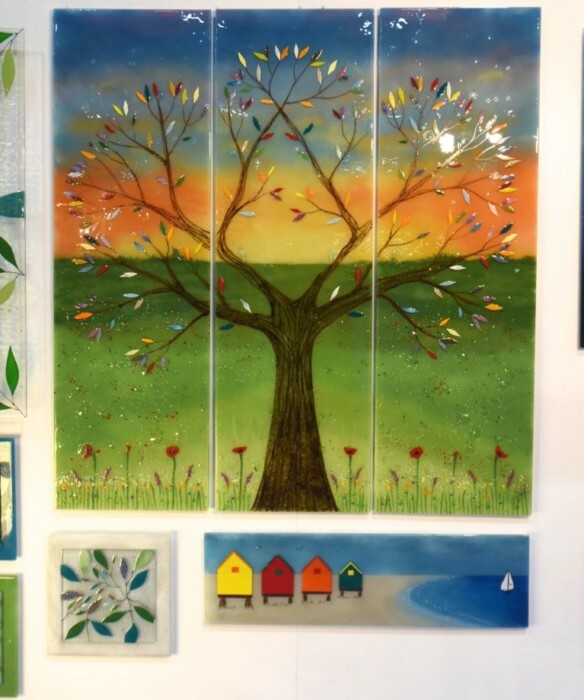 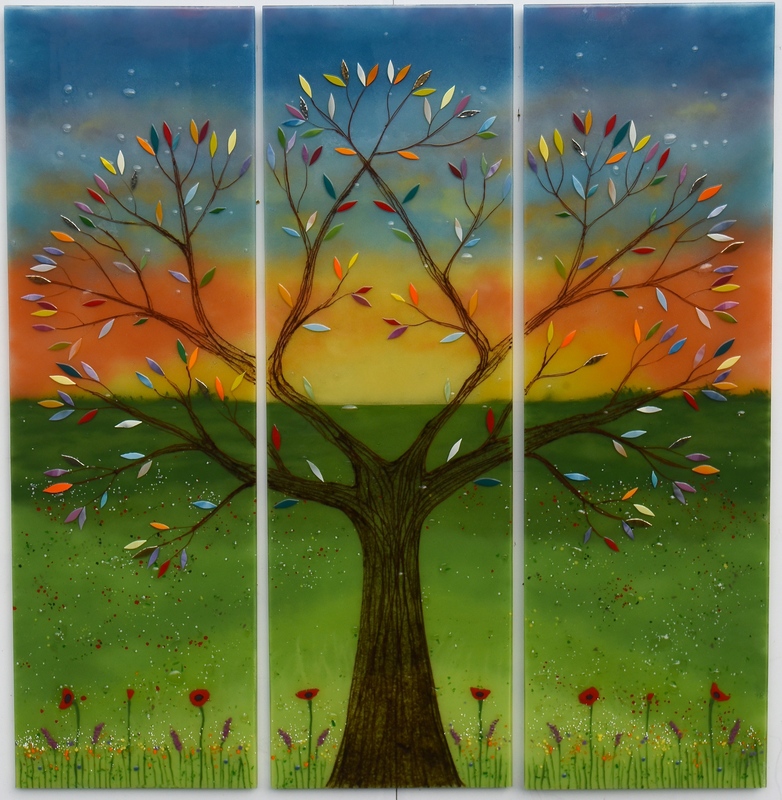 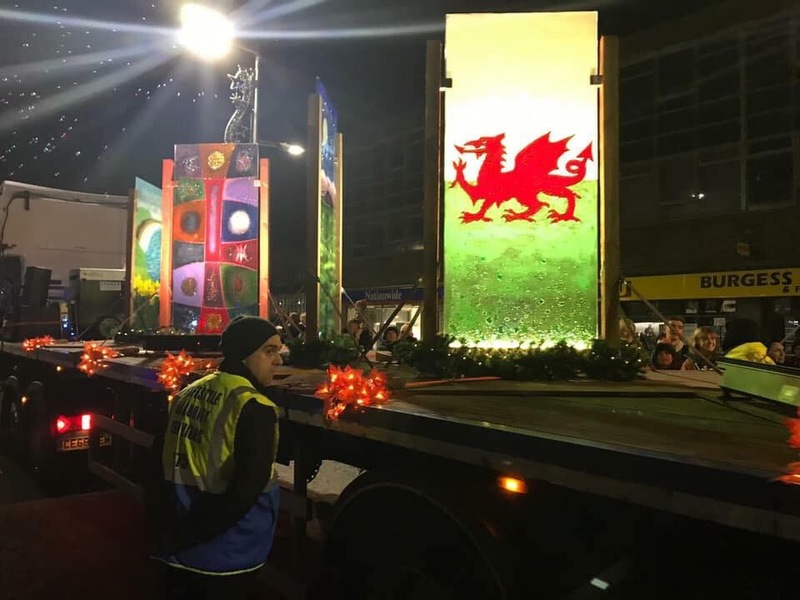 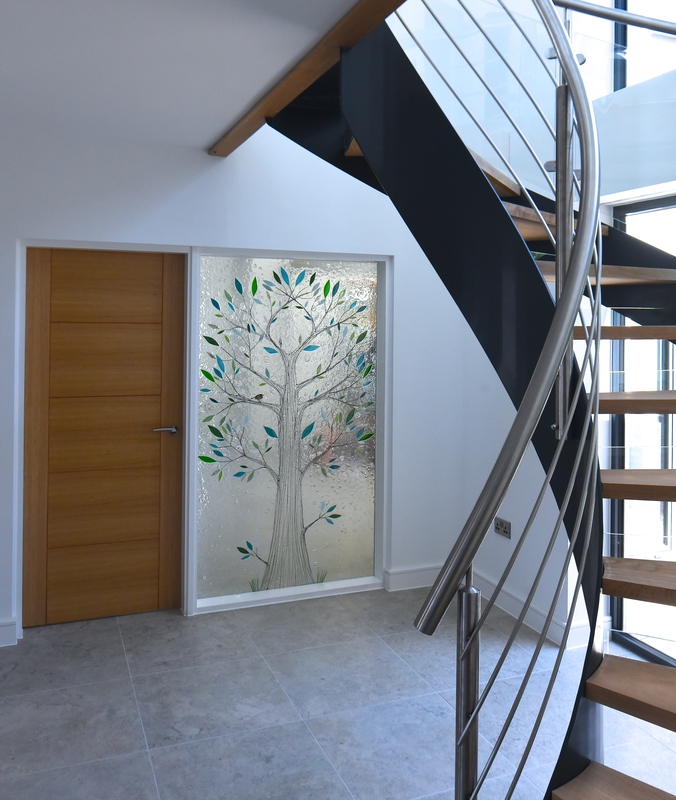 Its branches reach out to the edges of the panel, full of hand cut leaves that showcase a wide palette of colours. 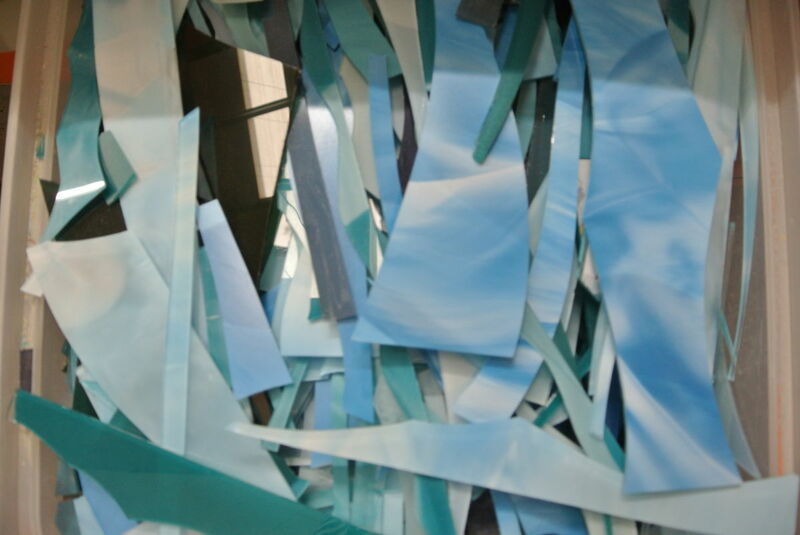 You’ll find all manner of complementary hues amongst those leaves. 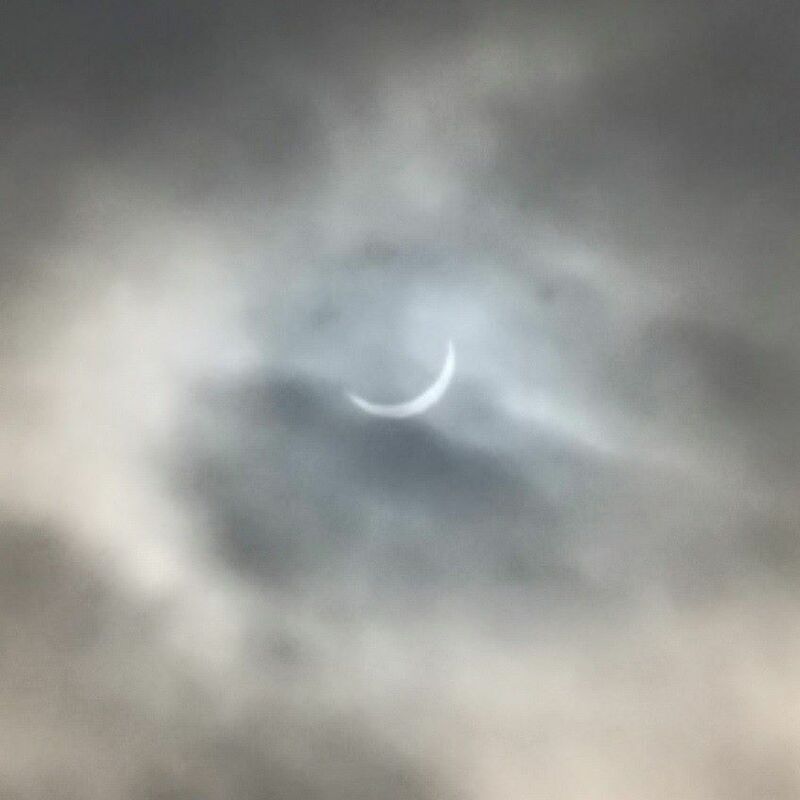 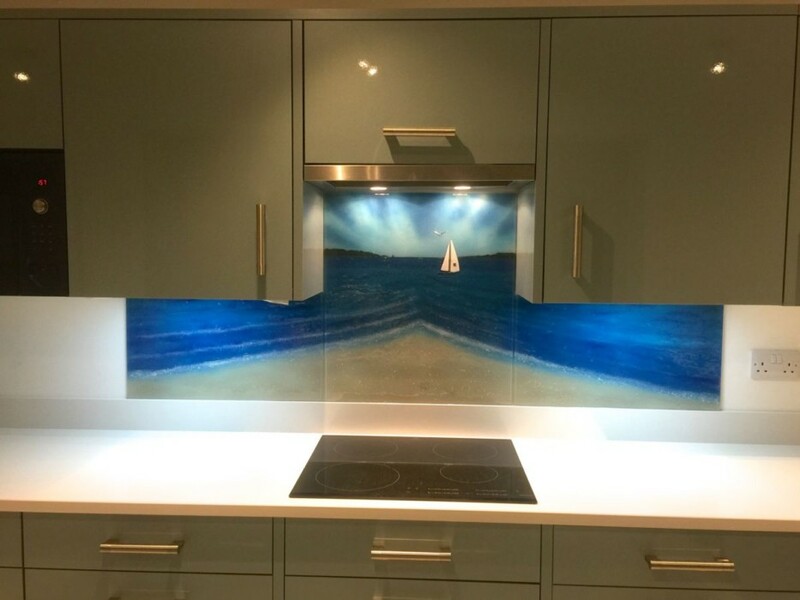 Finally, the details! 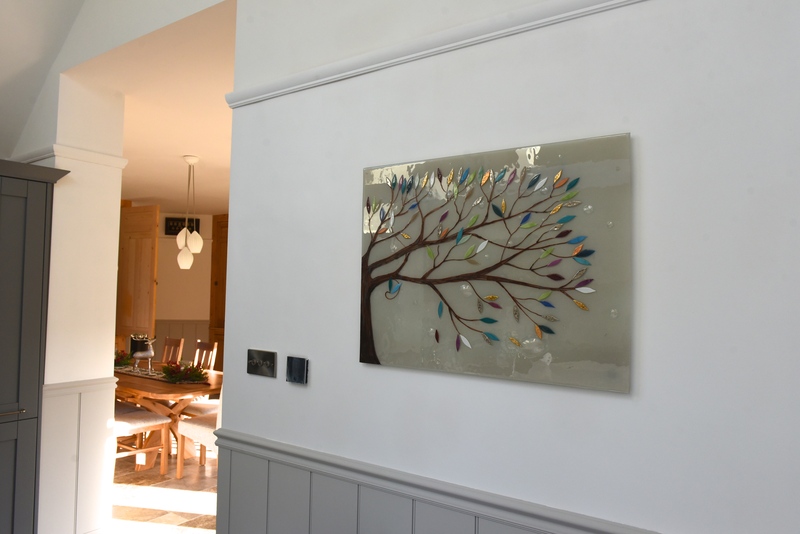 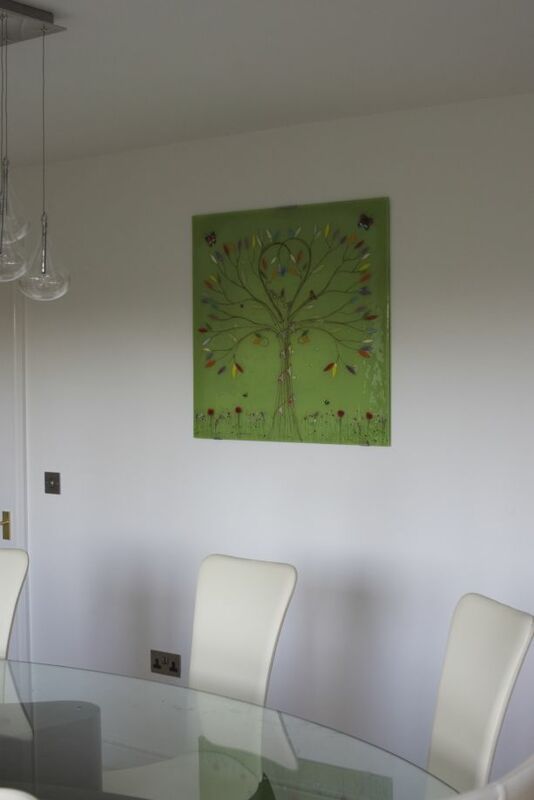 Tree of Life designs always have a world of little details and personalised additions to make a piece truly unique and special for the customer. 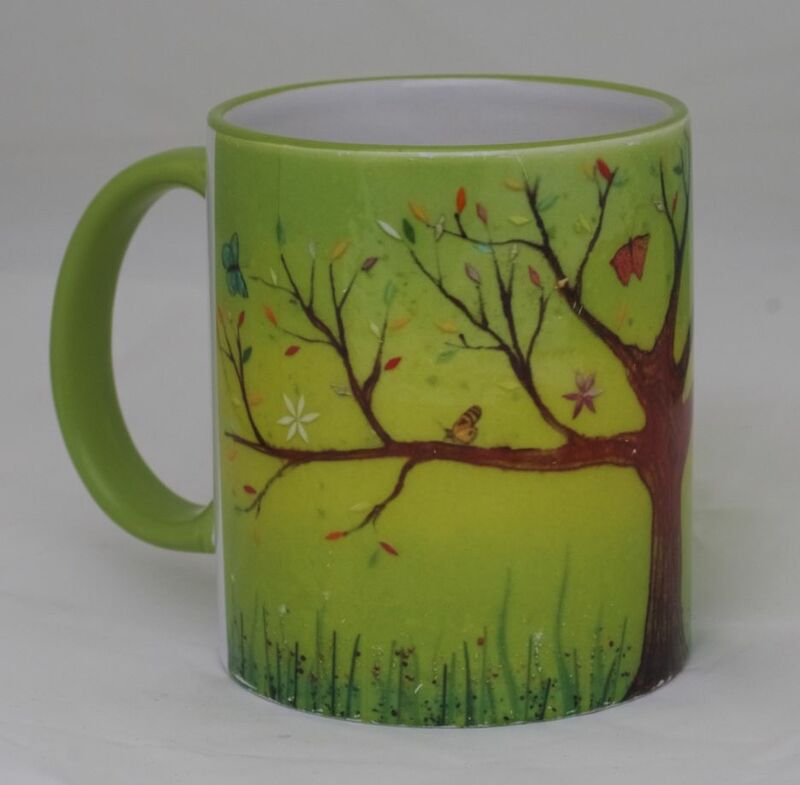 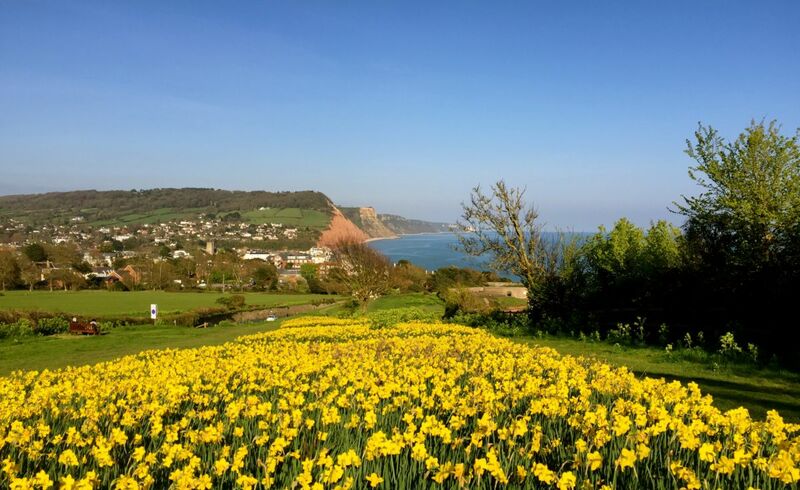 In this case, you should be able to spot a pair of birds perched on the branches of the tree, along with some fluttering butterflies and a cluster of flowers at the base of the trunk. 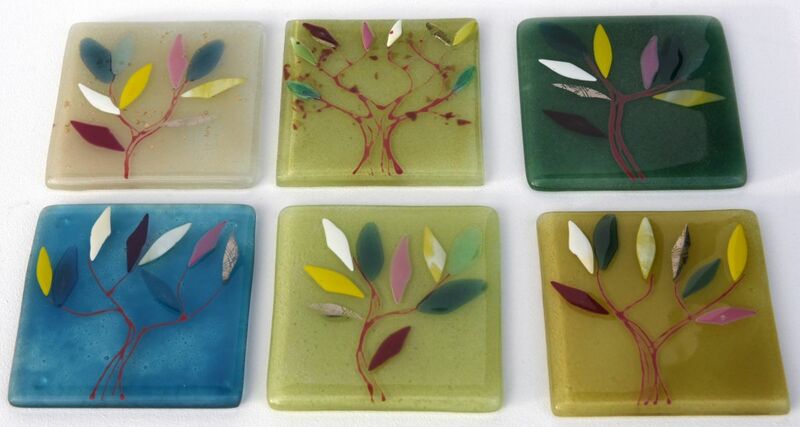 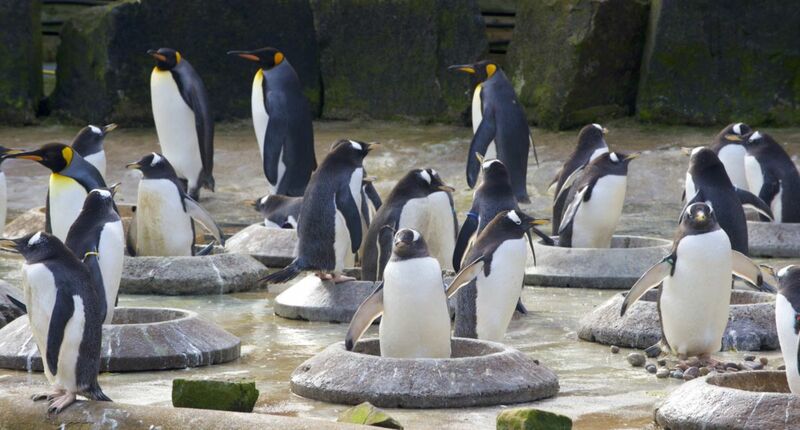 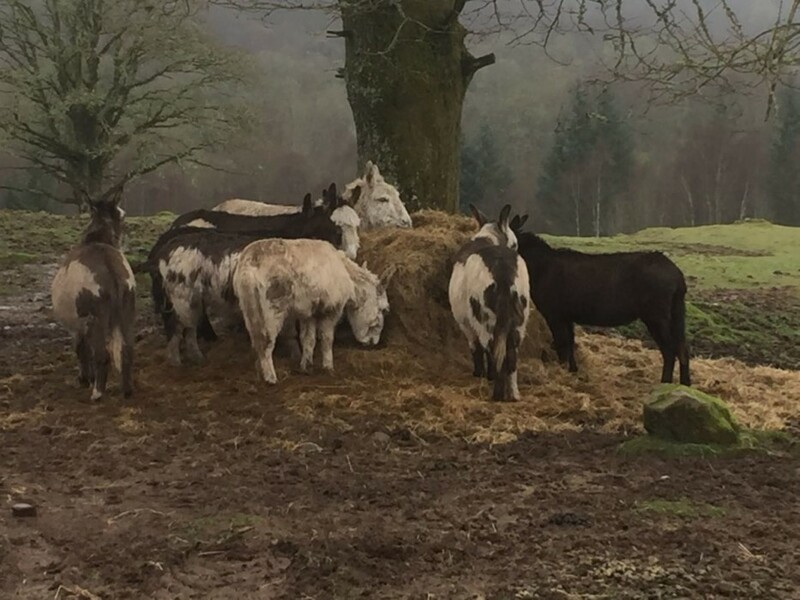 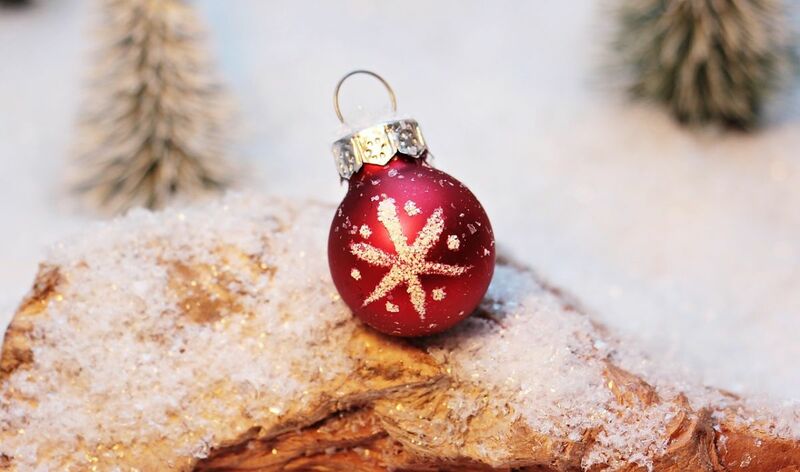 Are those the sort of things you’d include in your own Tree of Life? 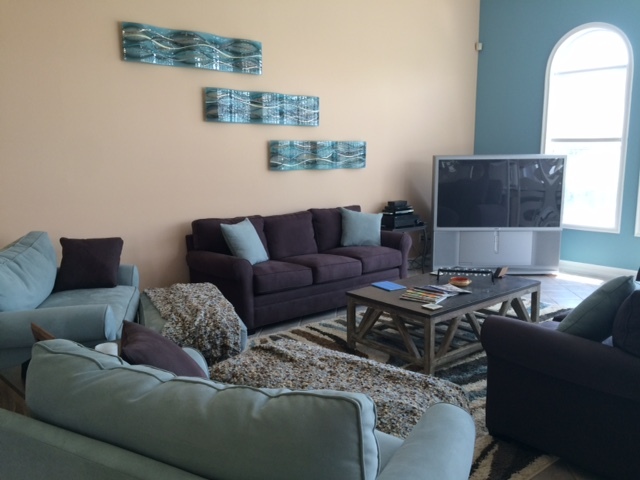 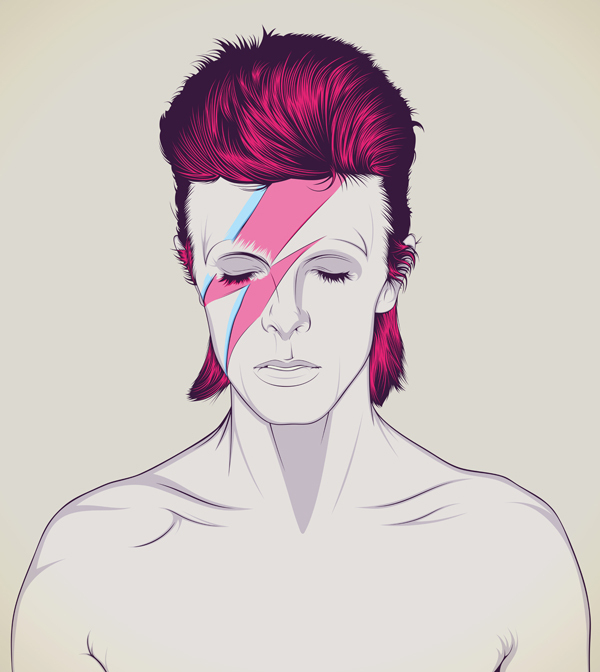 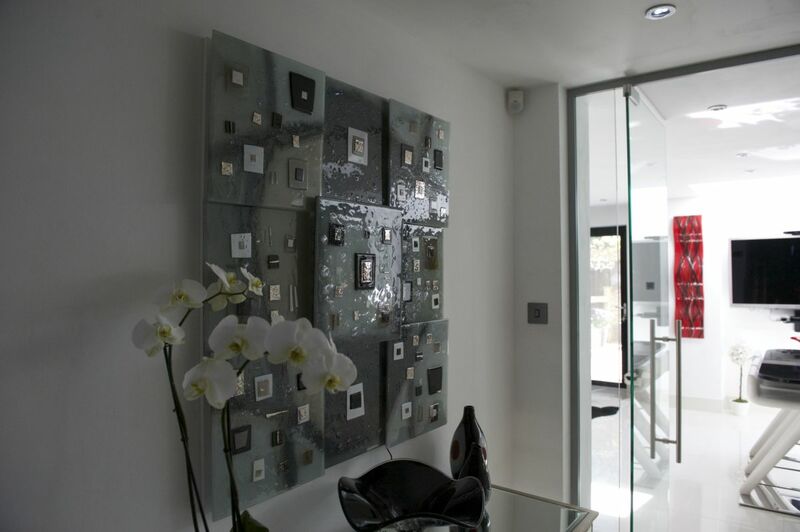 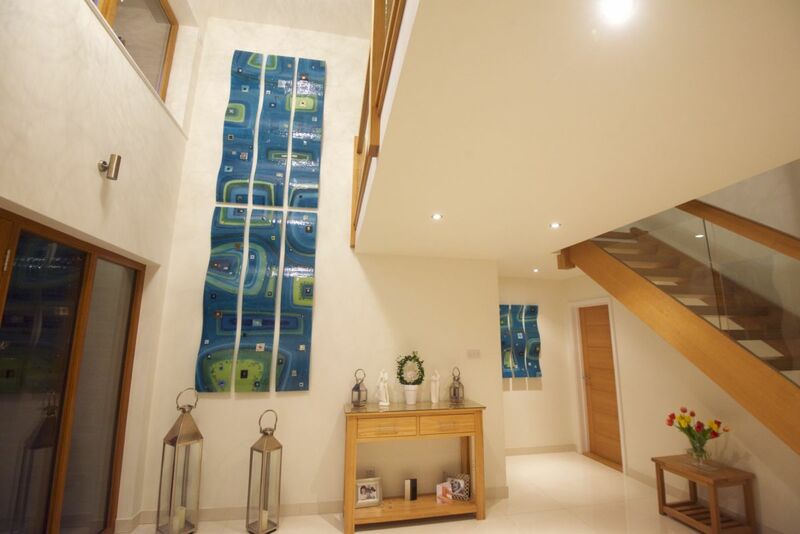 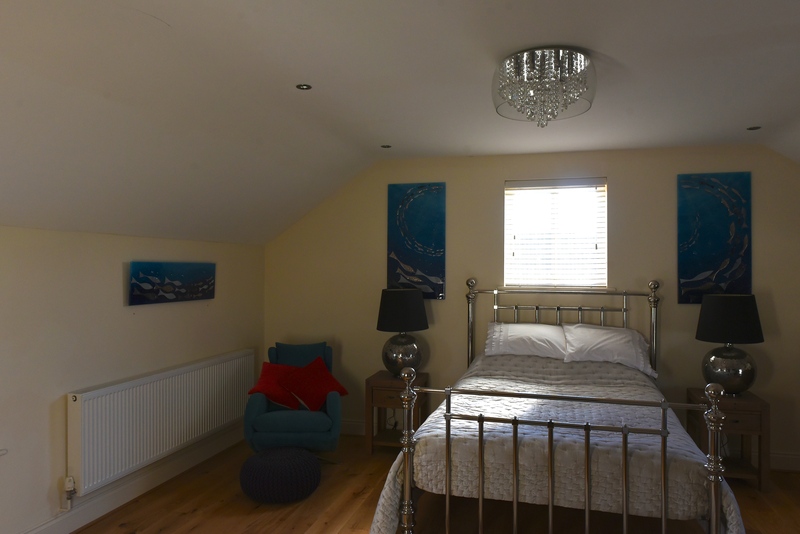 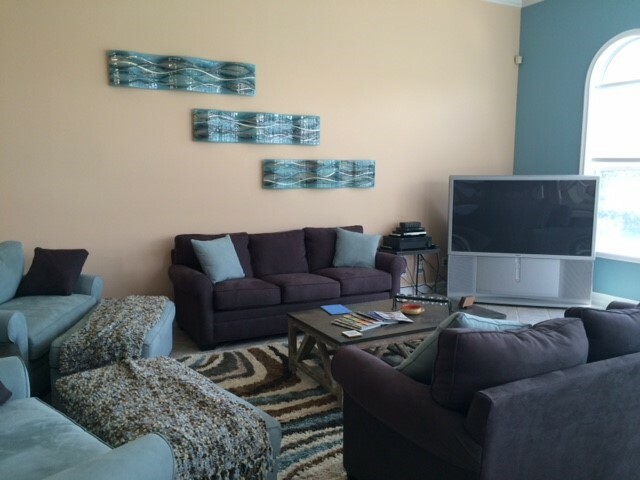 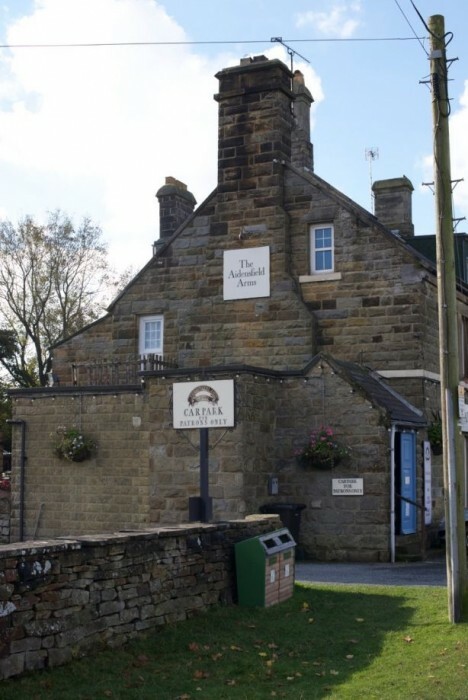 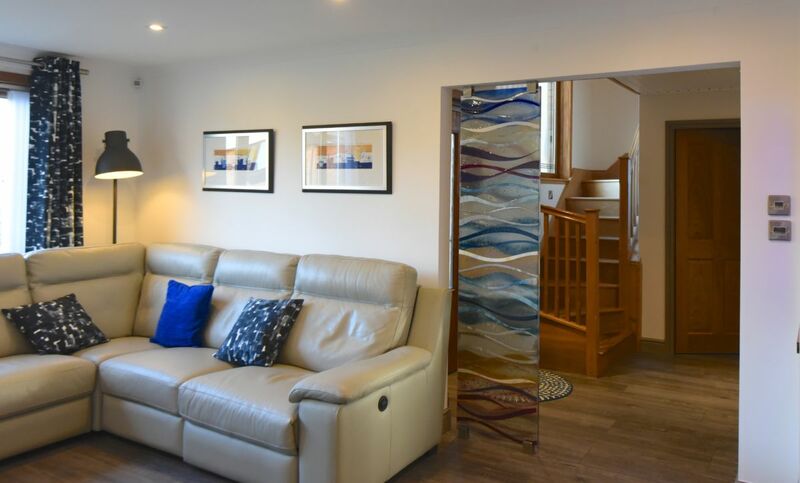 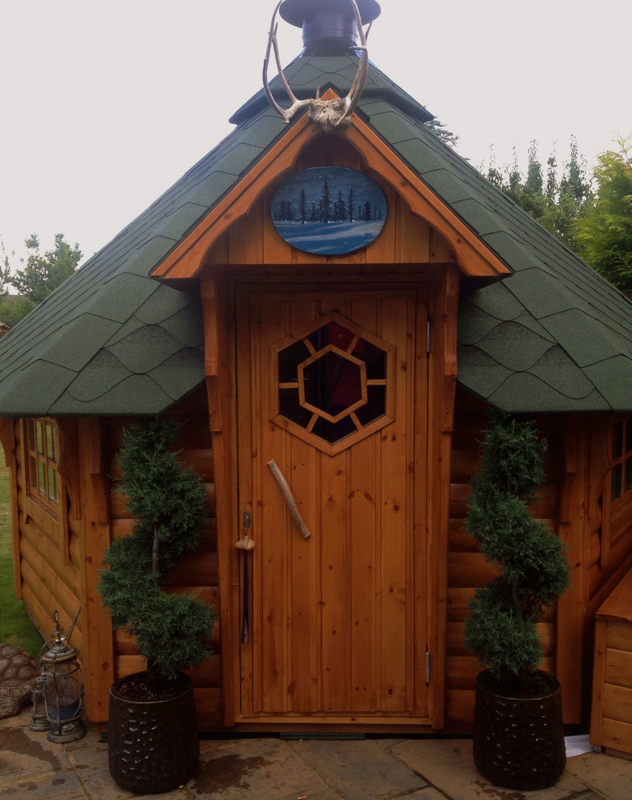 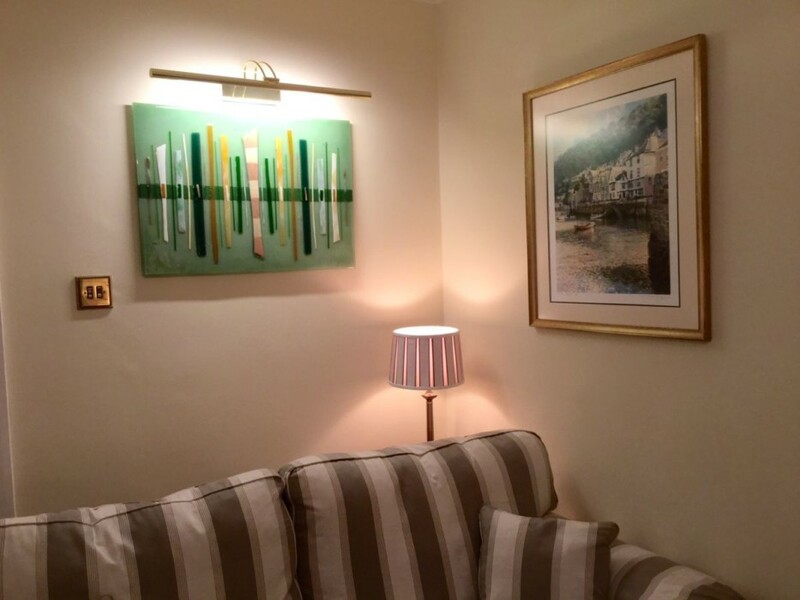 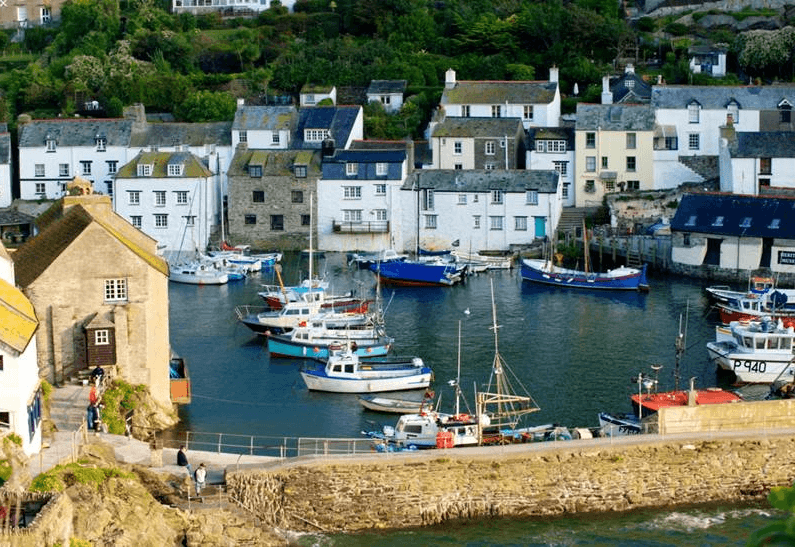 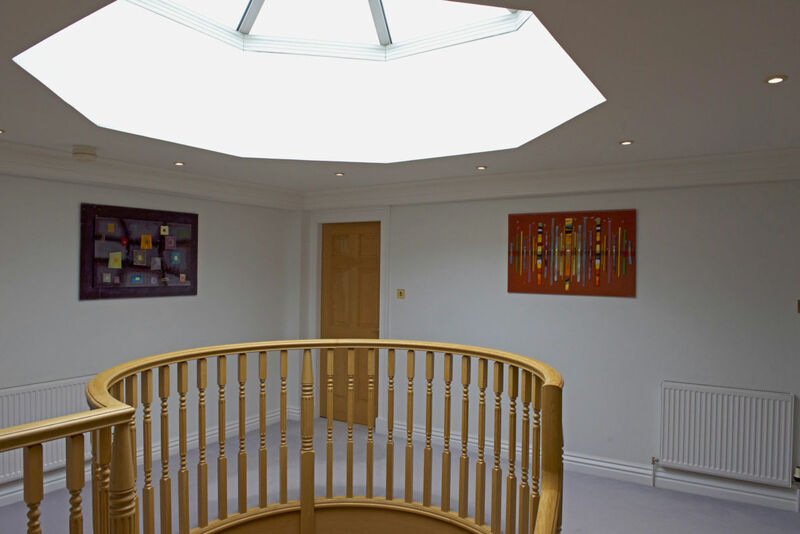 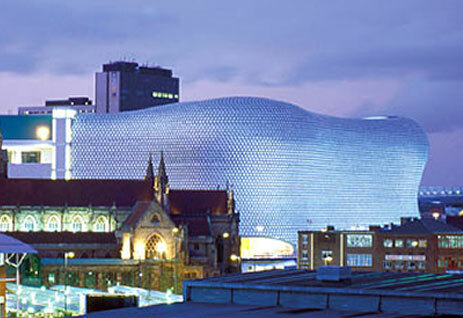 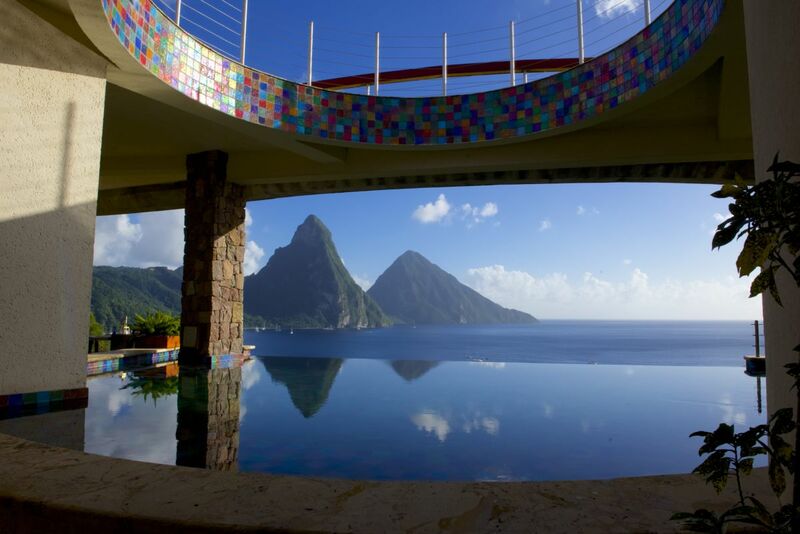 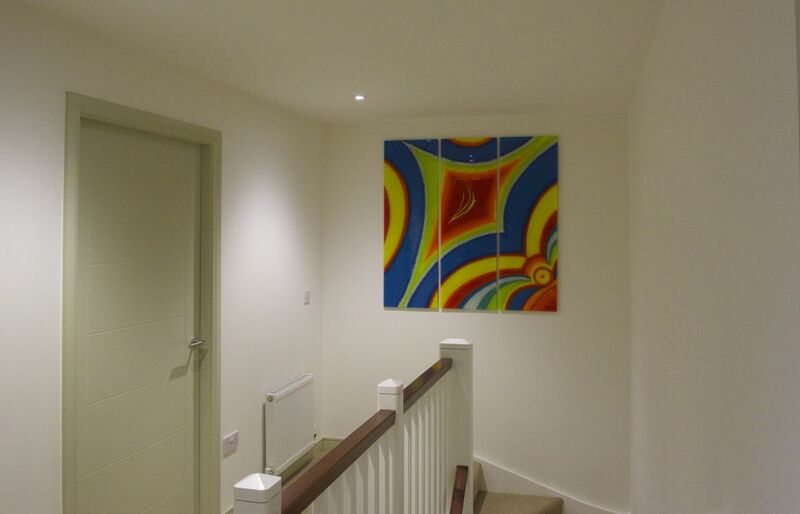 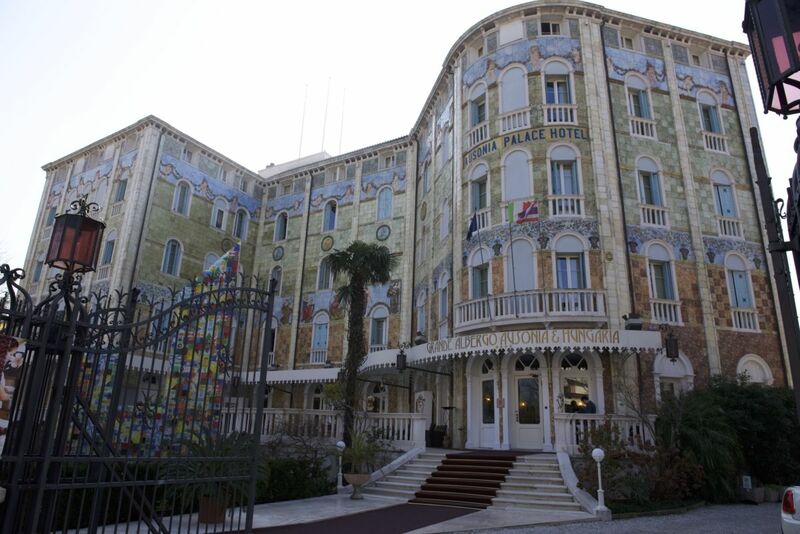 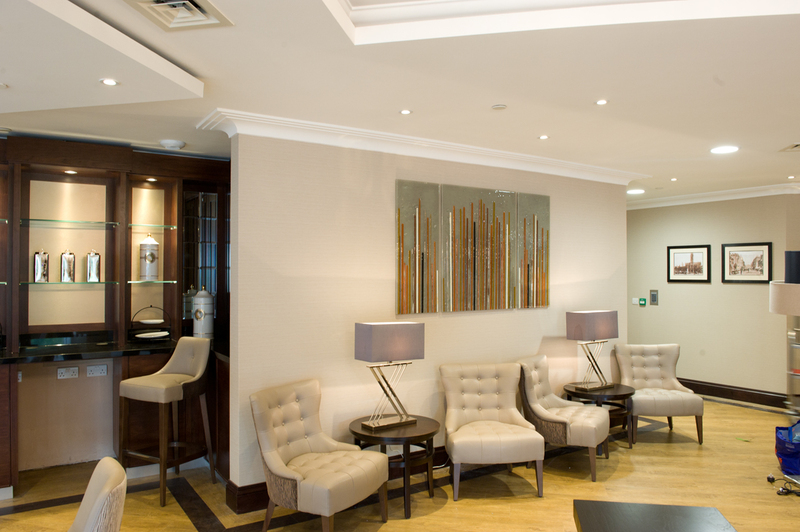 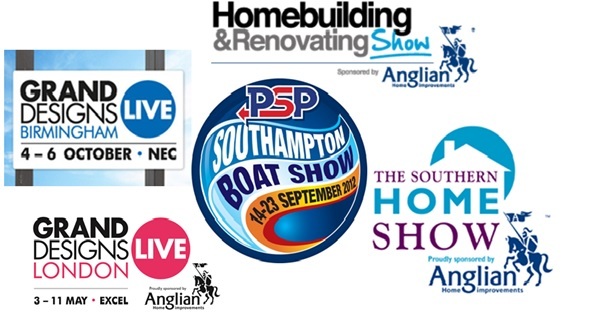 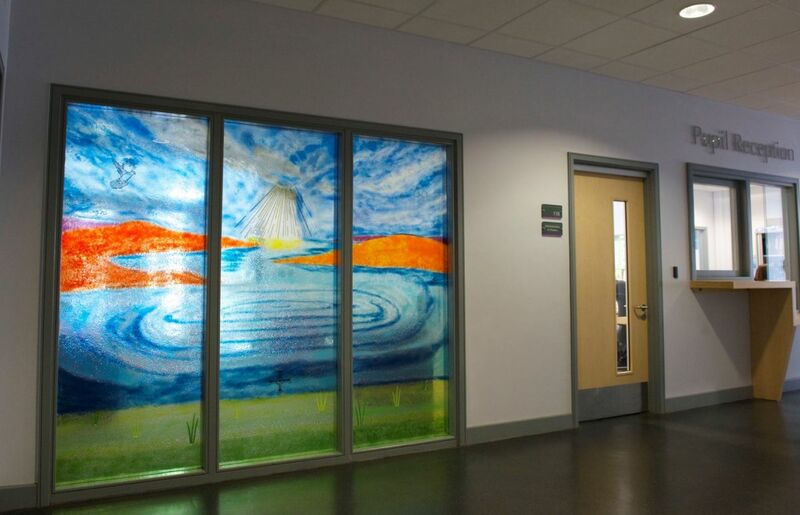 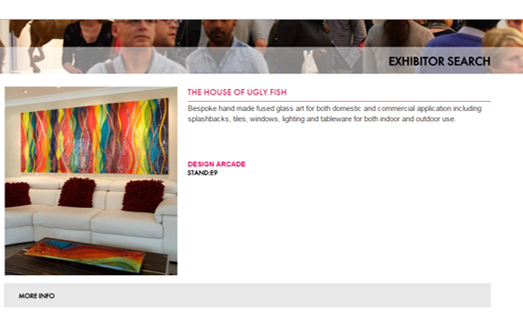 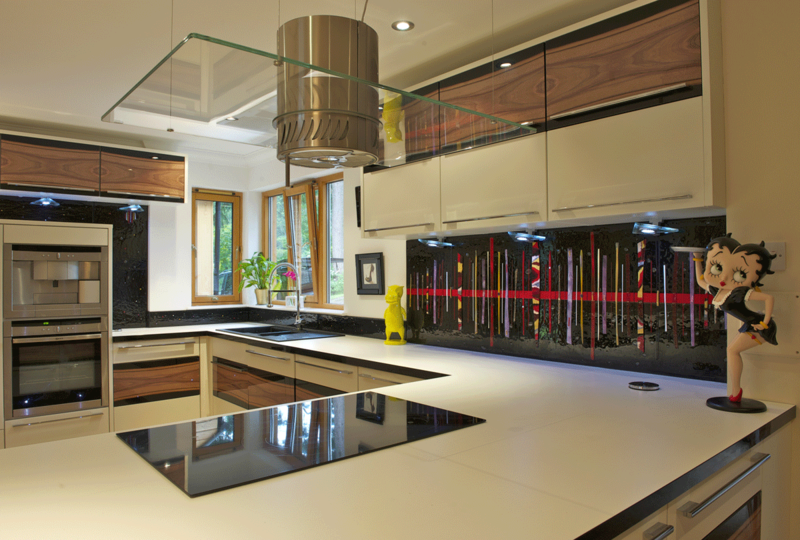 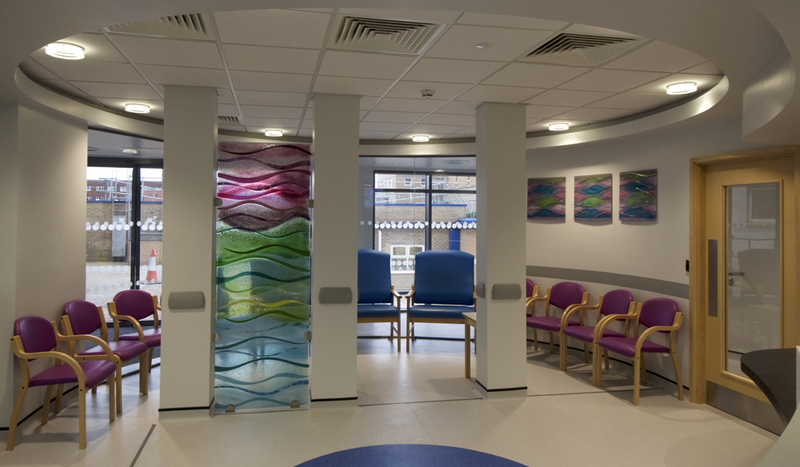 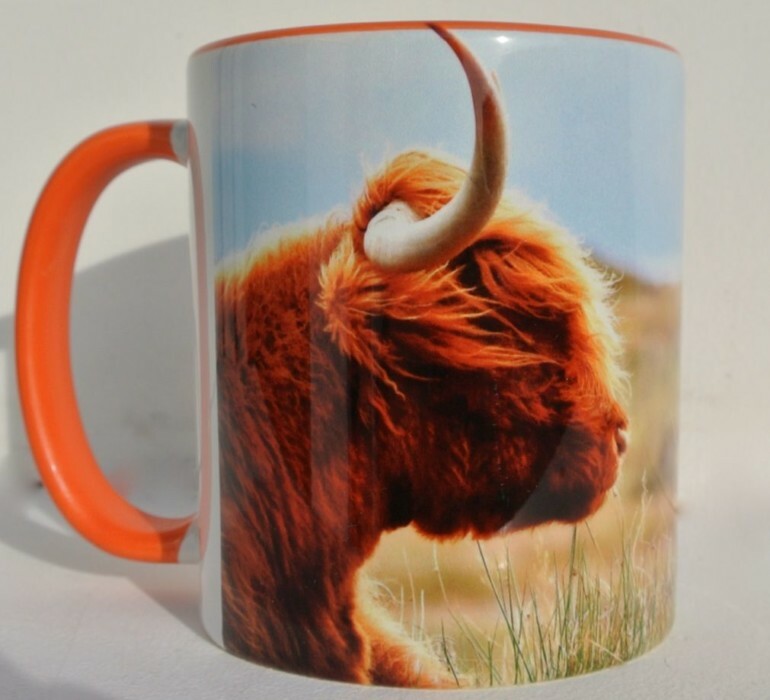 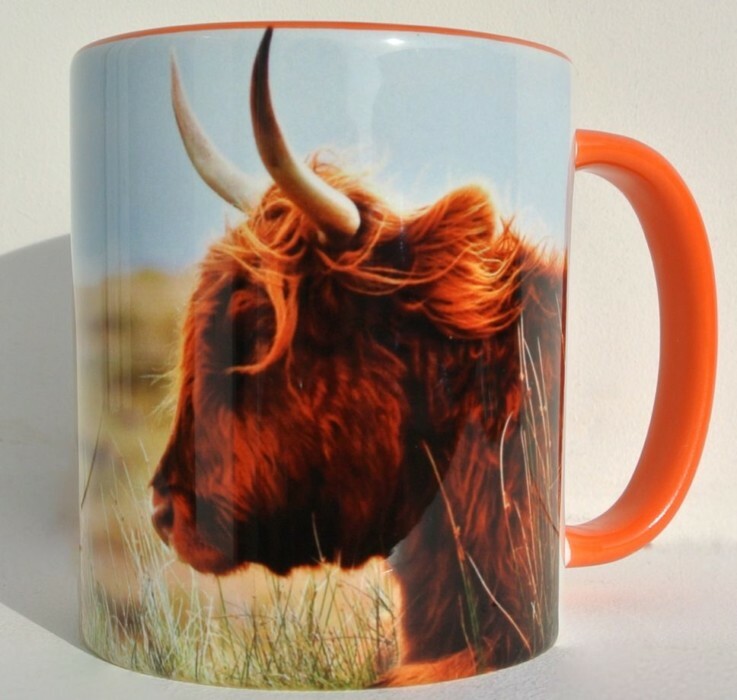 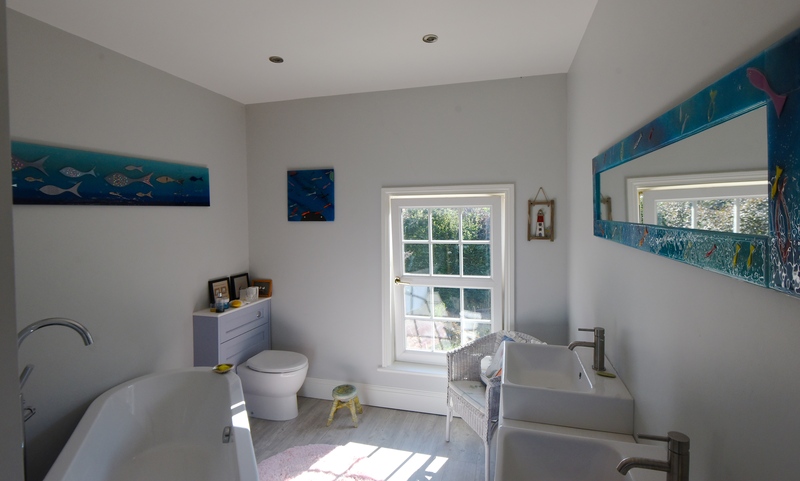 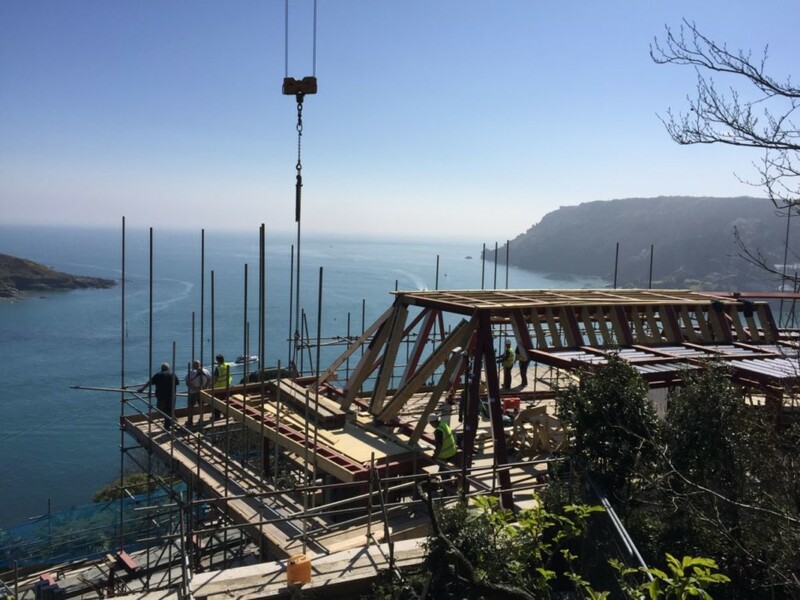 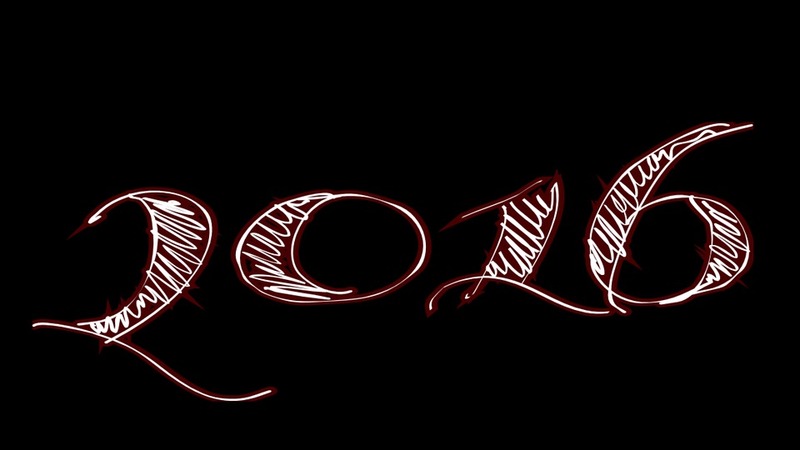 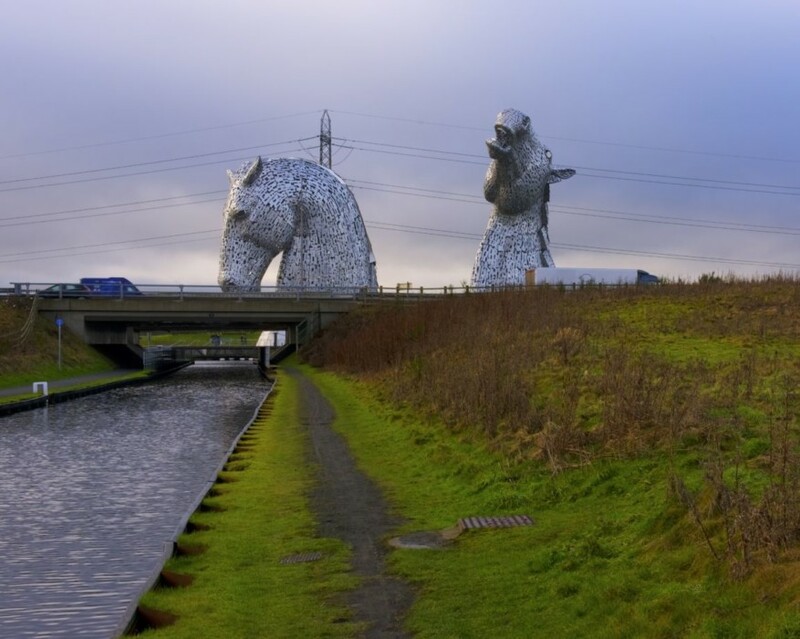 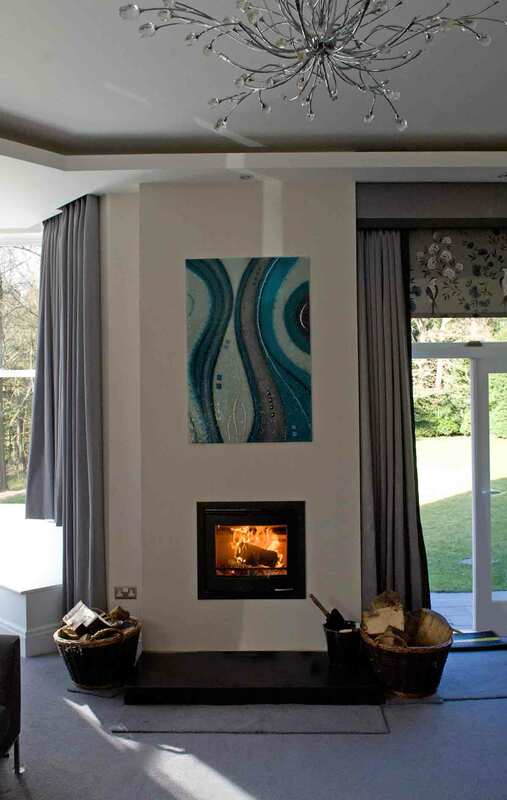 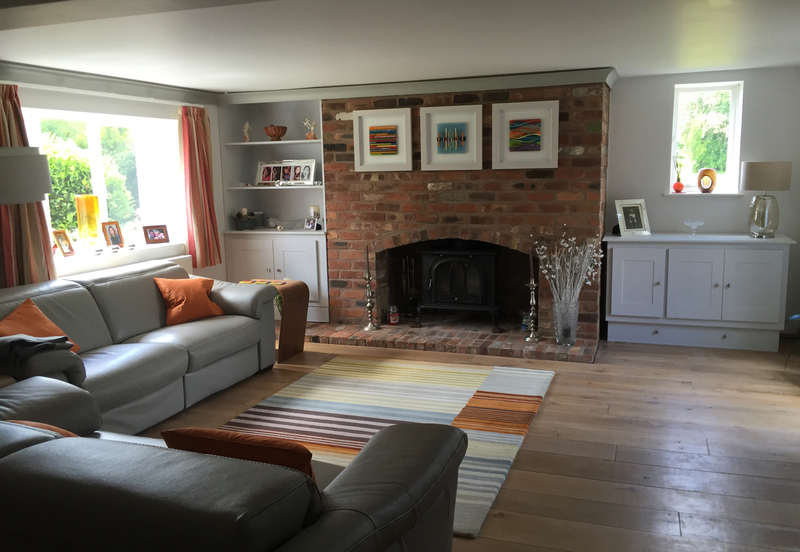 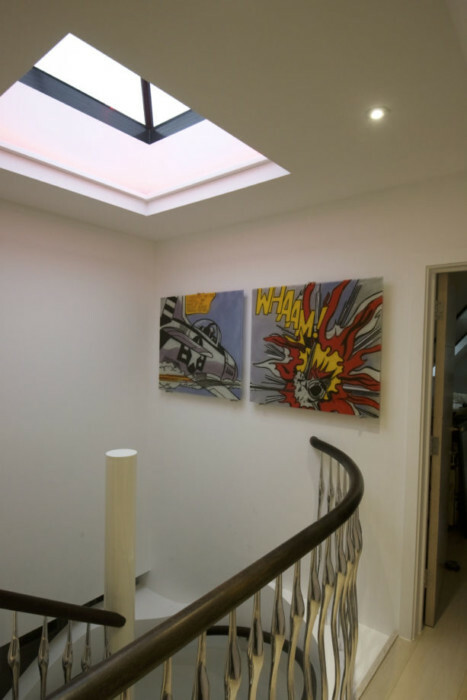 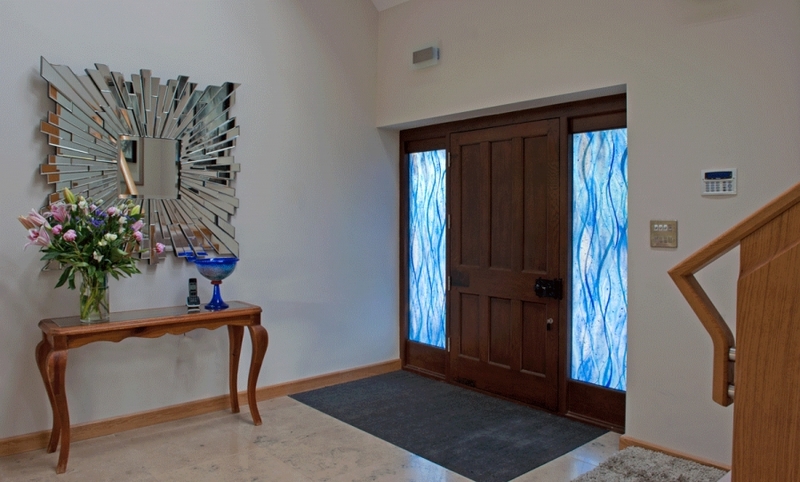 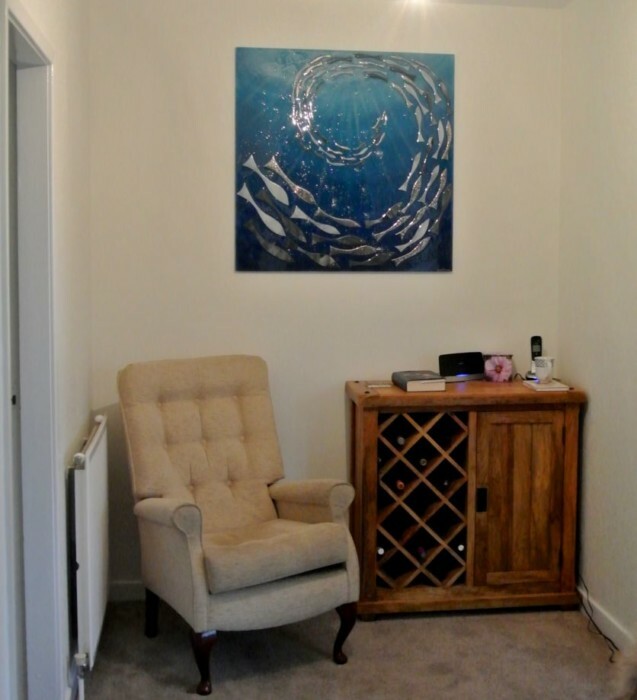 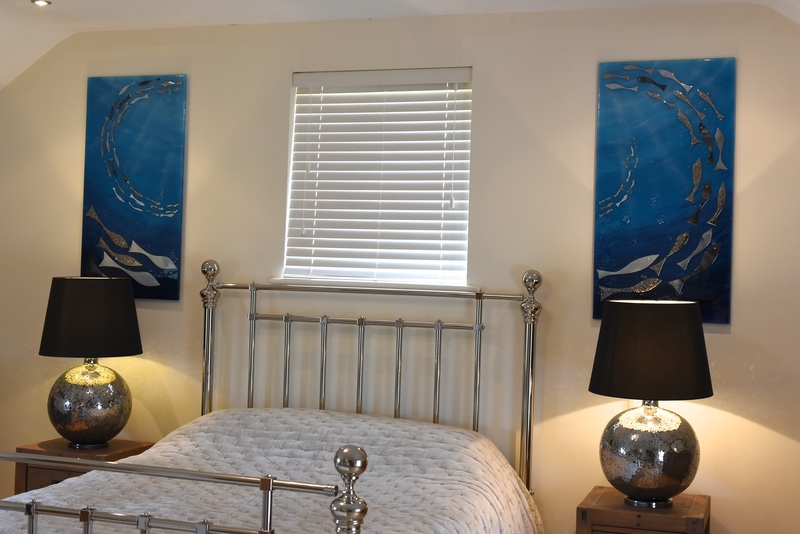 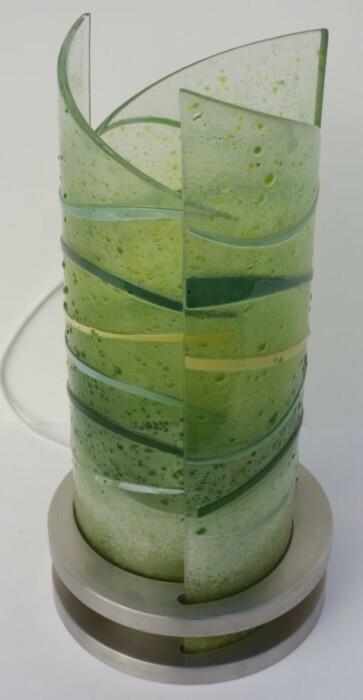 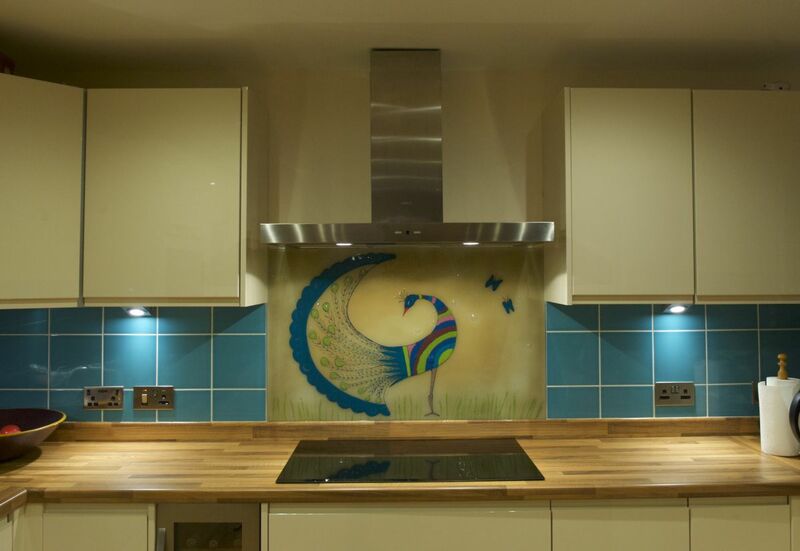 Why not let us know what your ideal design looks like? 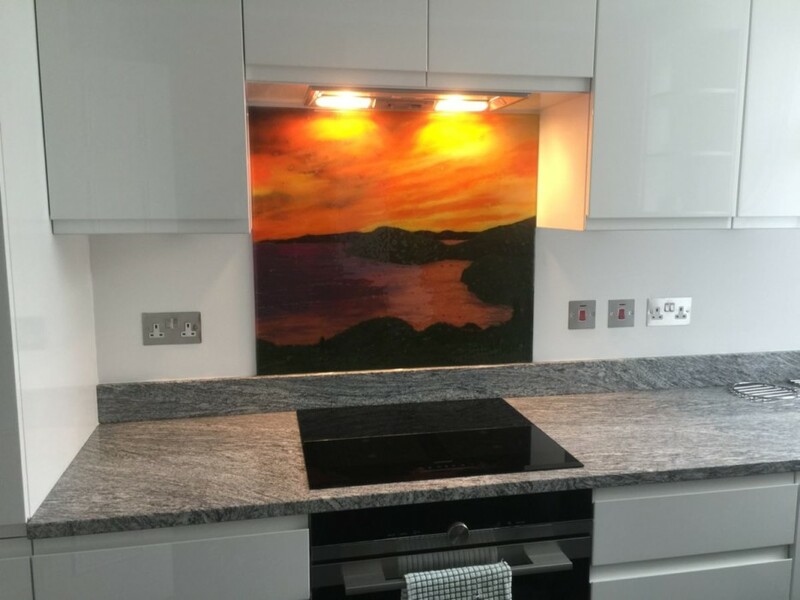 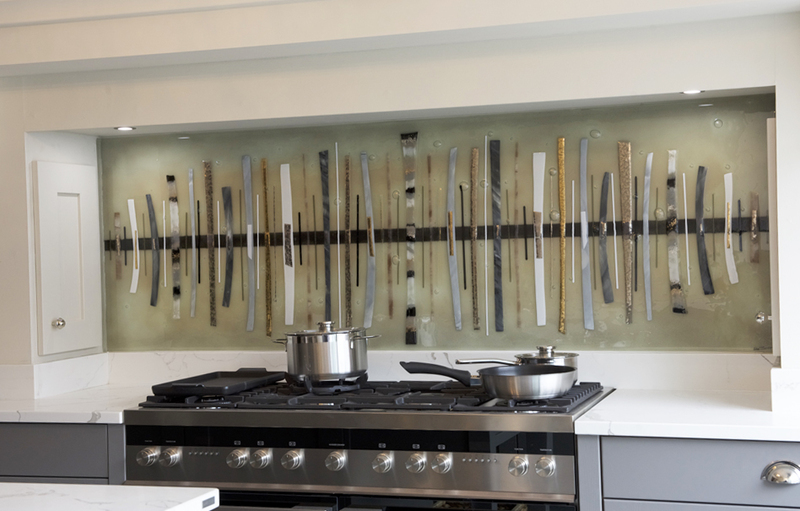 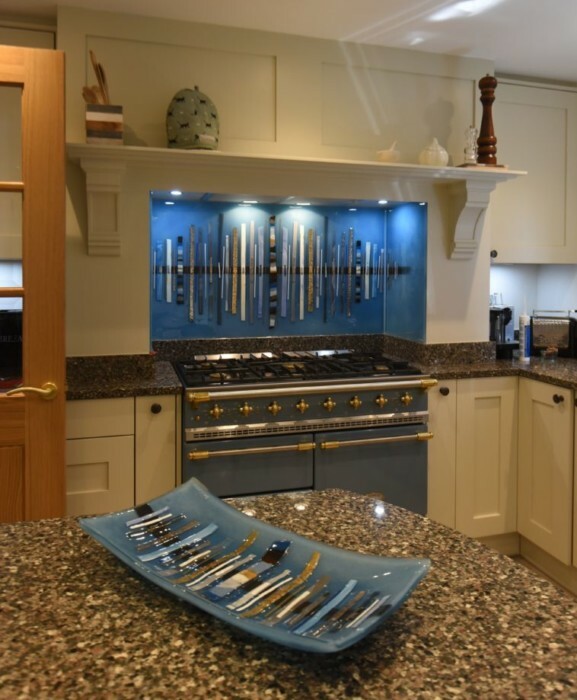 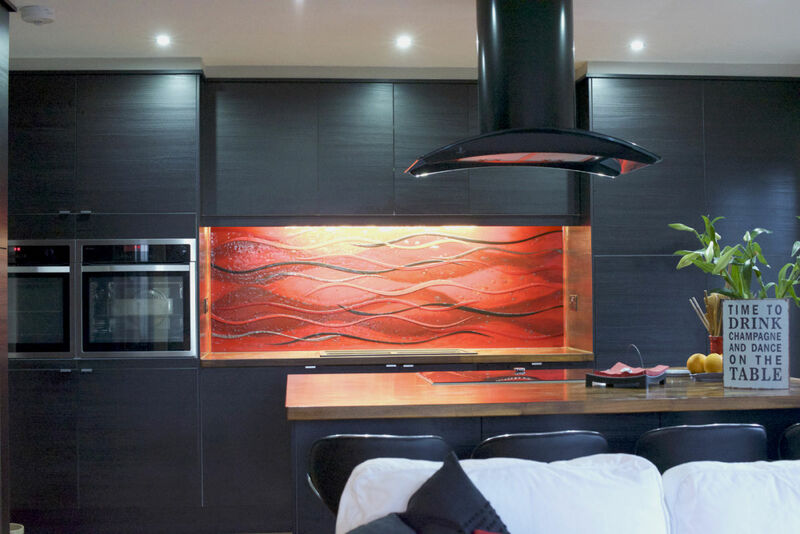 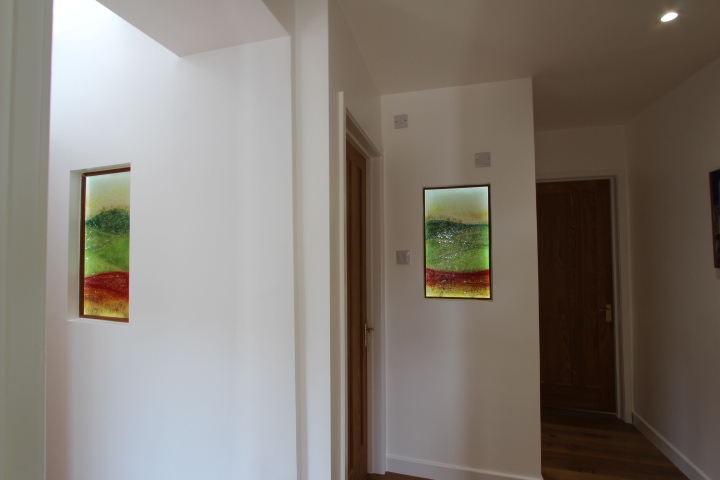 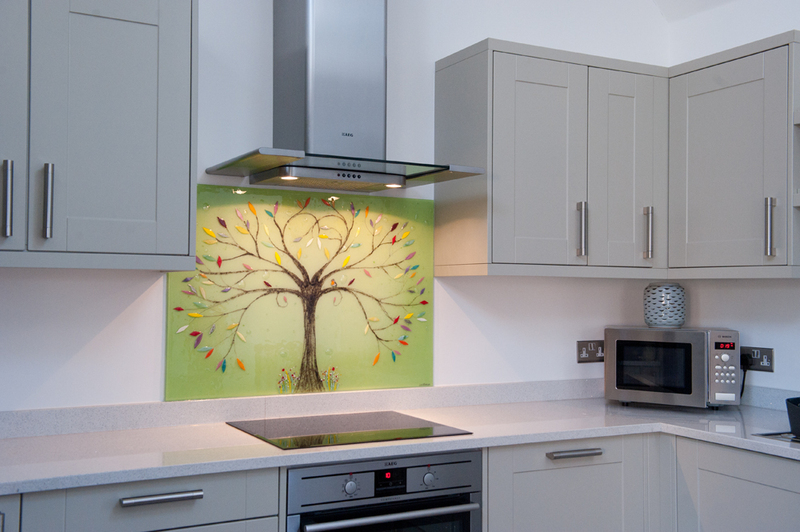 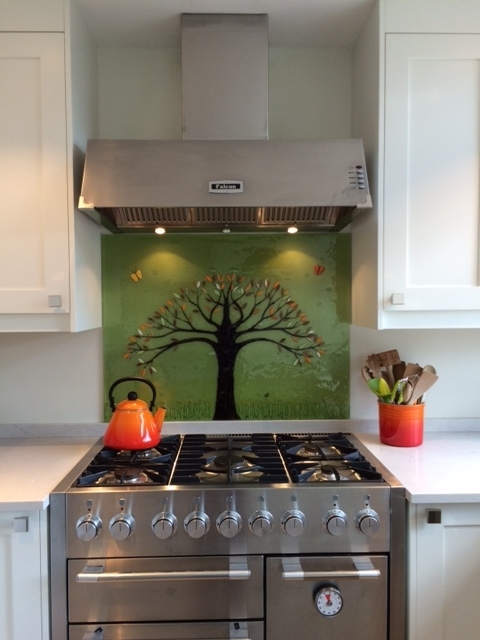 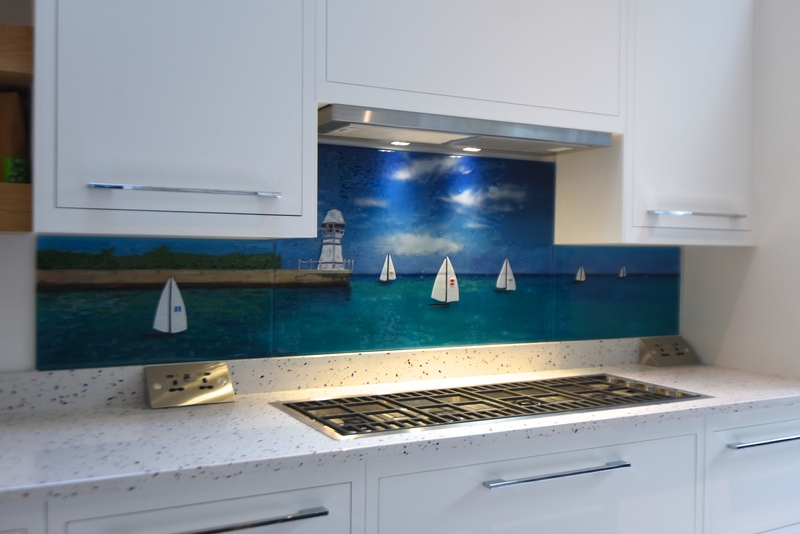 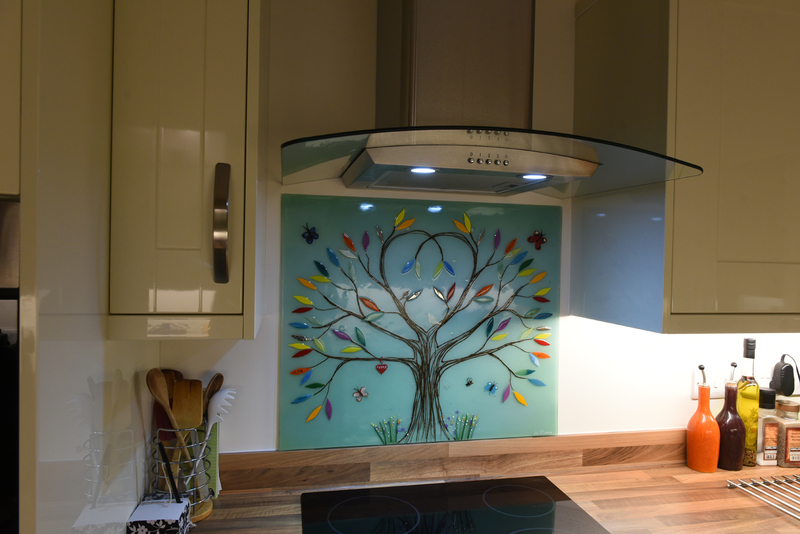 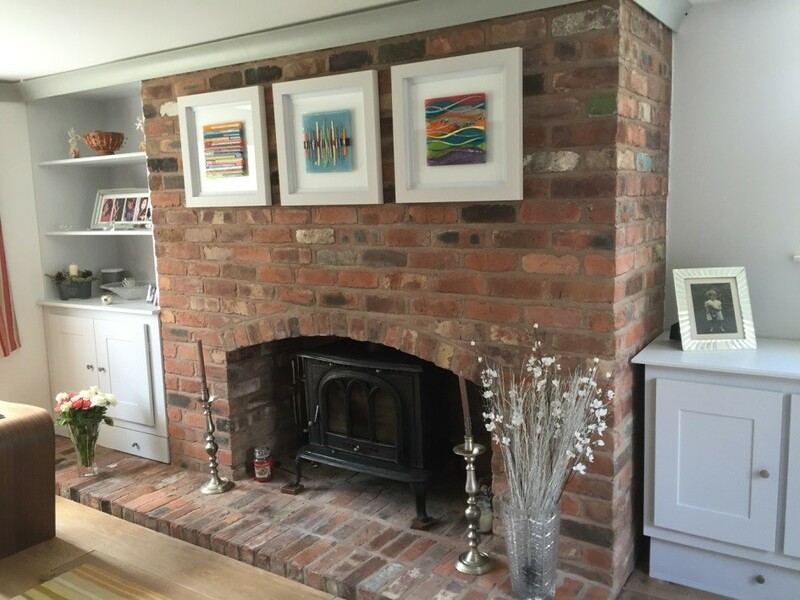 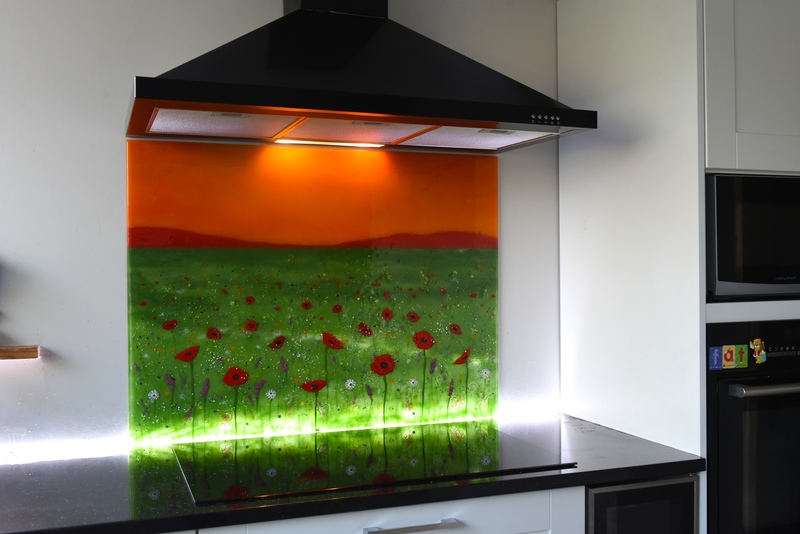 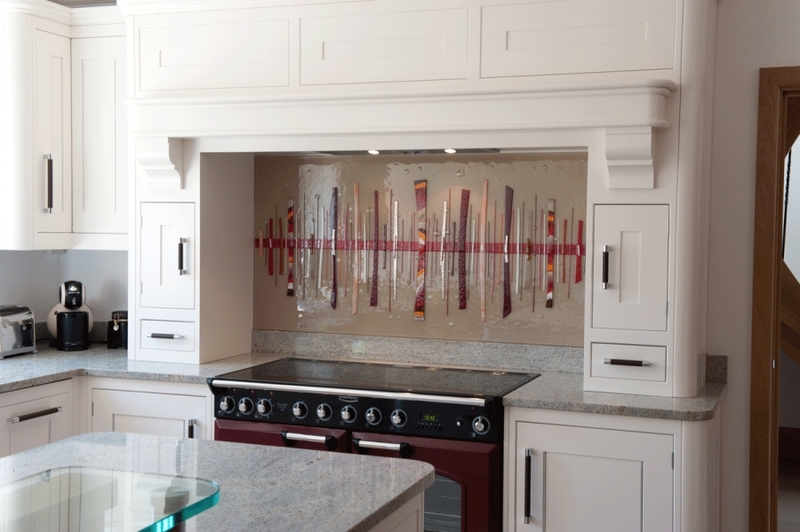 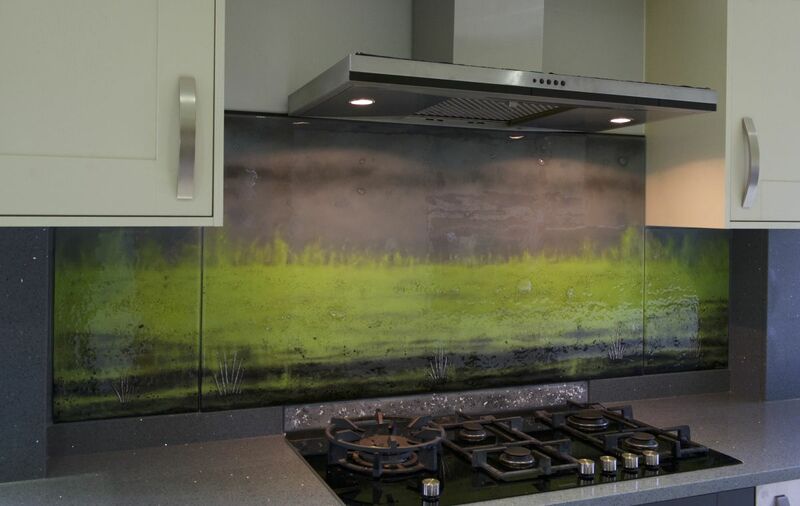 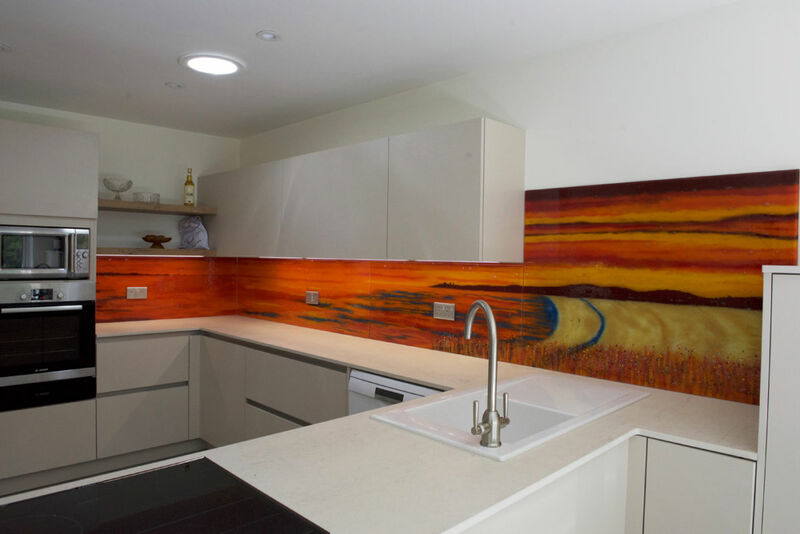 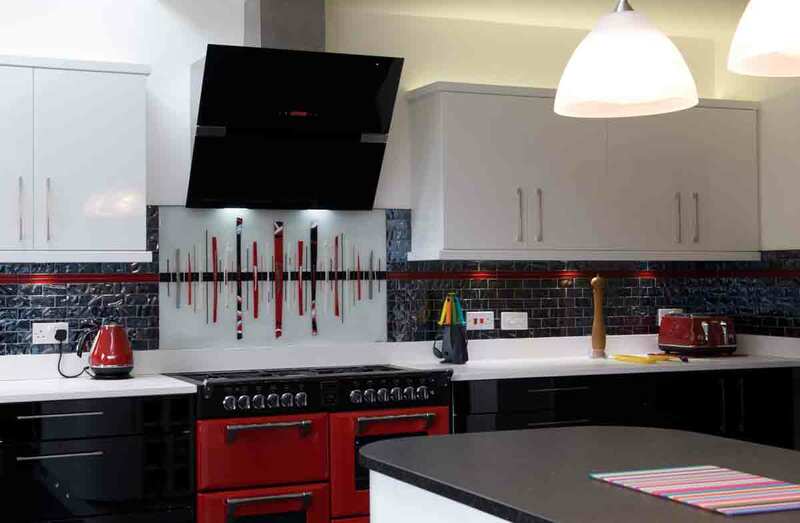 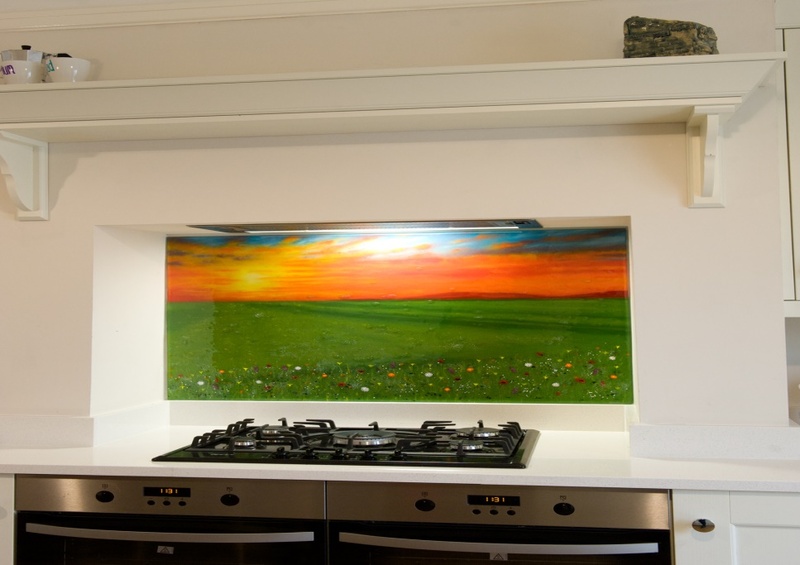 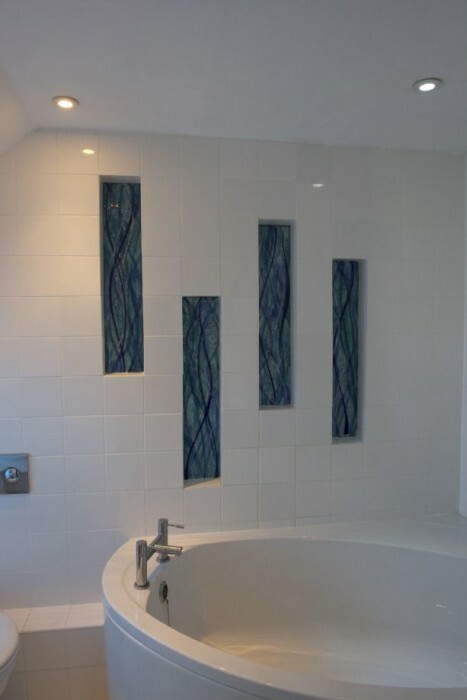 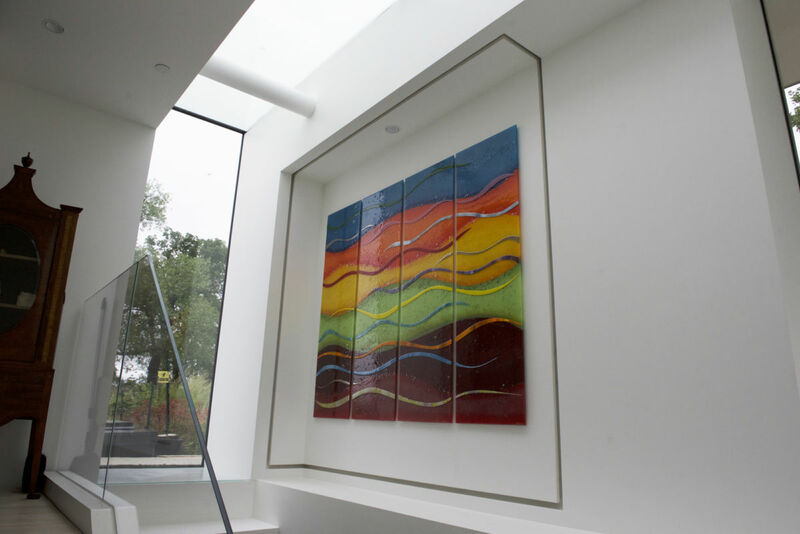 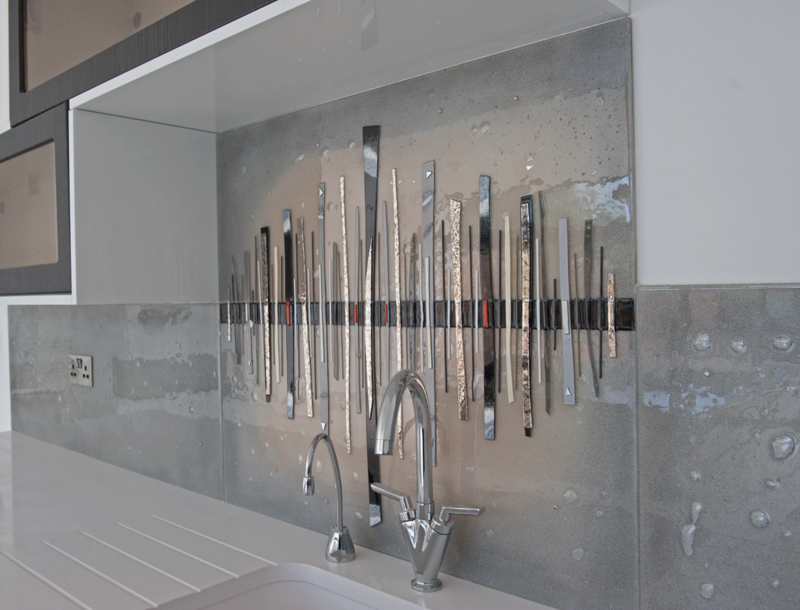 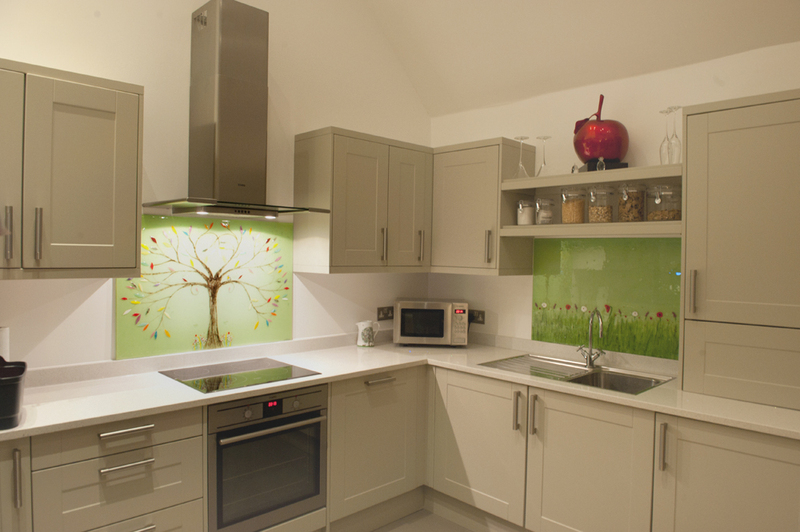 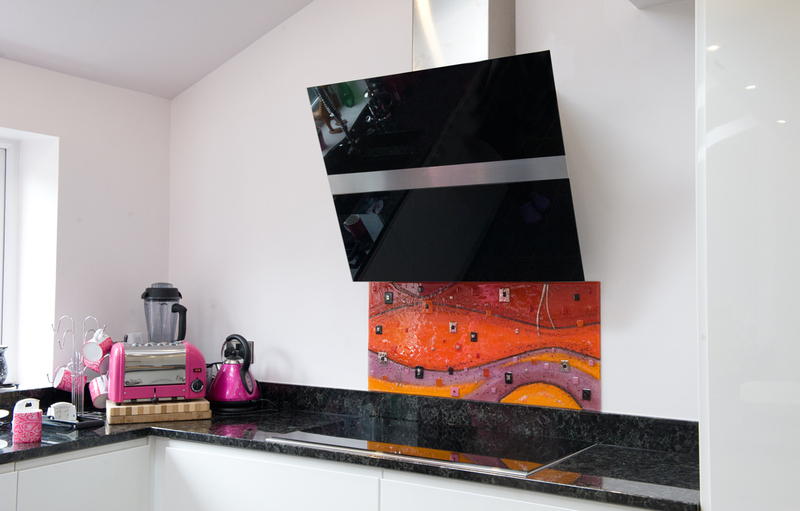 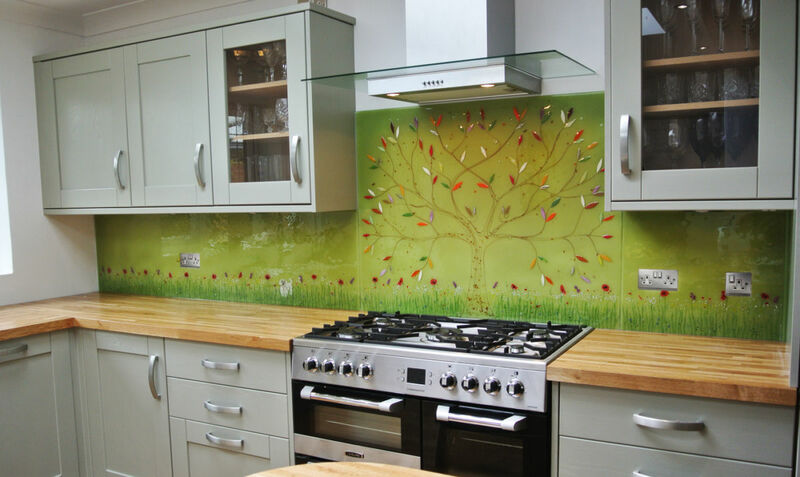 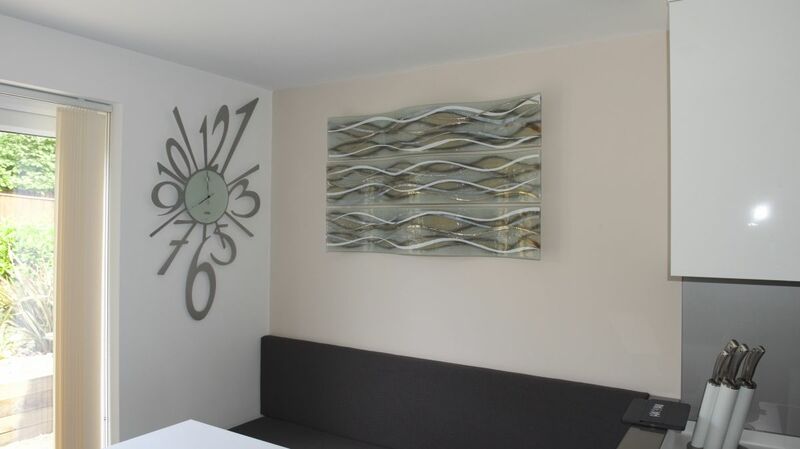 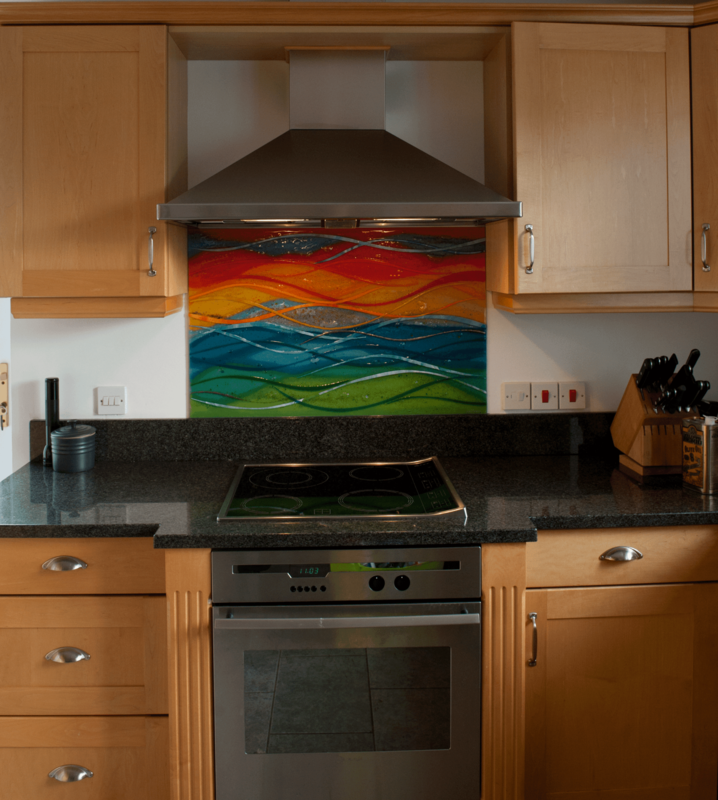 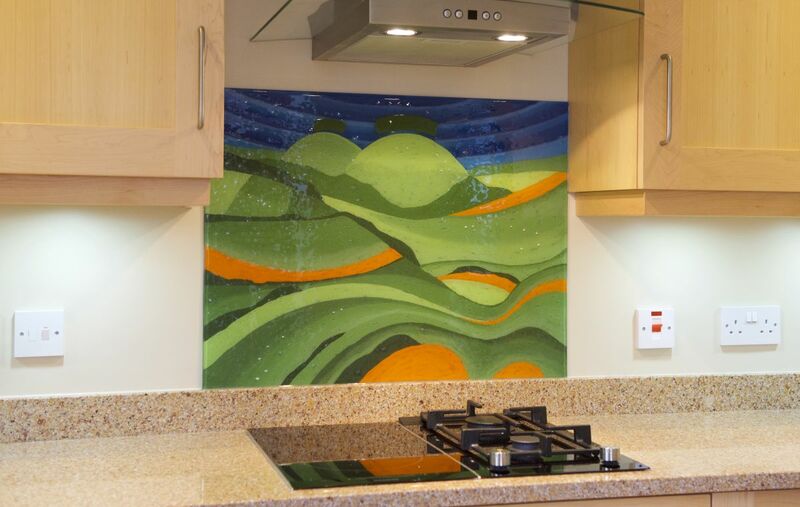 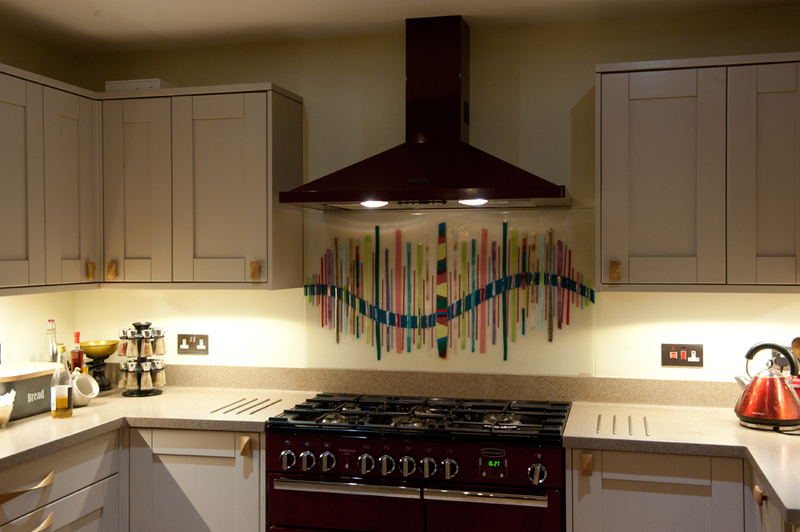 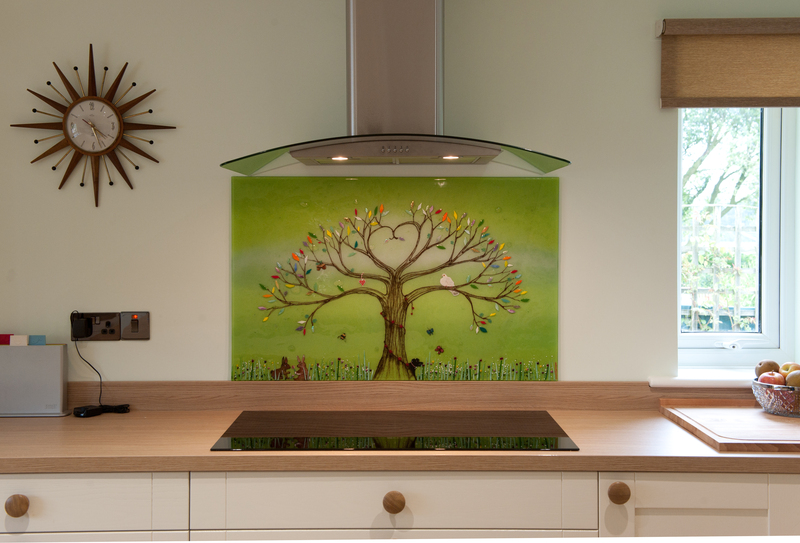 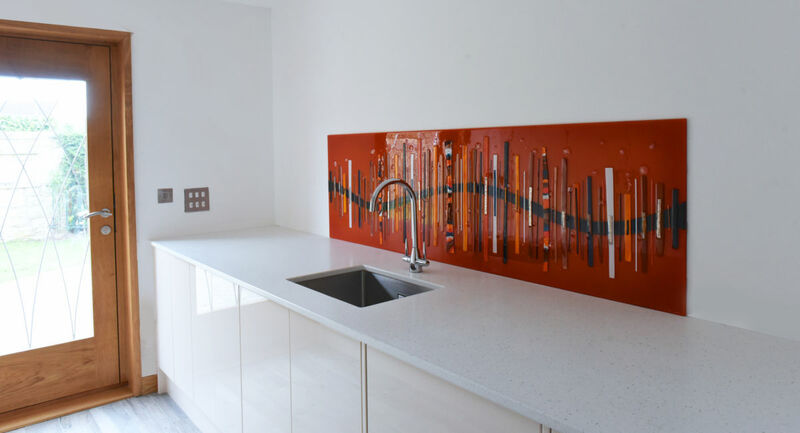 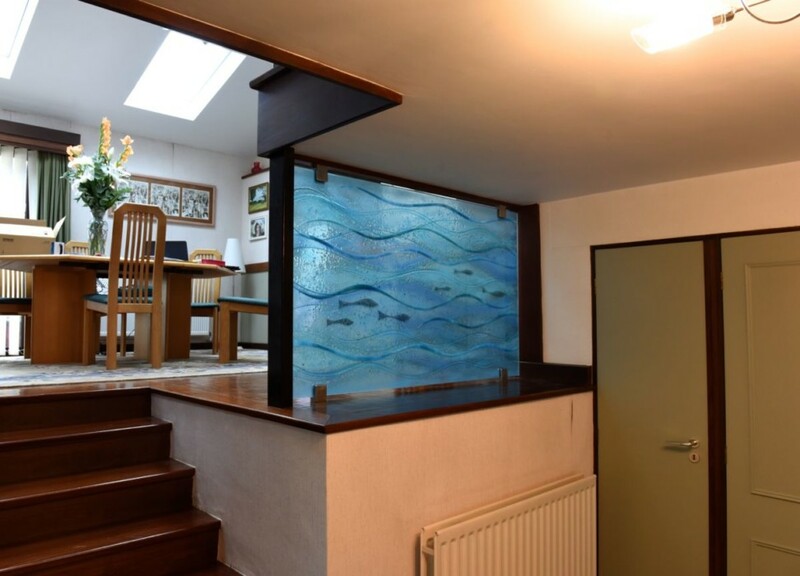 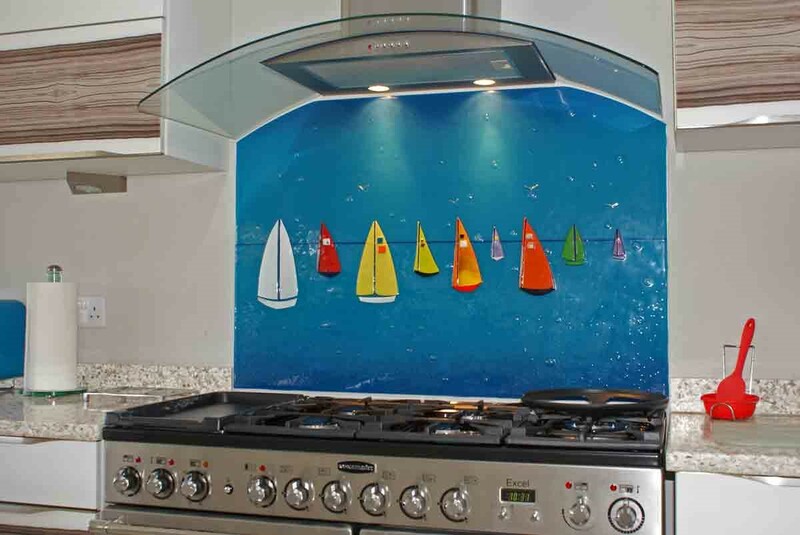 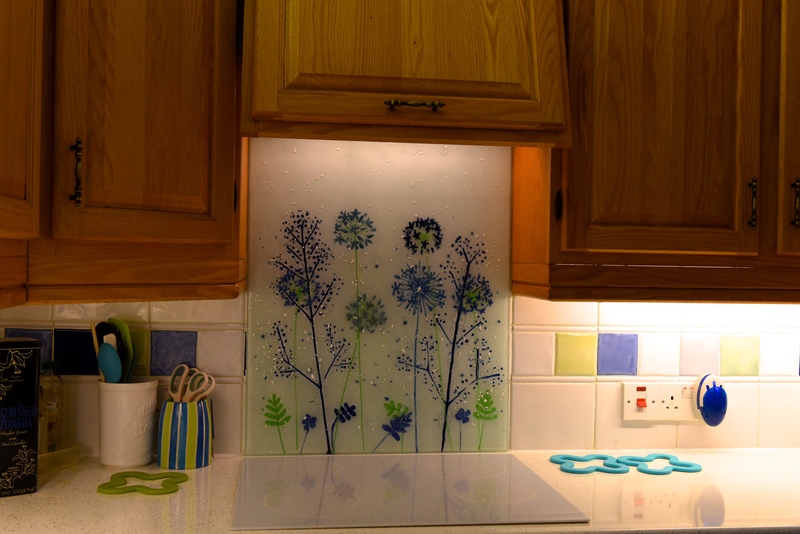 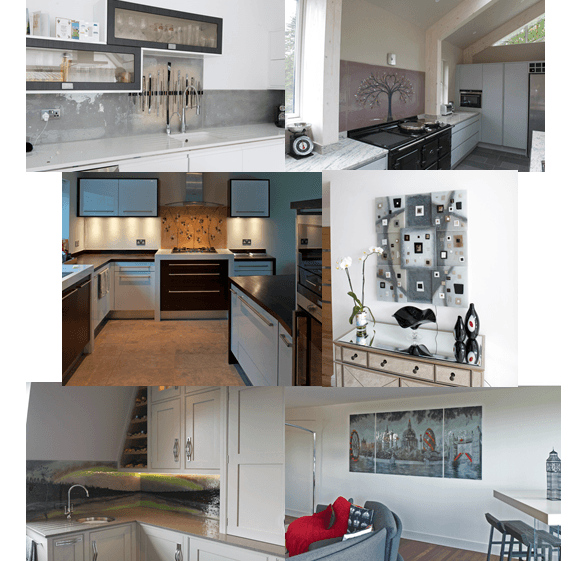 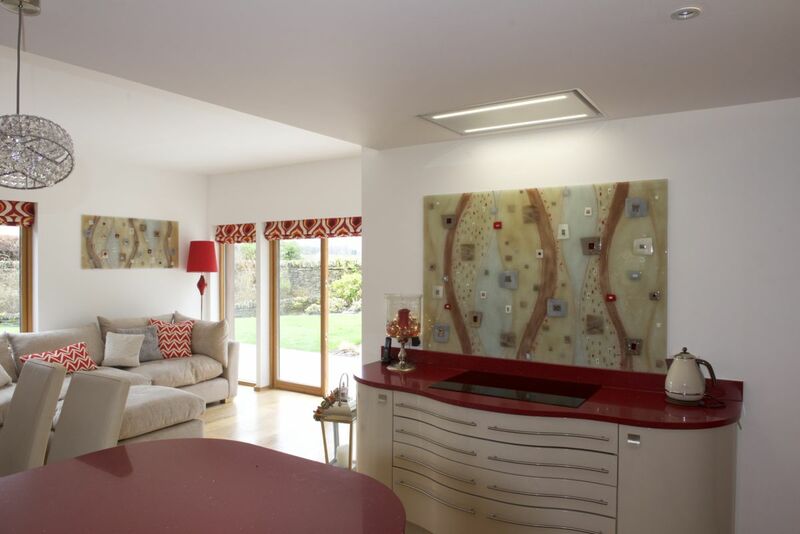 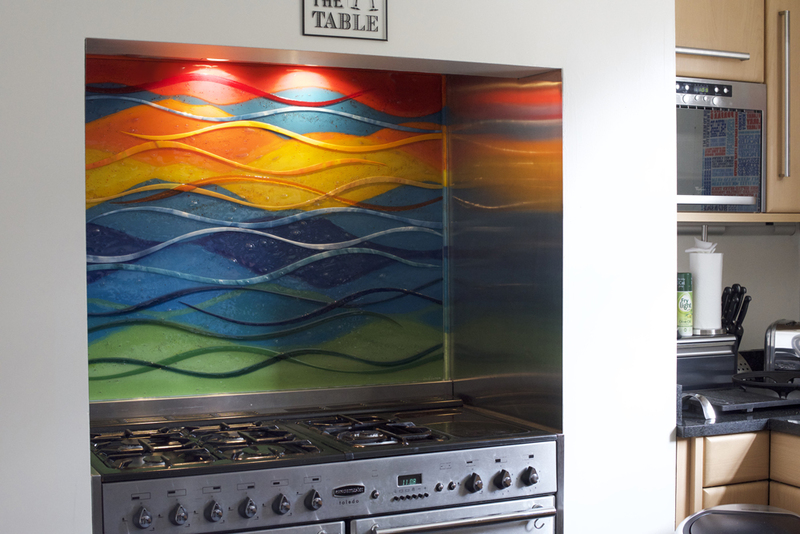 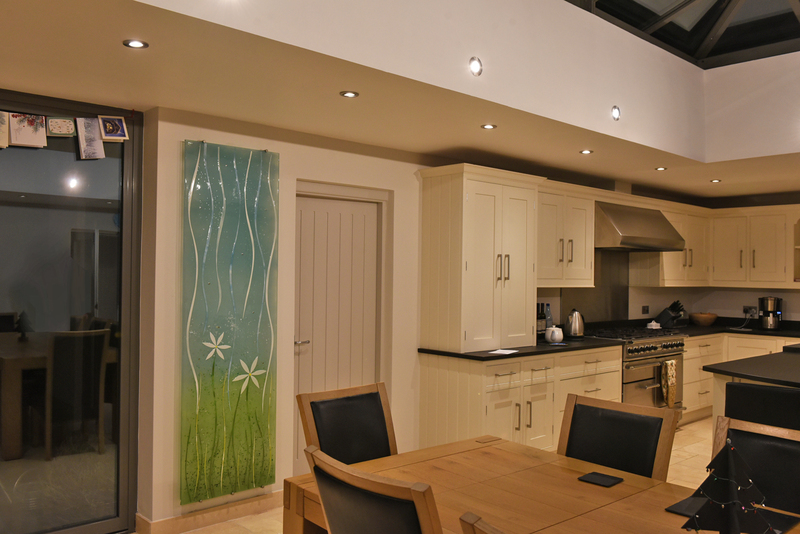 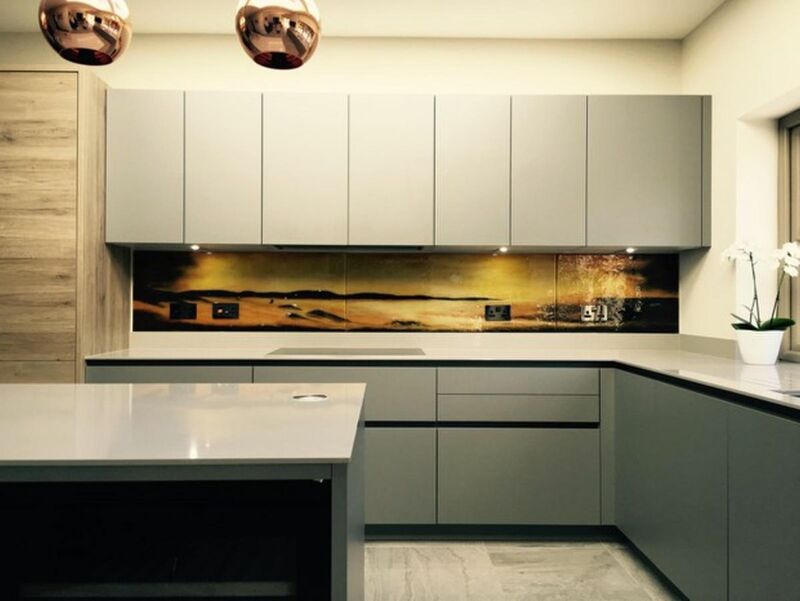 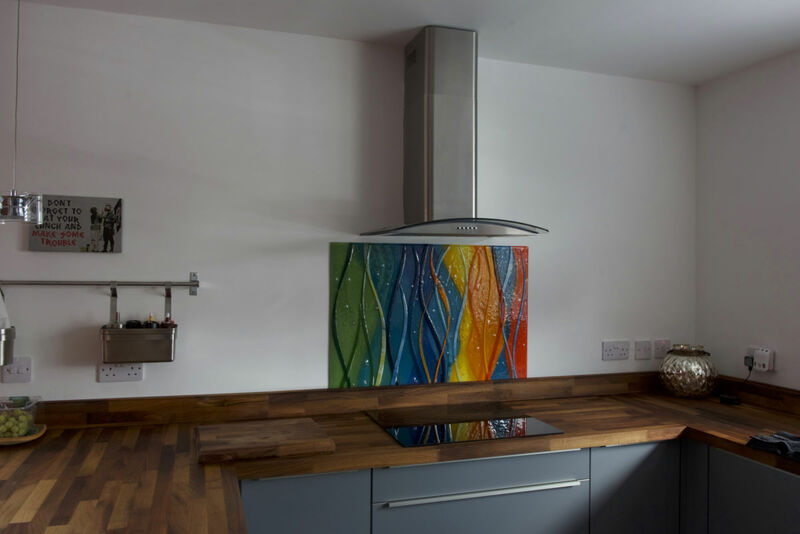 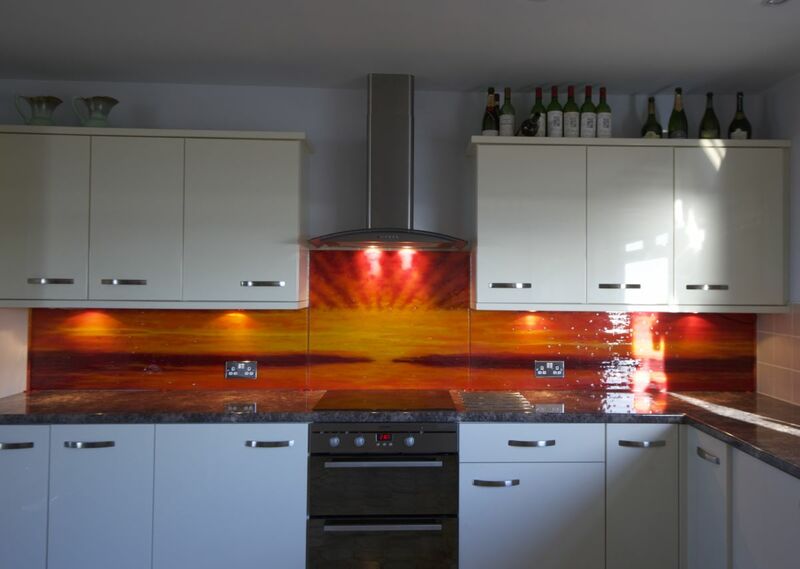 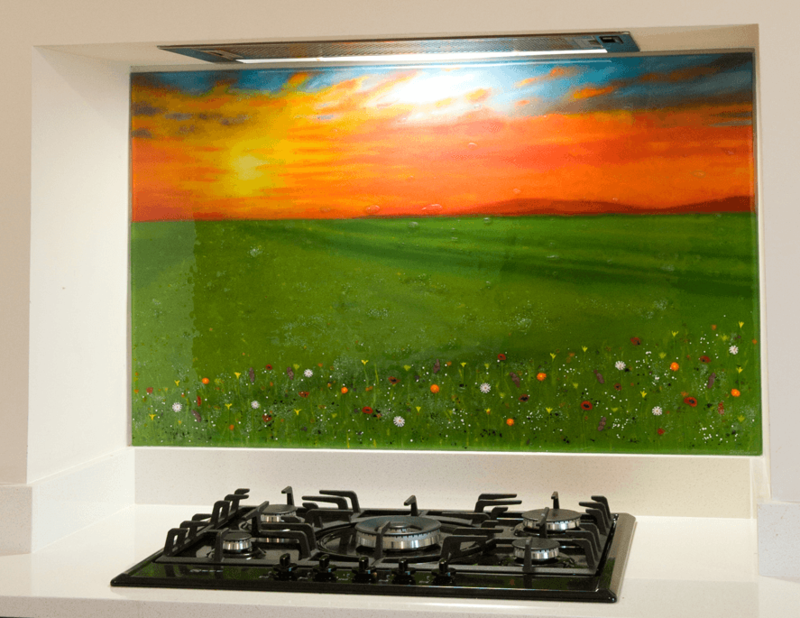 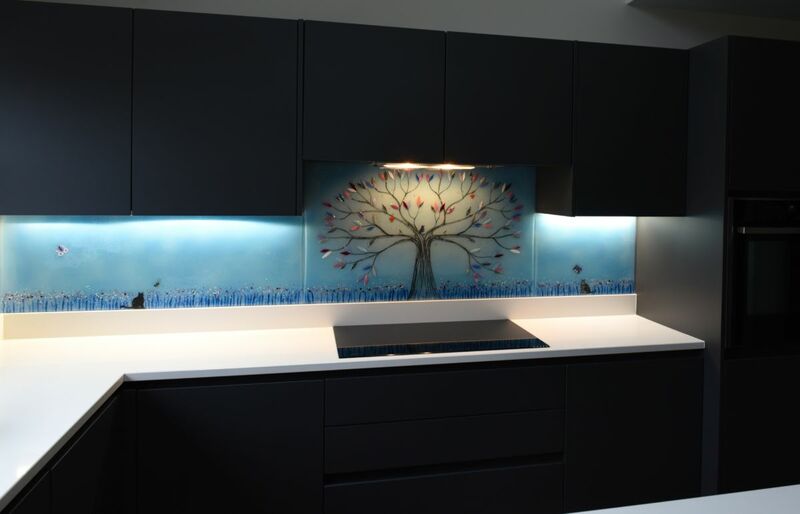 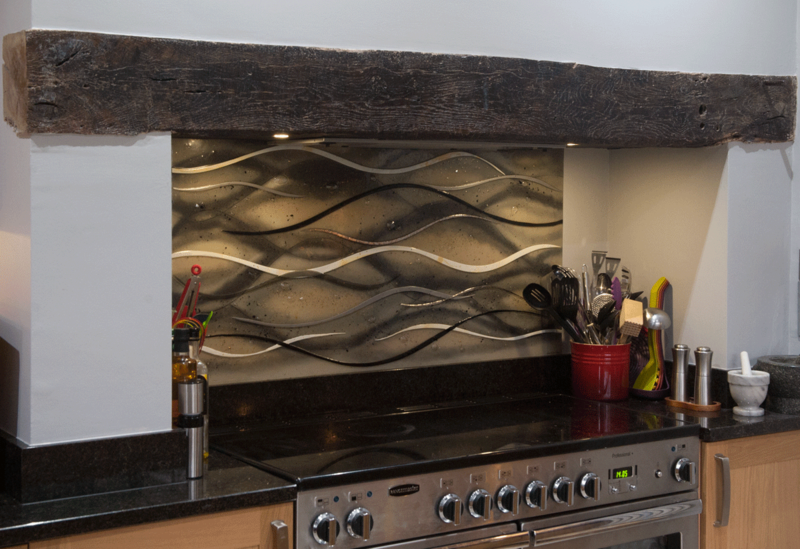 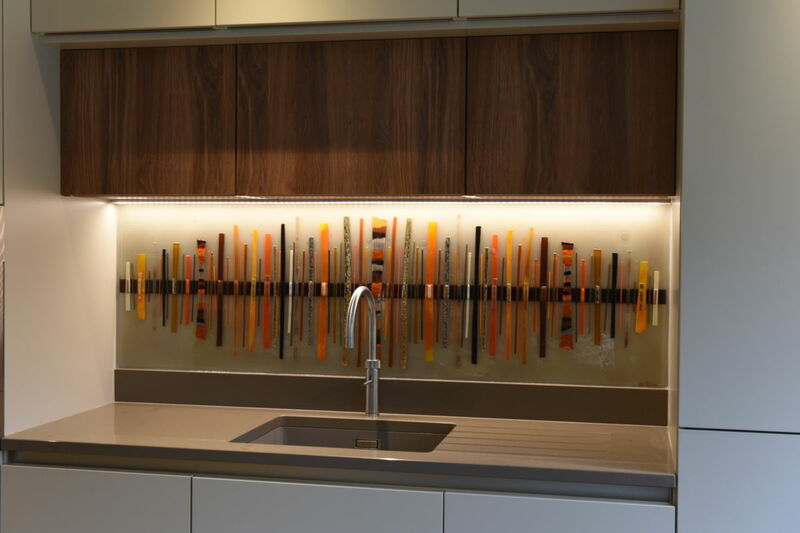 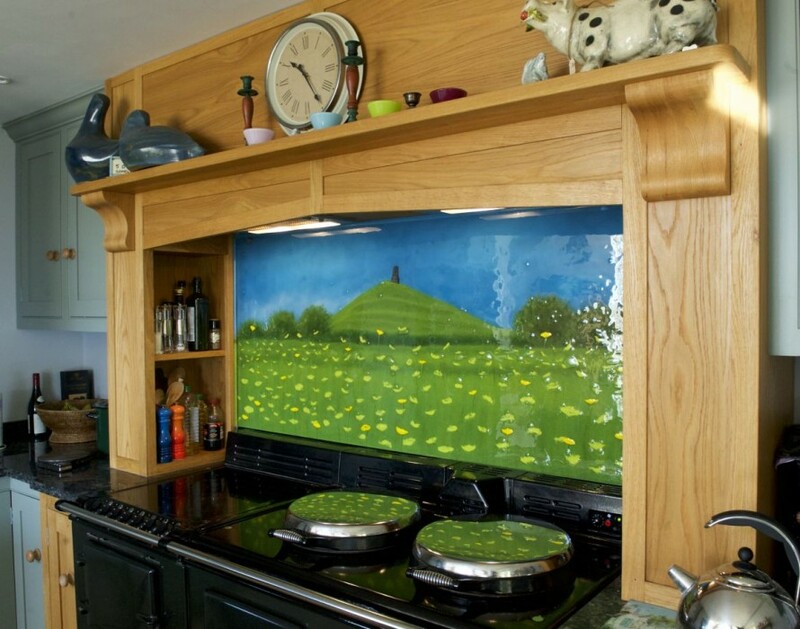 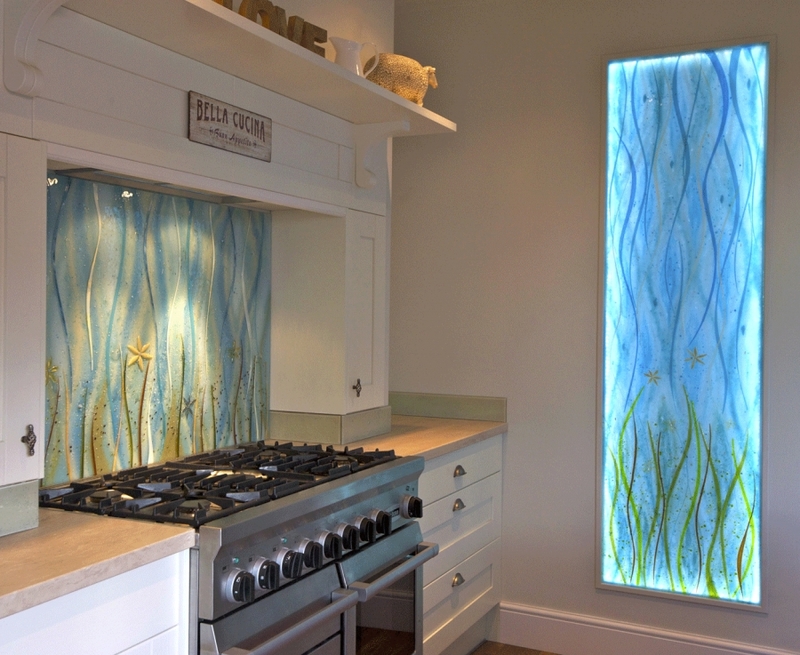 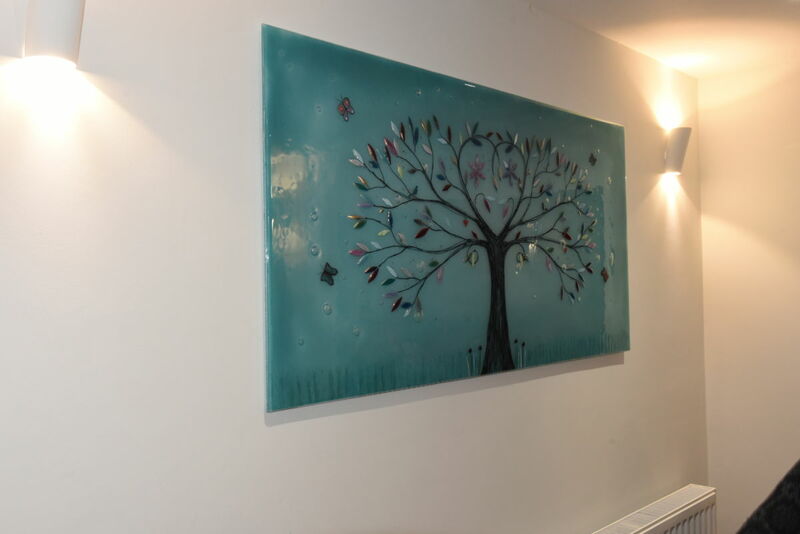 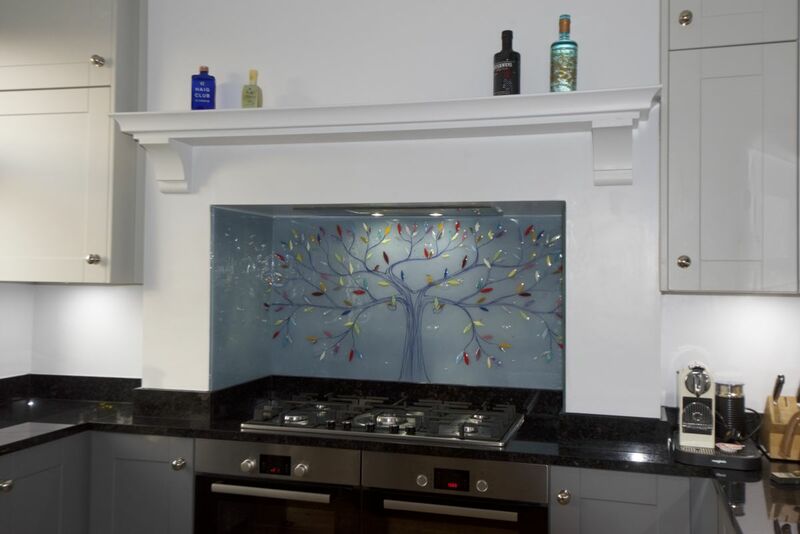 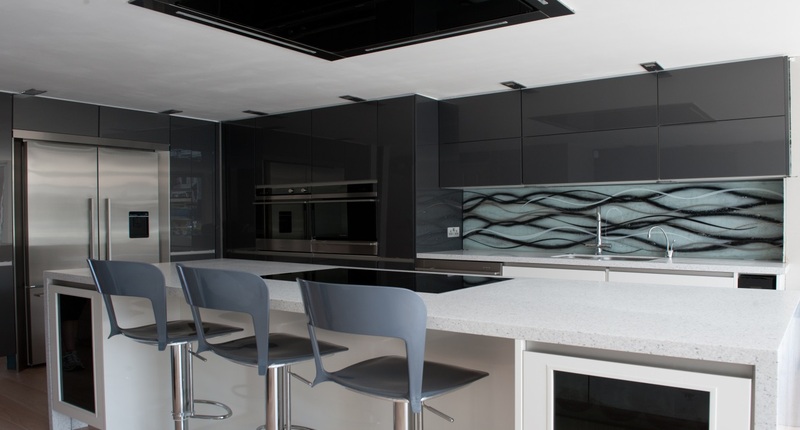 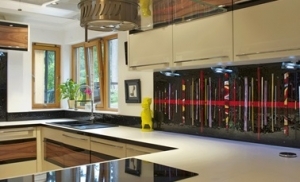 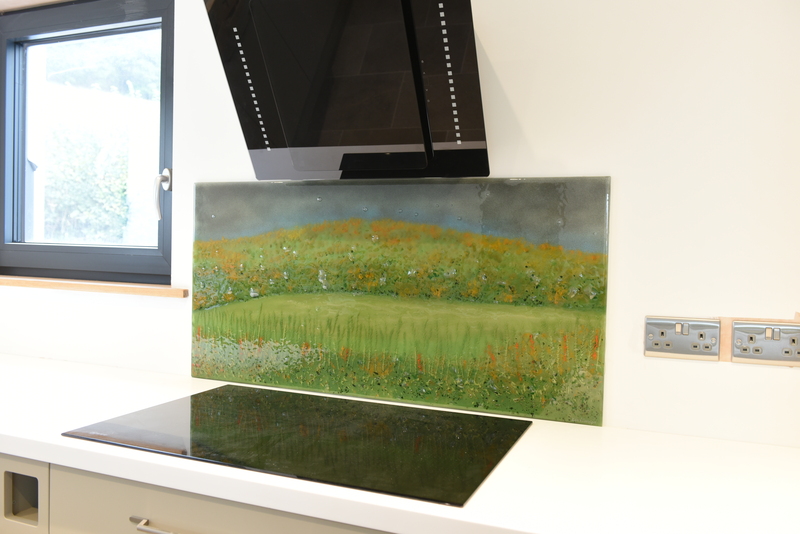 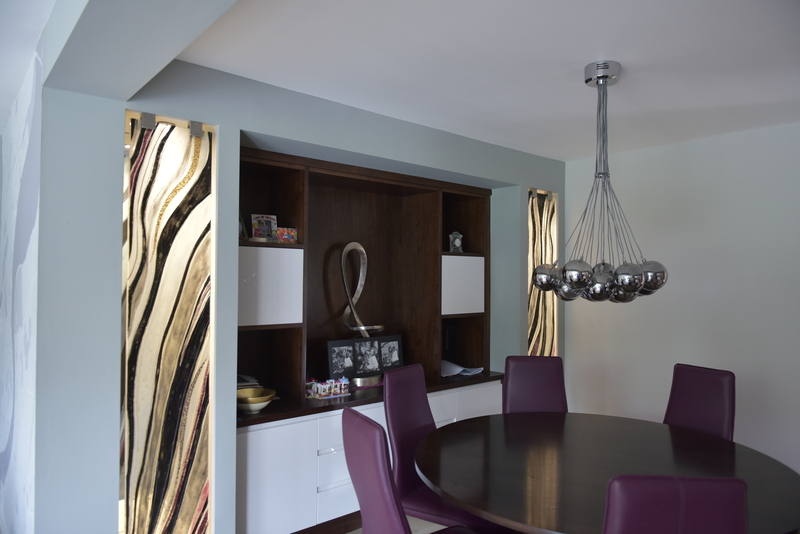 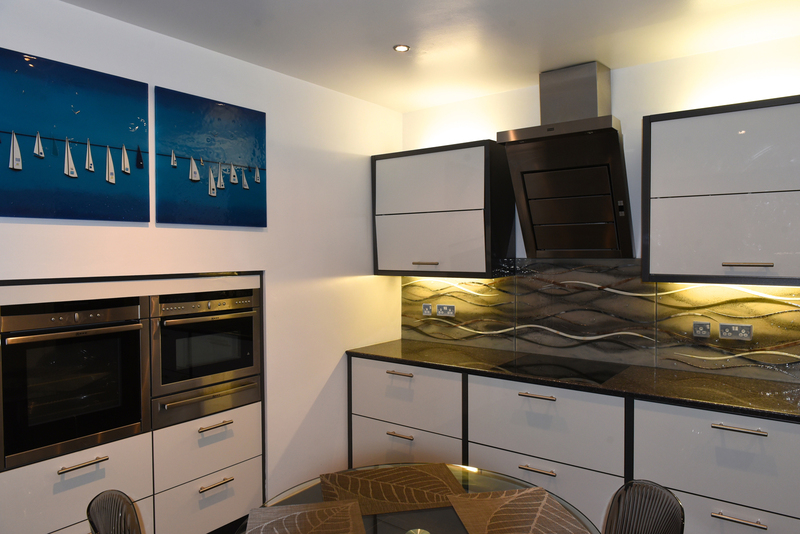 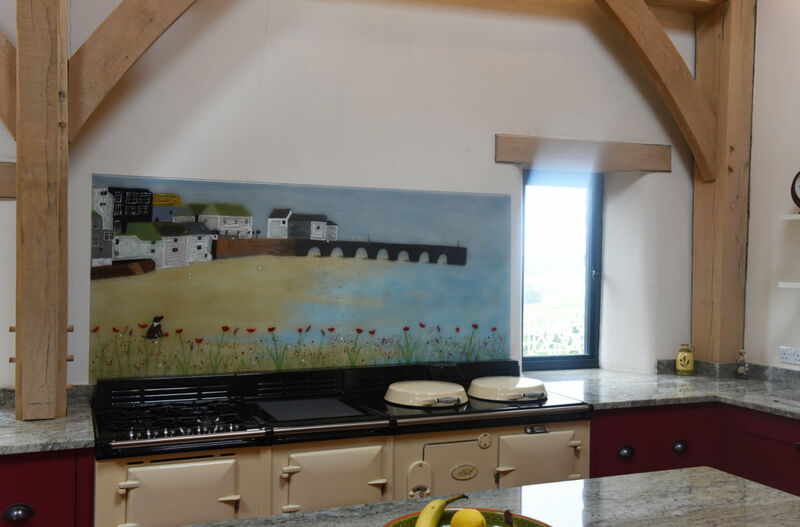 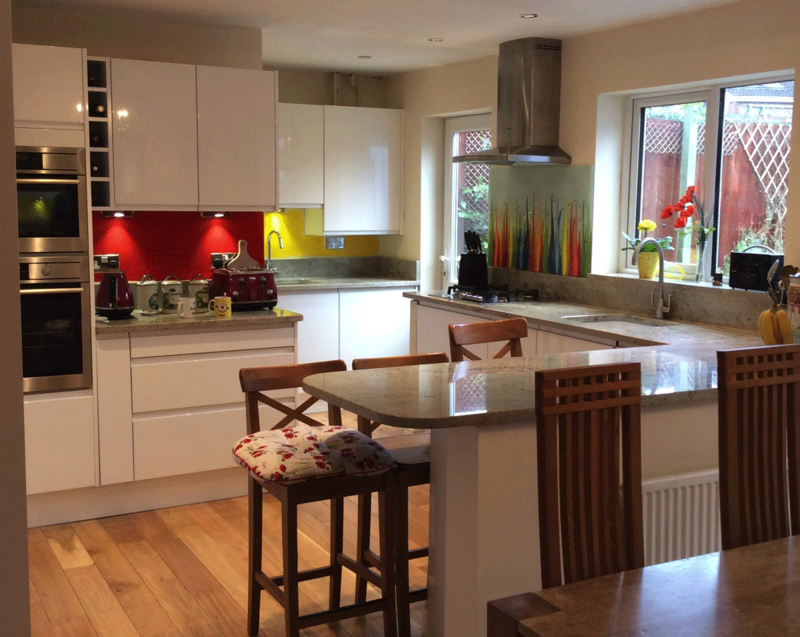 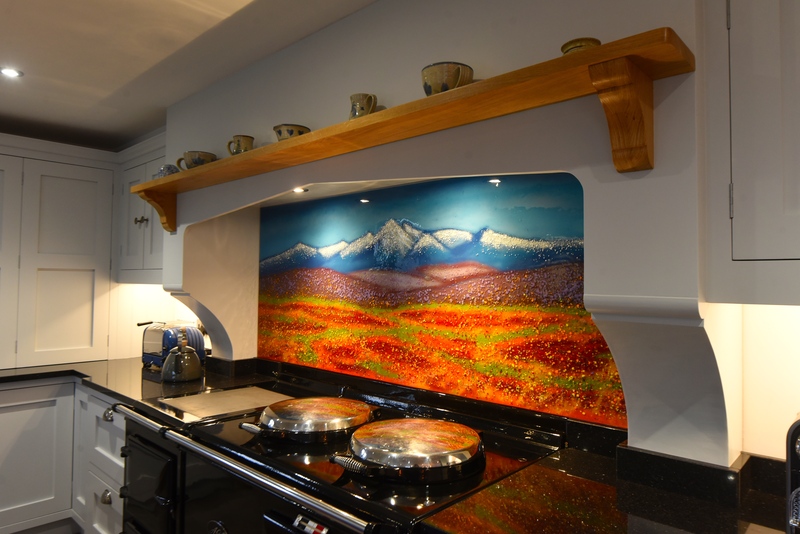 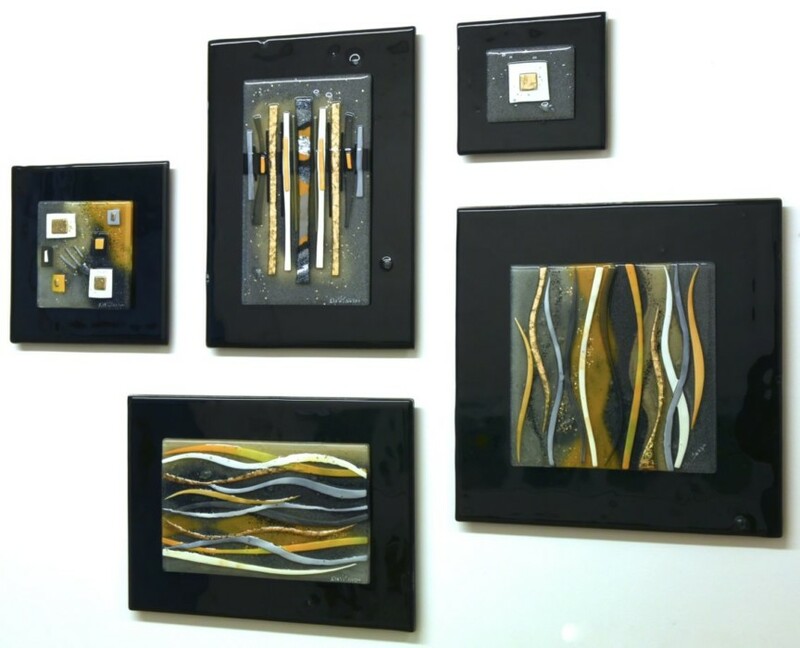 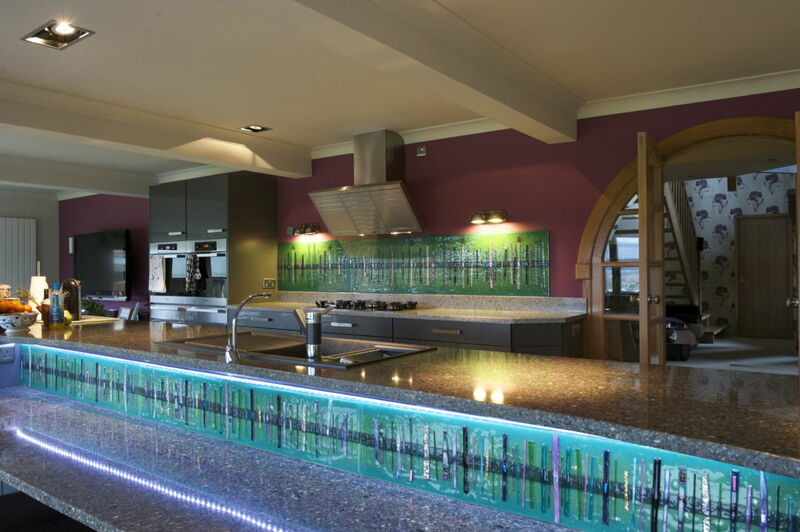 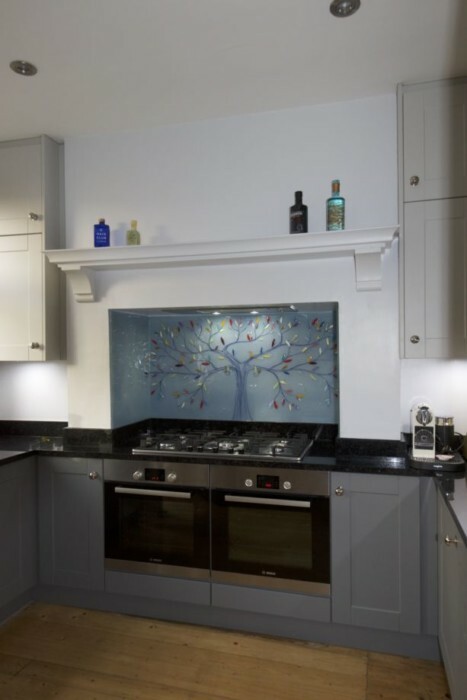 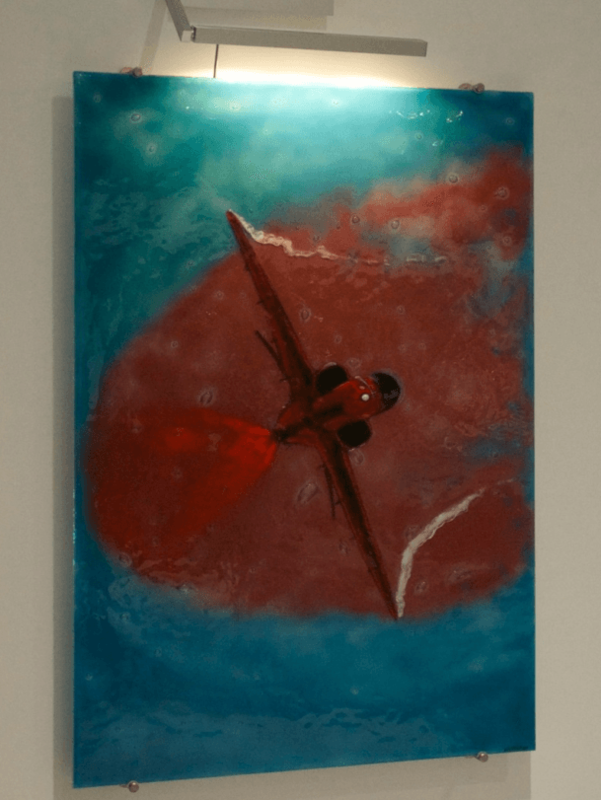 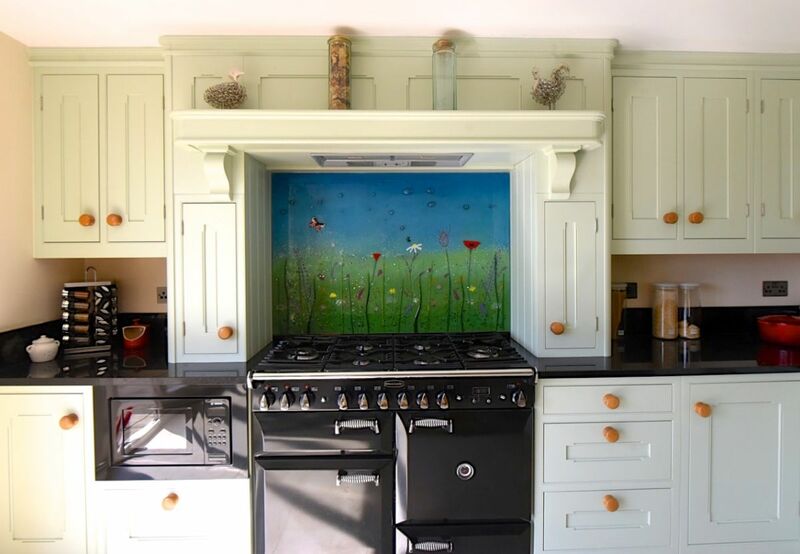 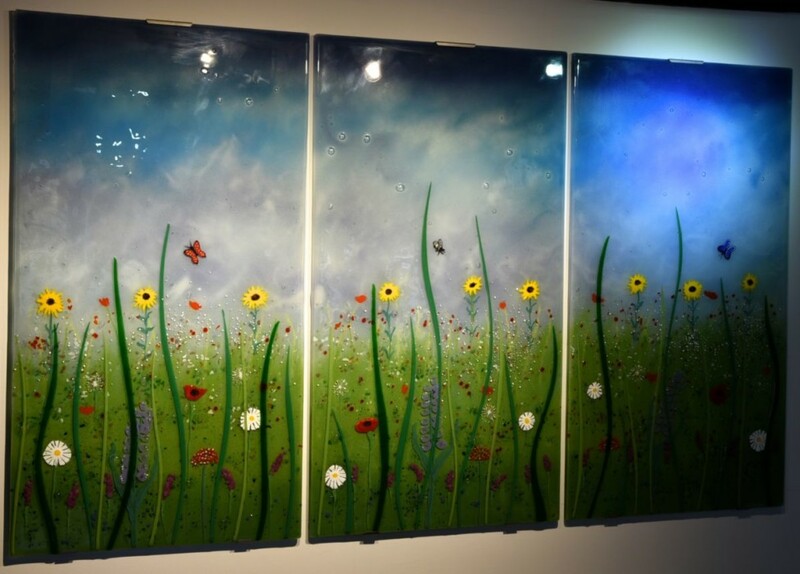 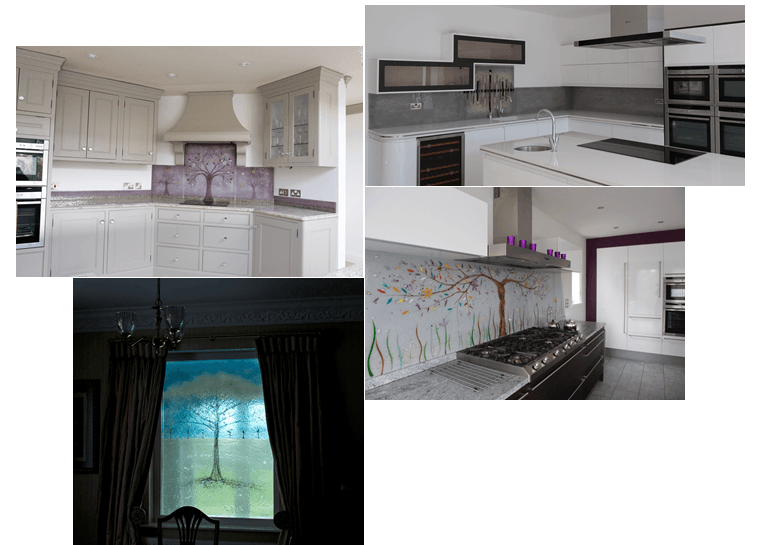 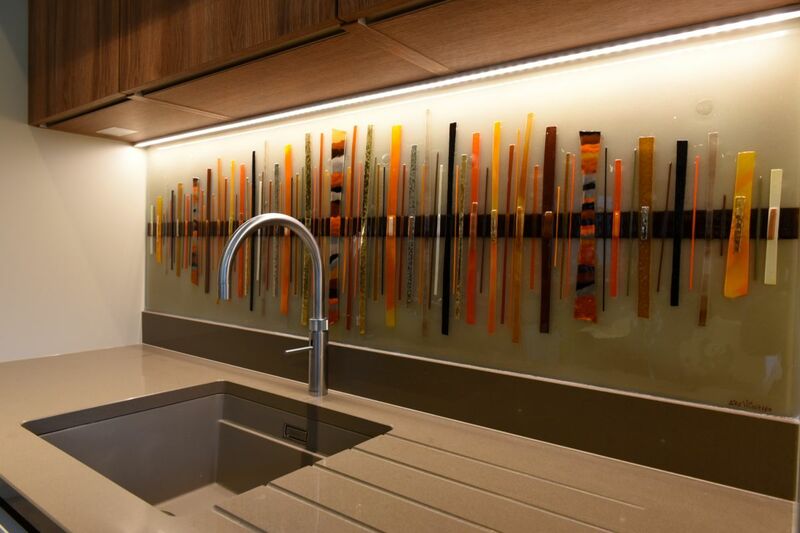 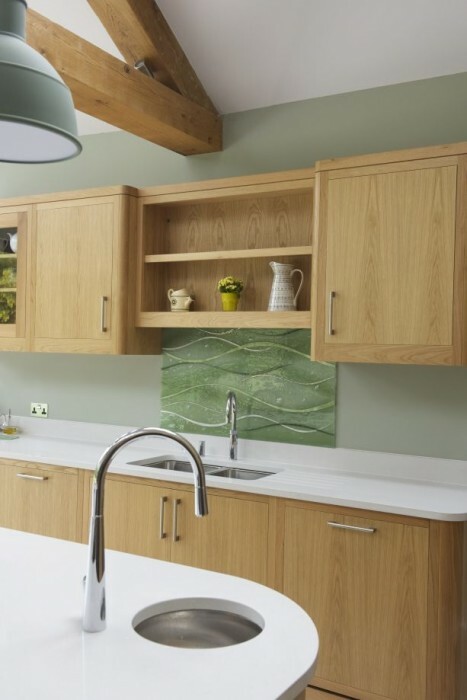 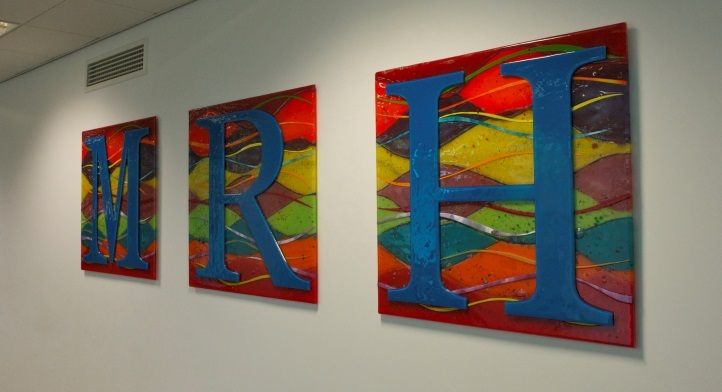 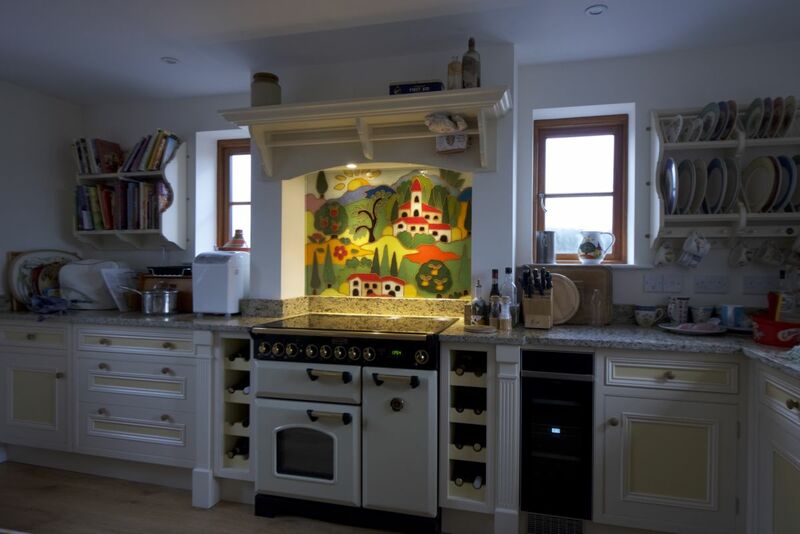 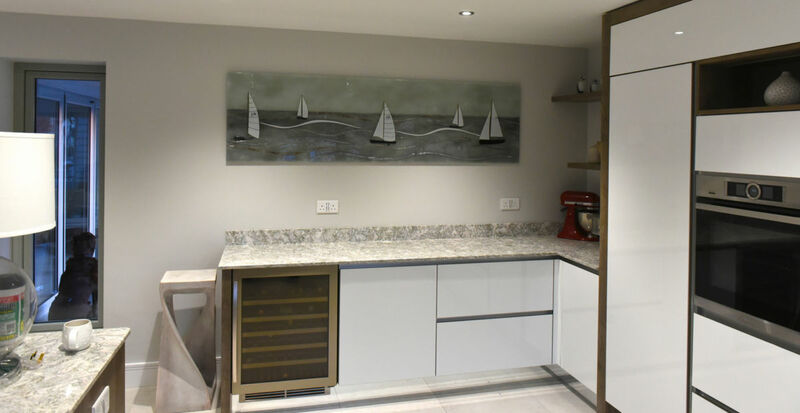 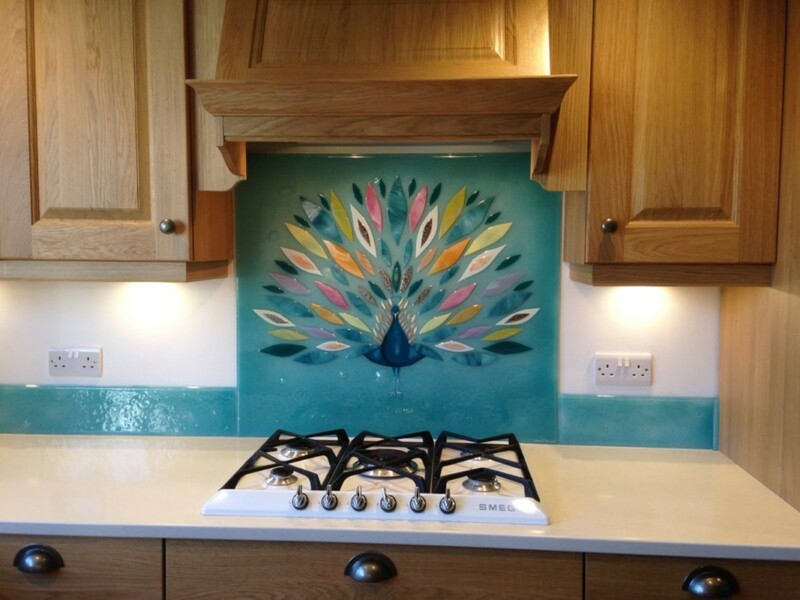 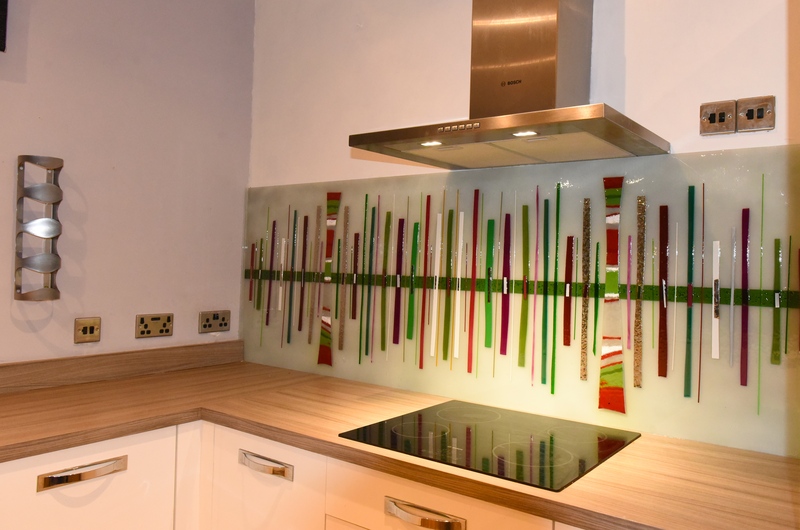 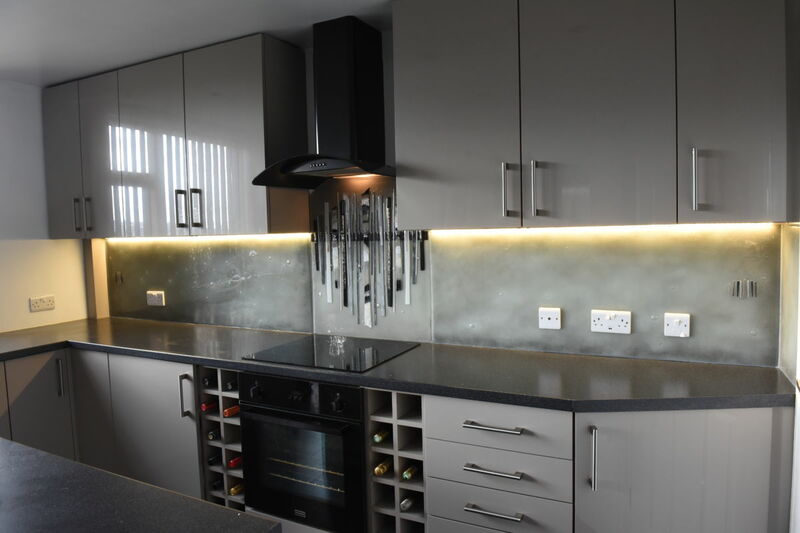 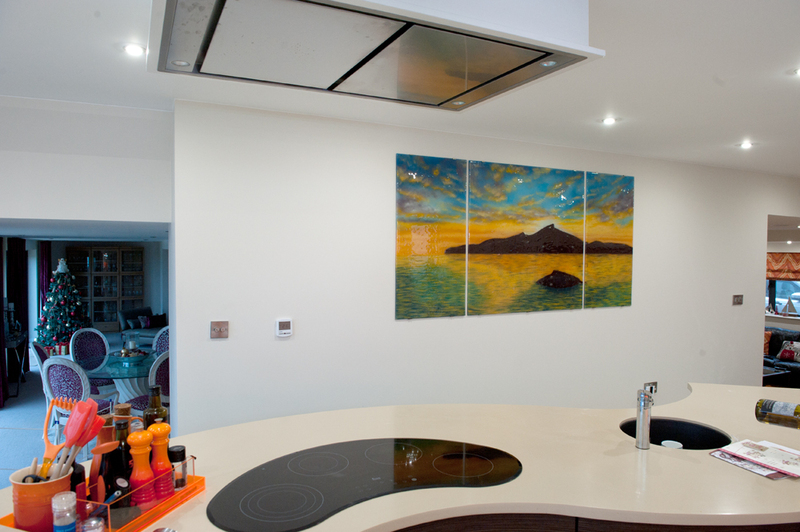 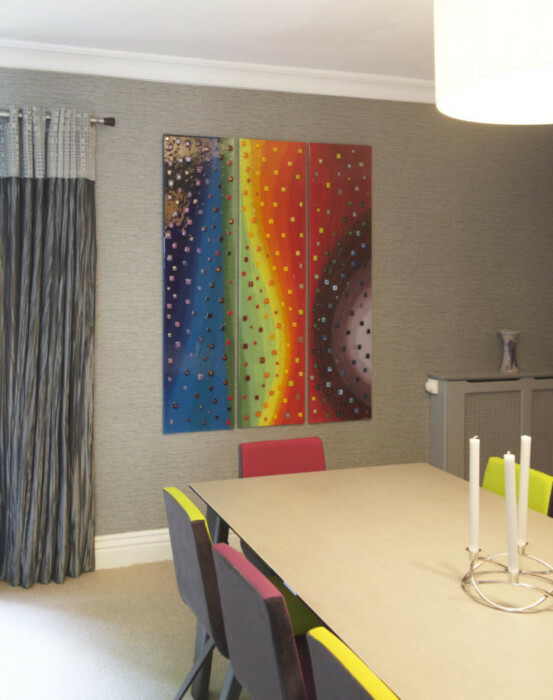 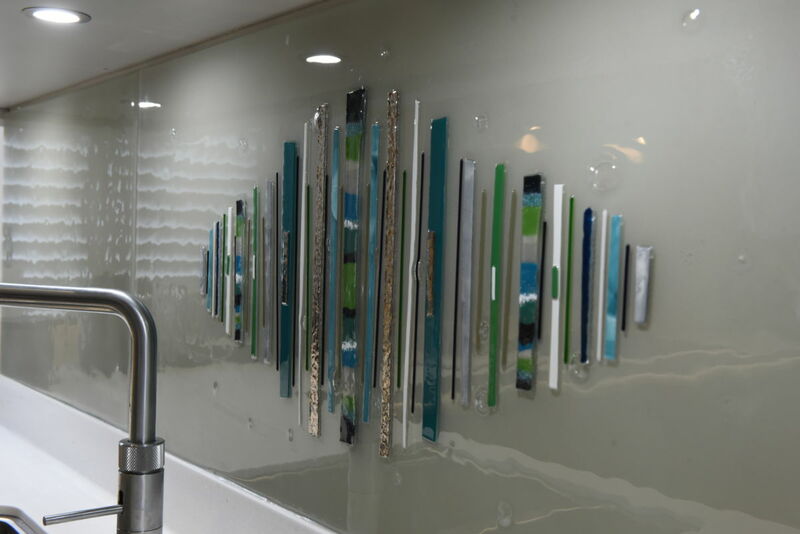 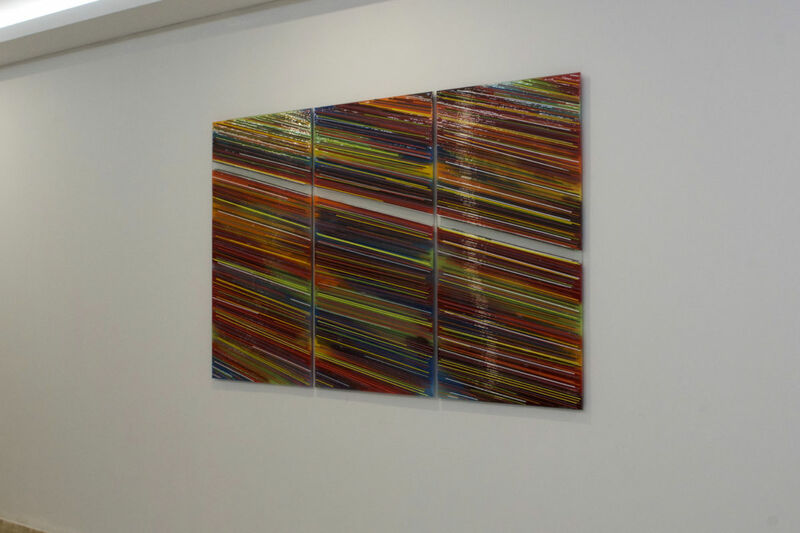 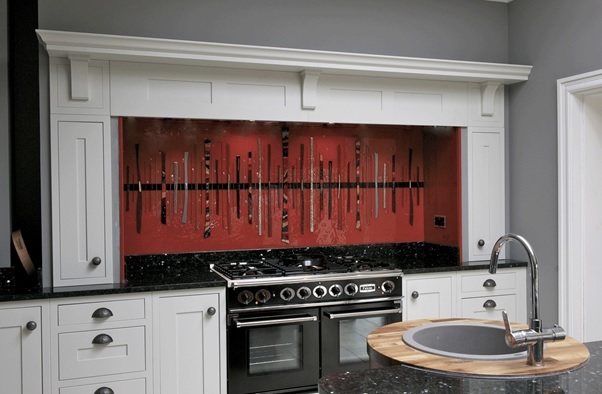 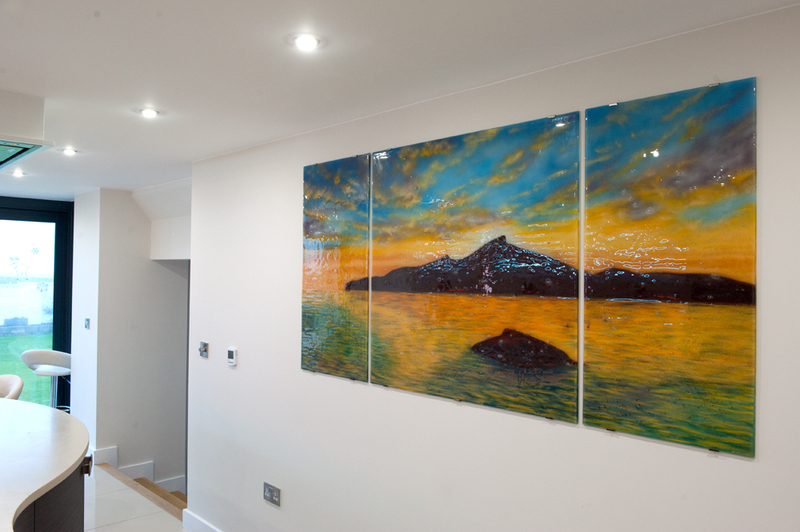 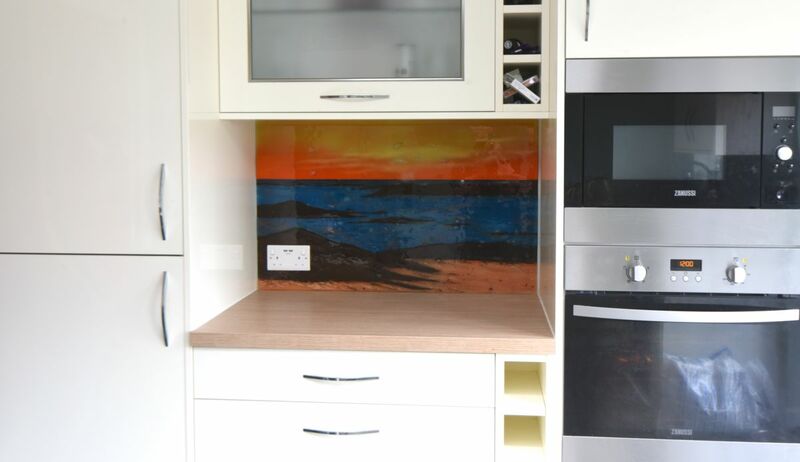 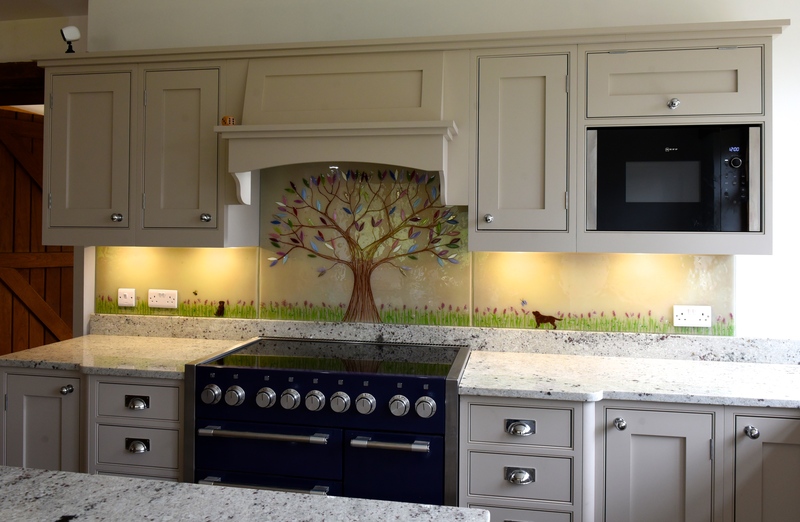 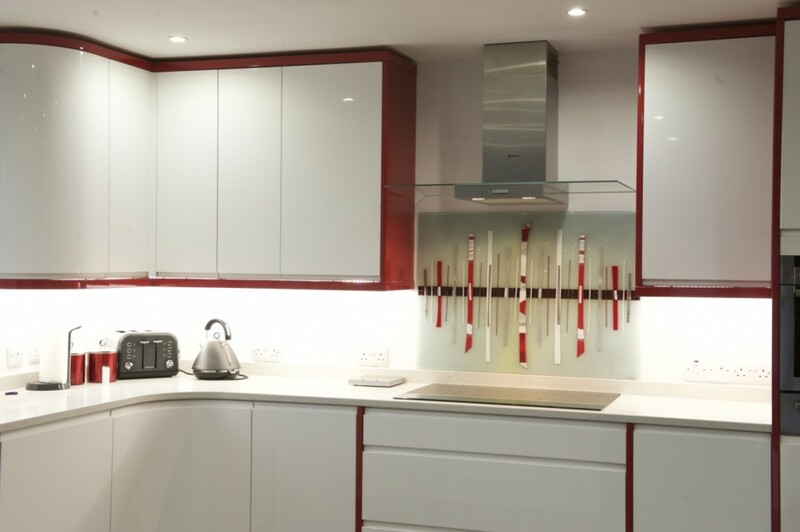 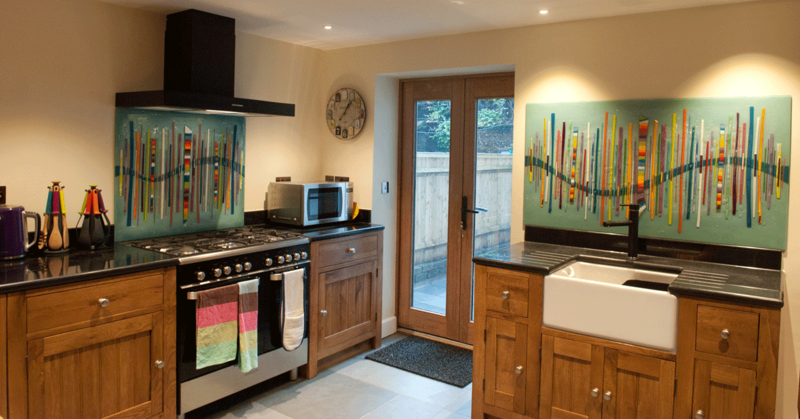 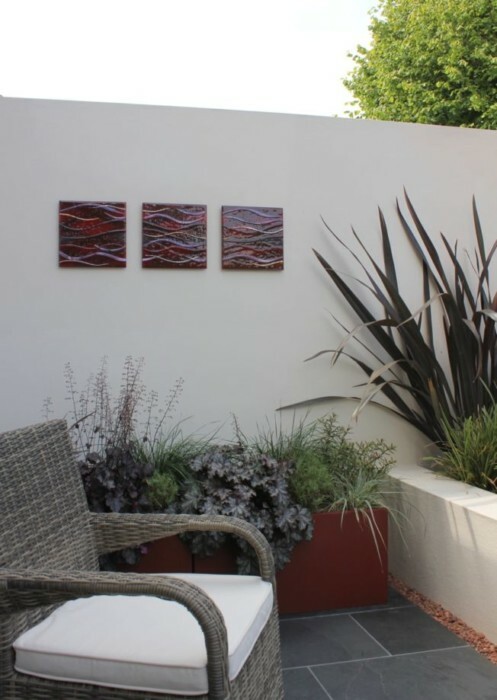 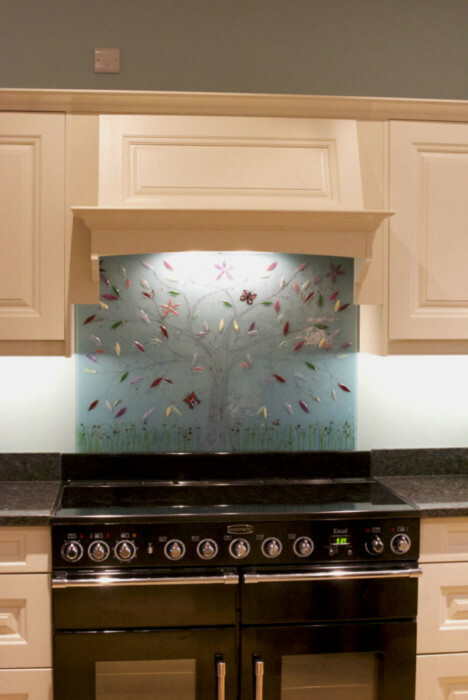 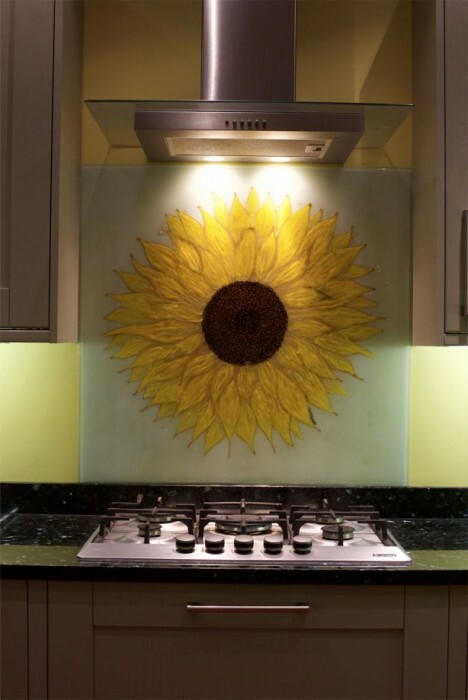 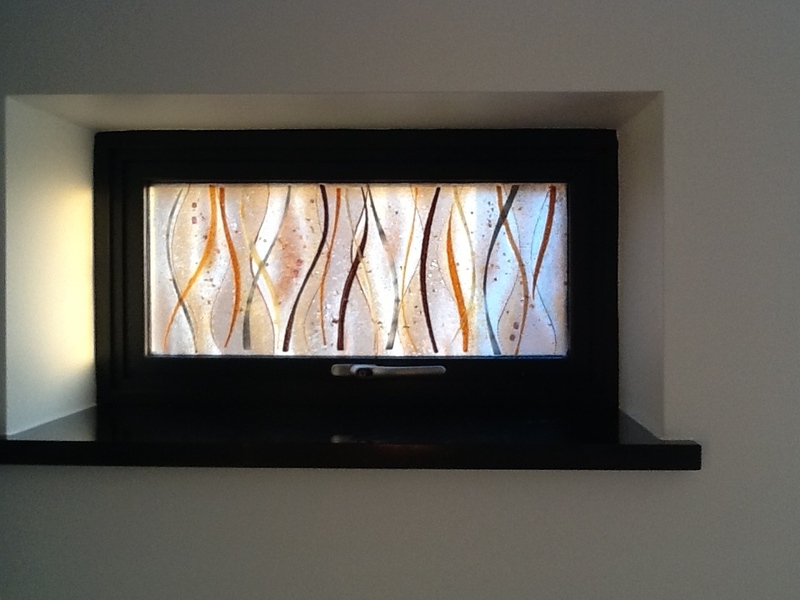 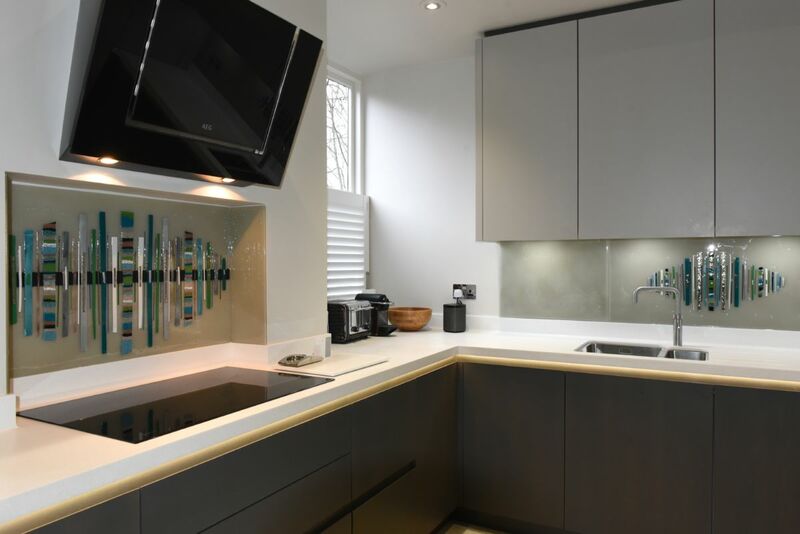 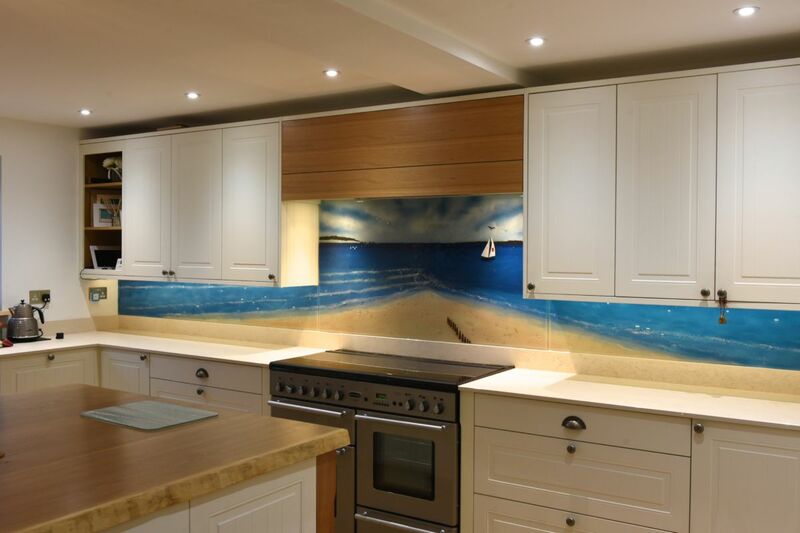 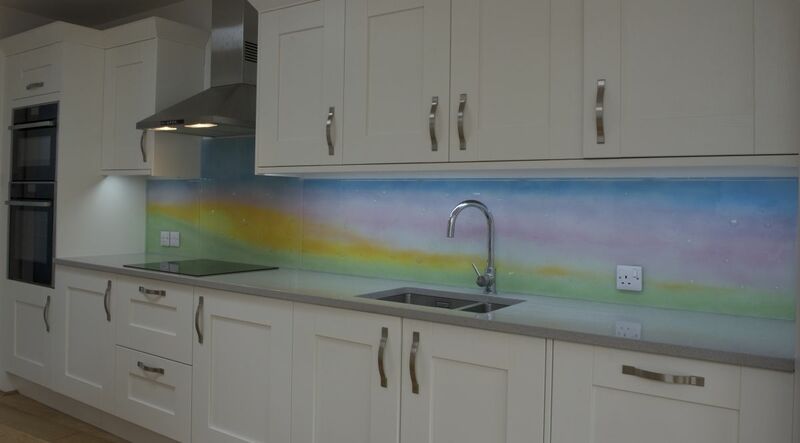 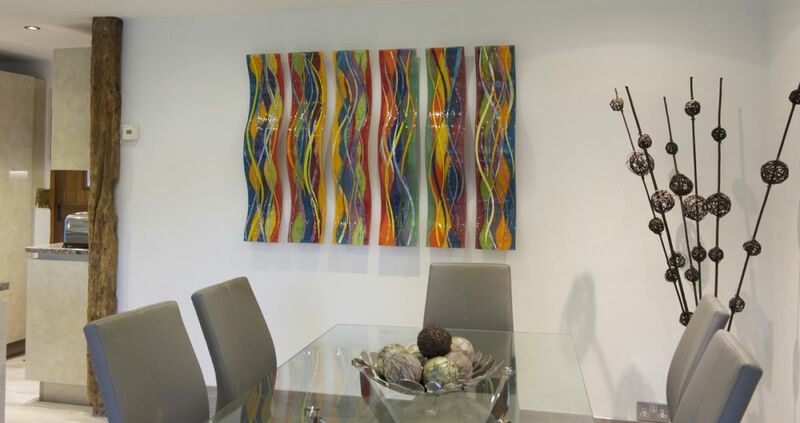 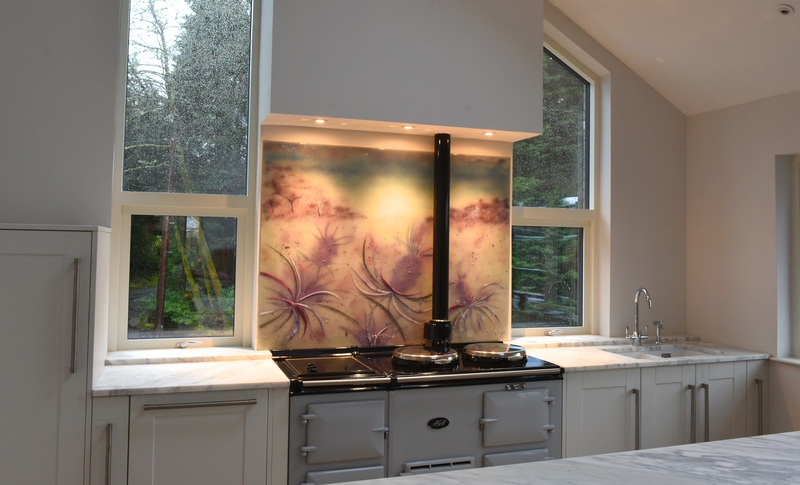 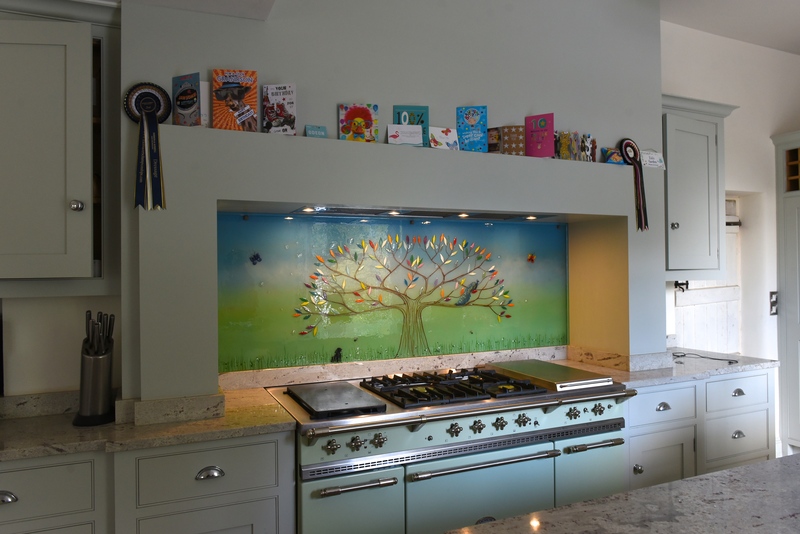 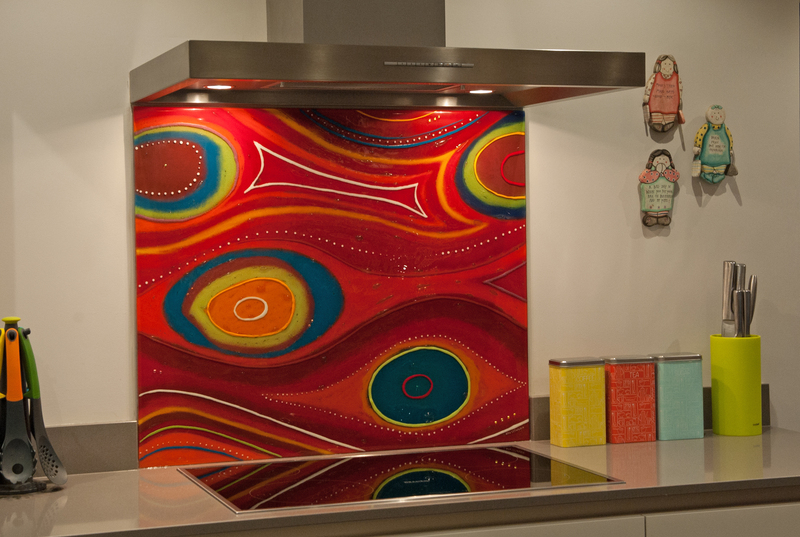 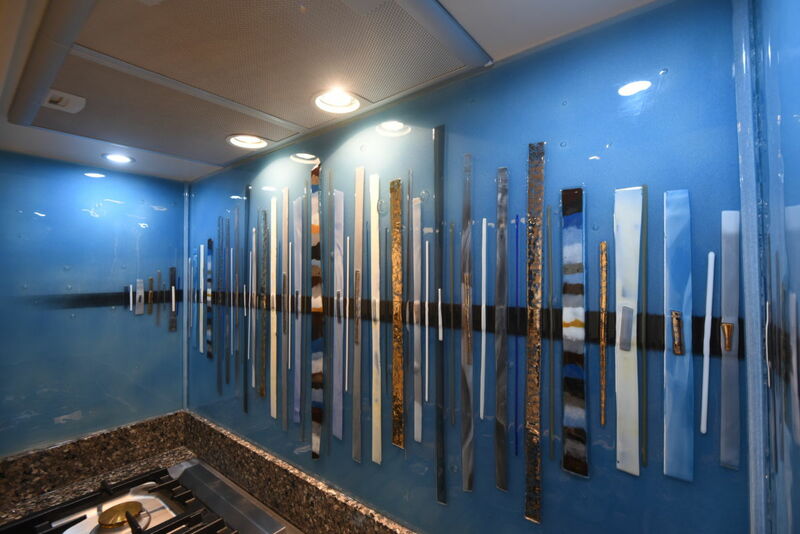 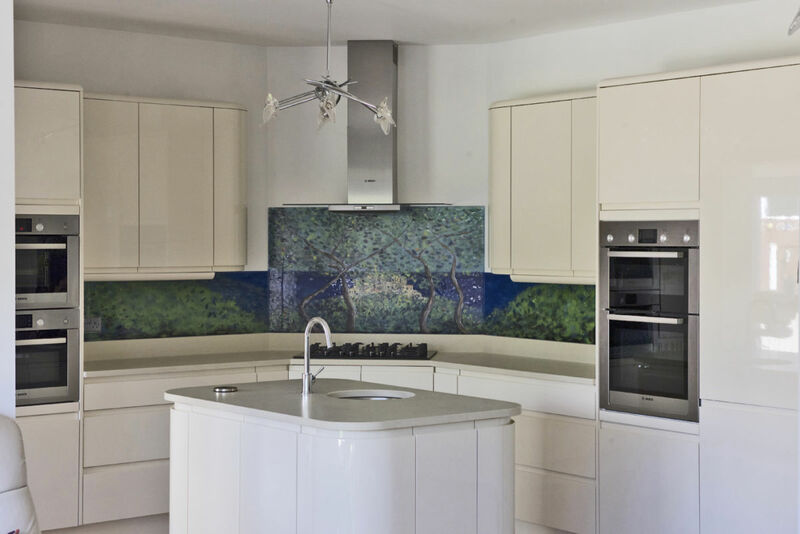 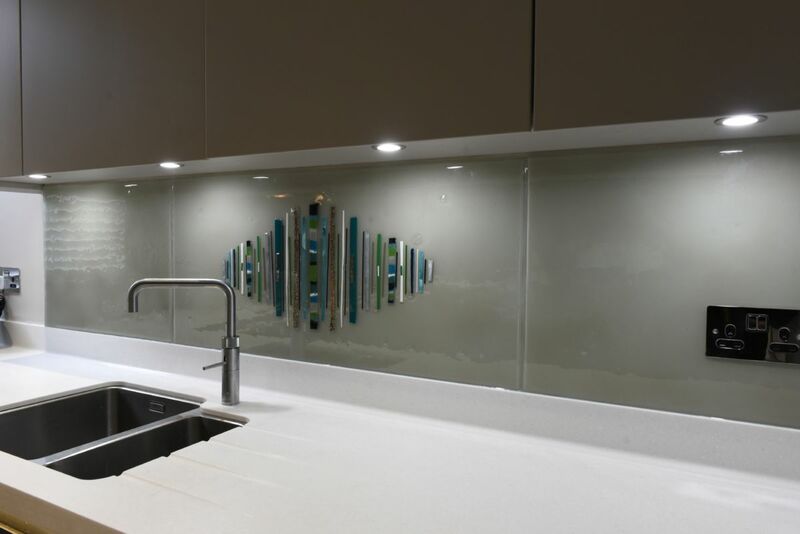 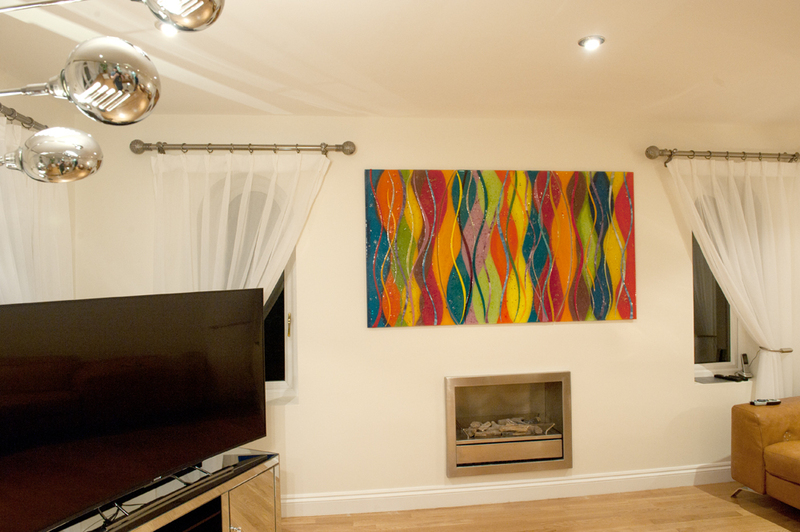 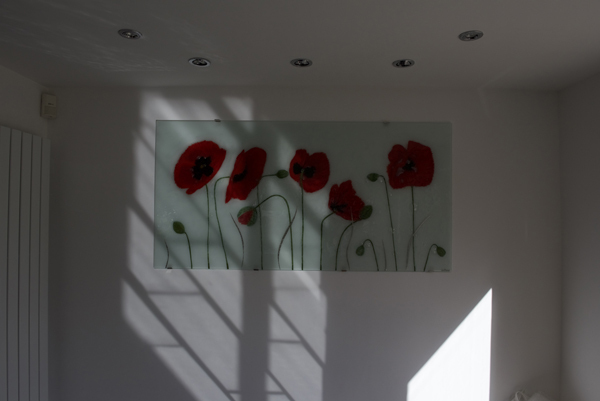 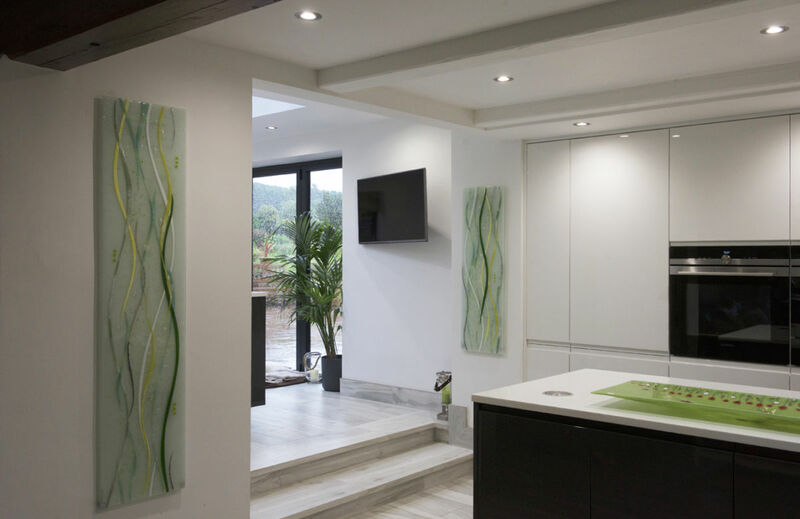 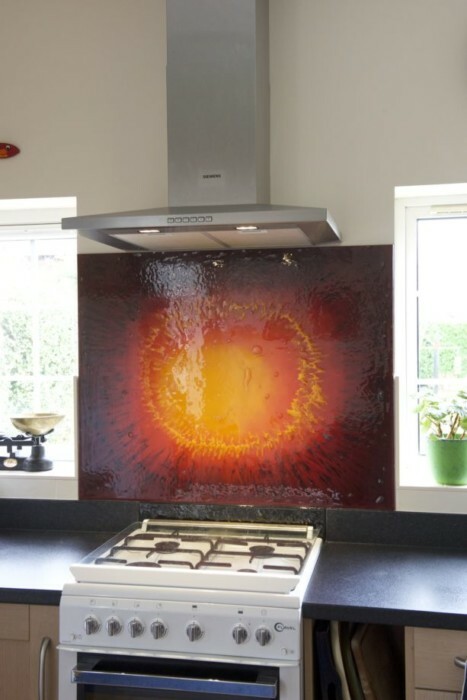 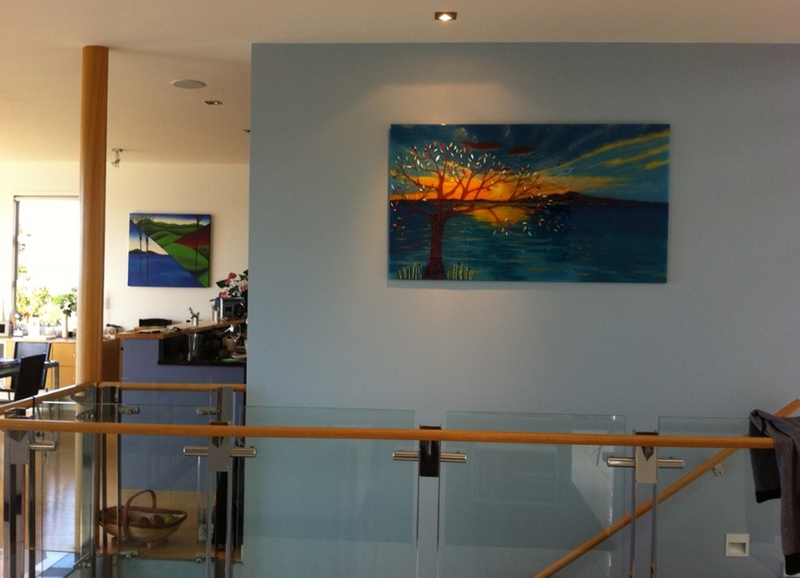 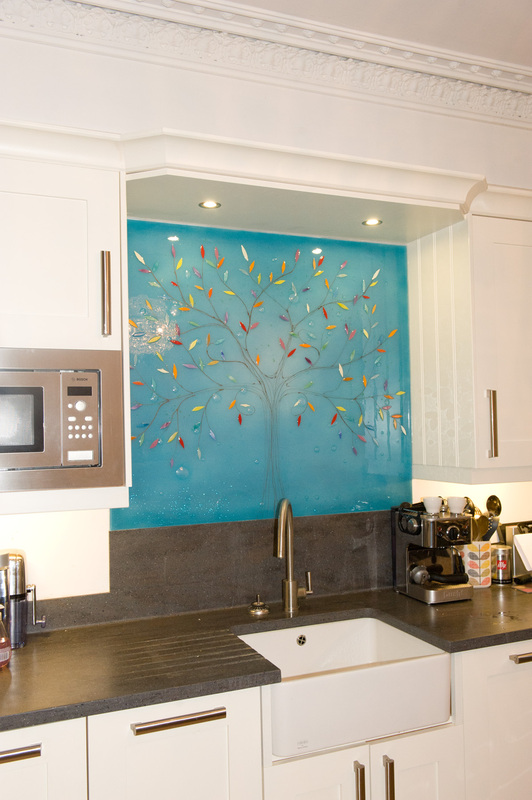 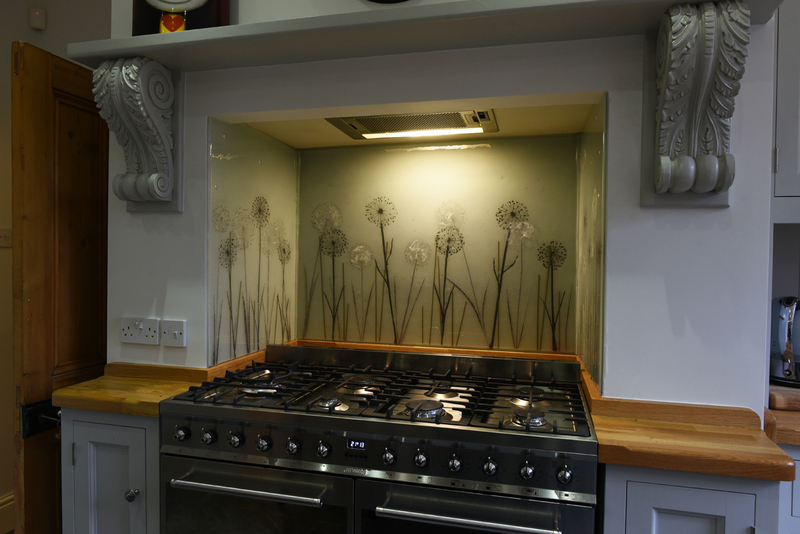 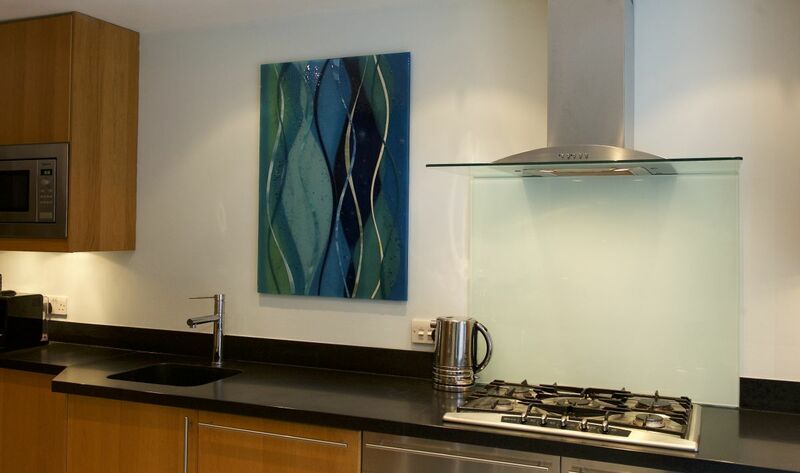 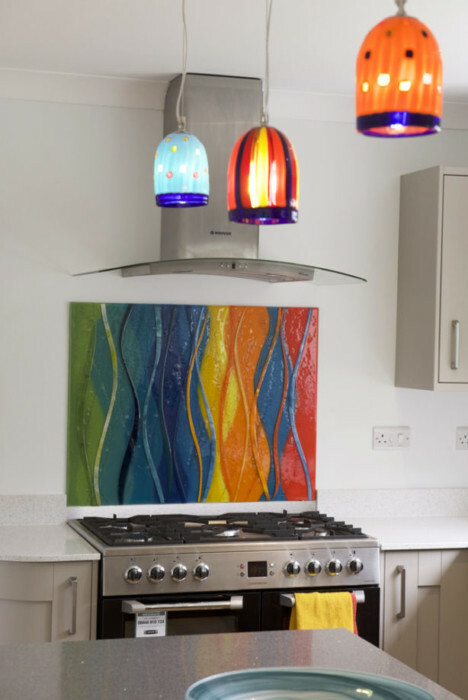 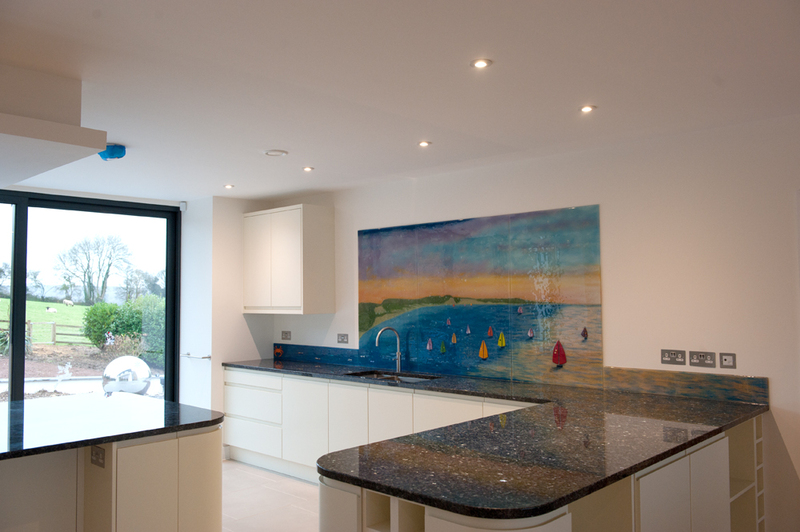 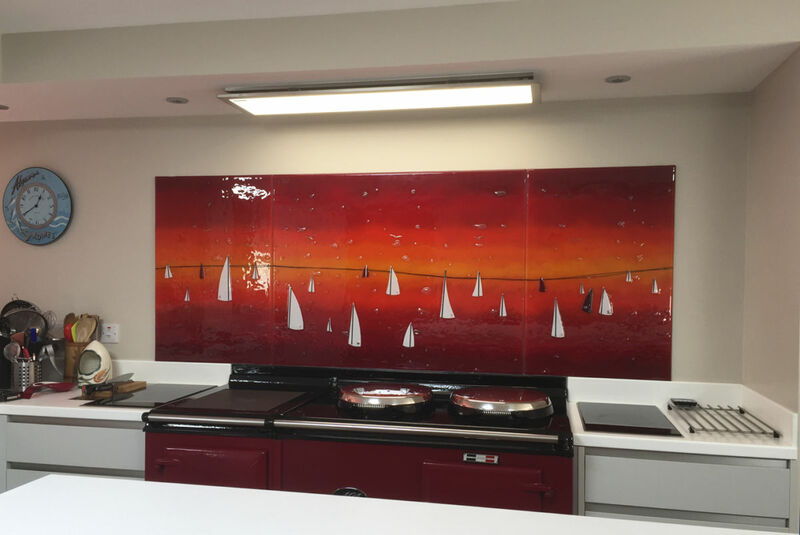 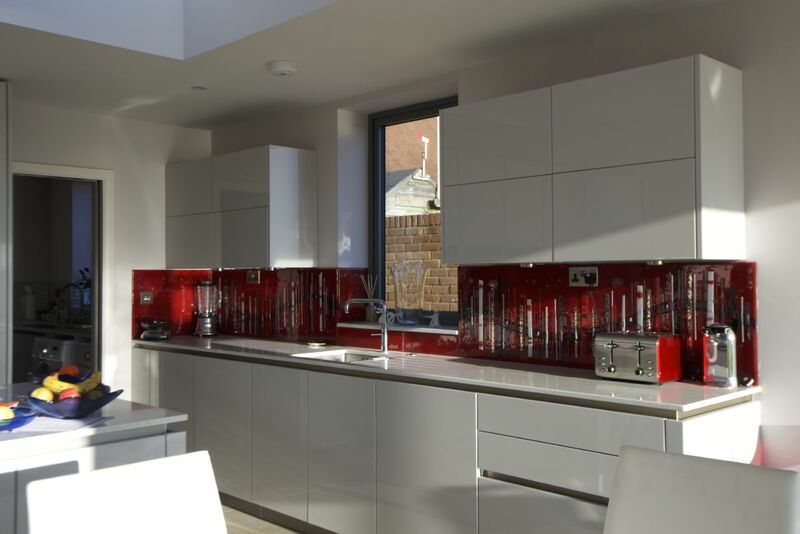 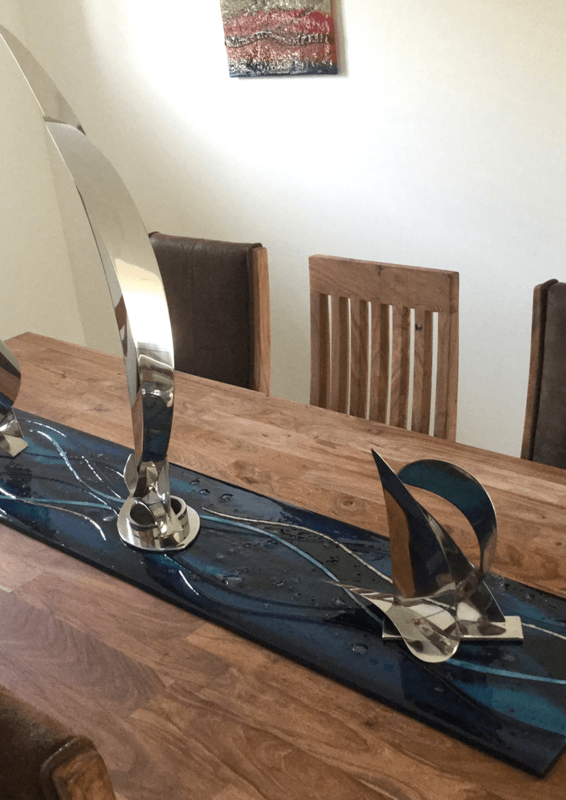 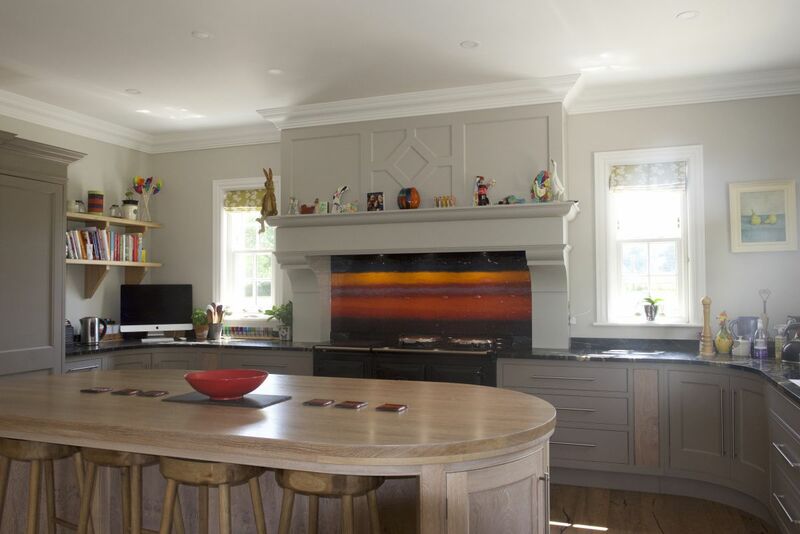 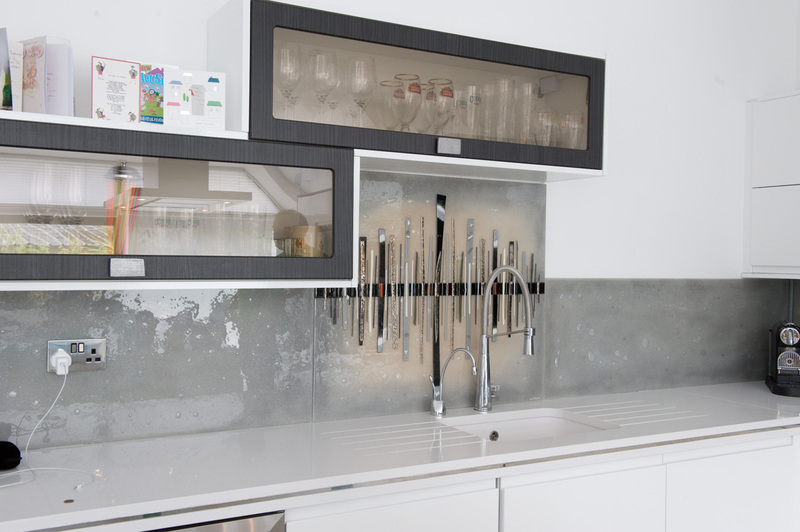 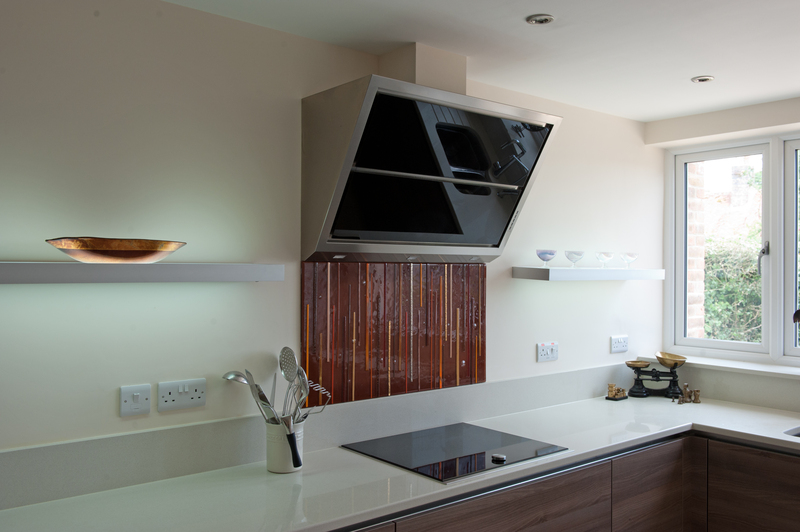 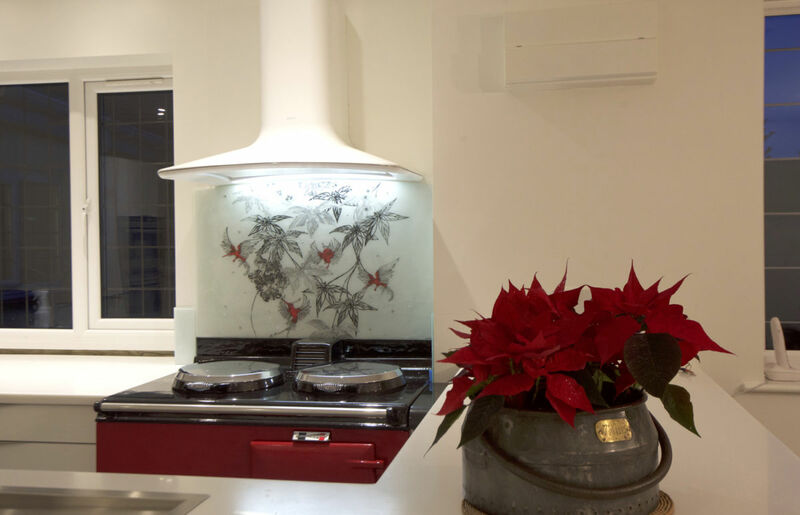 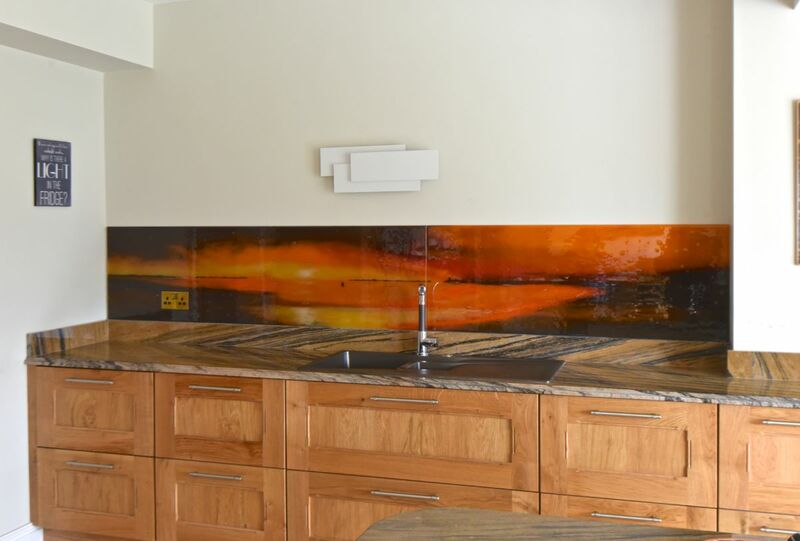 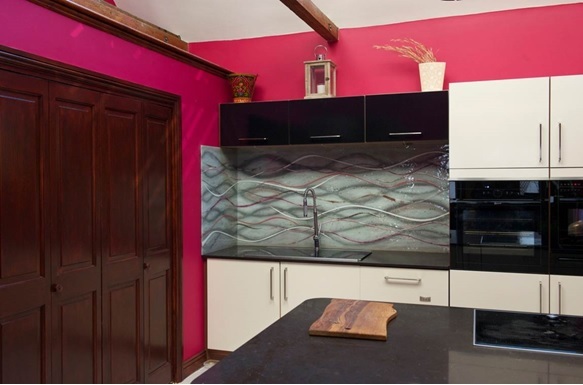 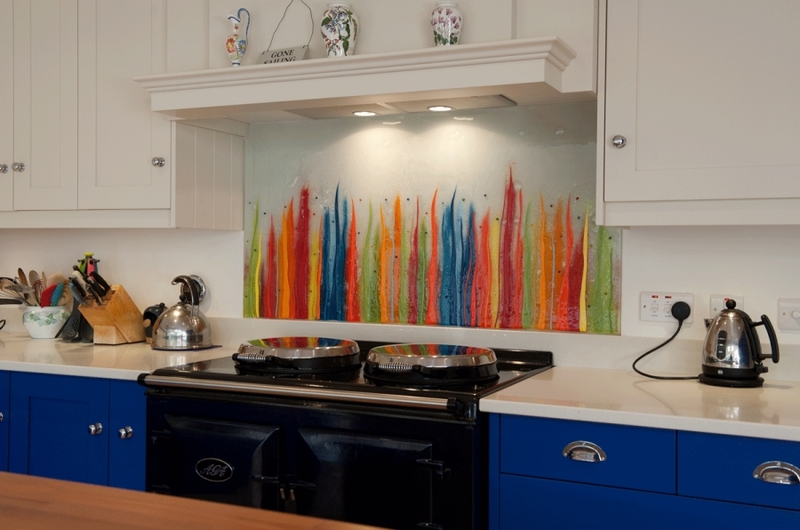 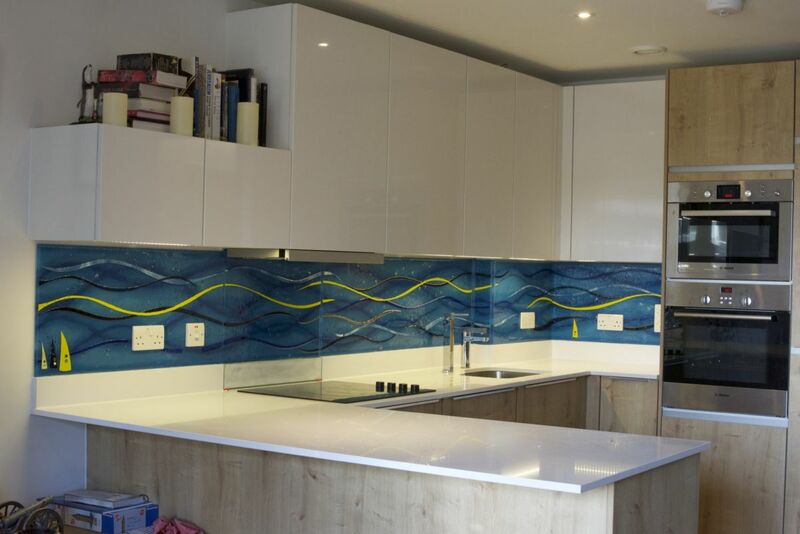 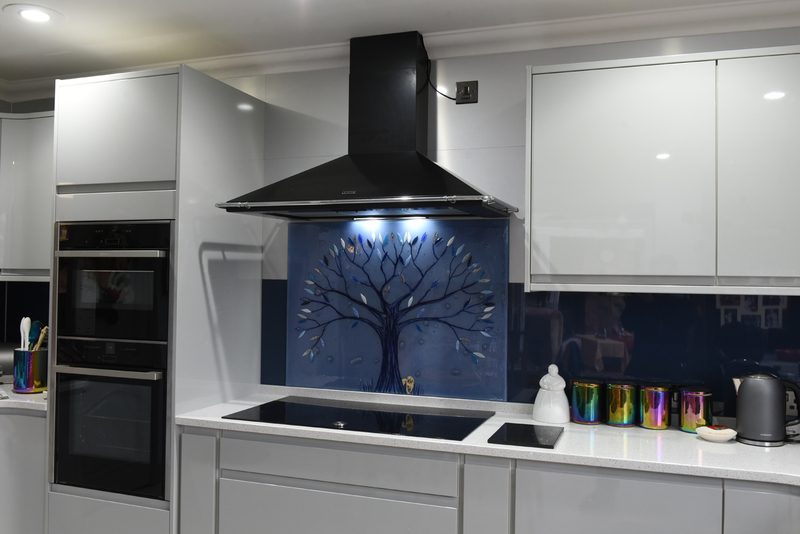 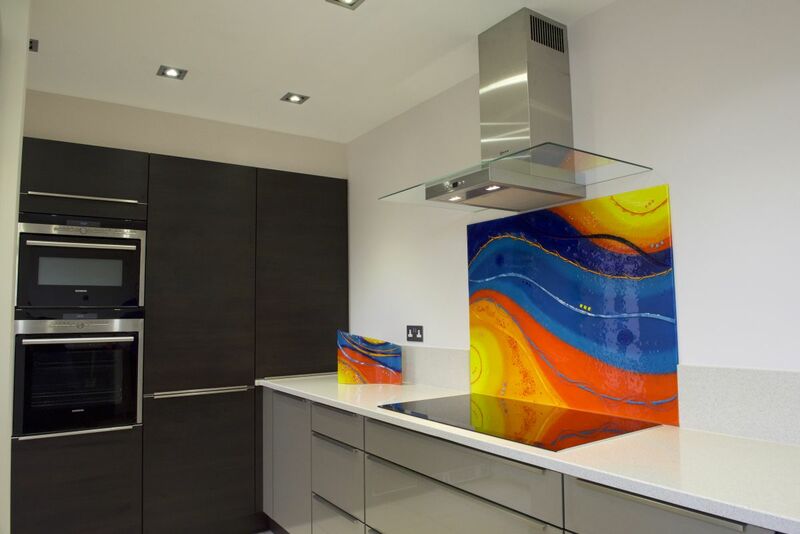 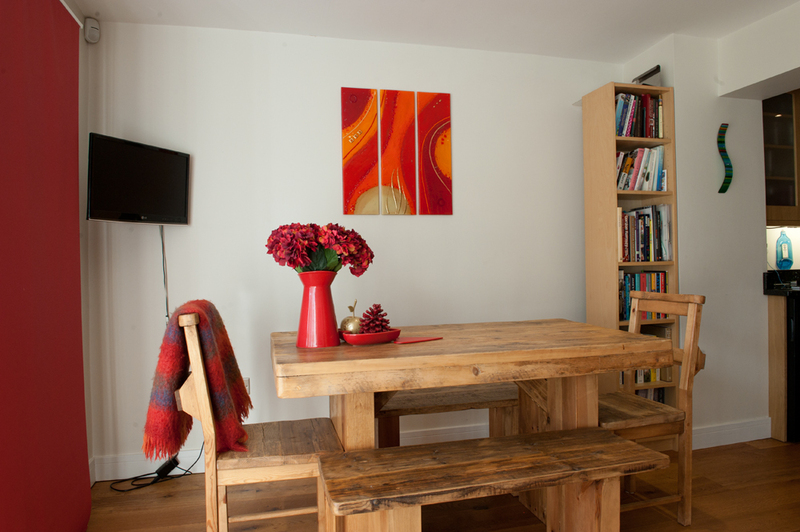 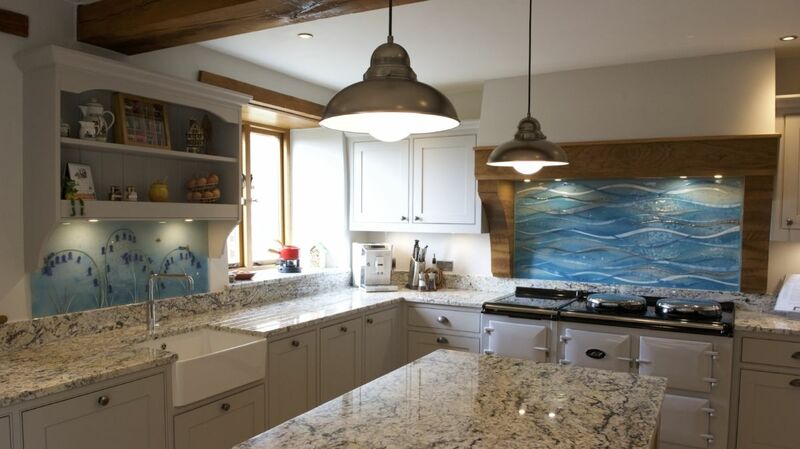 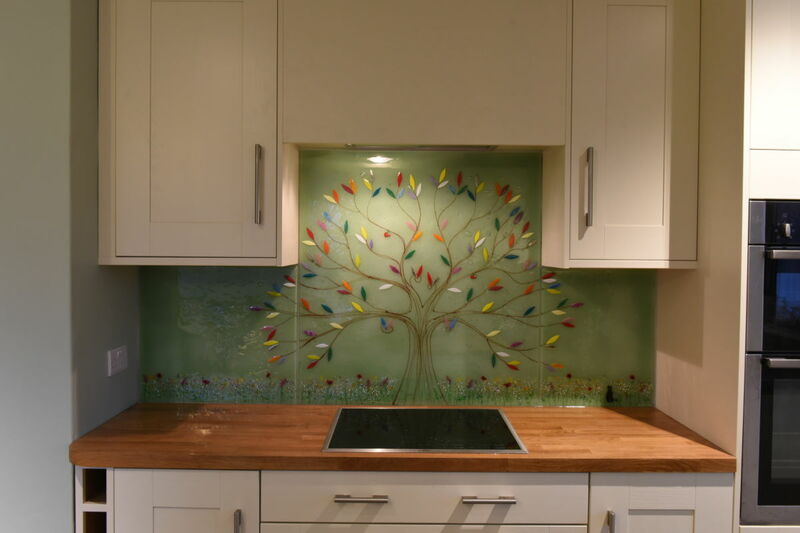 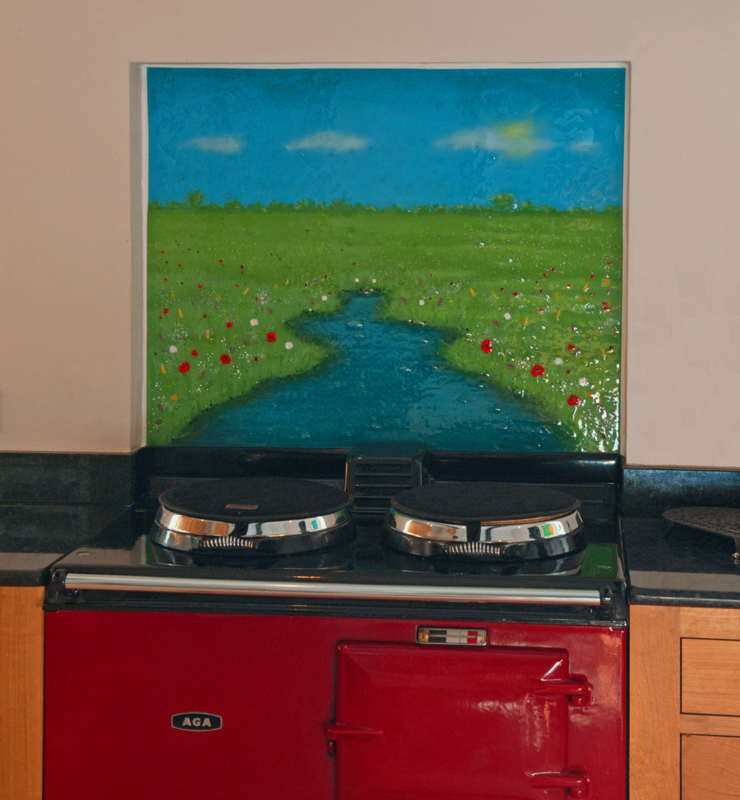 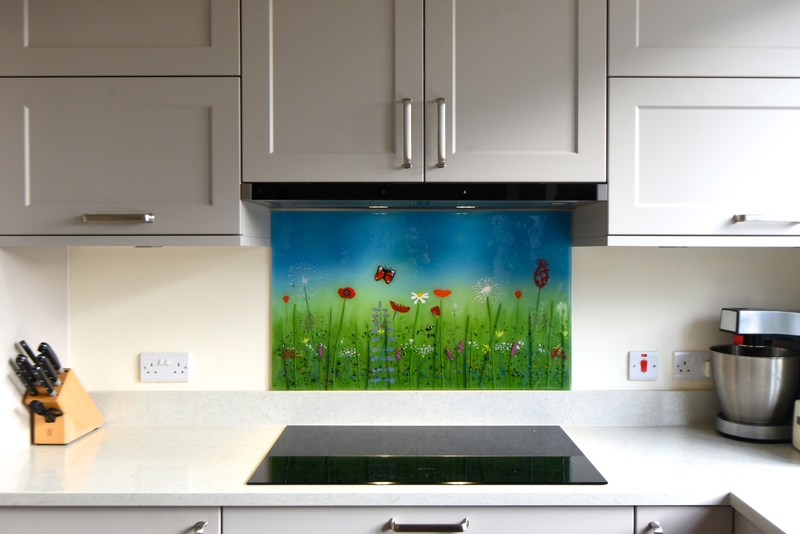 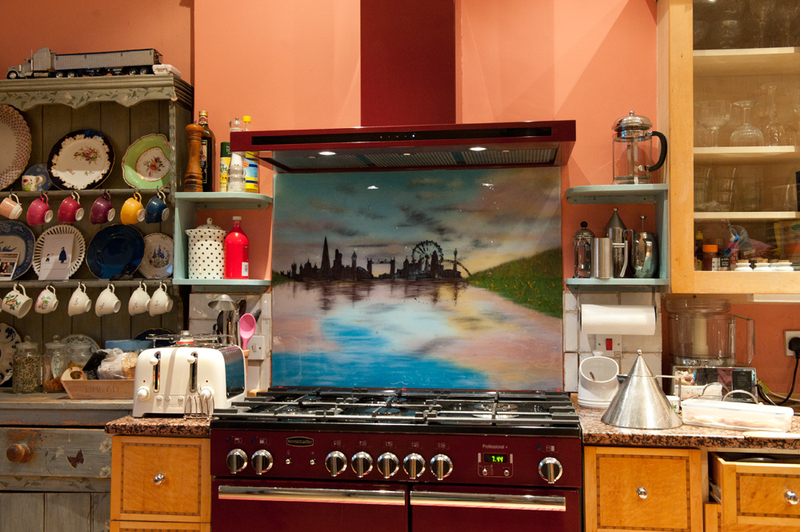 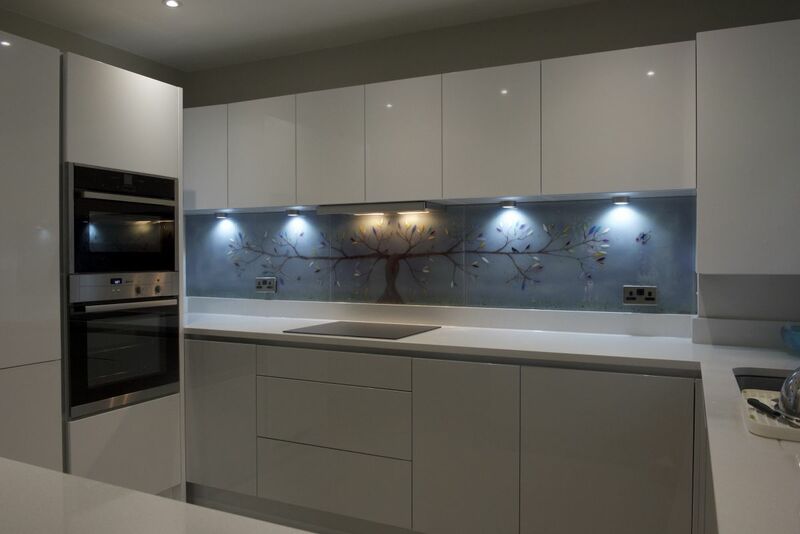 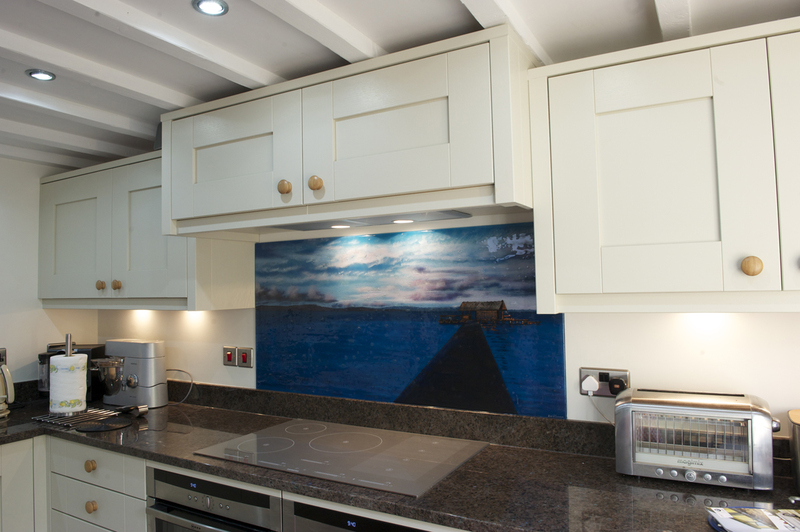 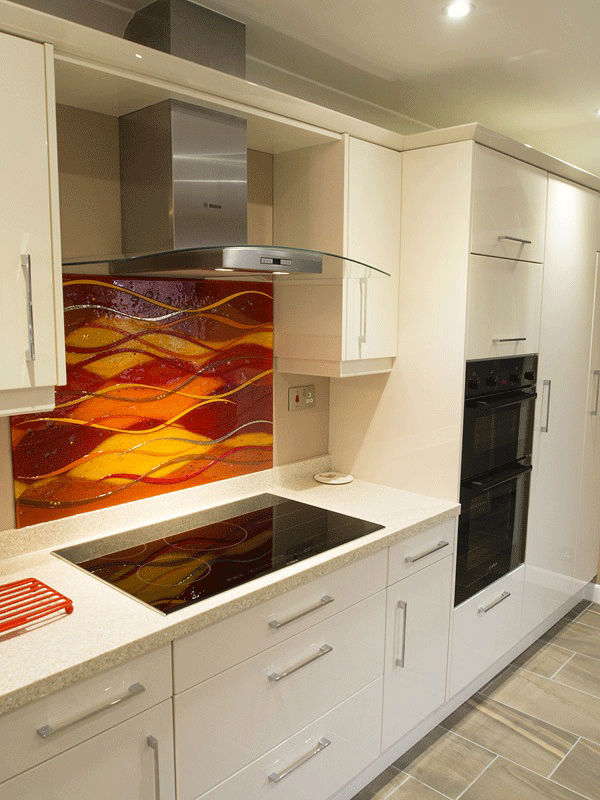 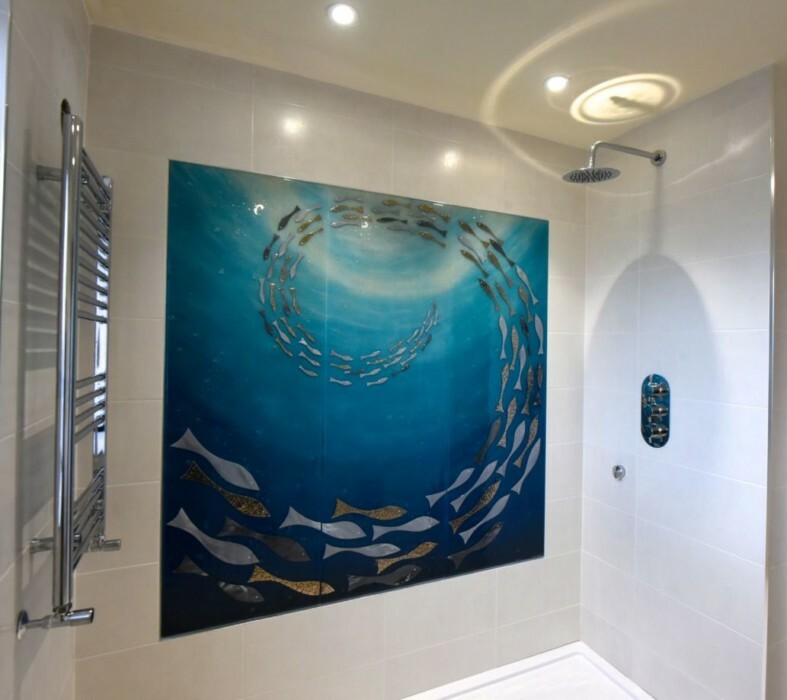 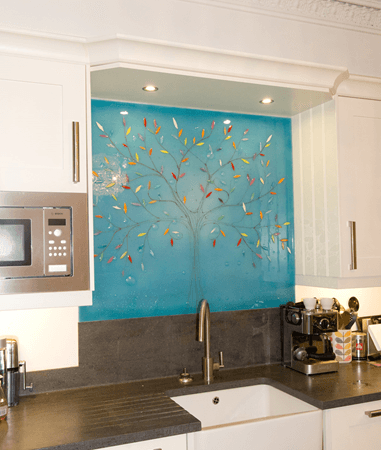 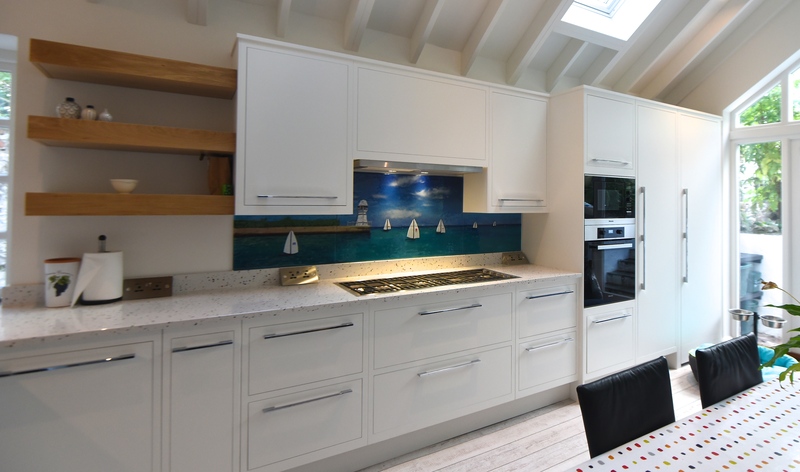 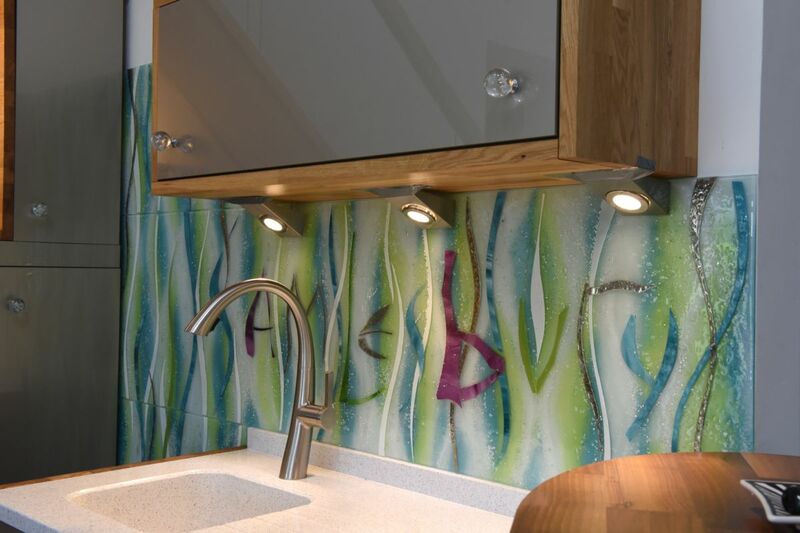 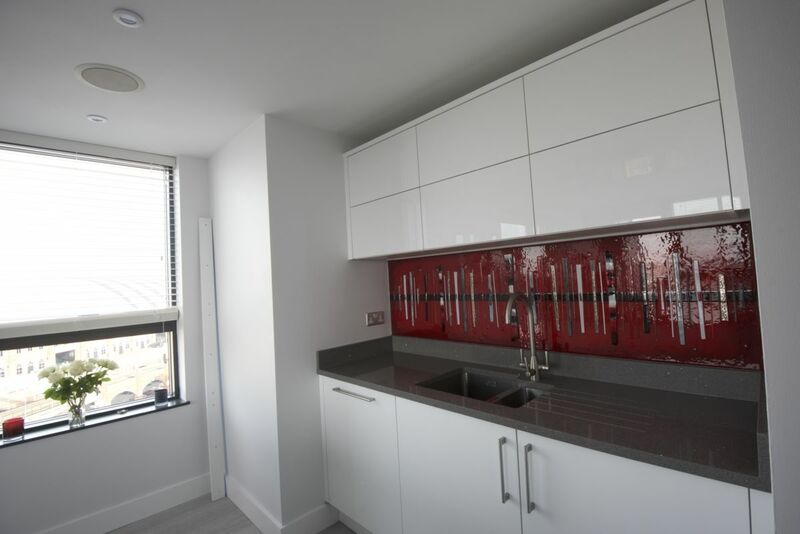 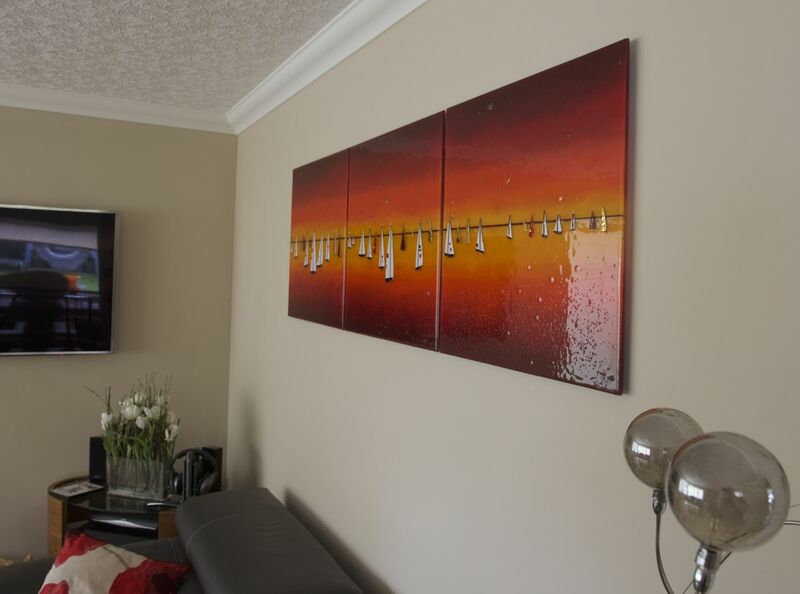 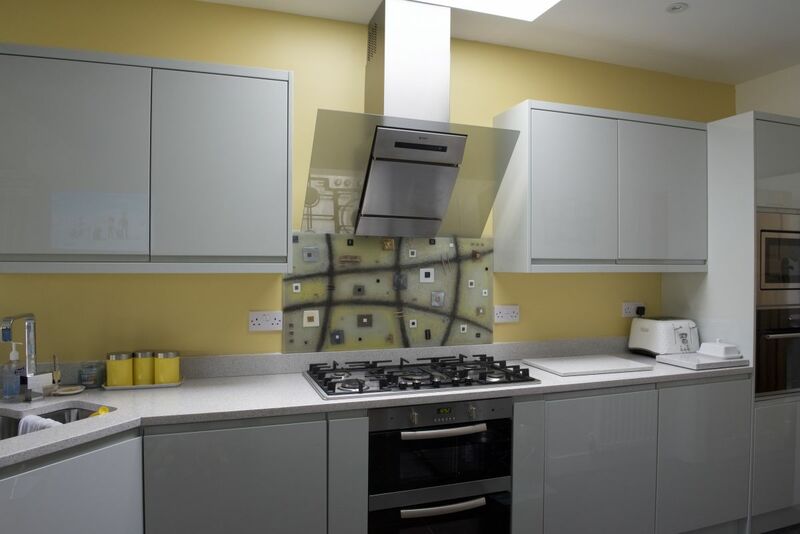 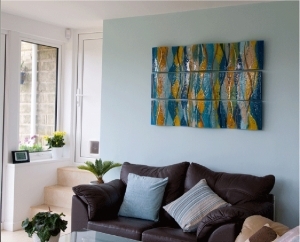 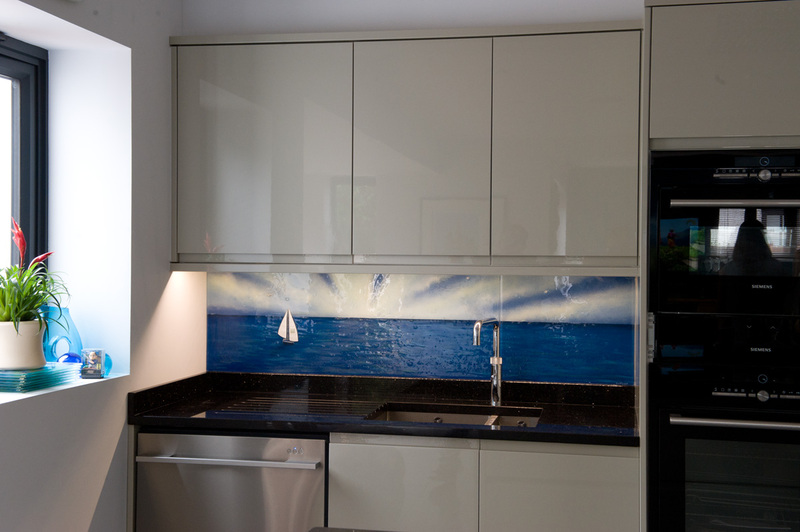 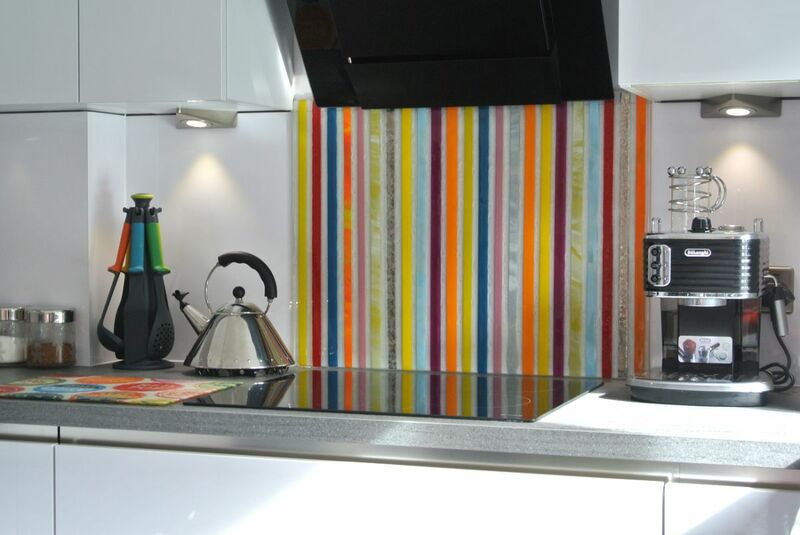 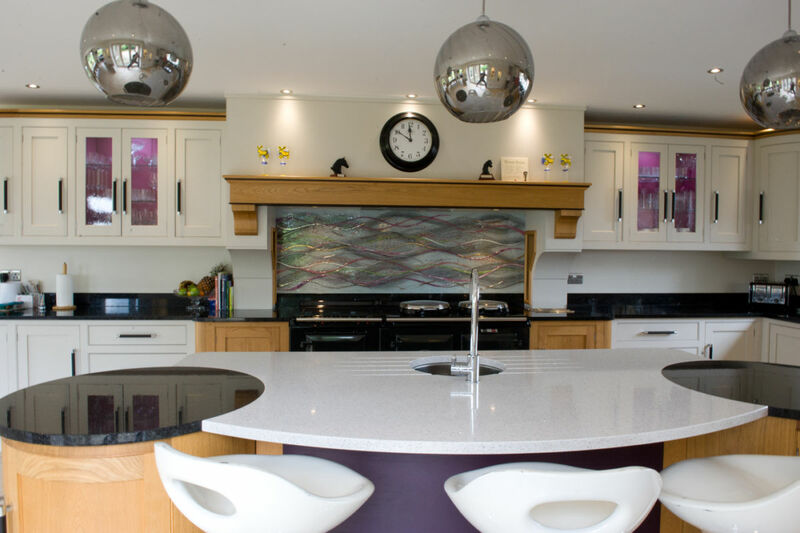 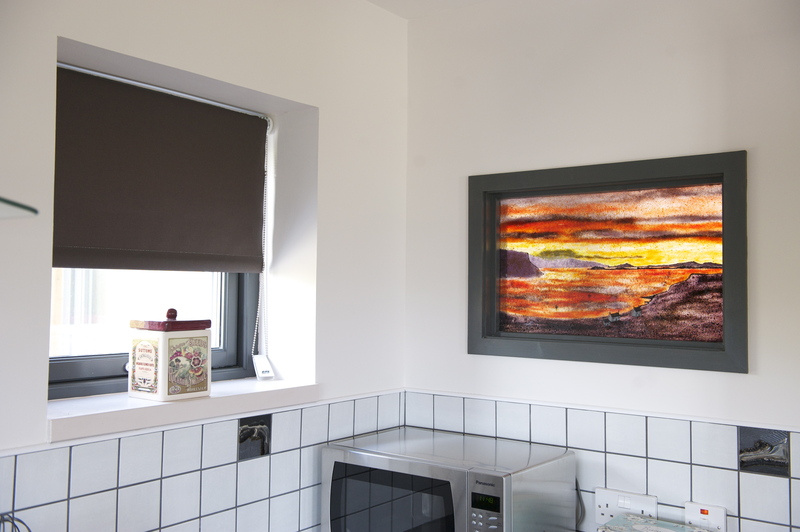 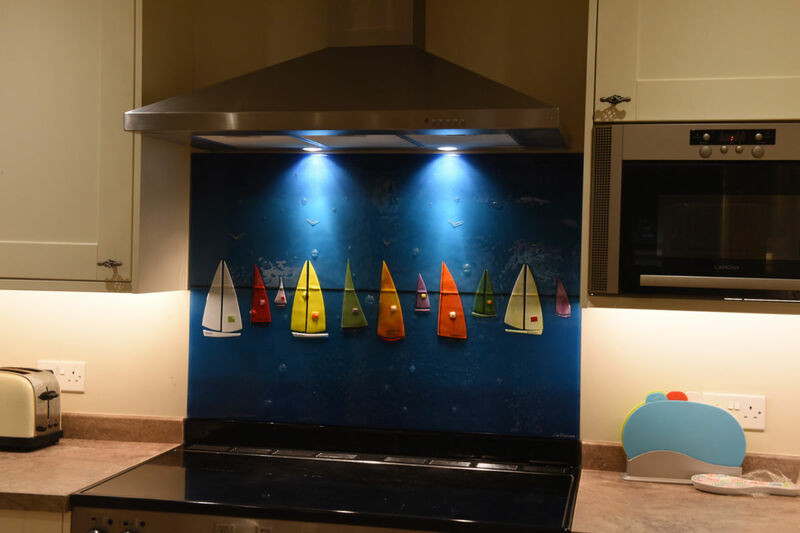 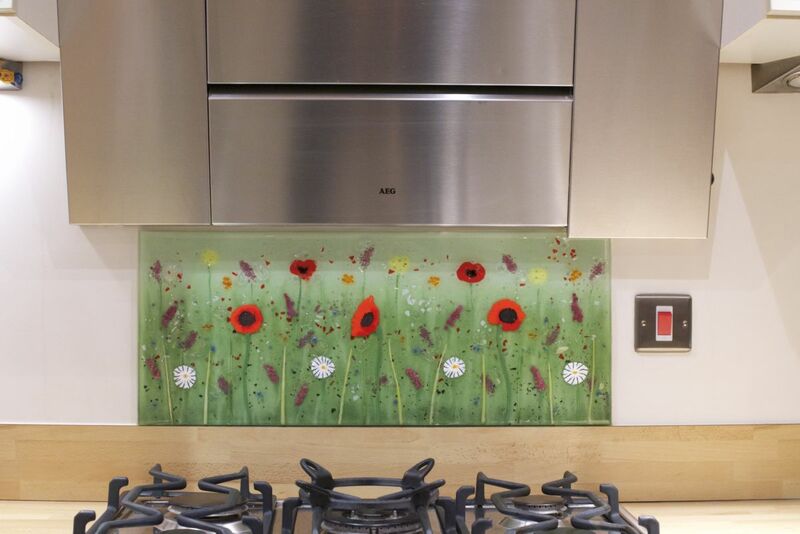 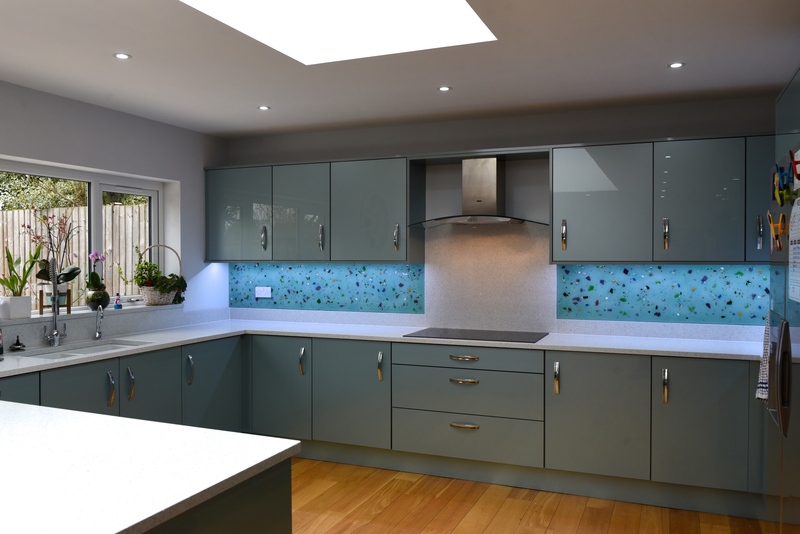 If you’ve been looking to put one of our handmade splashbacks in your own home, then there’s absolutely never been a better time to do it. 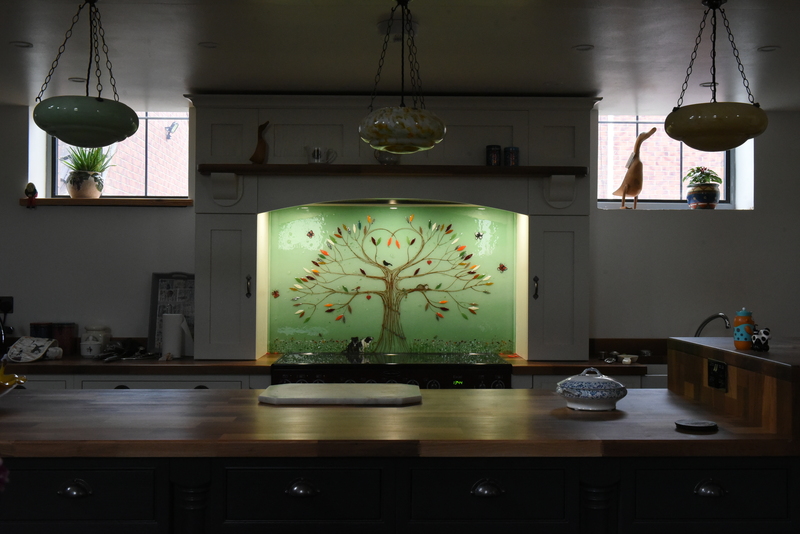 The team here at The House of Ugly Fish is hard at work creating piece after piece before Christmas, and there’s rarely a moment when our kiln isn’t fully fired up and creating something truly special. 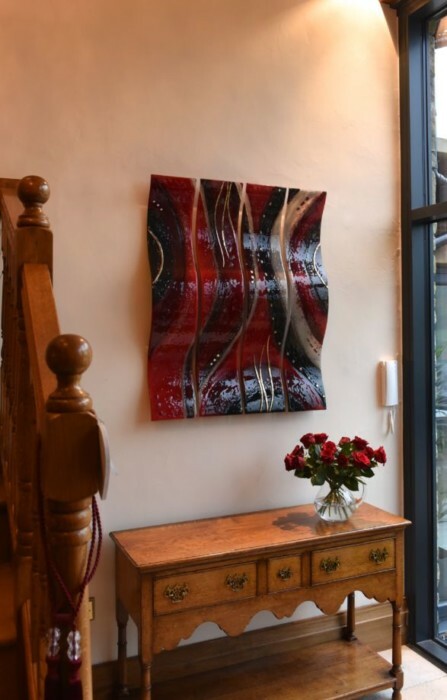 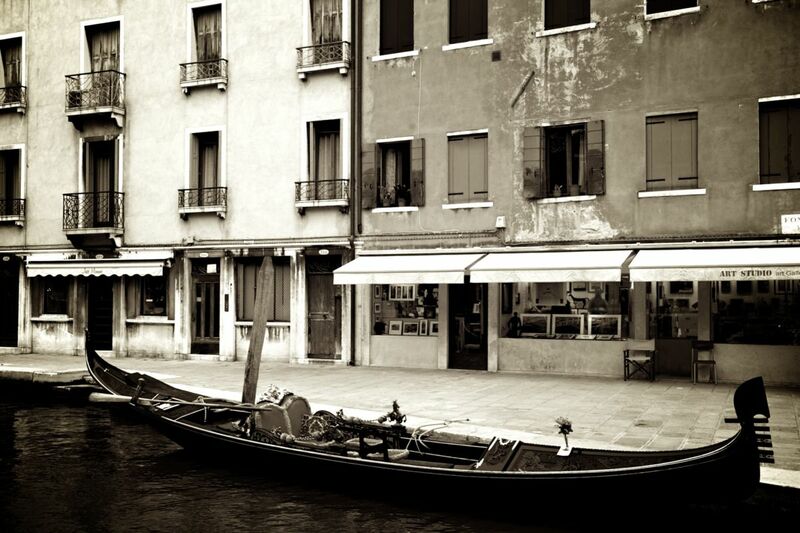 One of those pieces could be destined to arrive at your own doorstep, too, provided you pick up the phone or drop us an email soon!